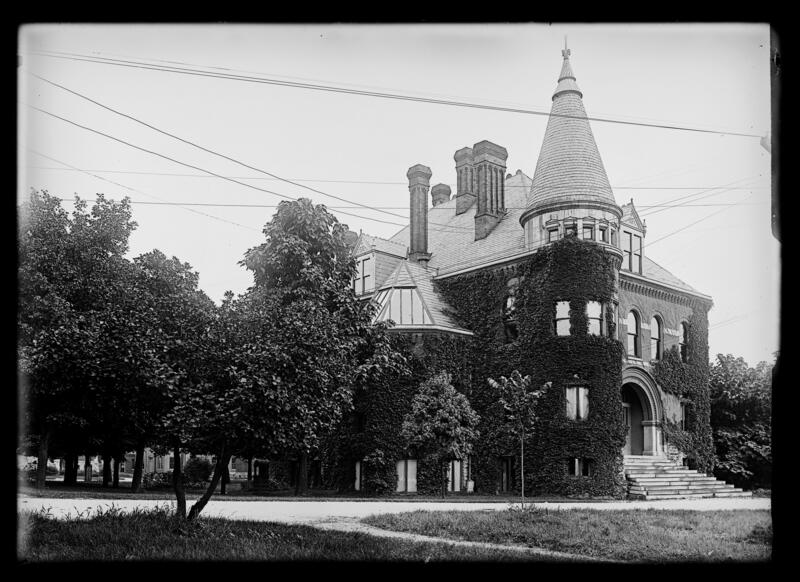 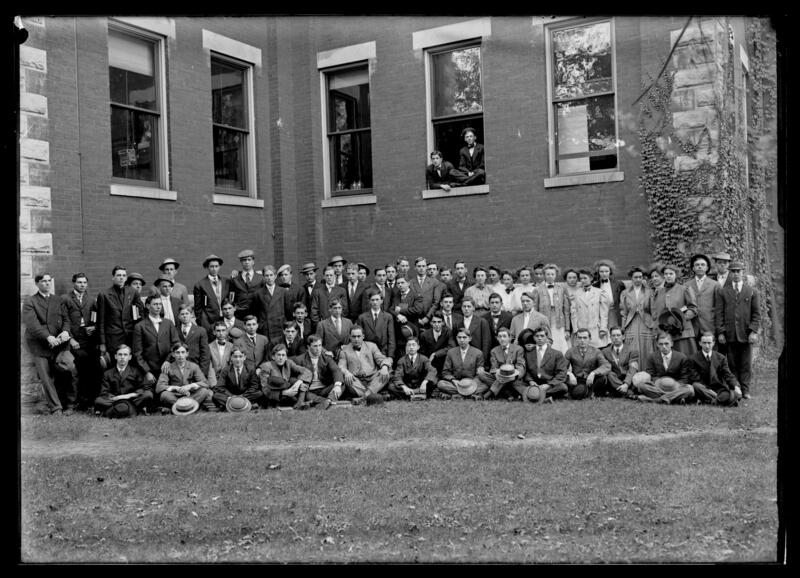 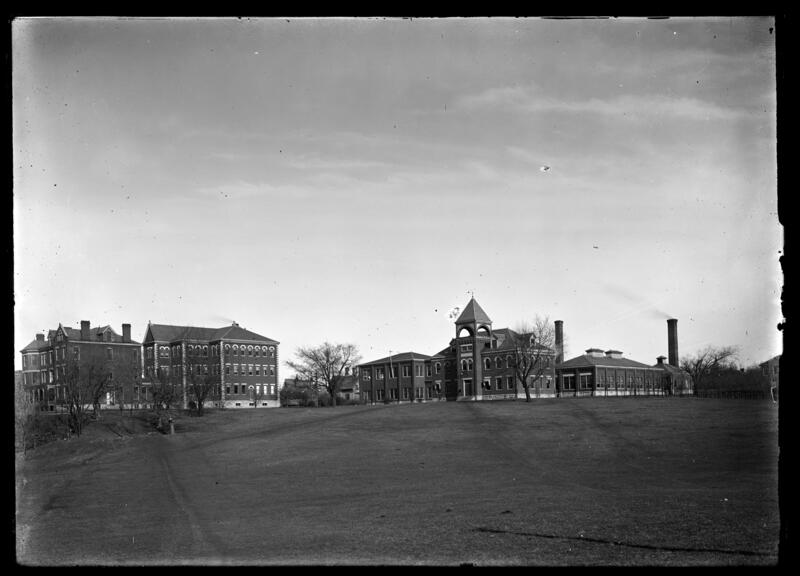 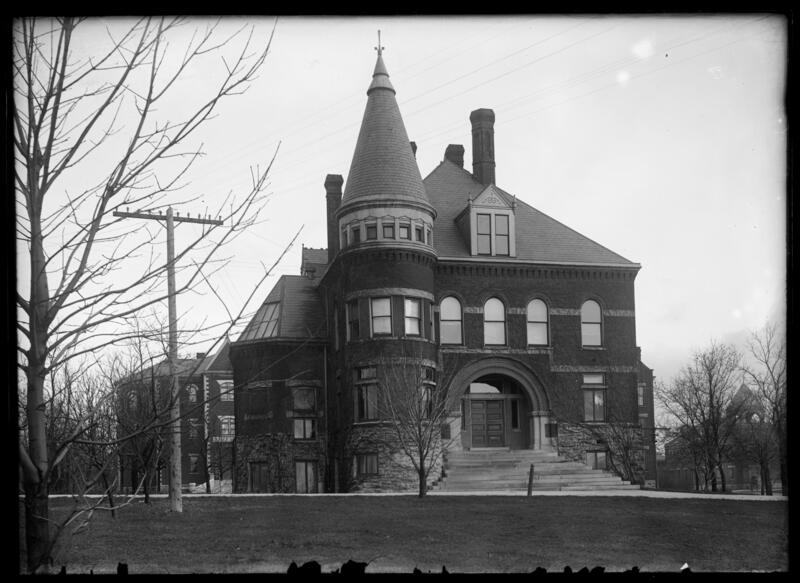 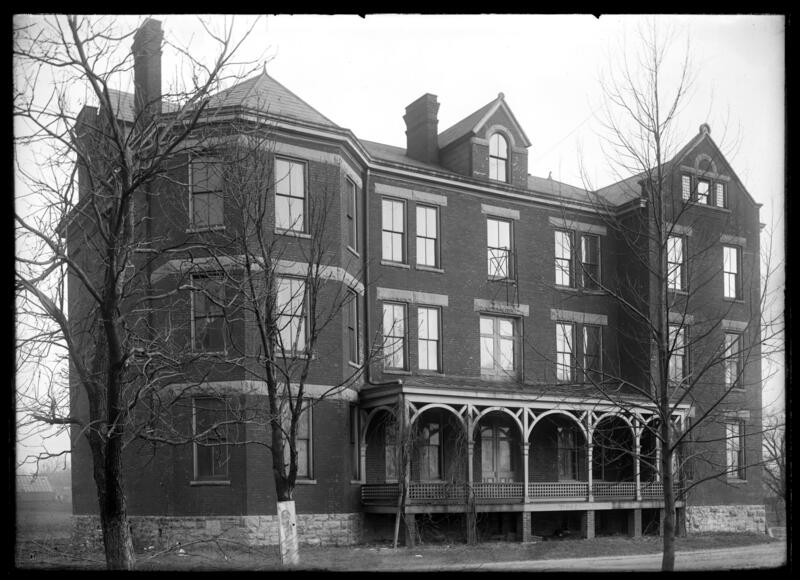 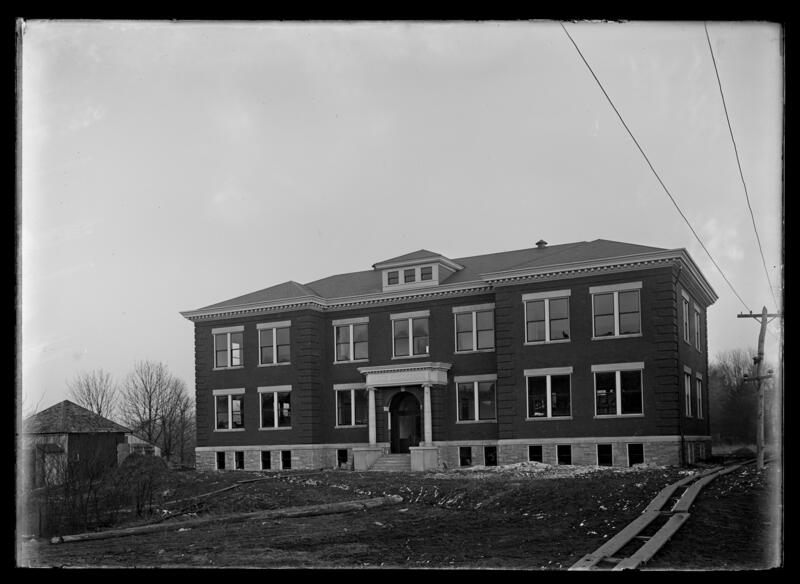 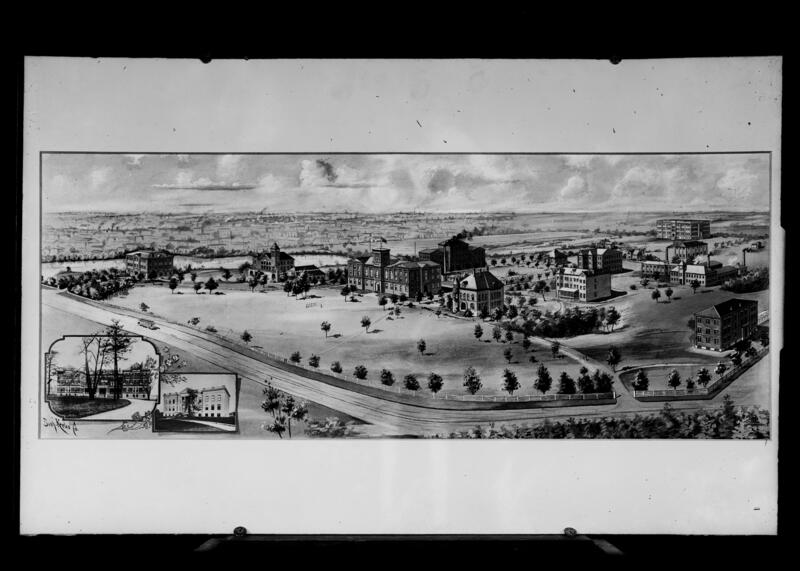 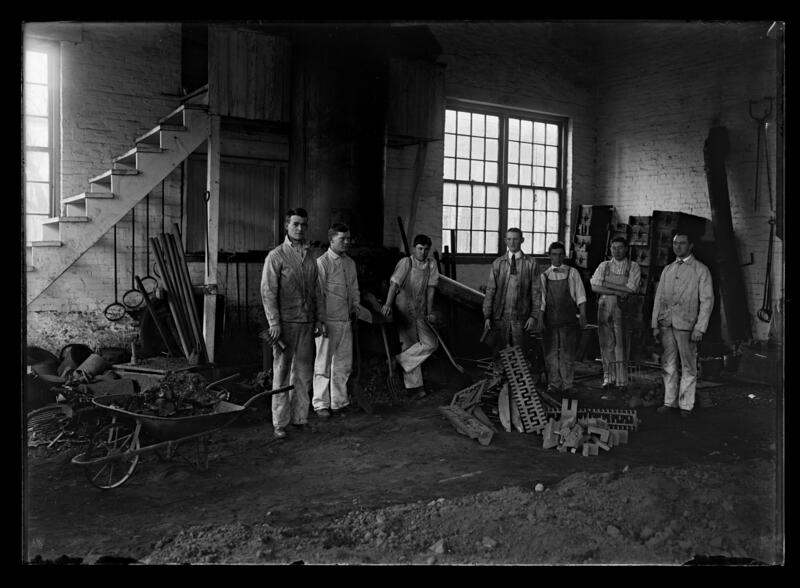 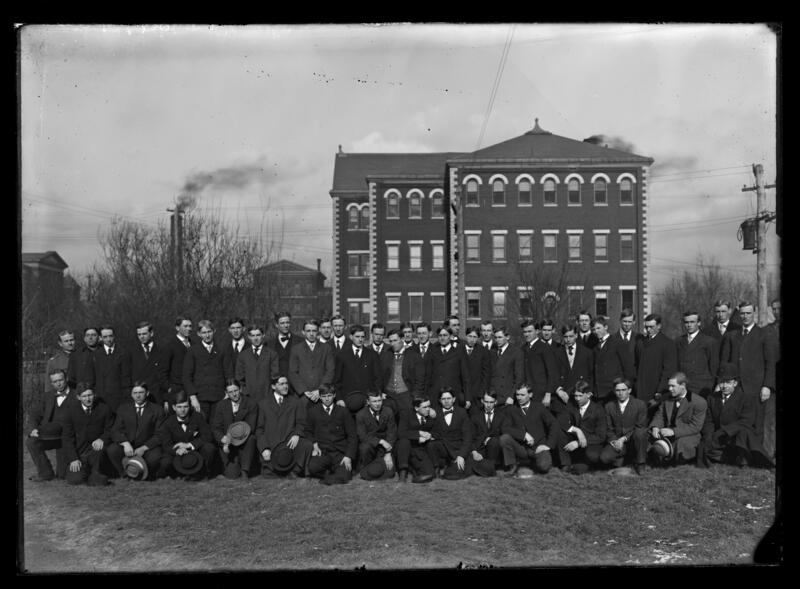 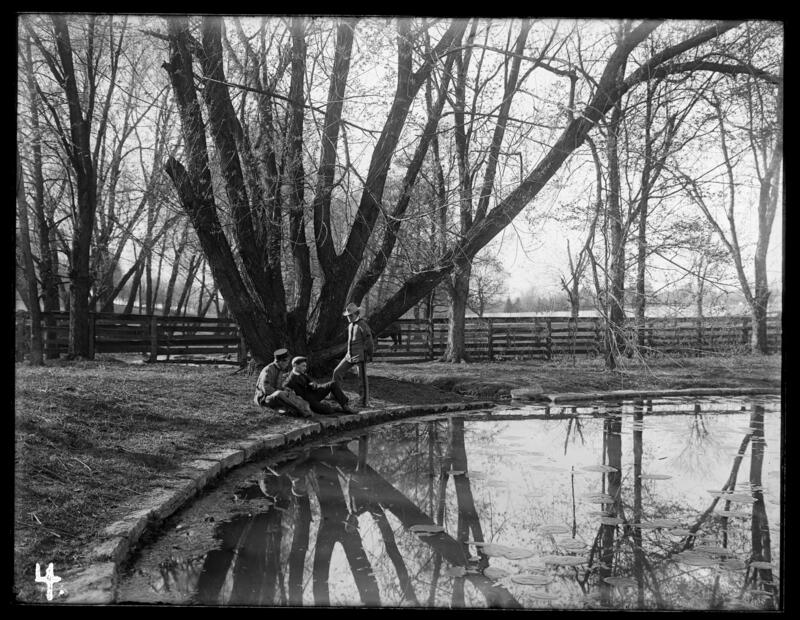 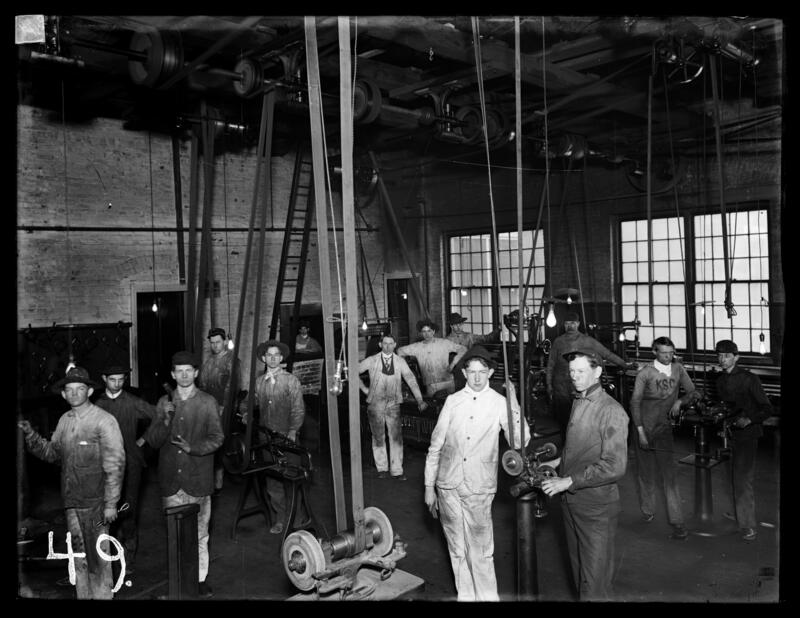 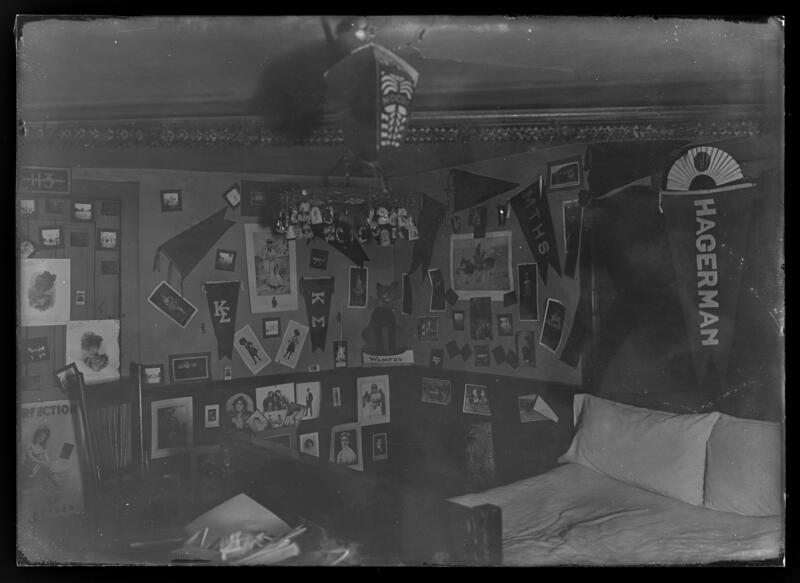 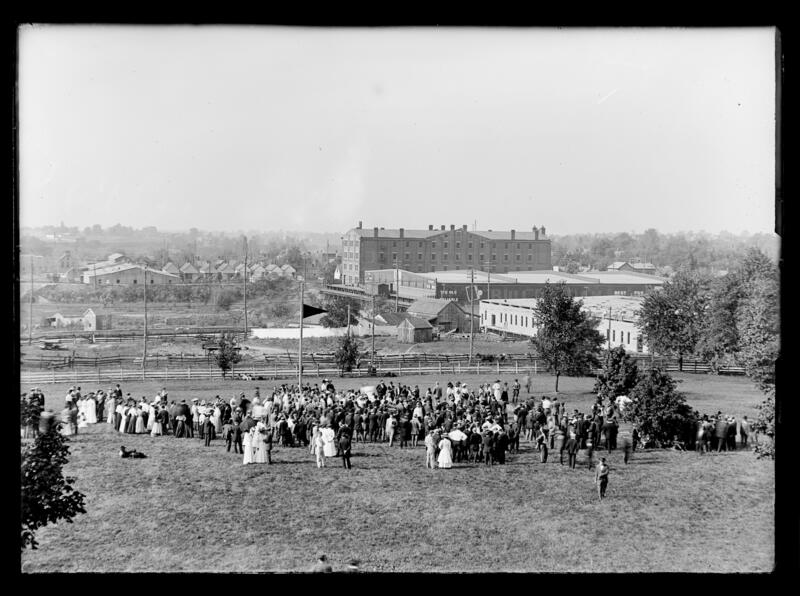 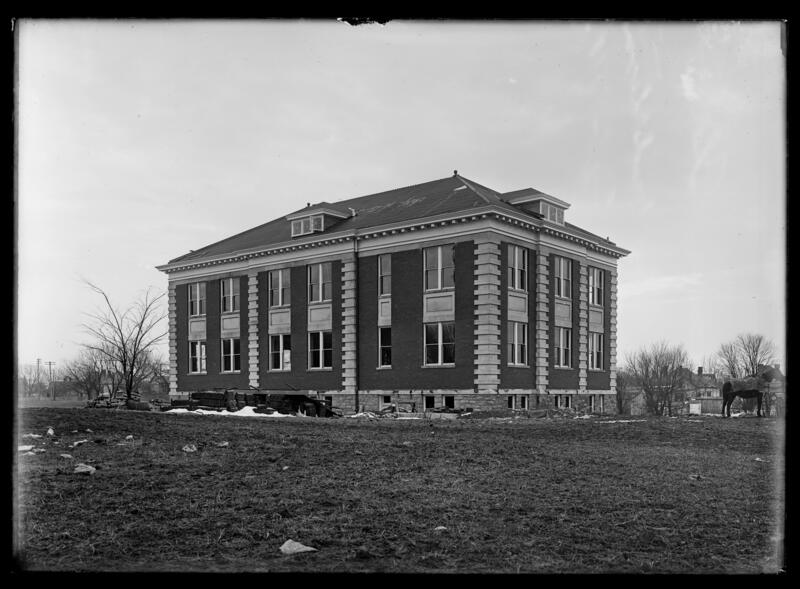 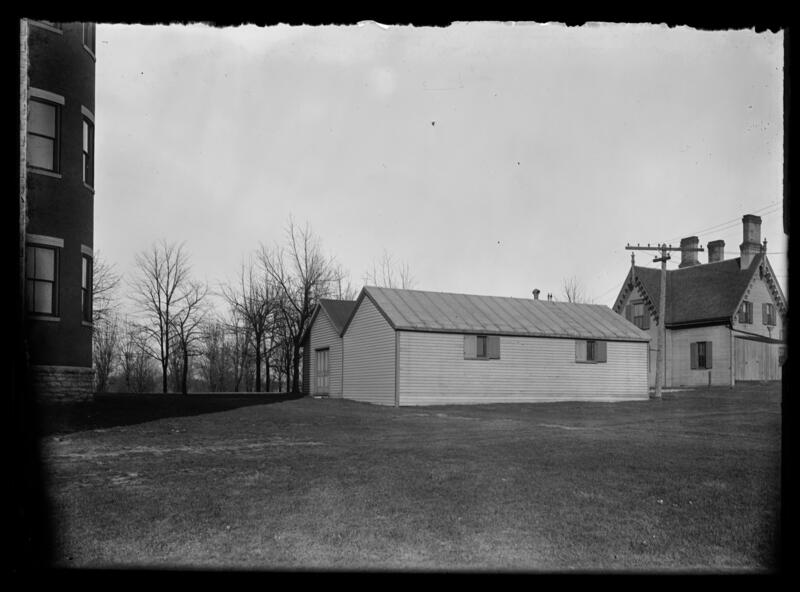 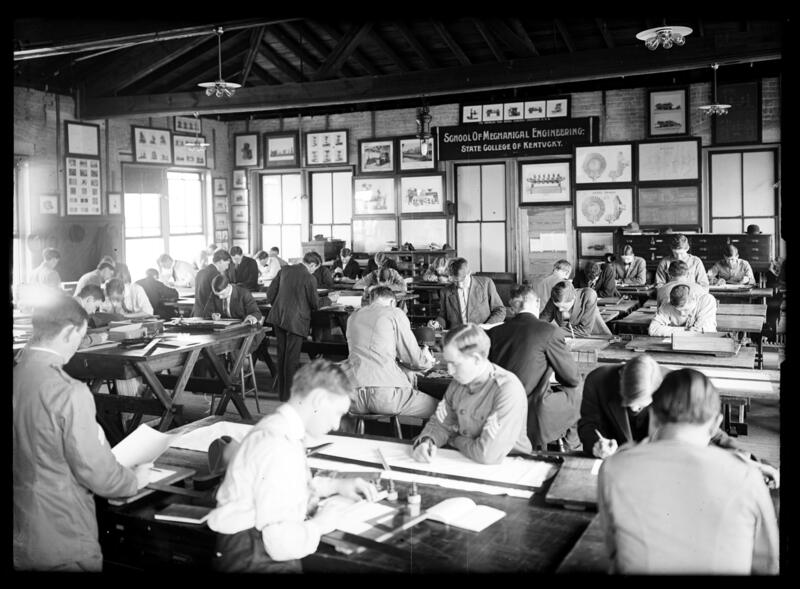 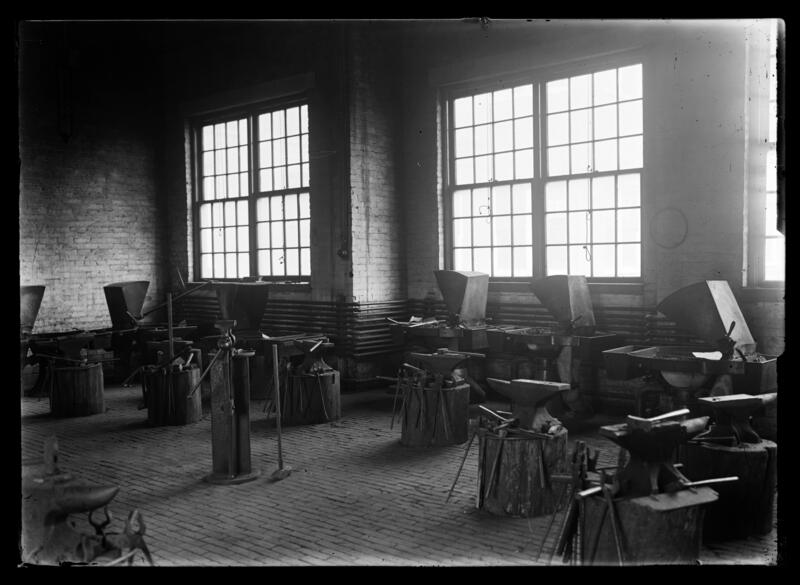 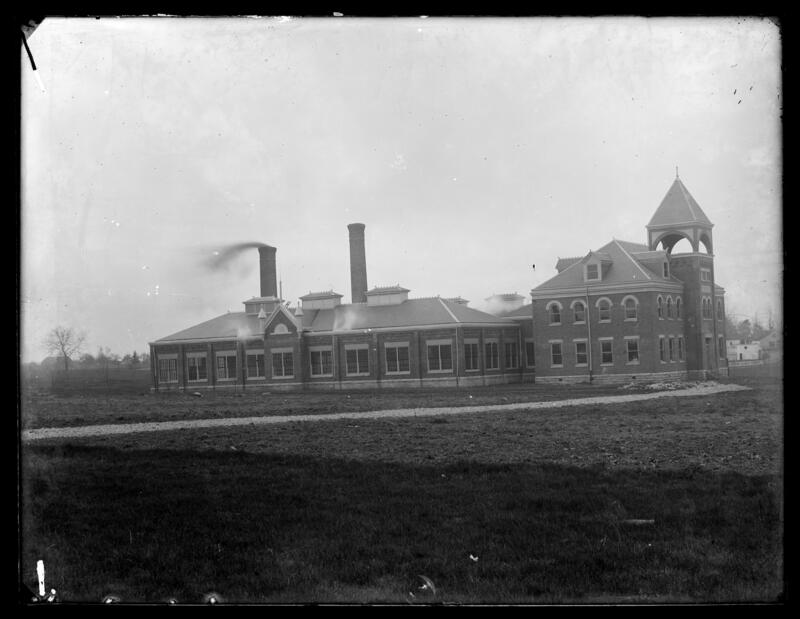 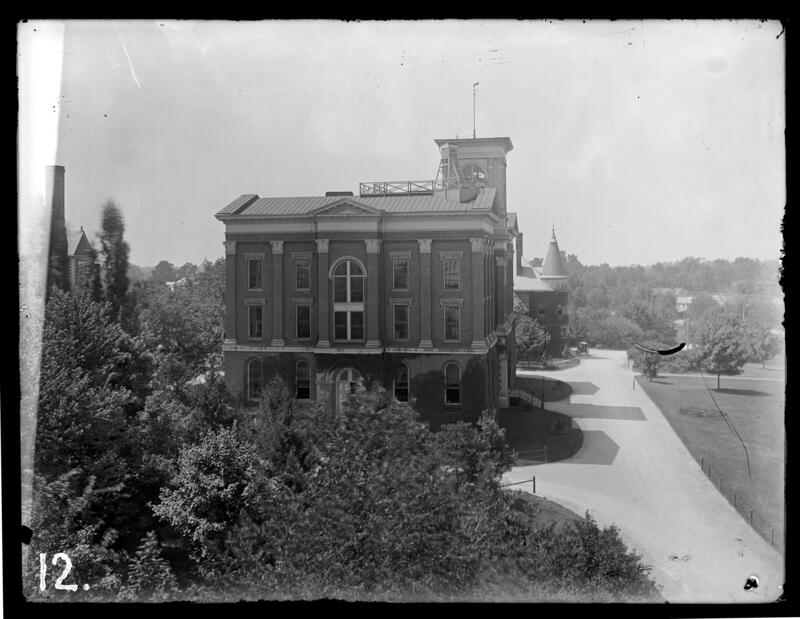 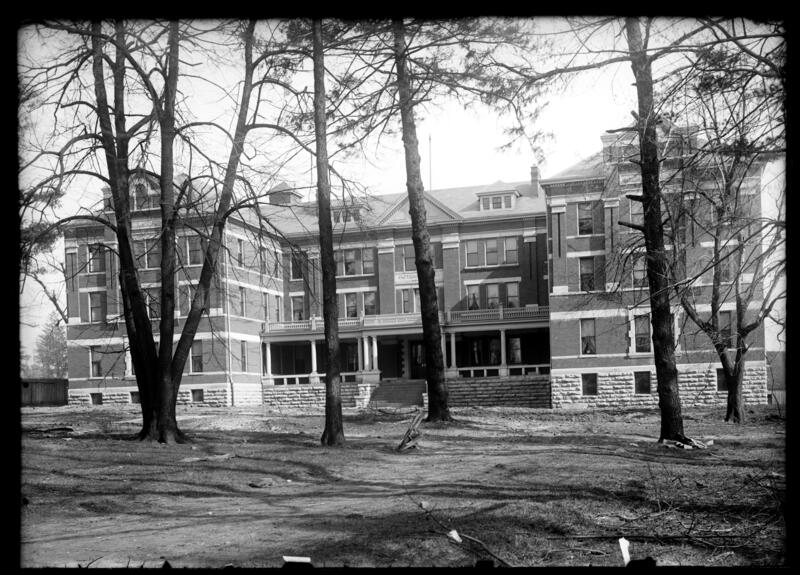 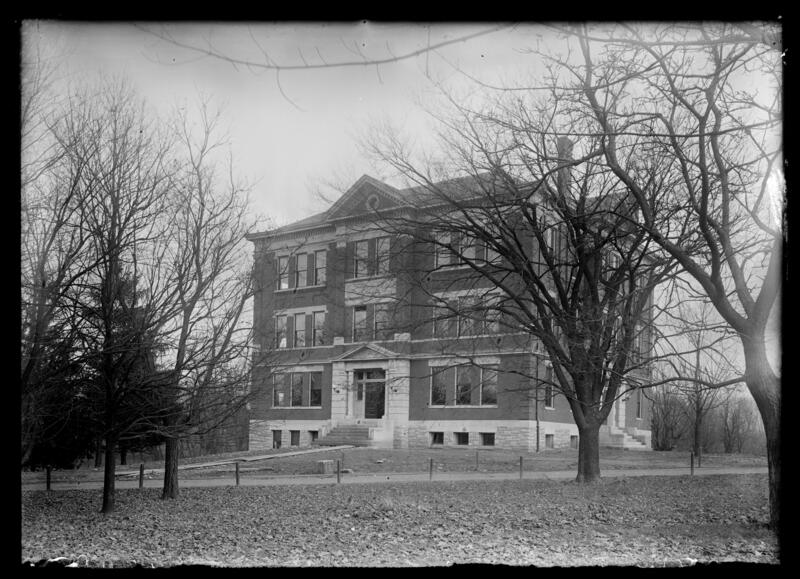 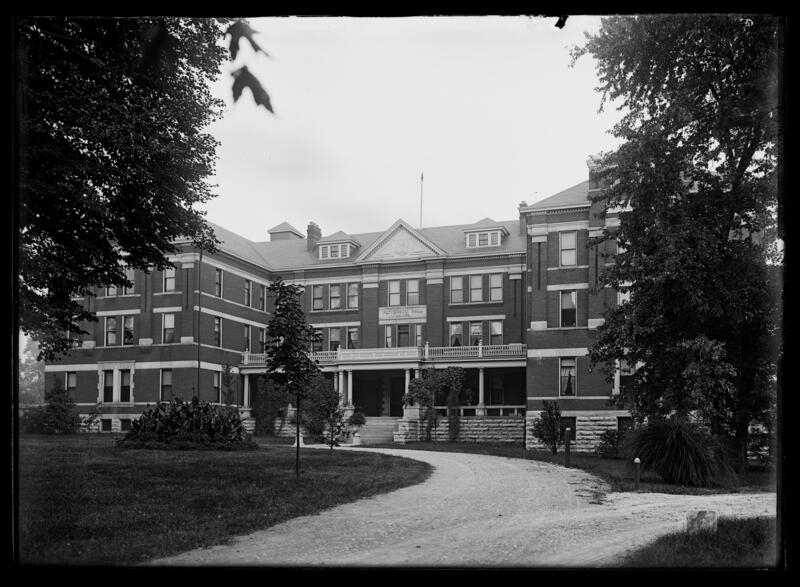 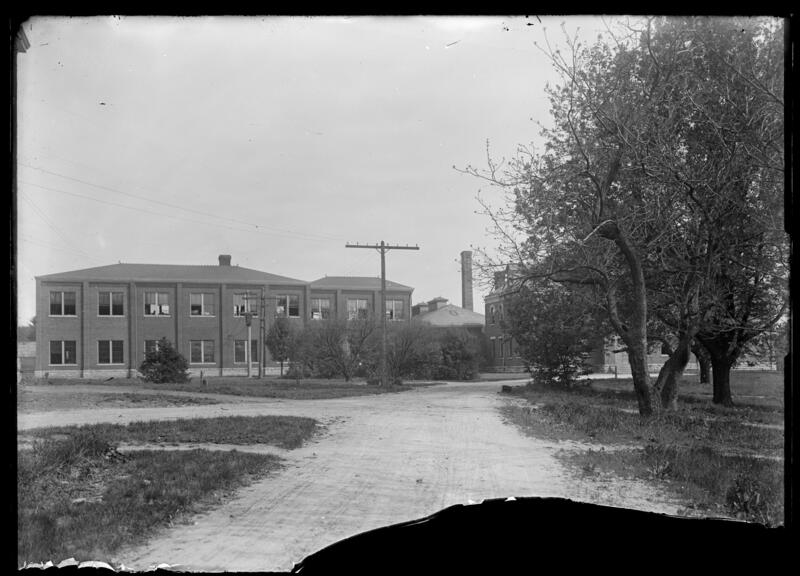 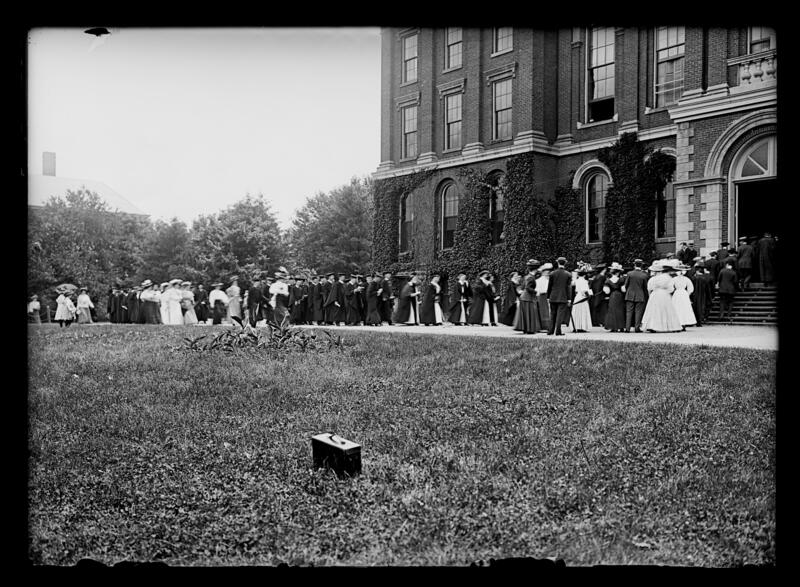 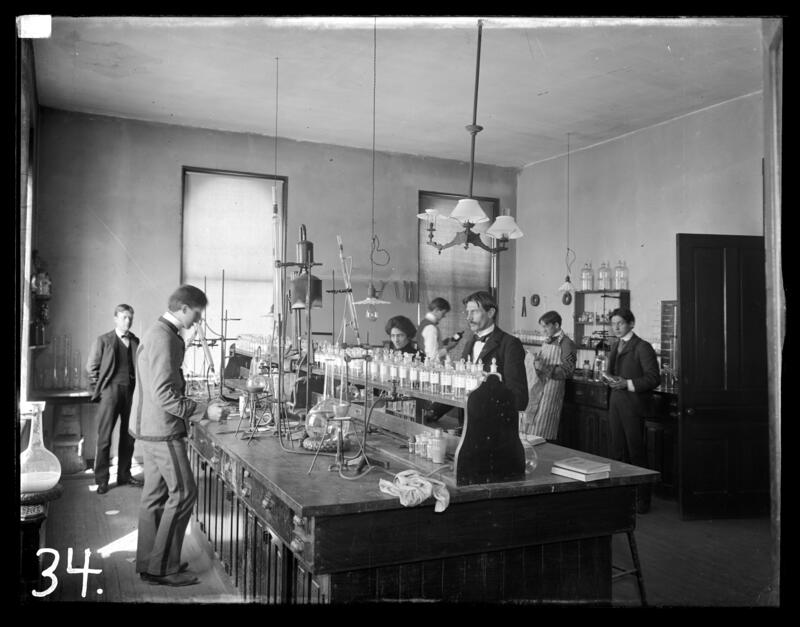 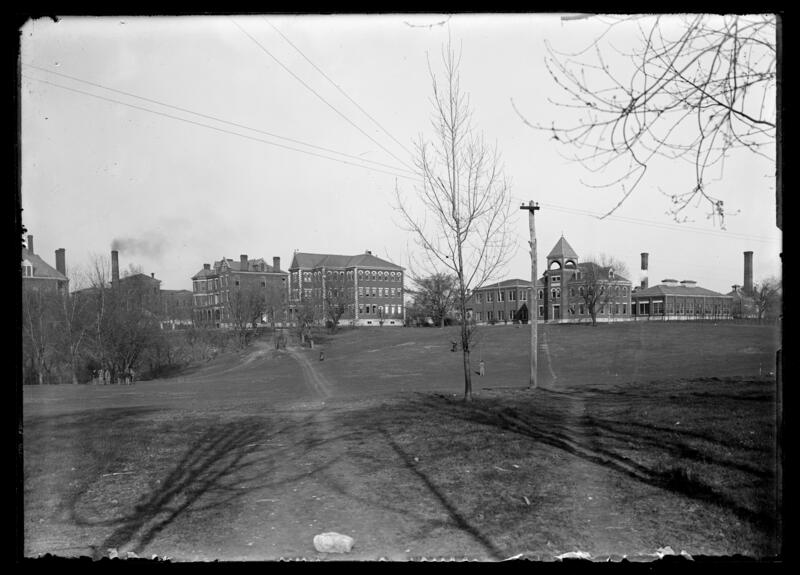 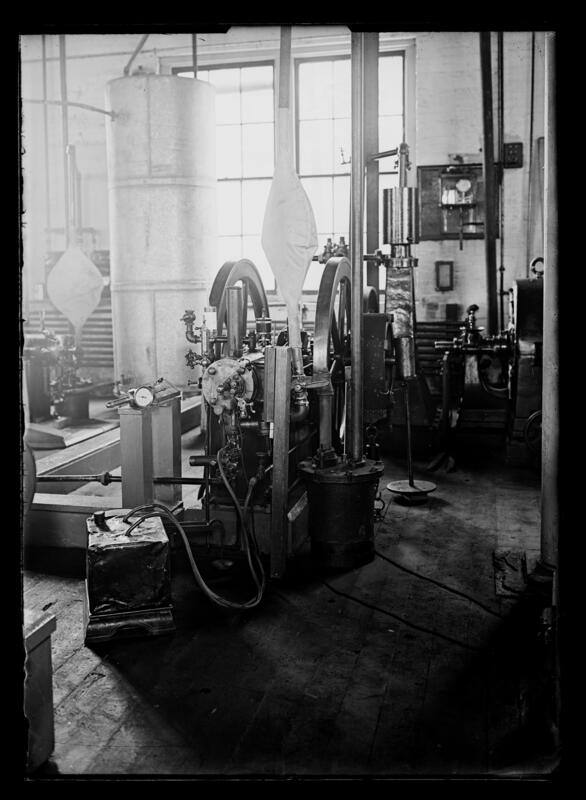 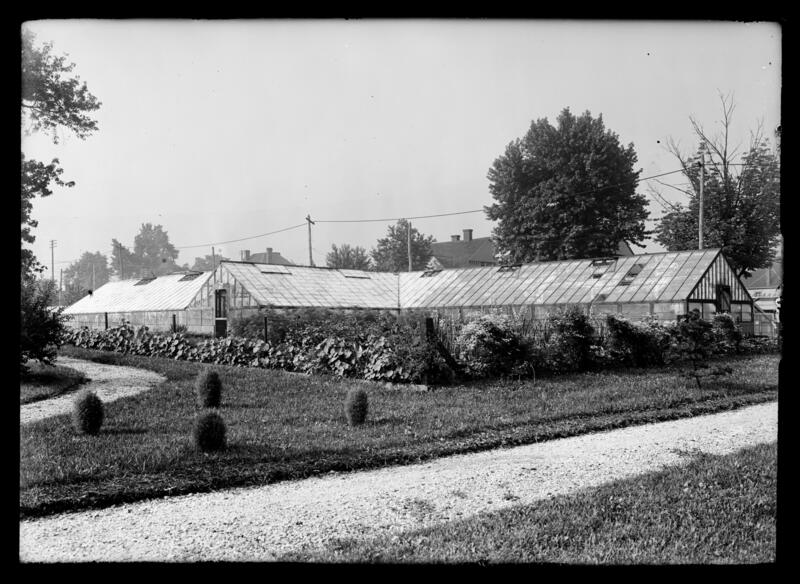 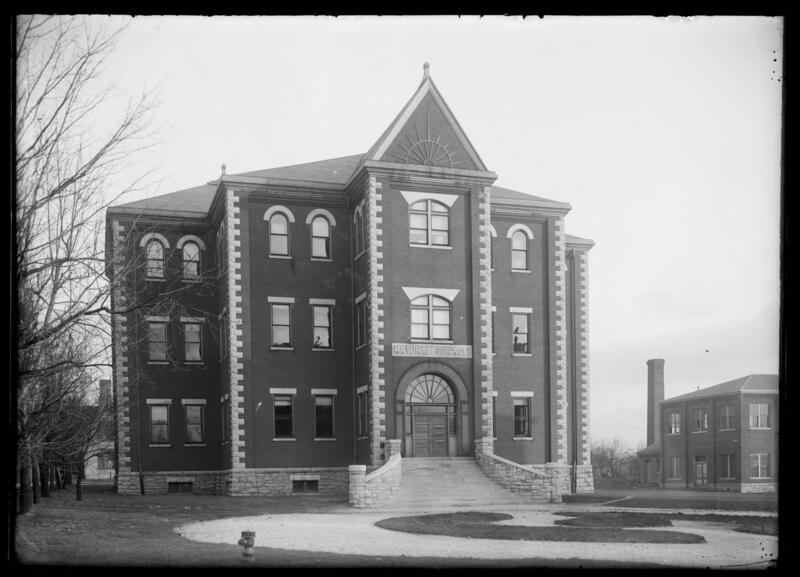 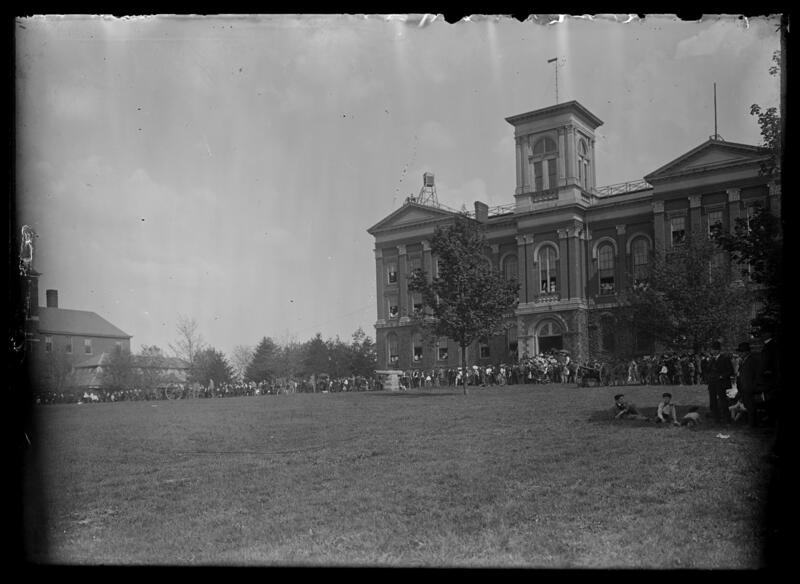 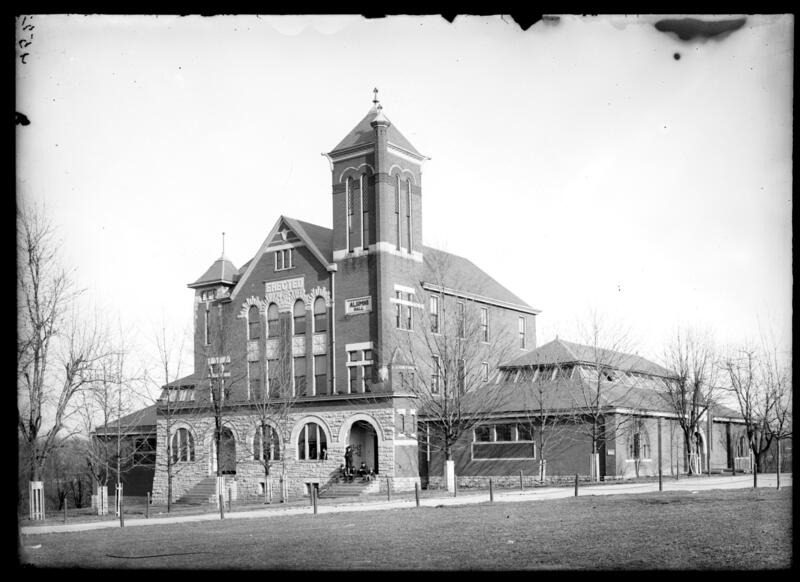 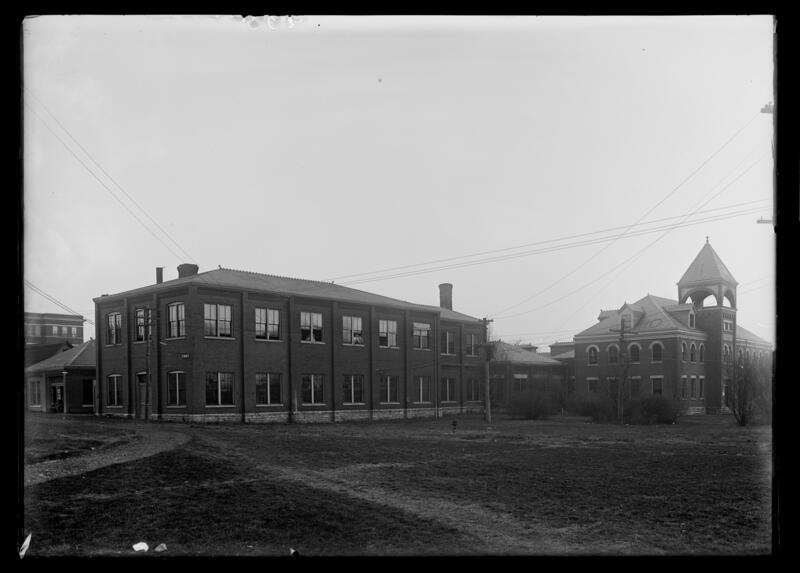 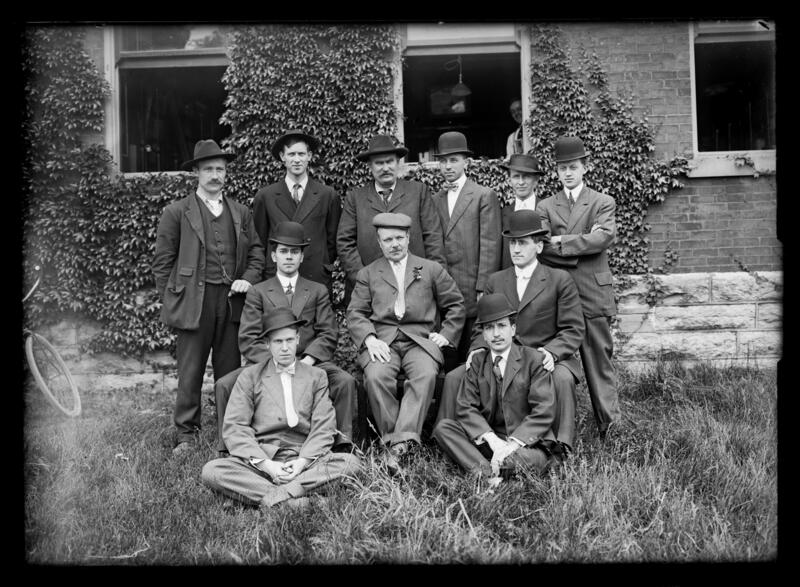 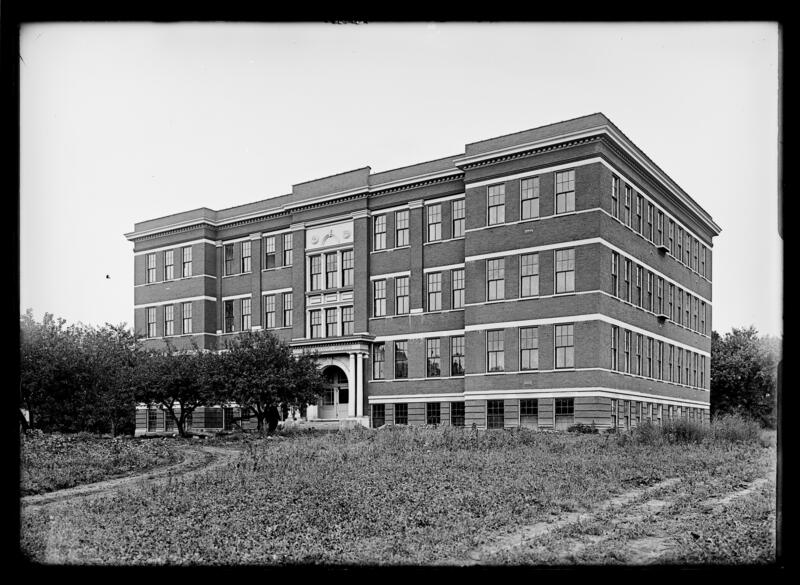 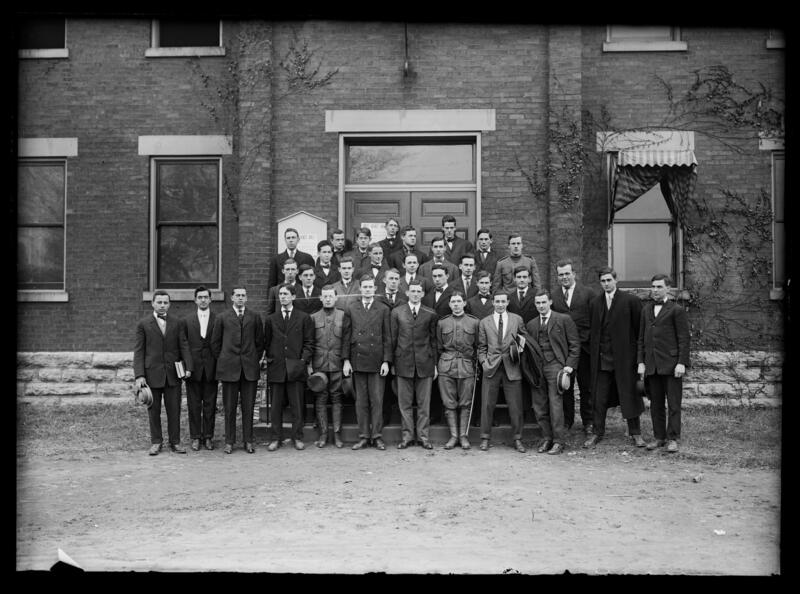 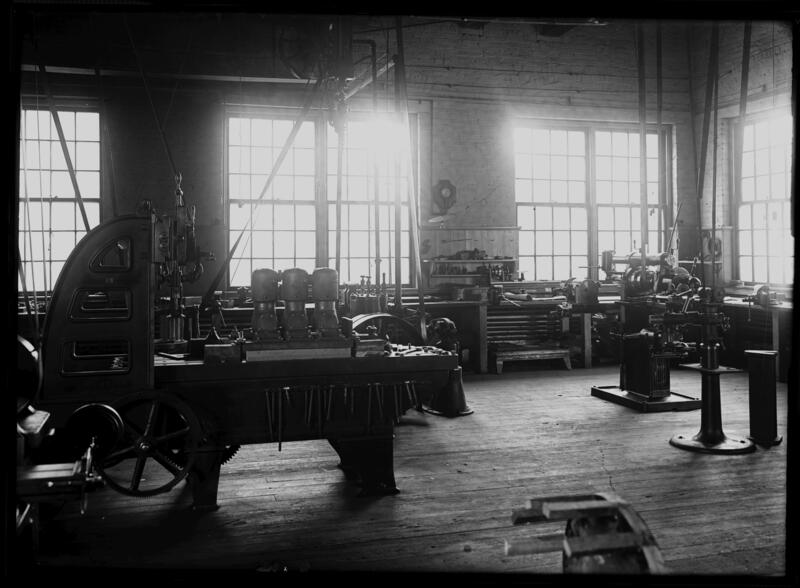 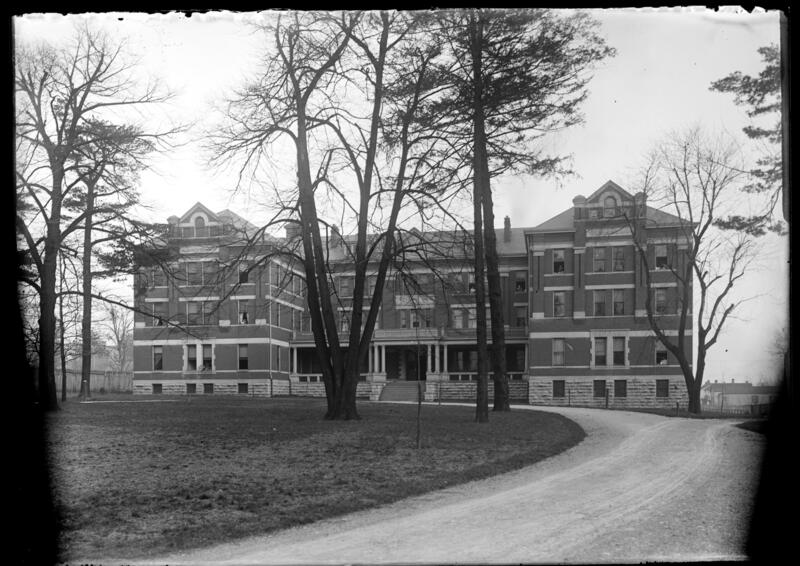 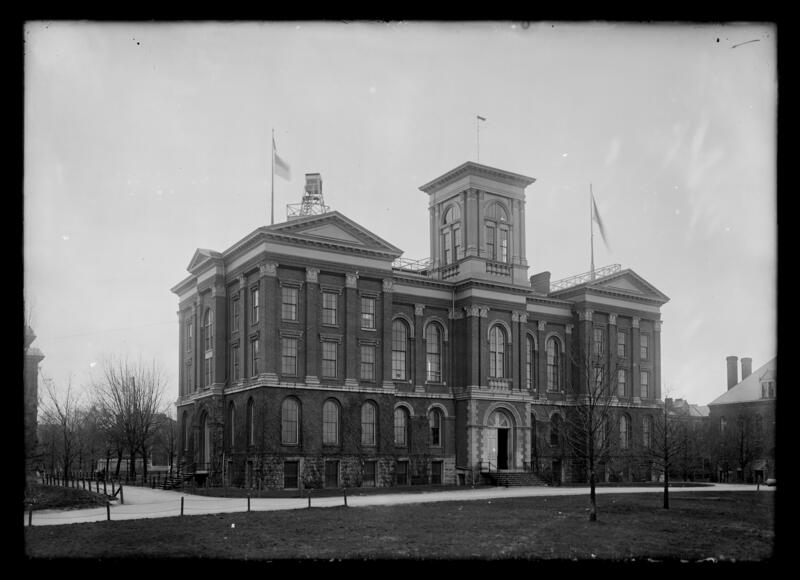 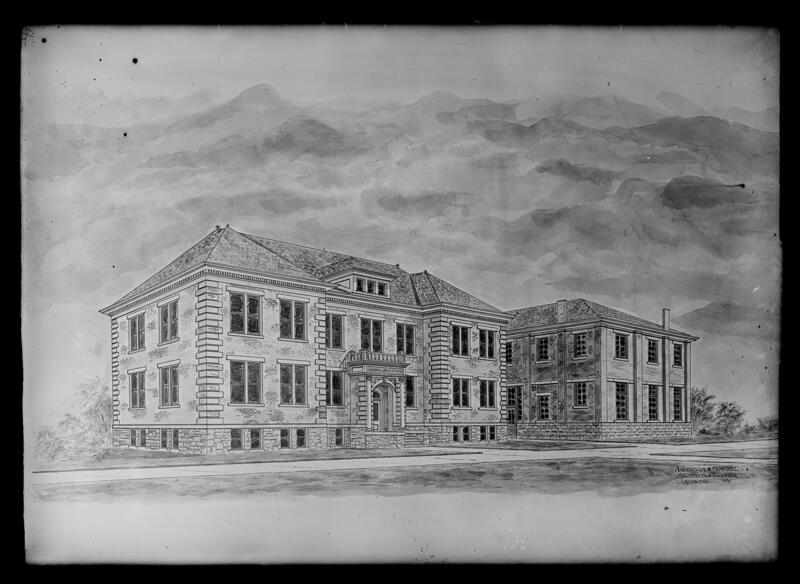 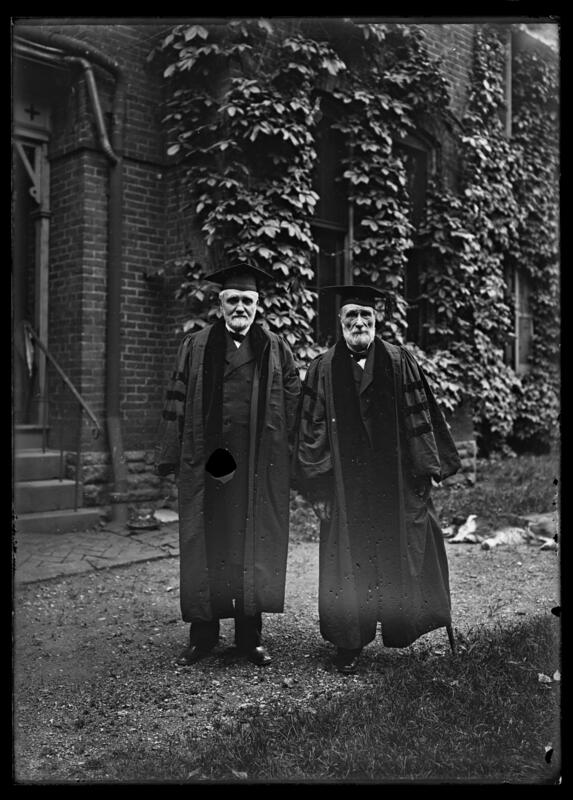 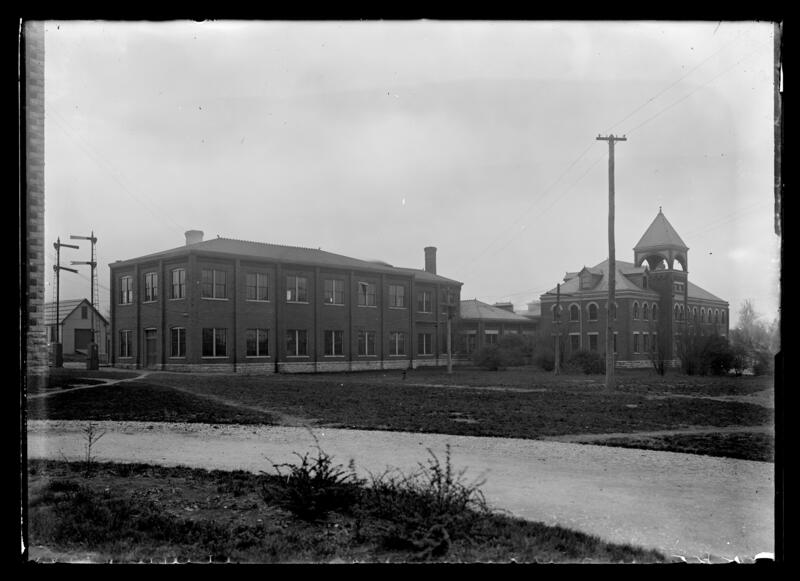 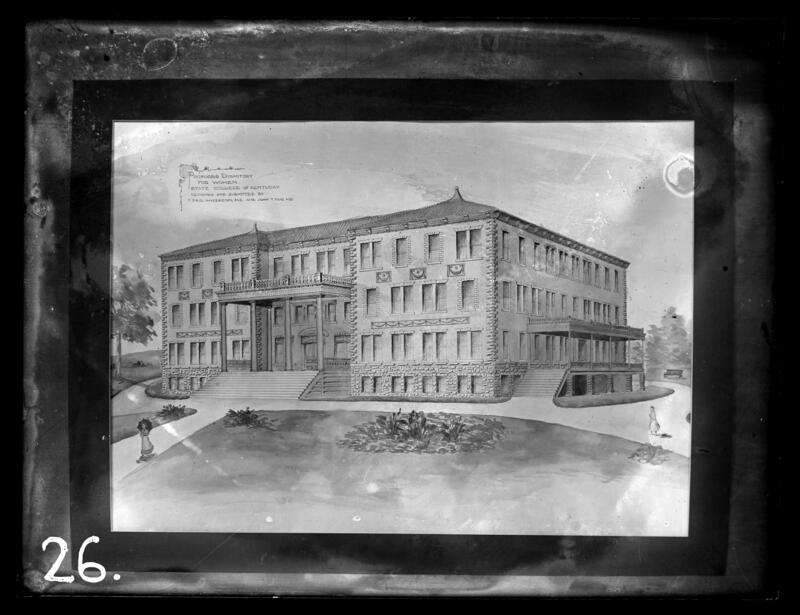 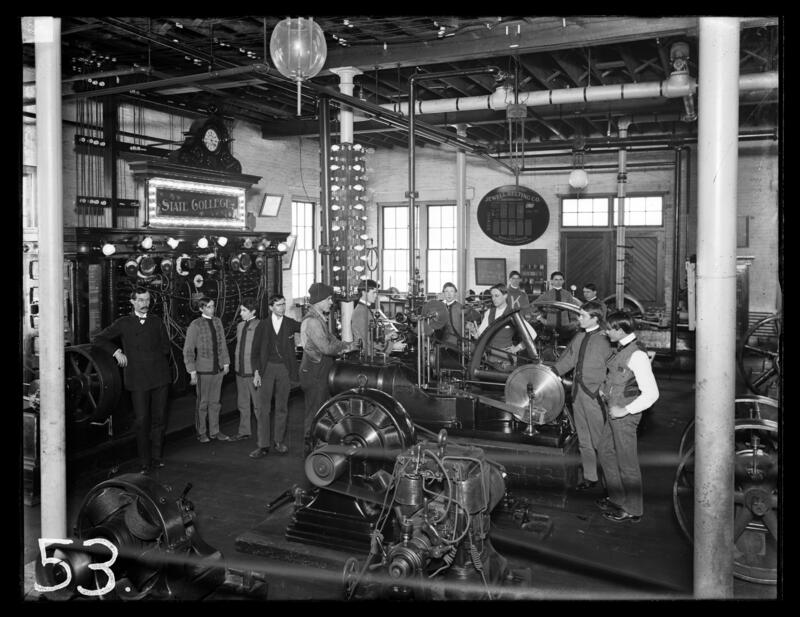 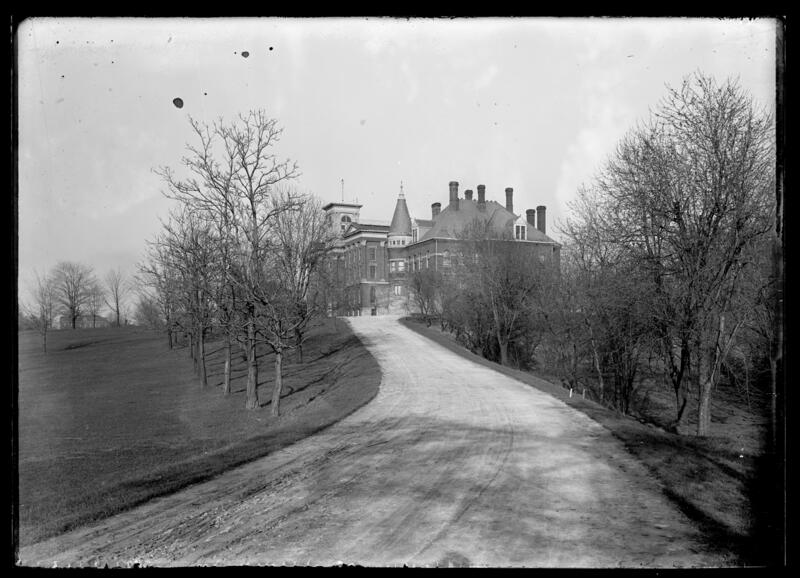 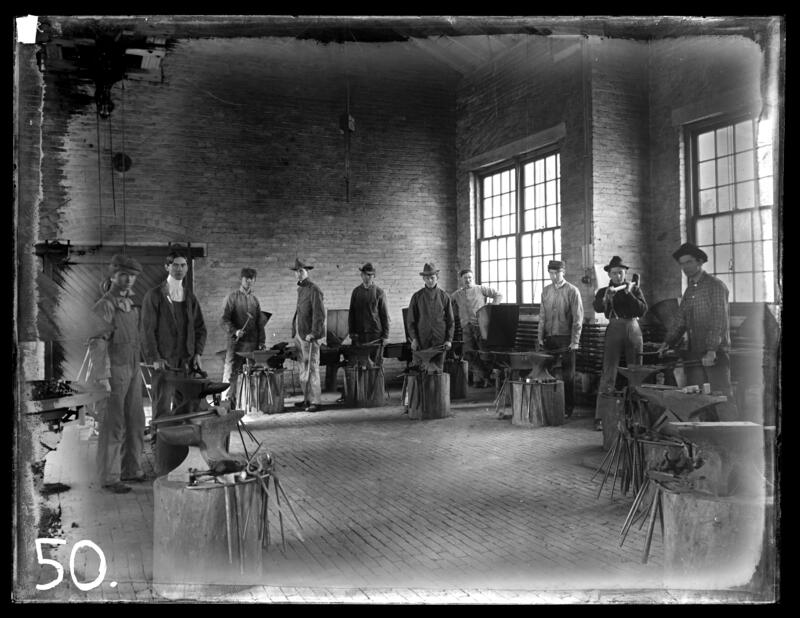 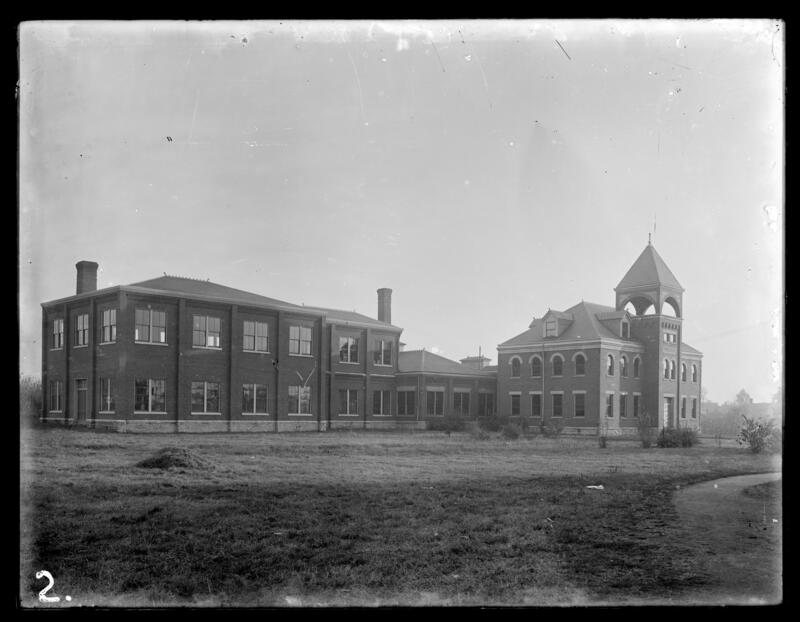 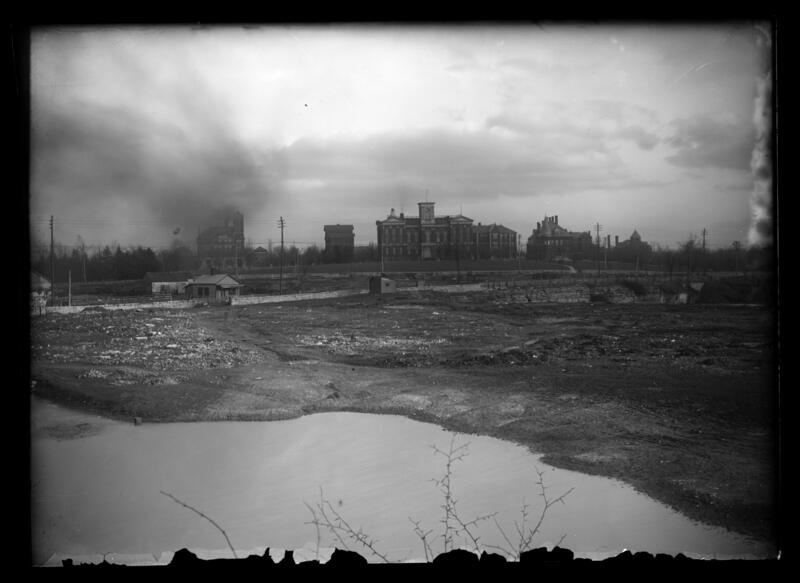 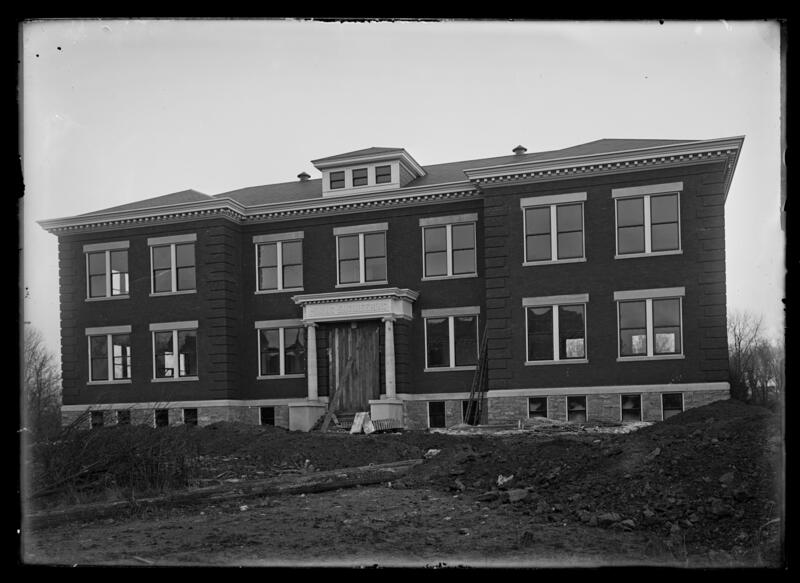 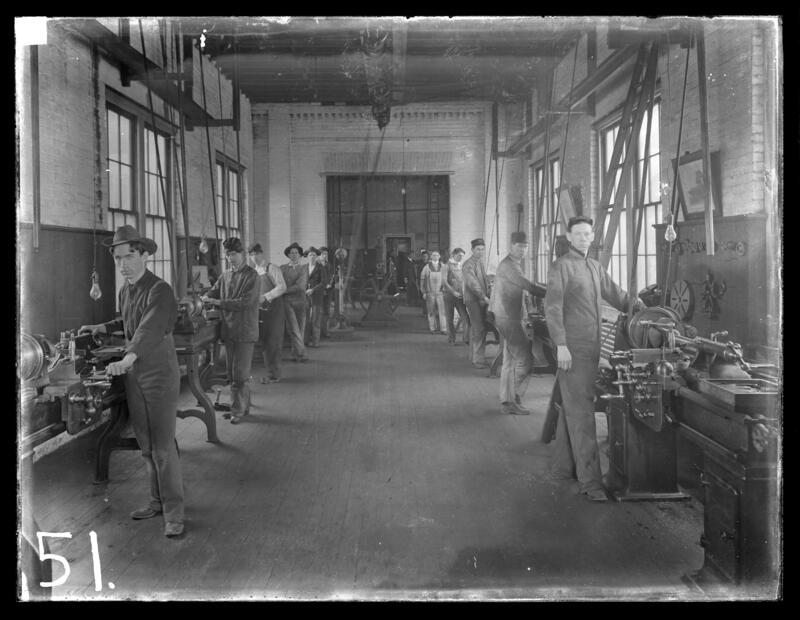 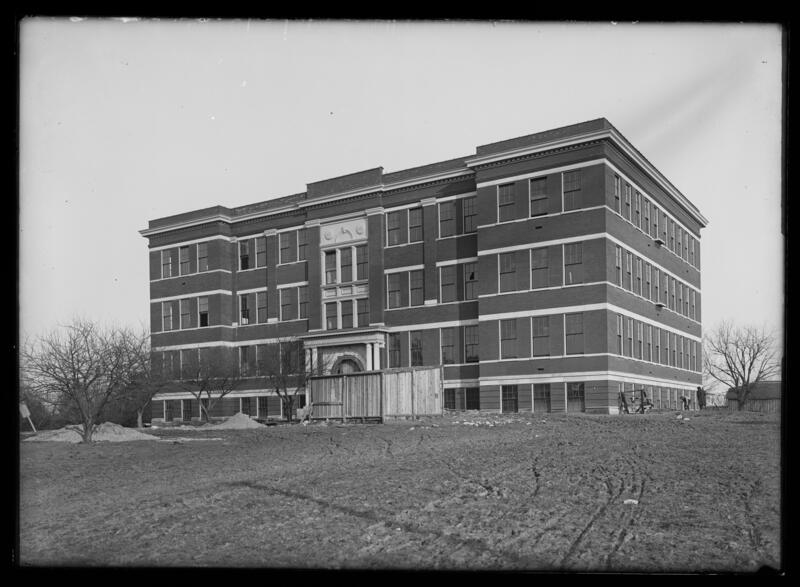 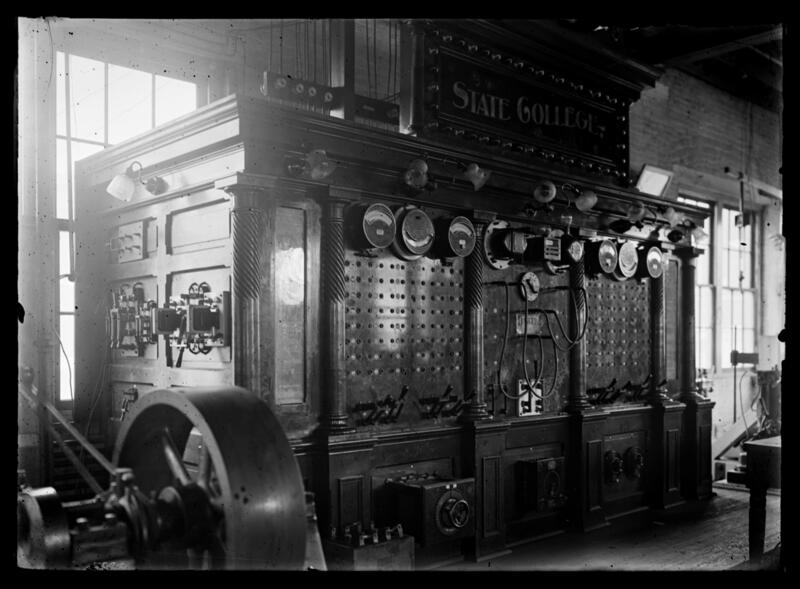 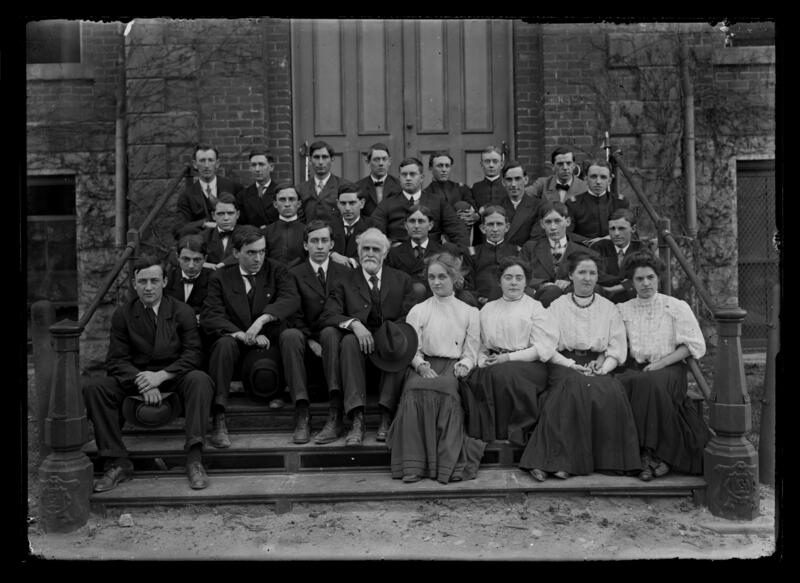 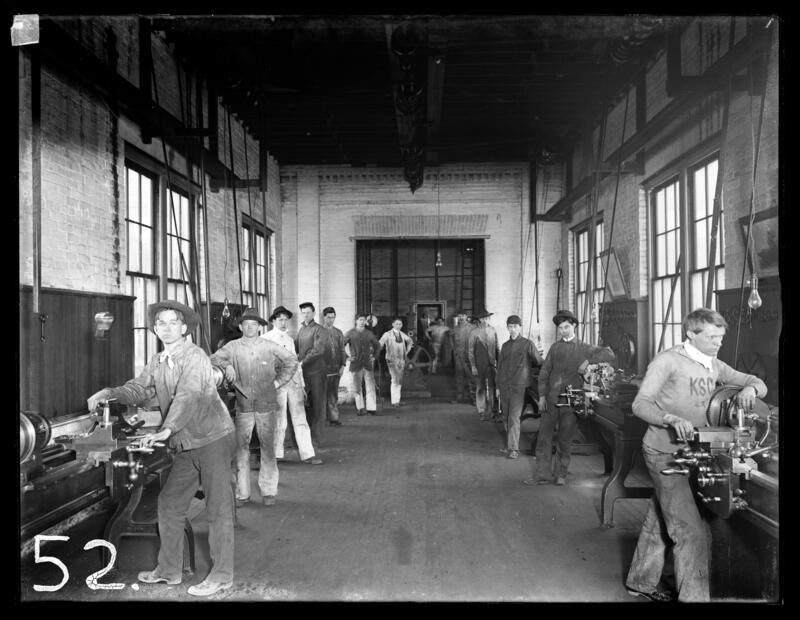 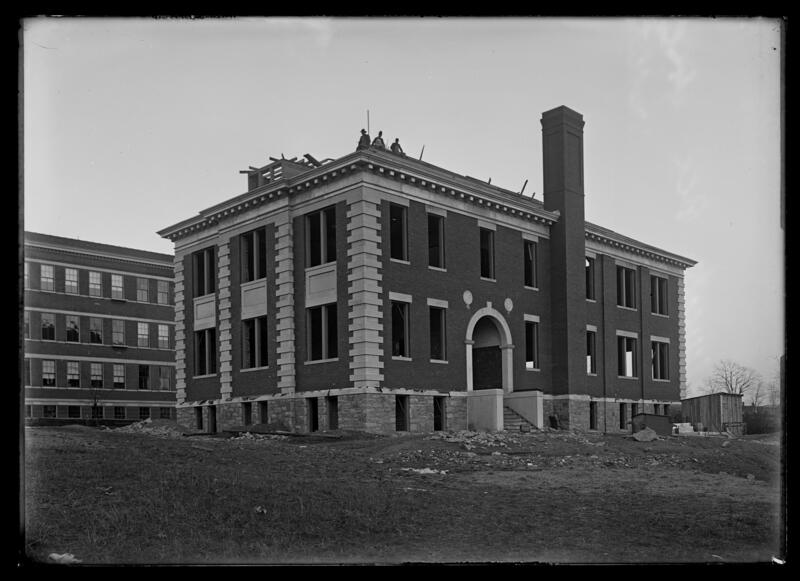 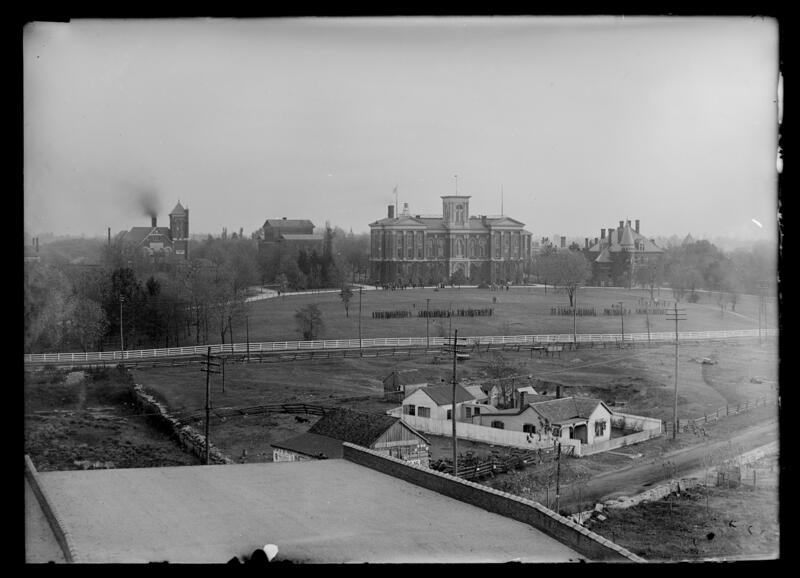 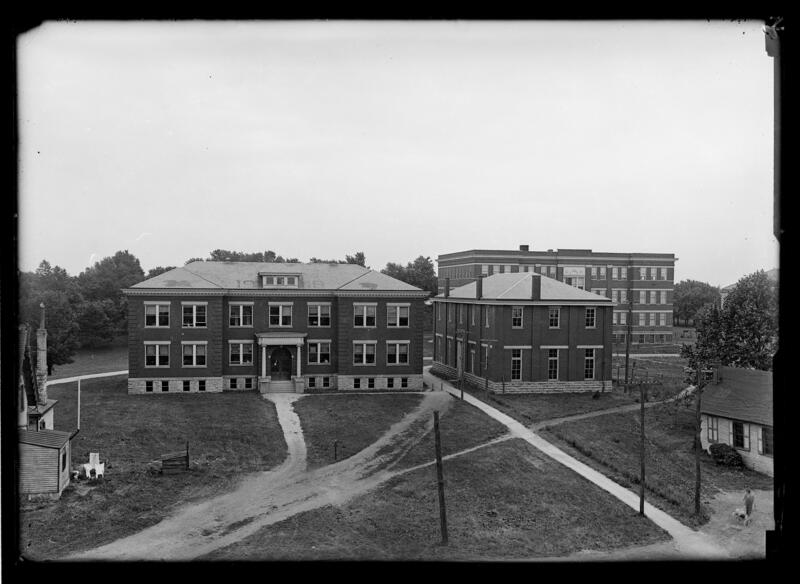 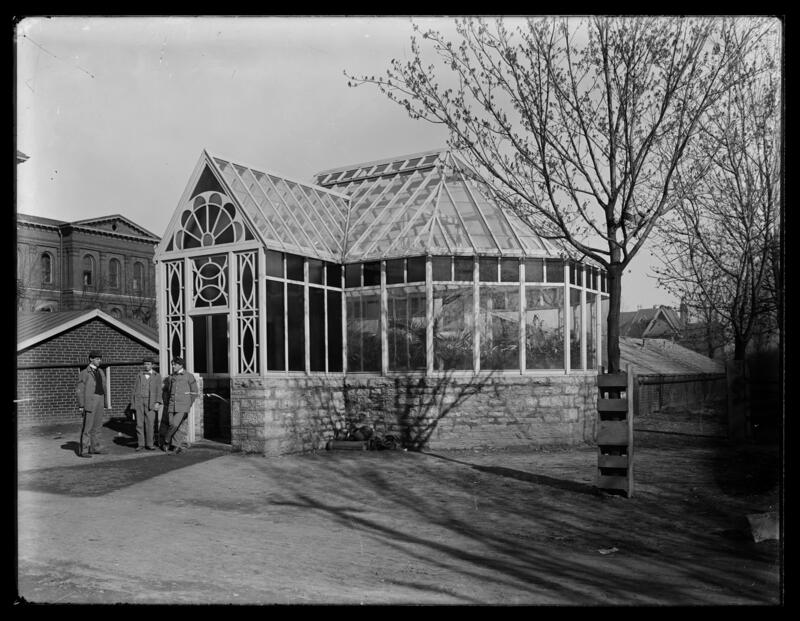 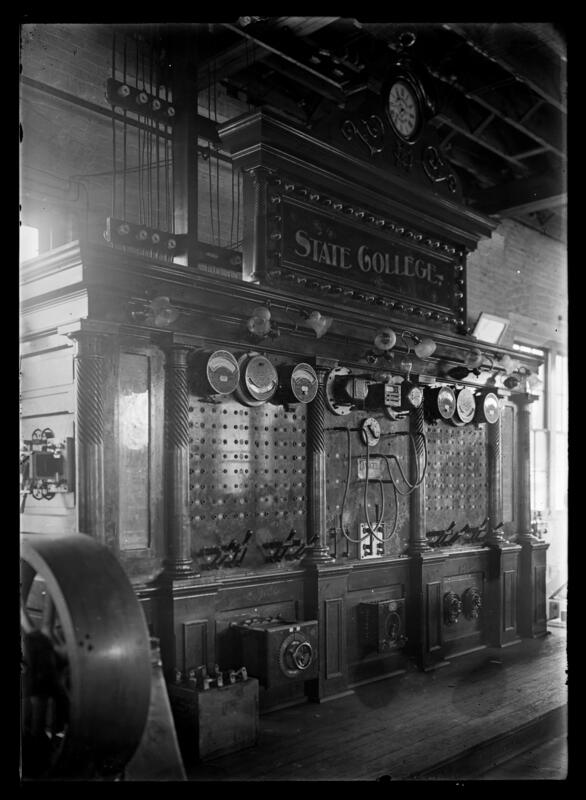 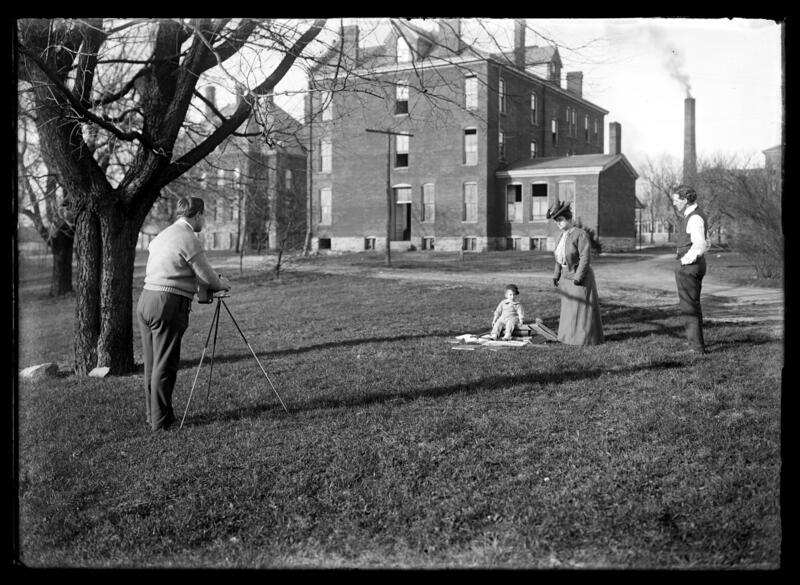 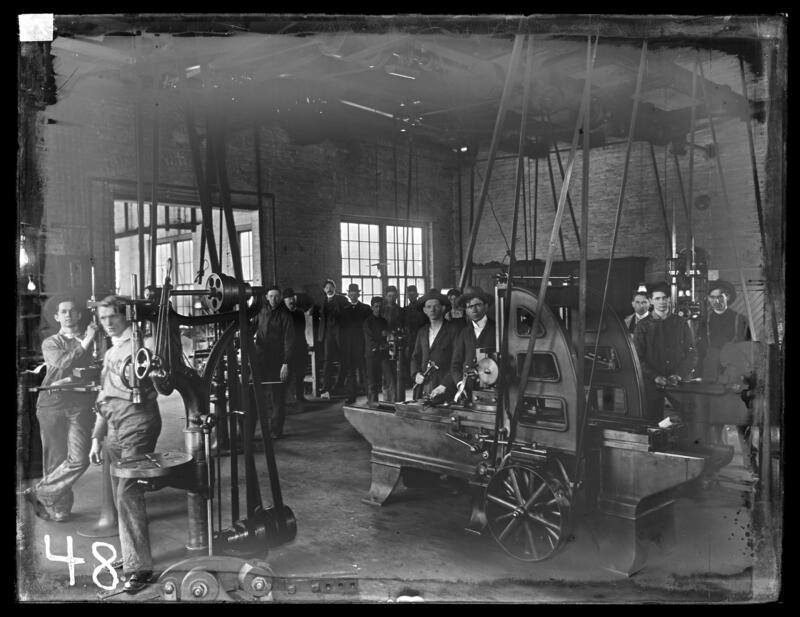 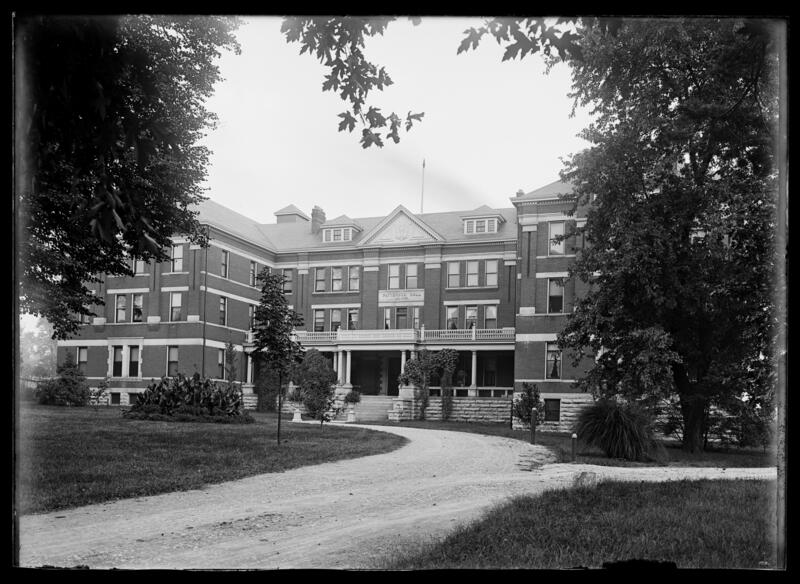 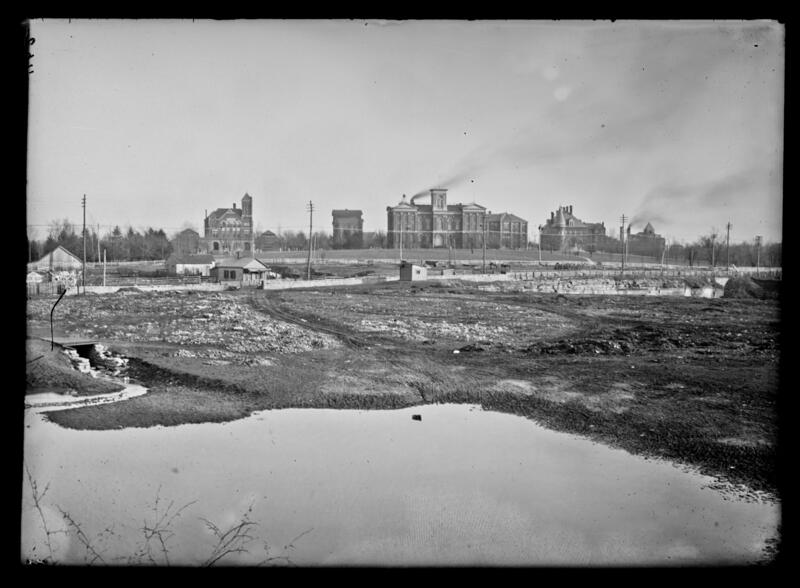 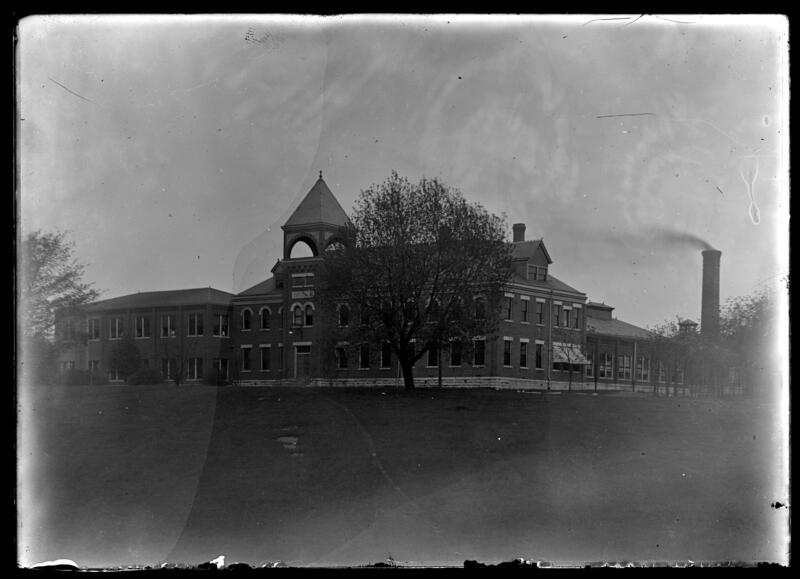 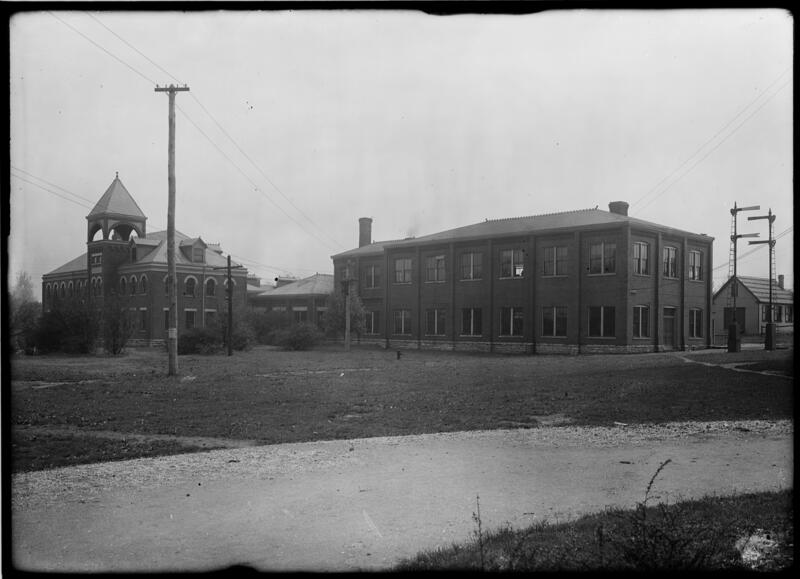 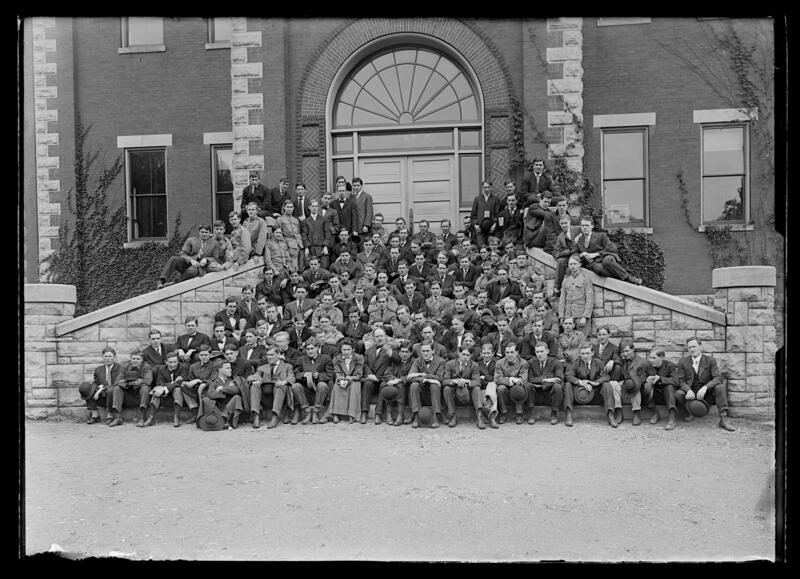 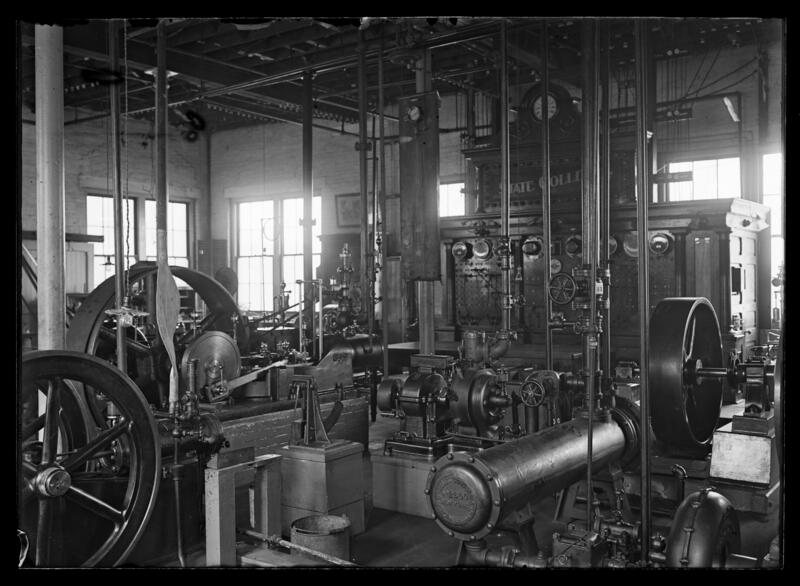 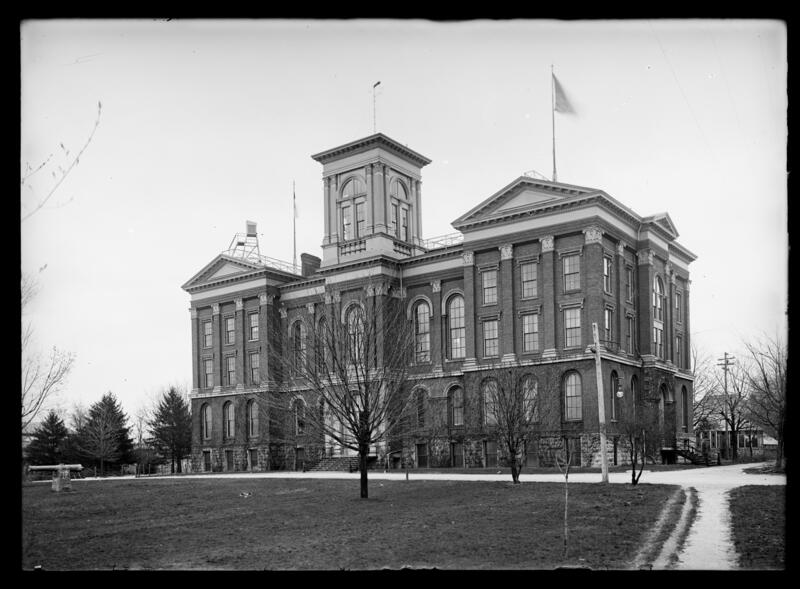 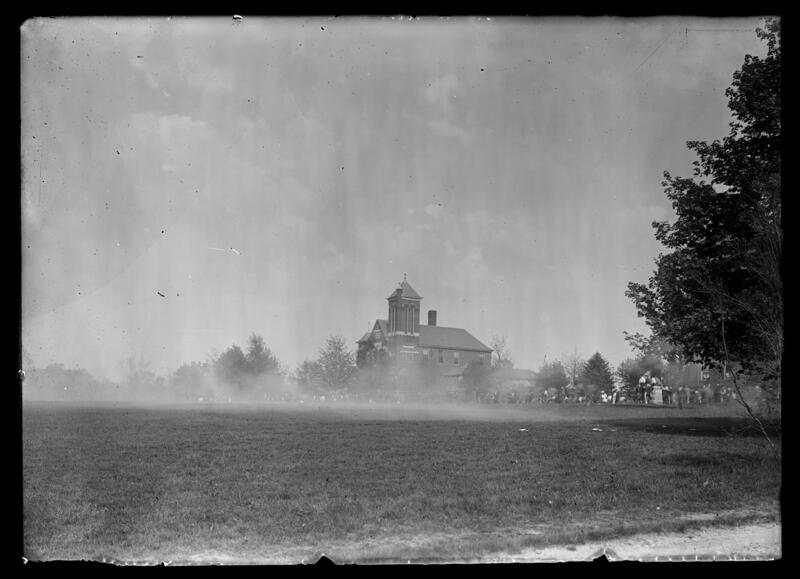 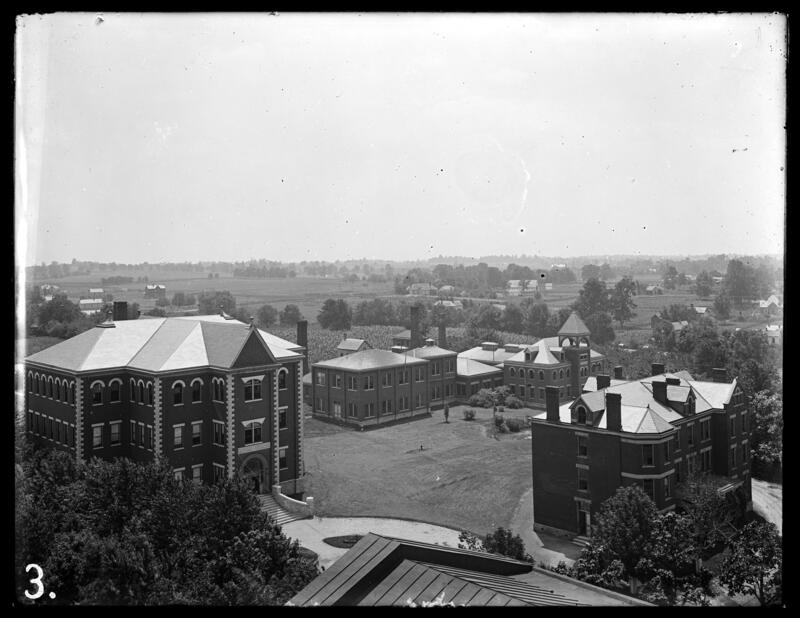 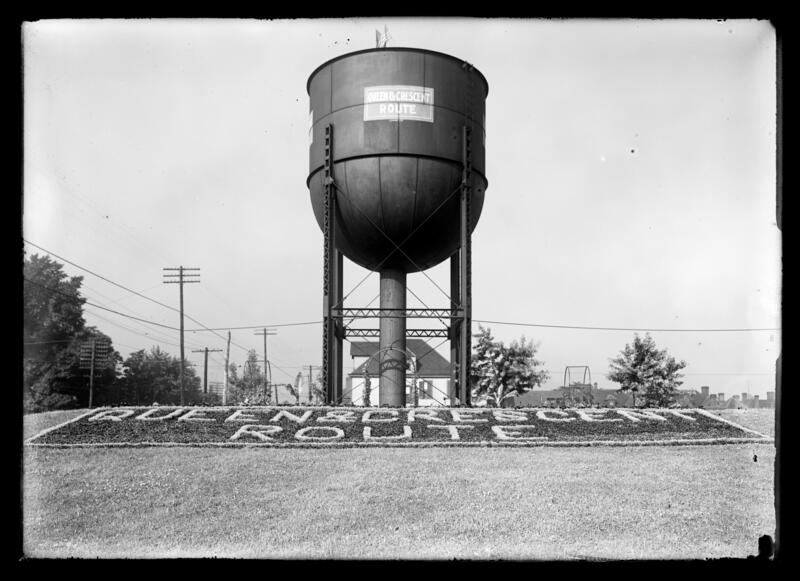 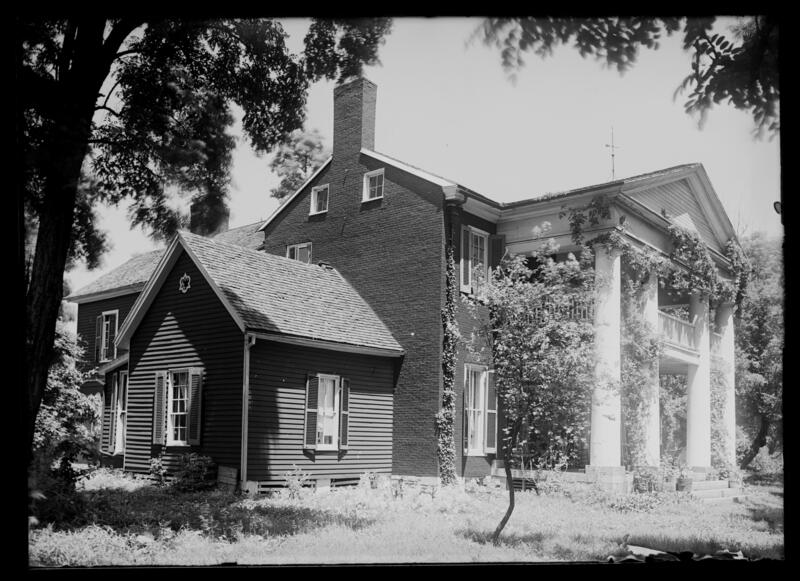 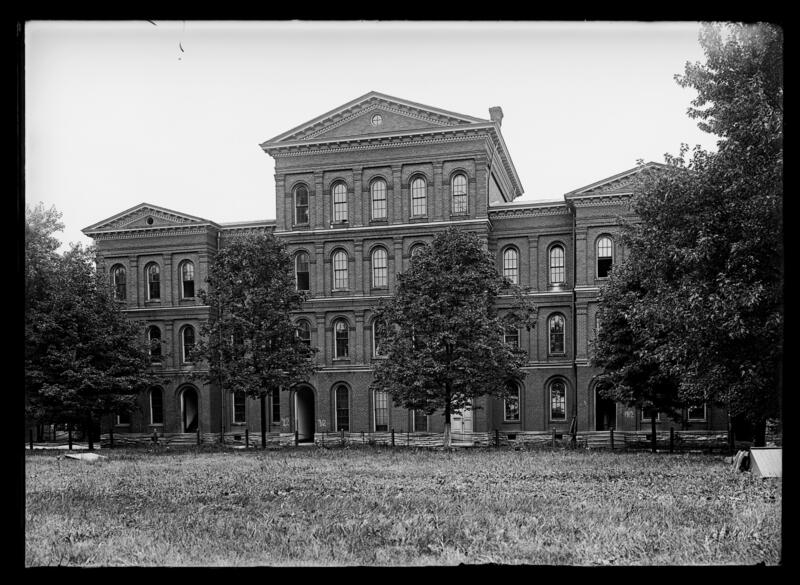 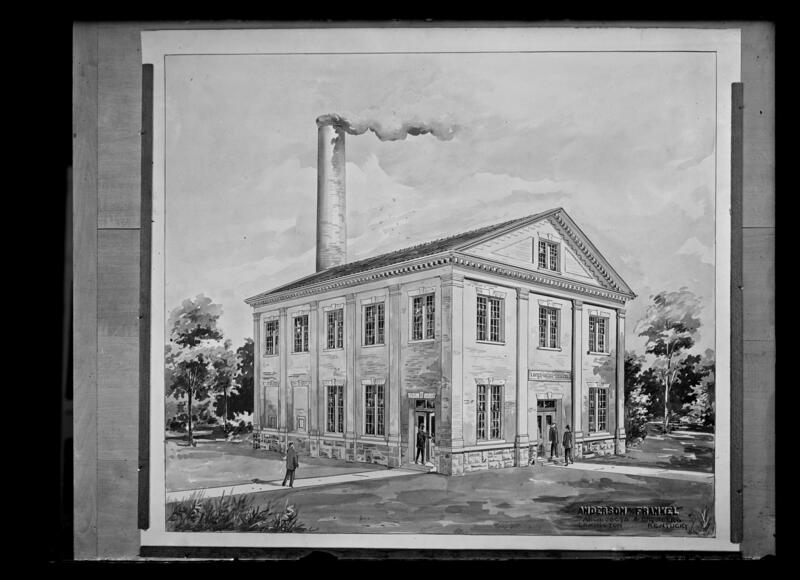 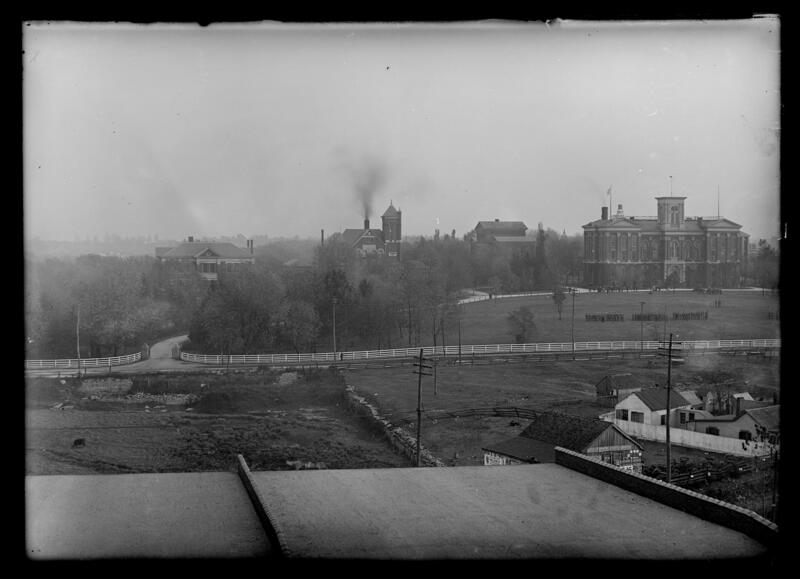 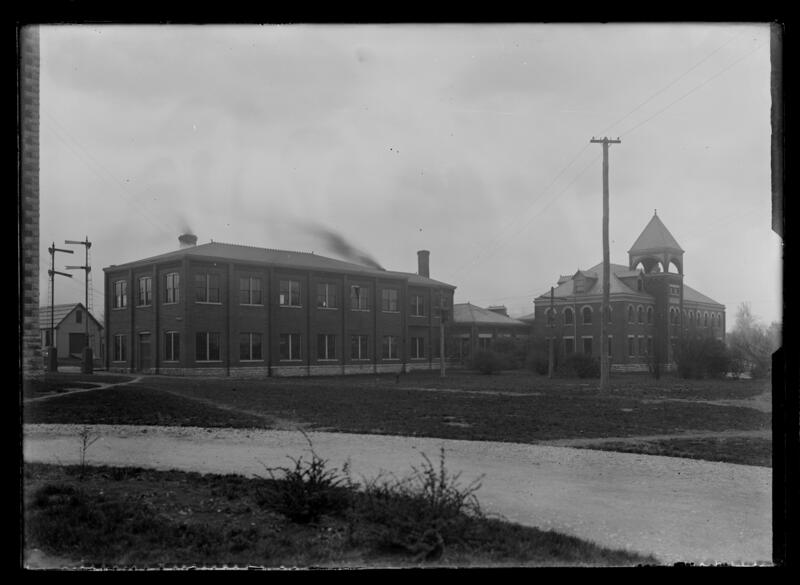 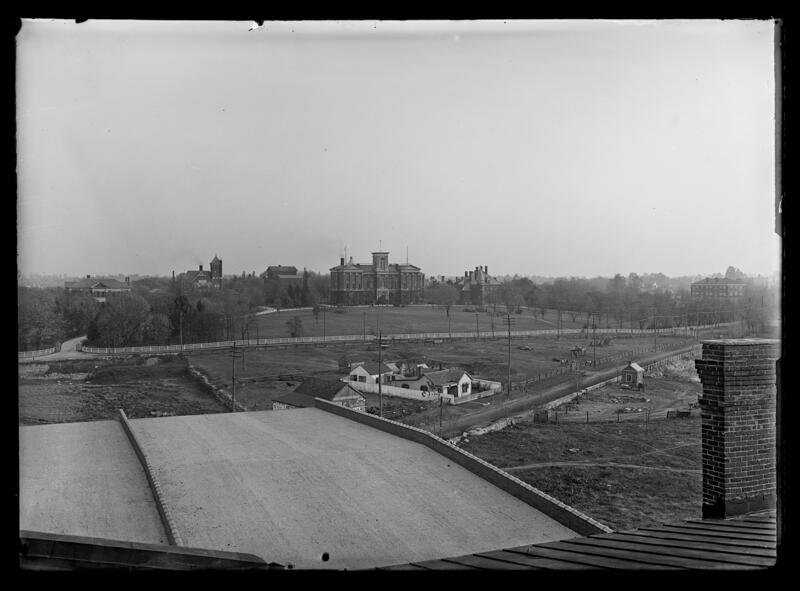 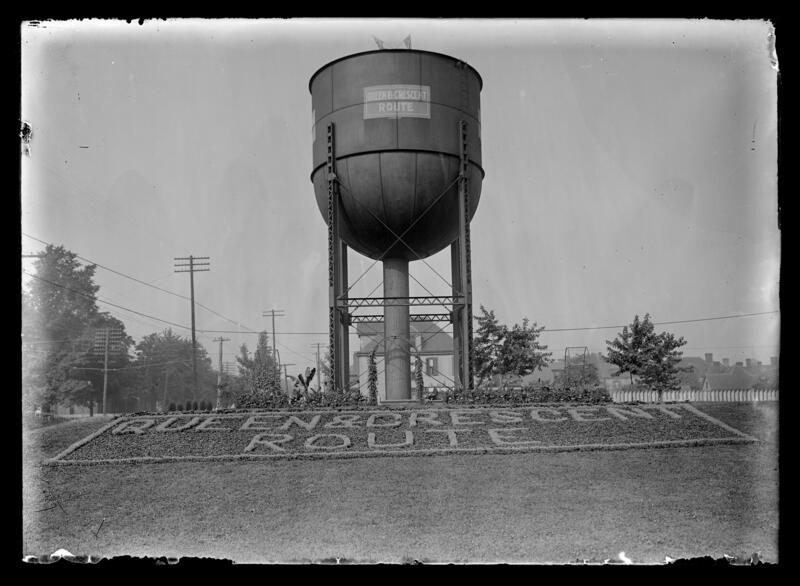 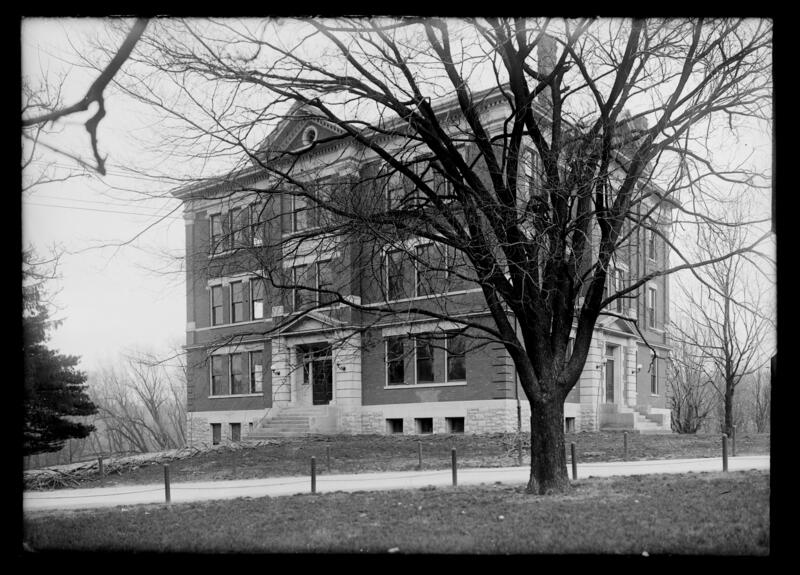 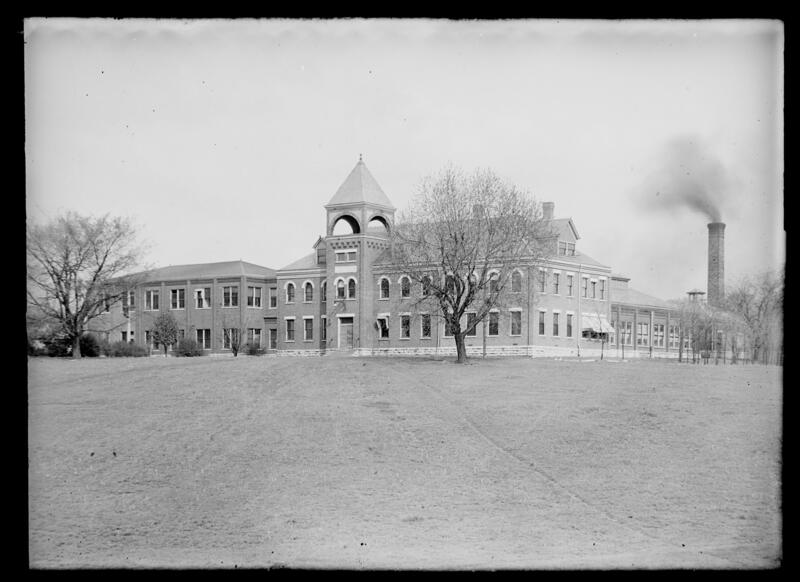 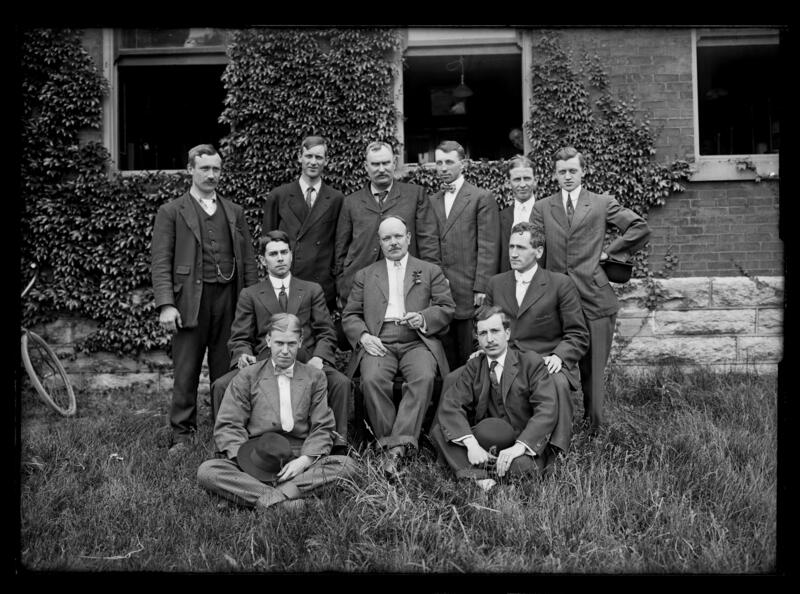 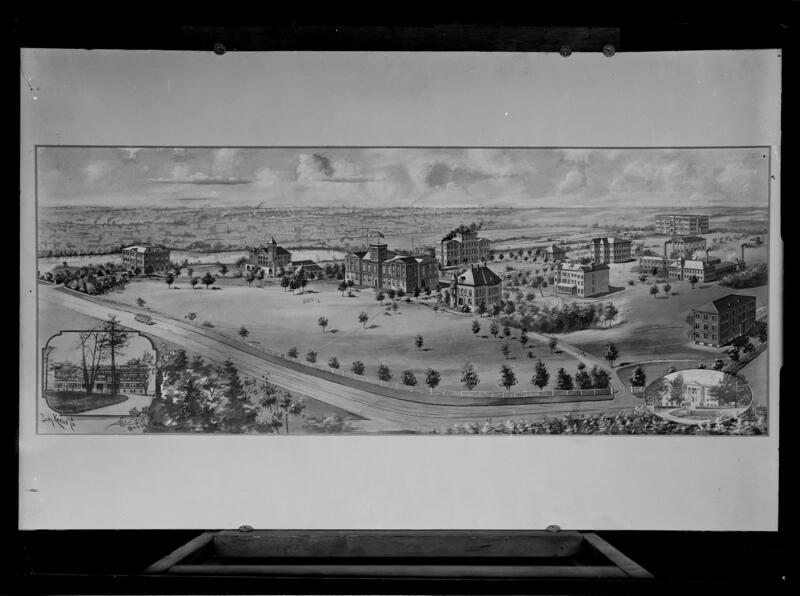 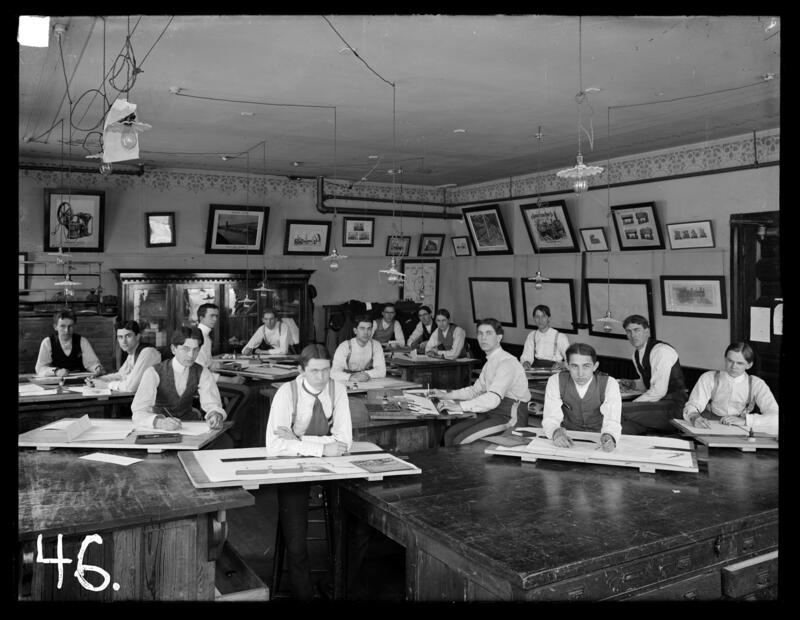 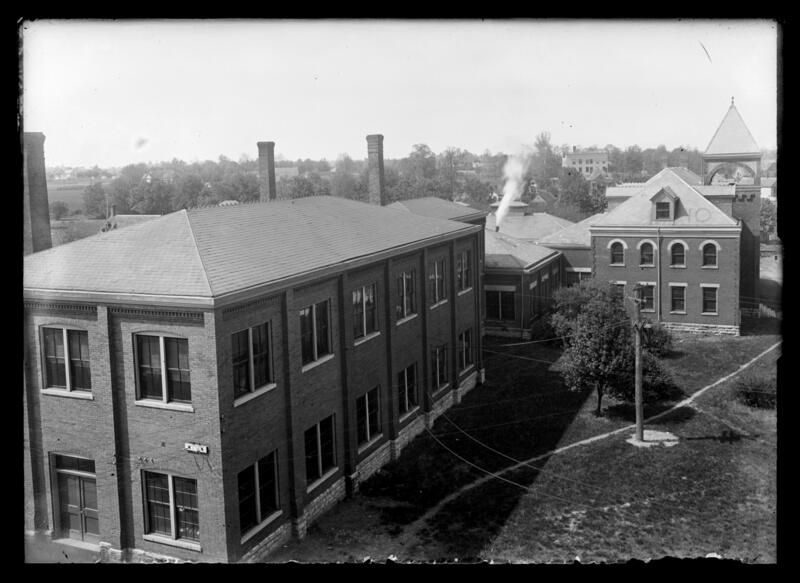 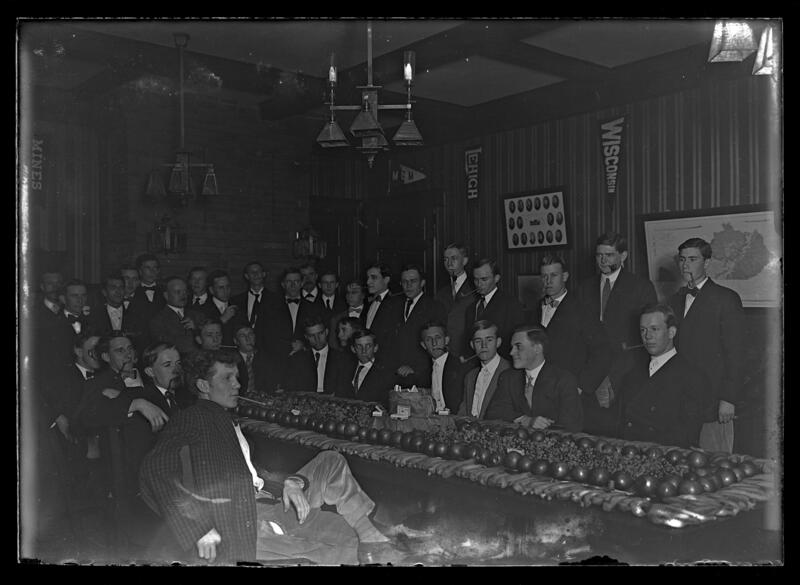 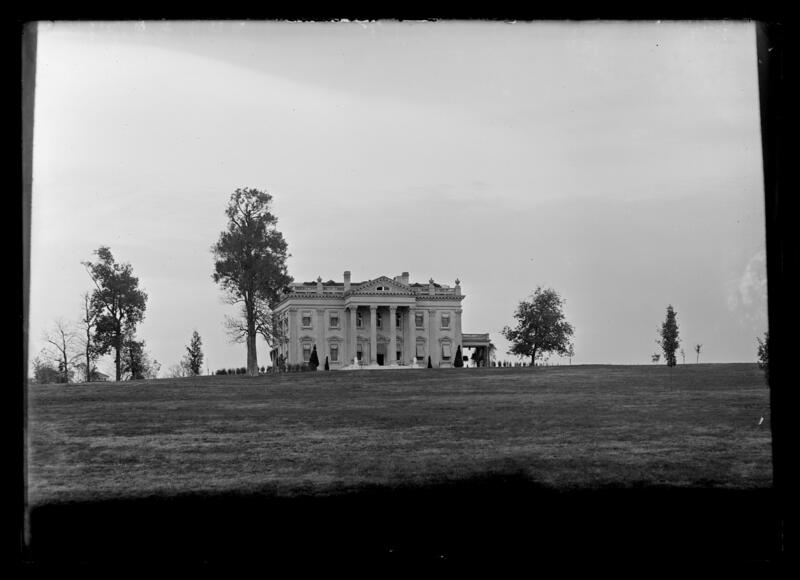 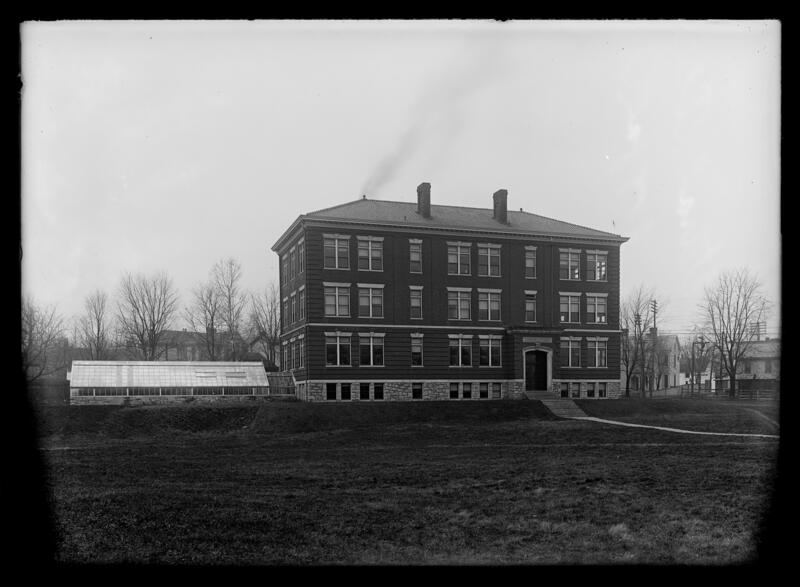 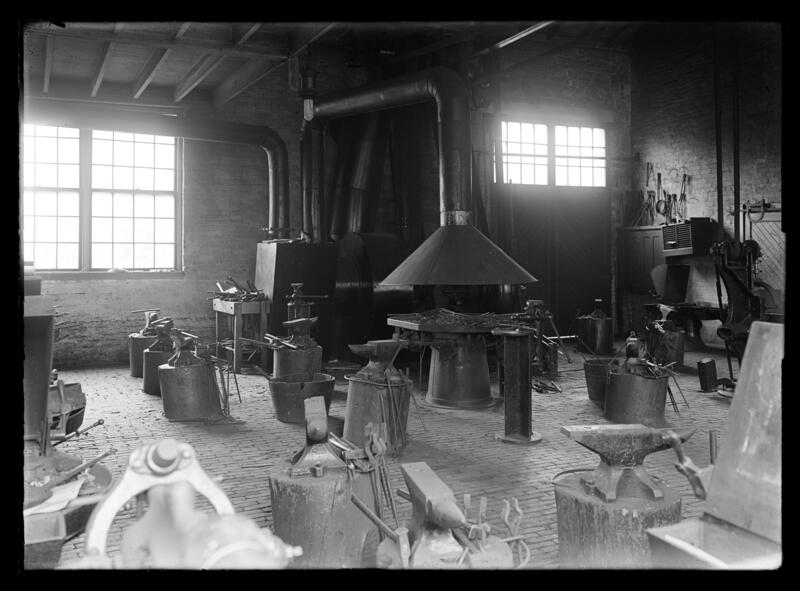 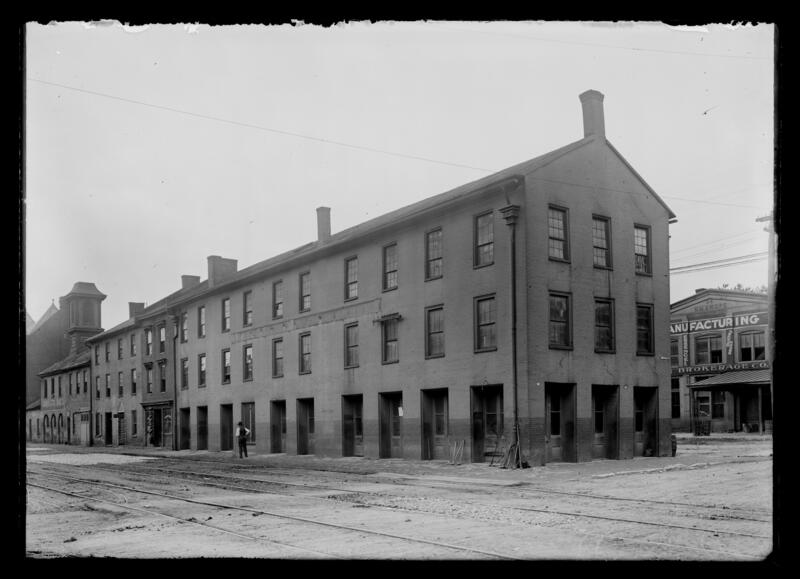 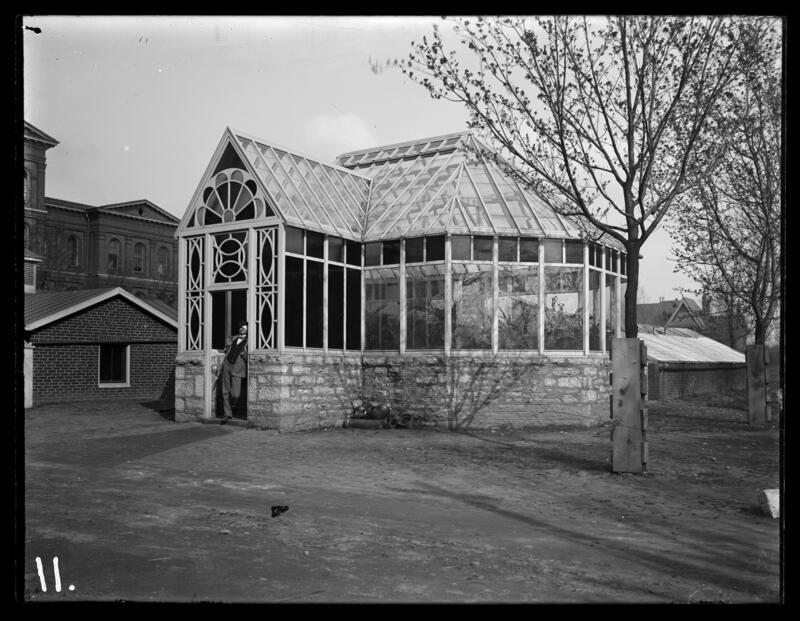 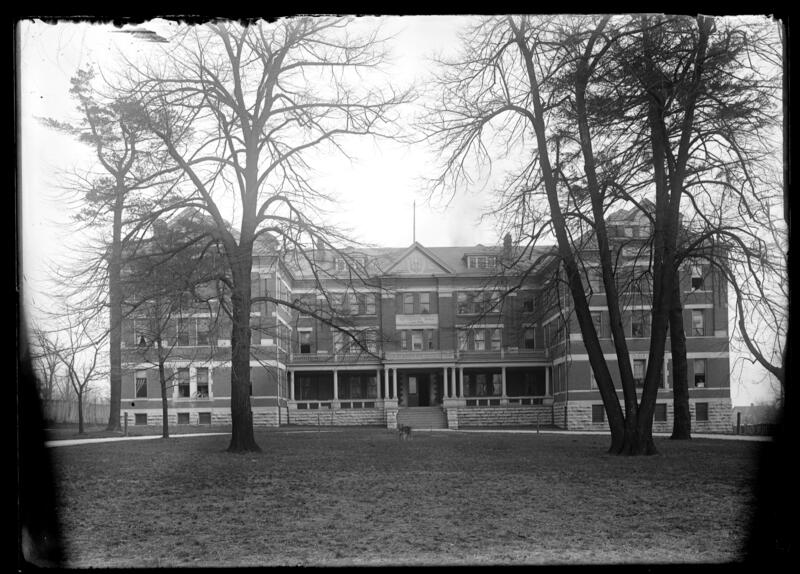 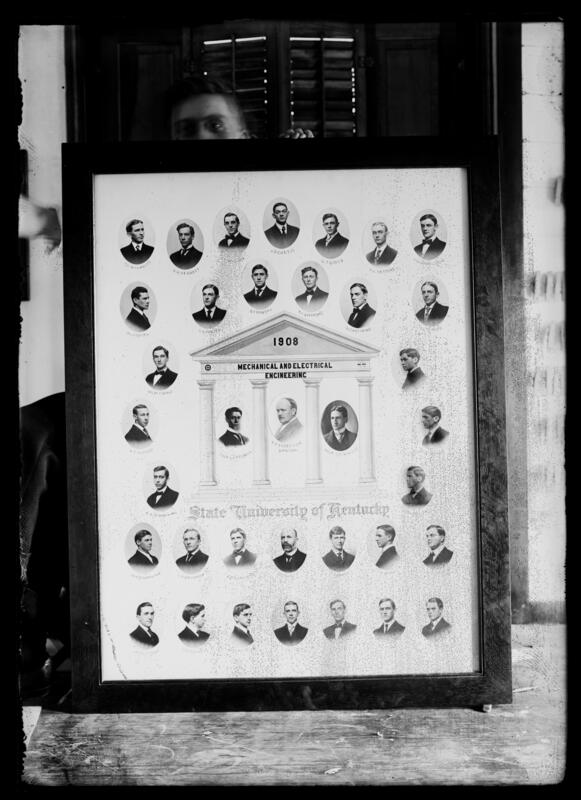 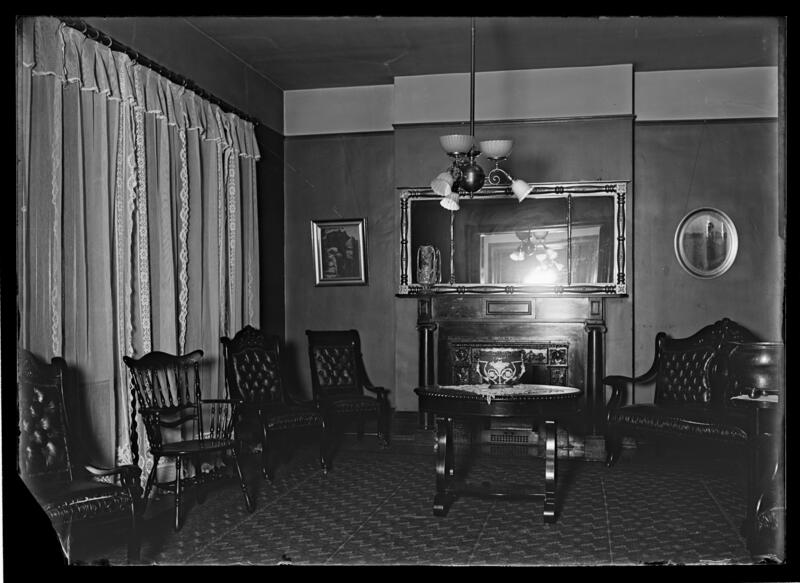 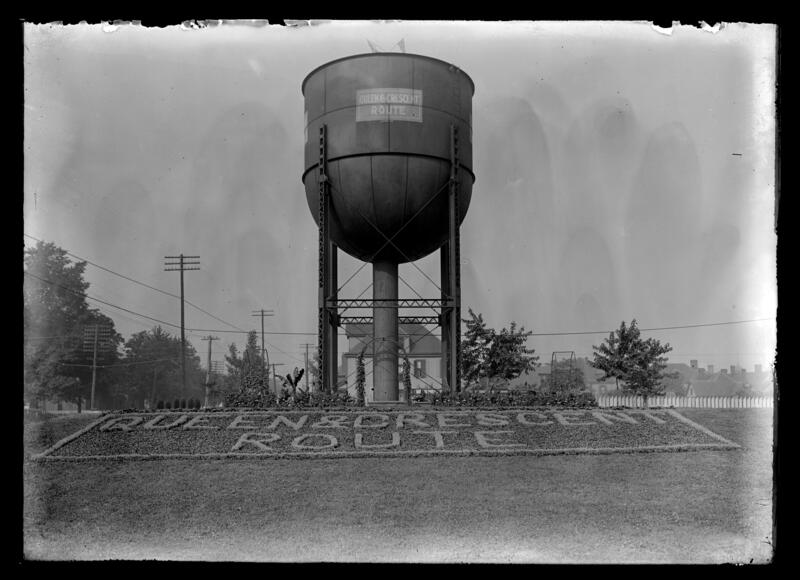 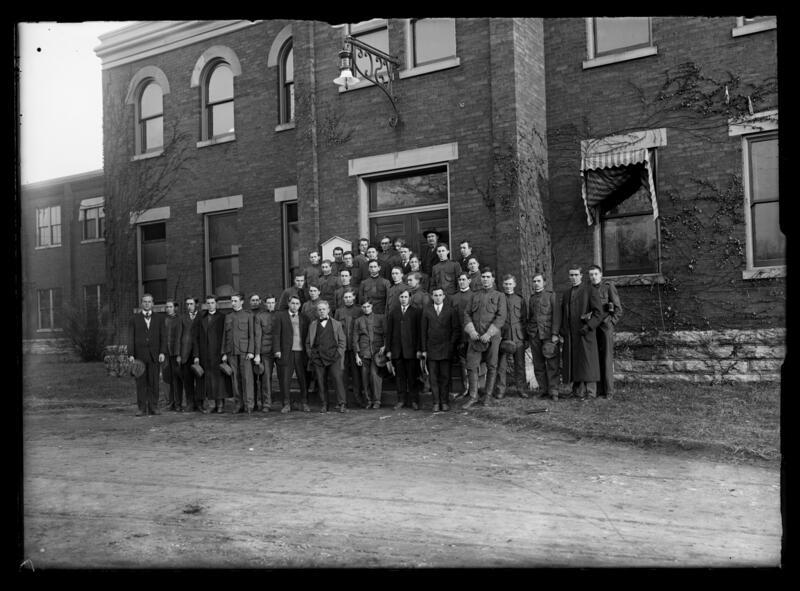 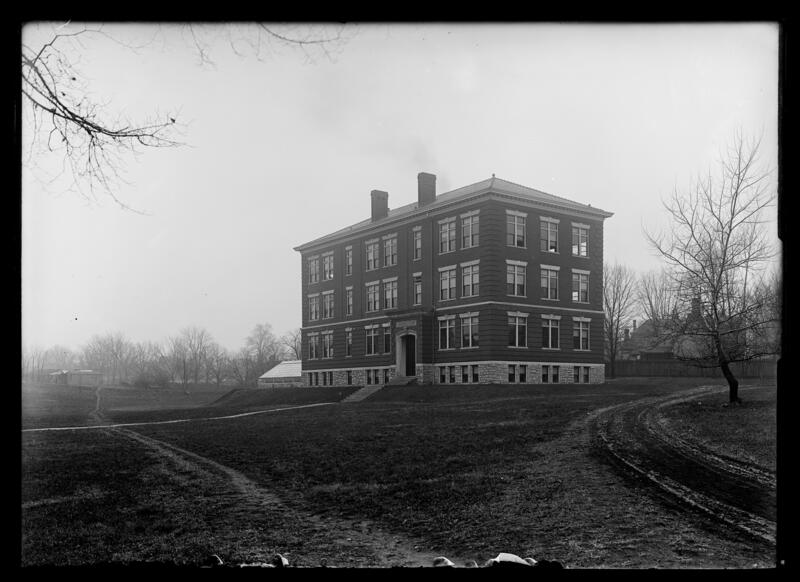 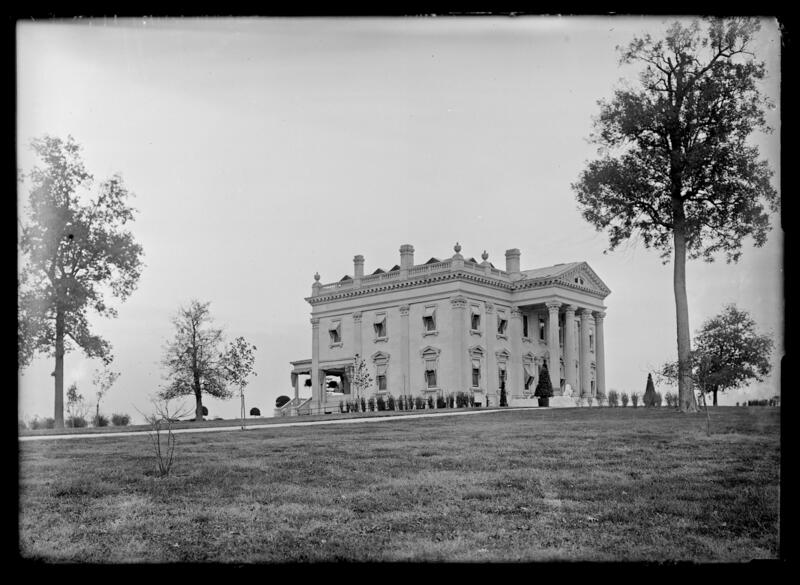 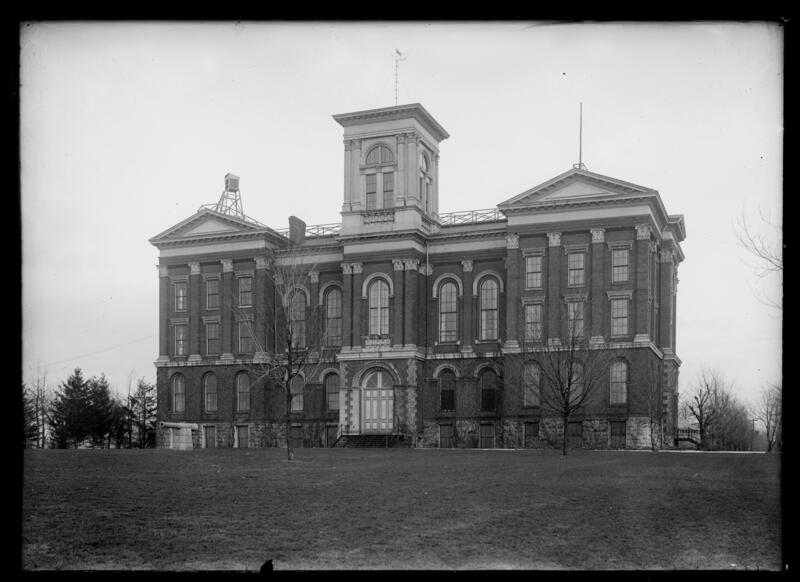 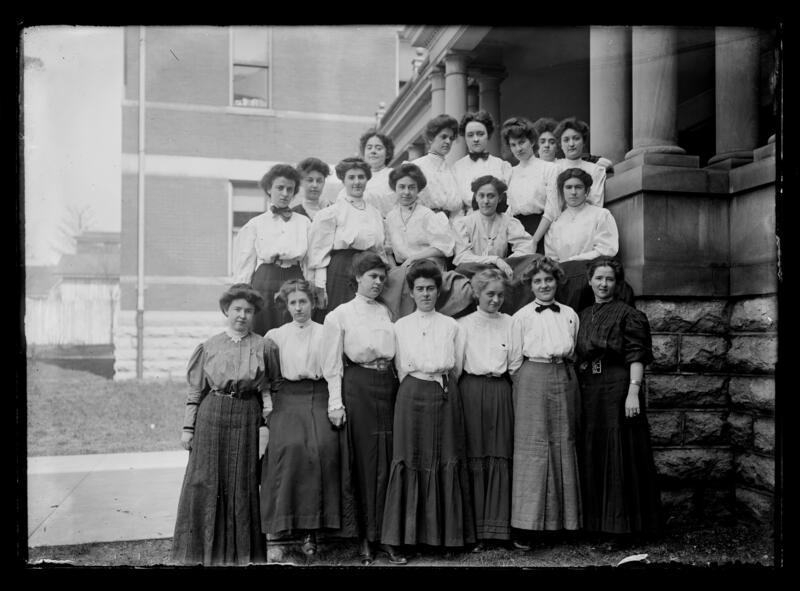 Glass plate negative collection (dated 1887-1953, bulk 1898-1918; 42 cubic feet; 3854 items) consists of dry plate, silver nitrate glass negatives, and depict buildings on the University of Kentucky campus, University of Kentucky sports teams and clubs, and past university presidents. 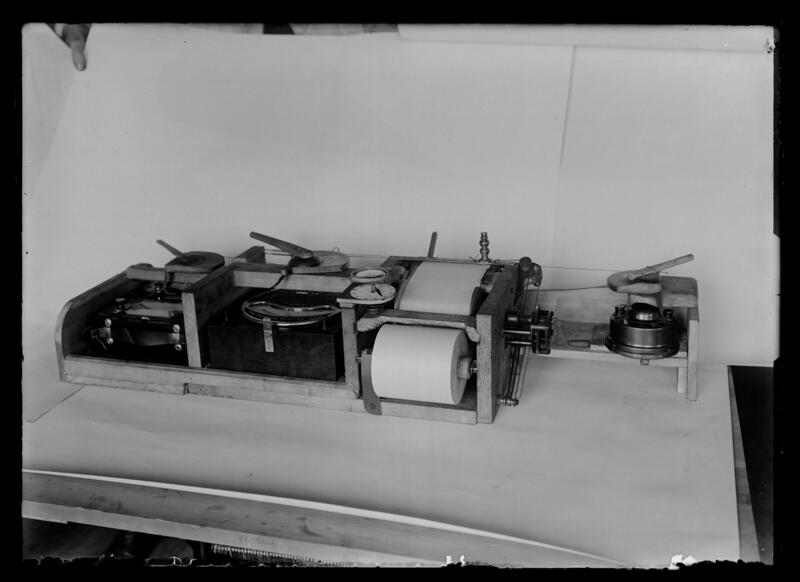 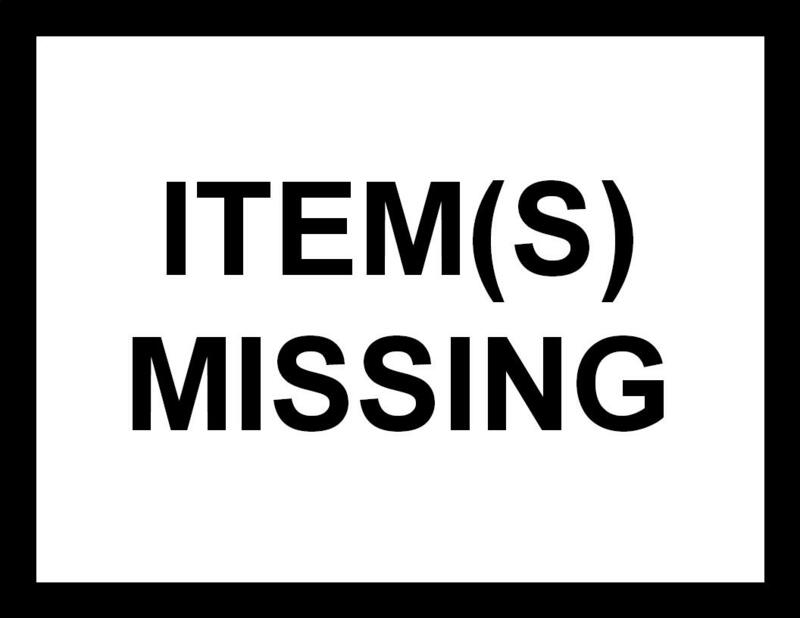 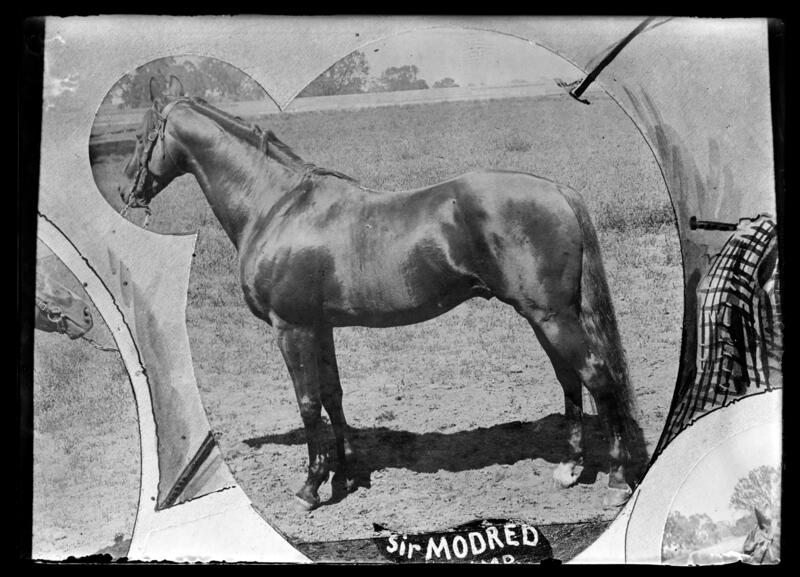 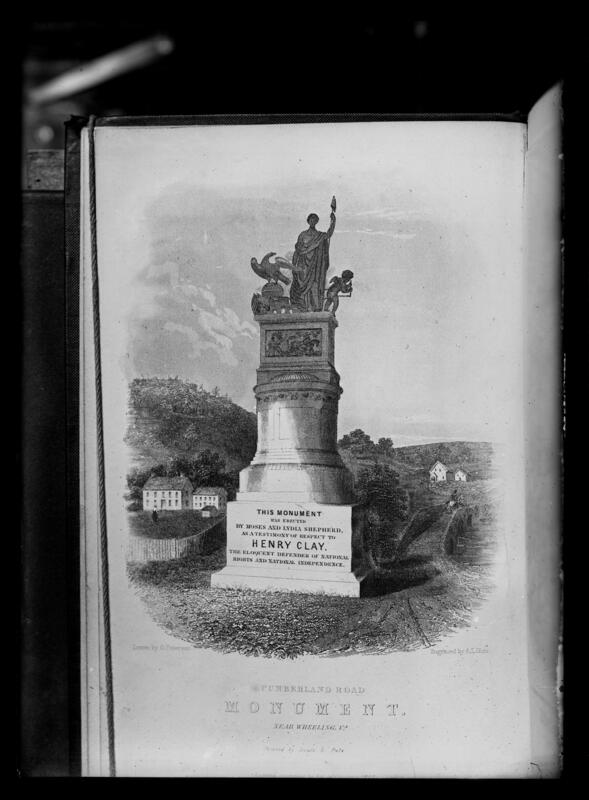 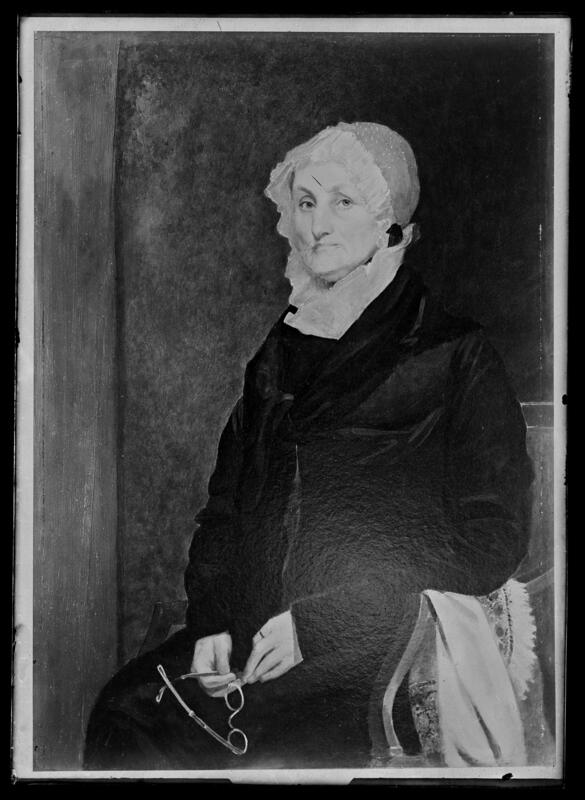 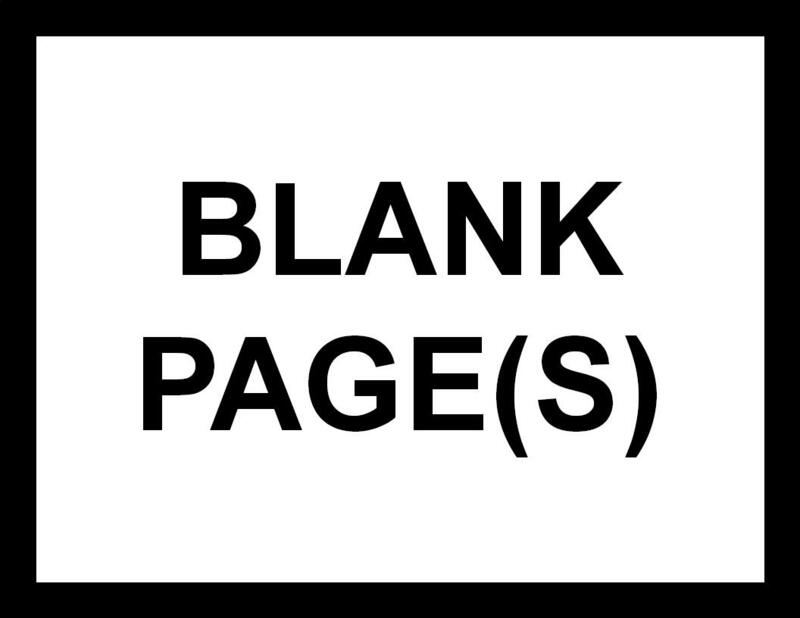 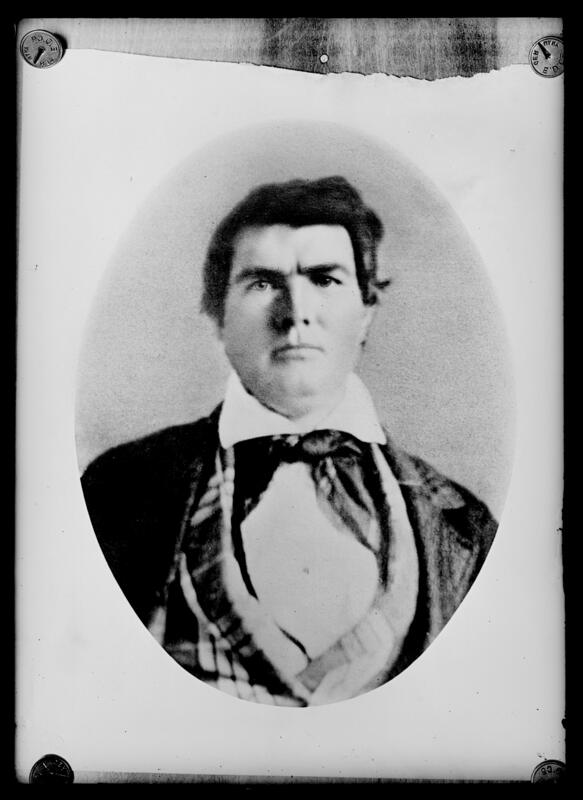 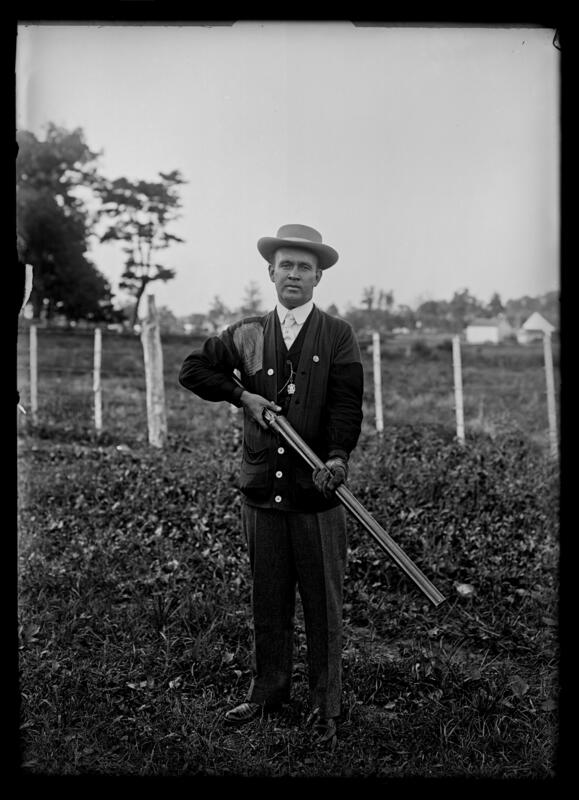 Collection includes scope and contents notes indicating the photographer when known. 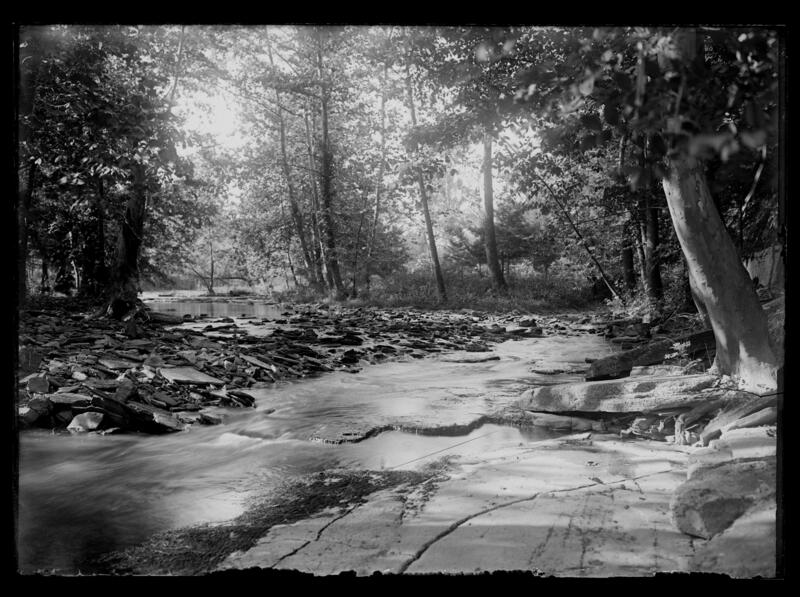 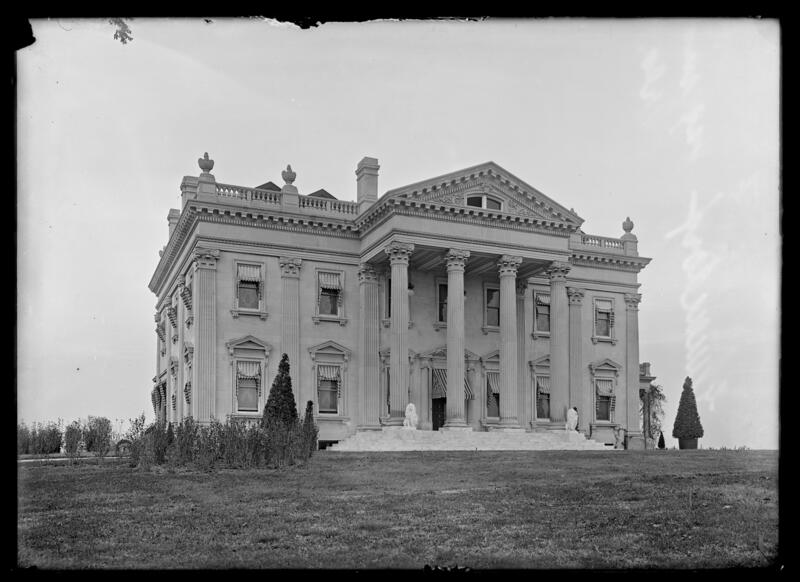 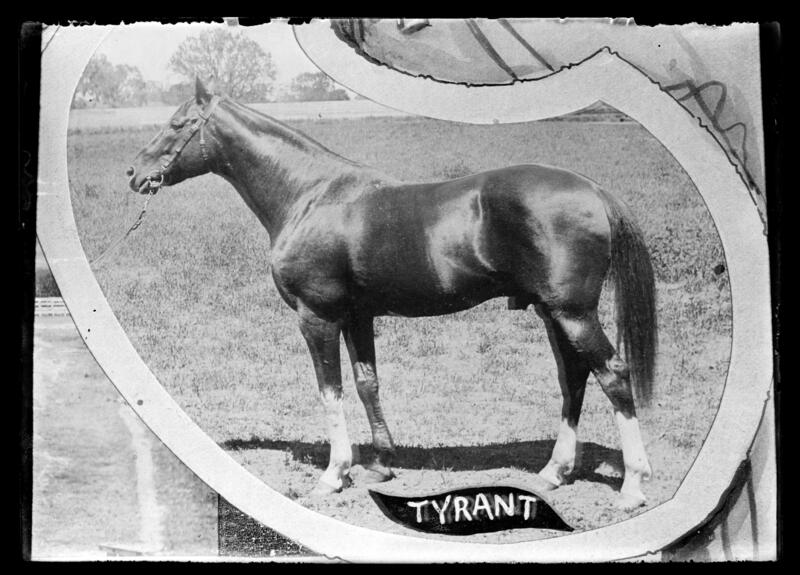 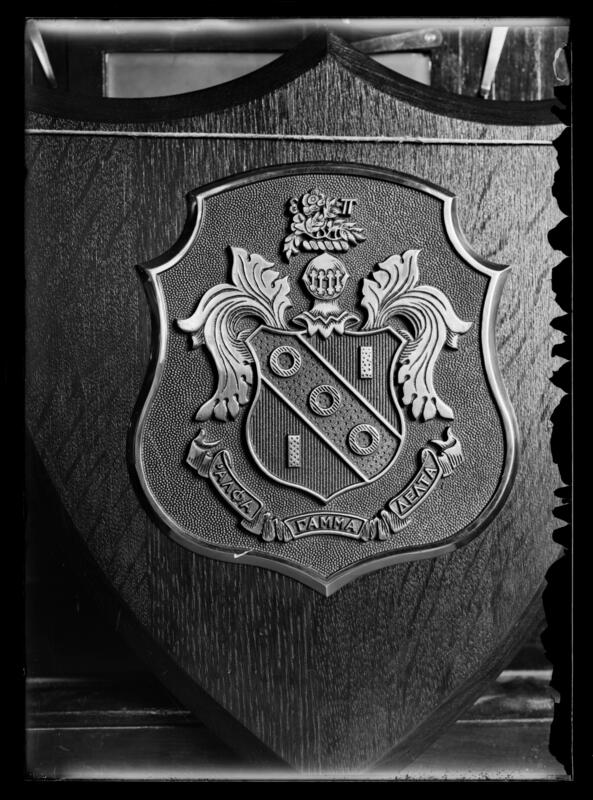 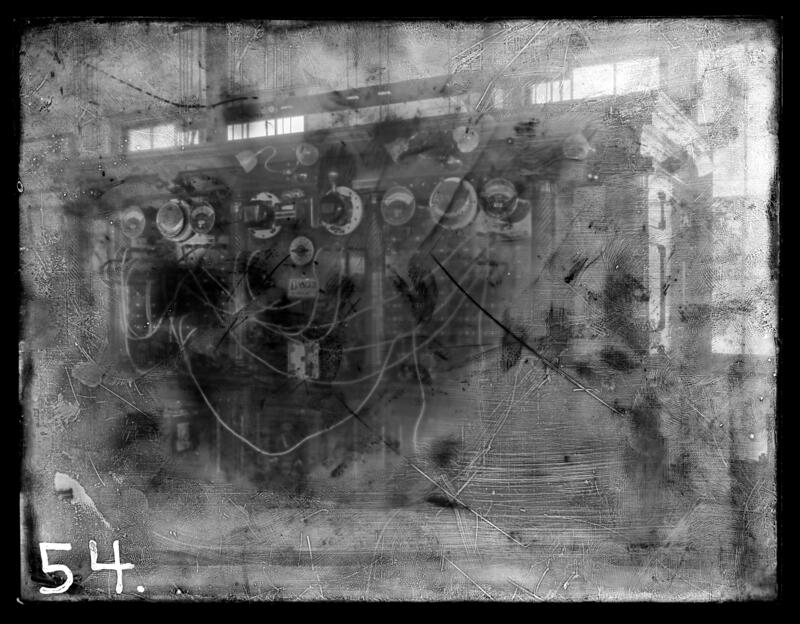 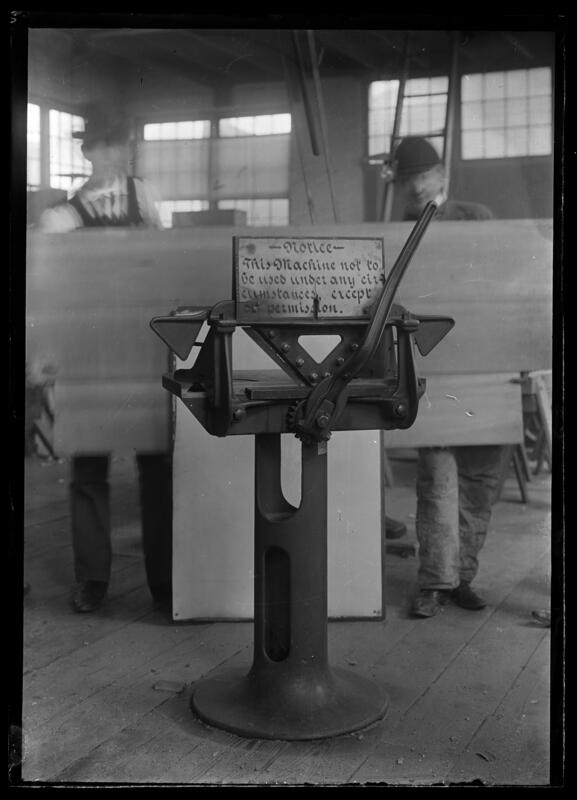 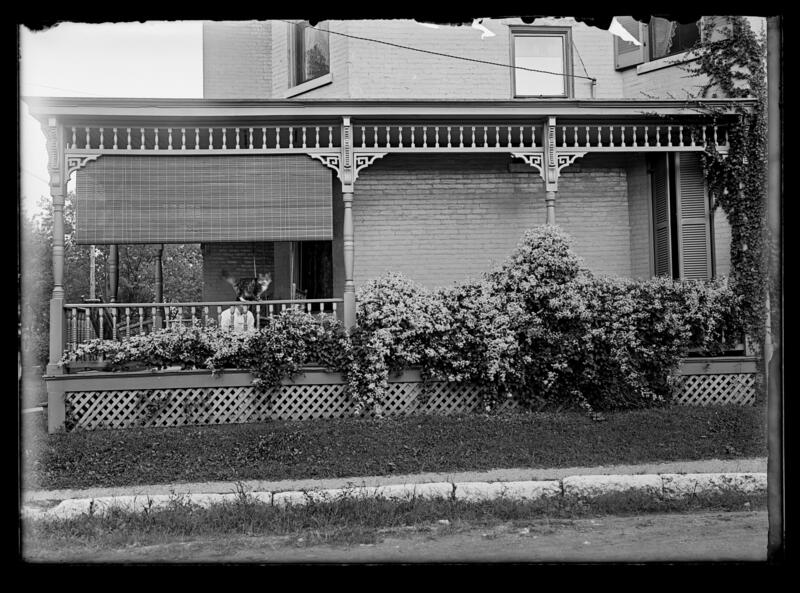 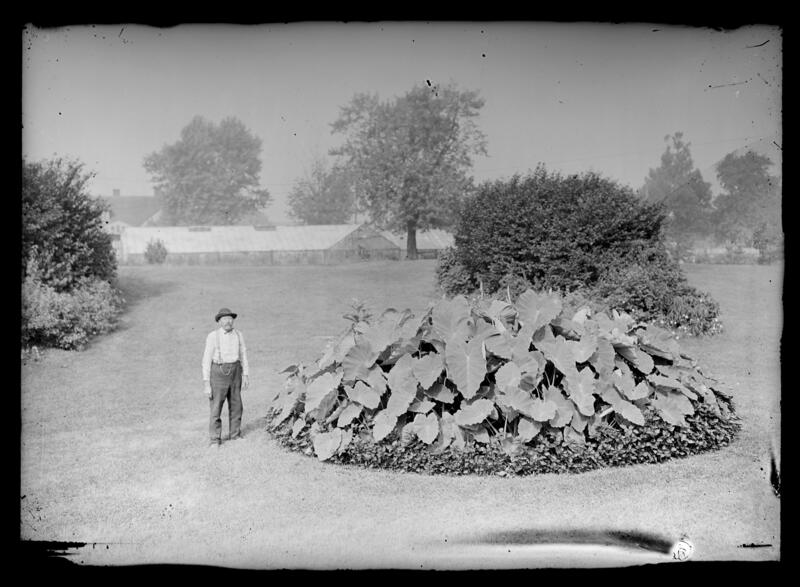 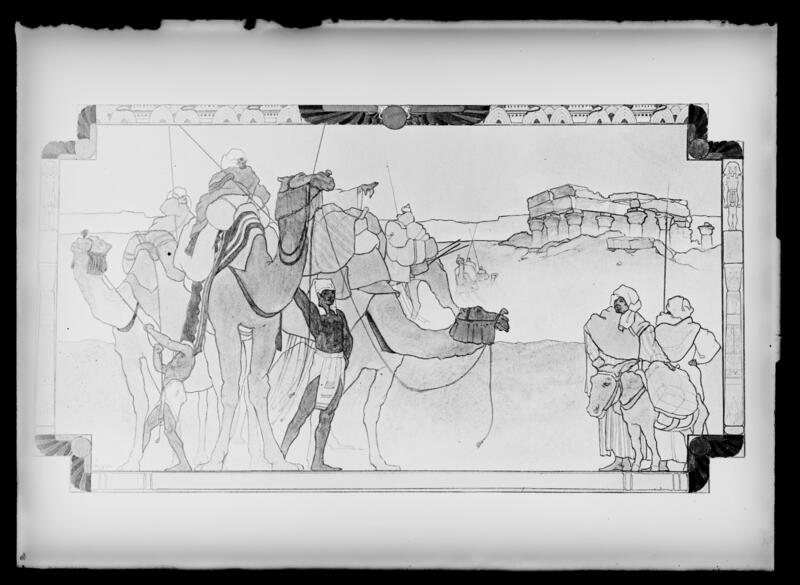 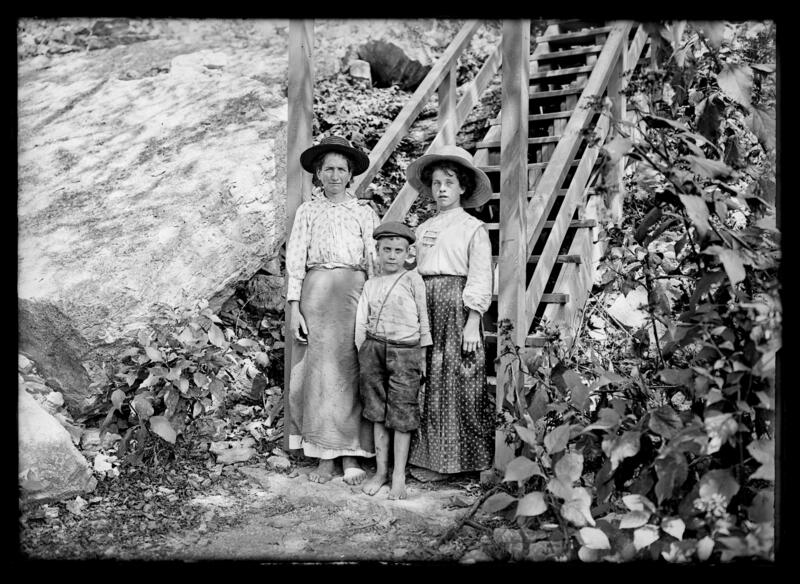 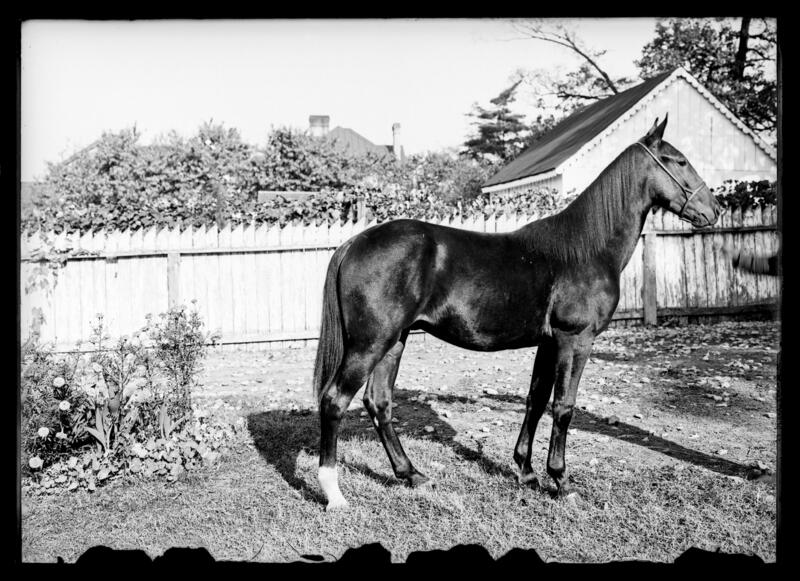 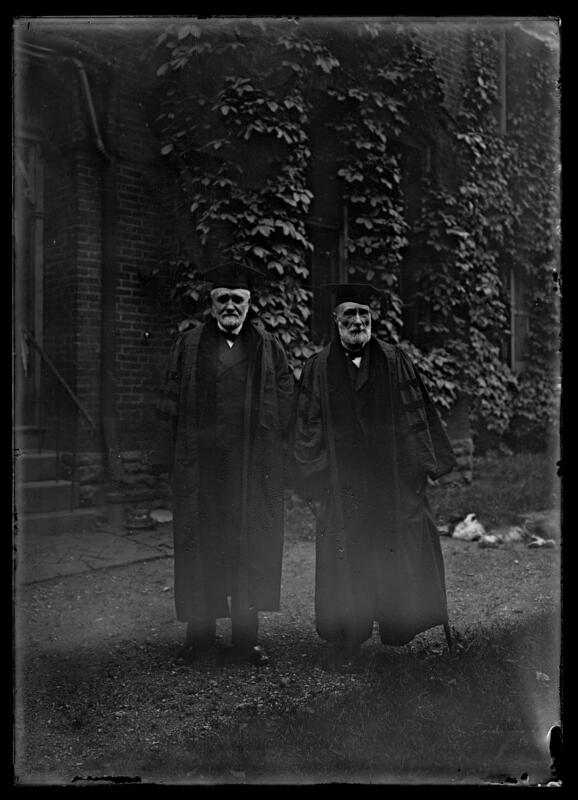 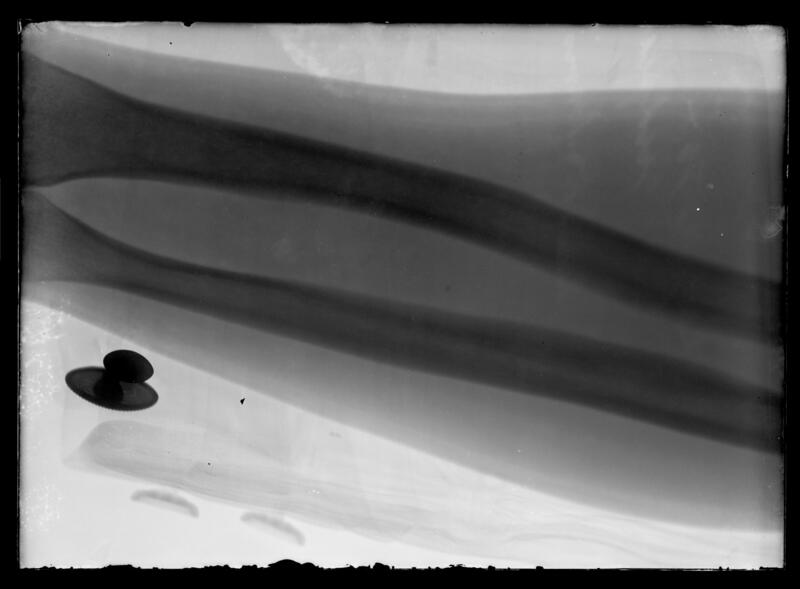 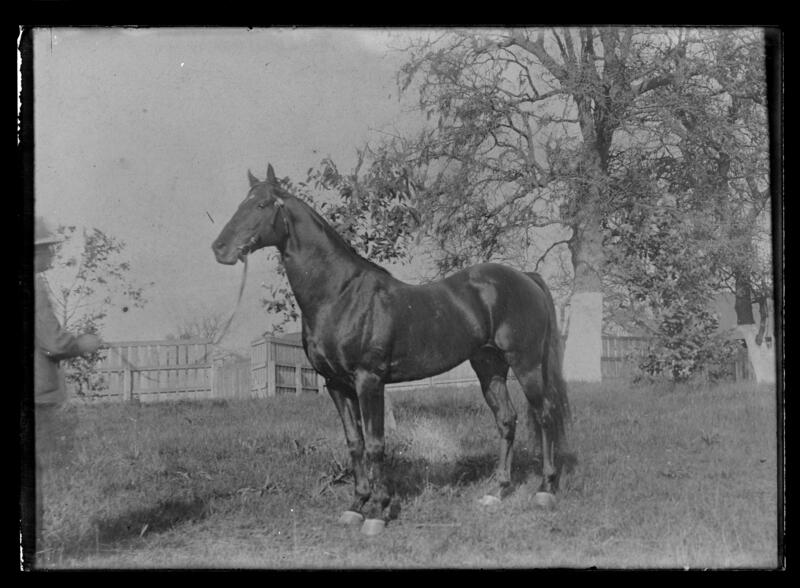 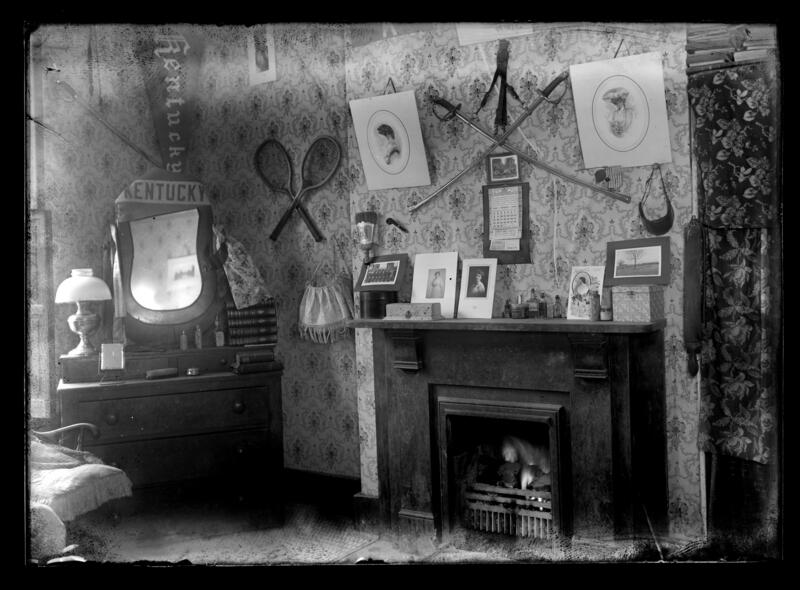 2007ua014: [identification of item], Glass plate negative collection, 1887-1953, bulk 1898-1918, University of Kentucky Special Collections. 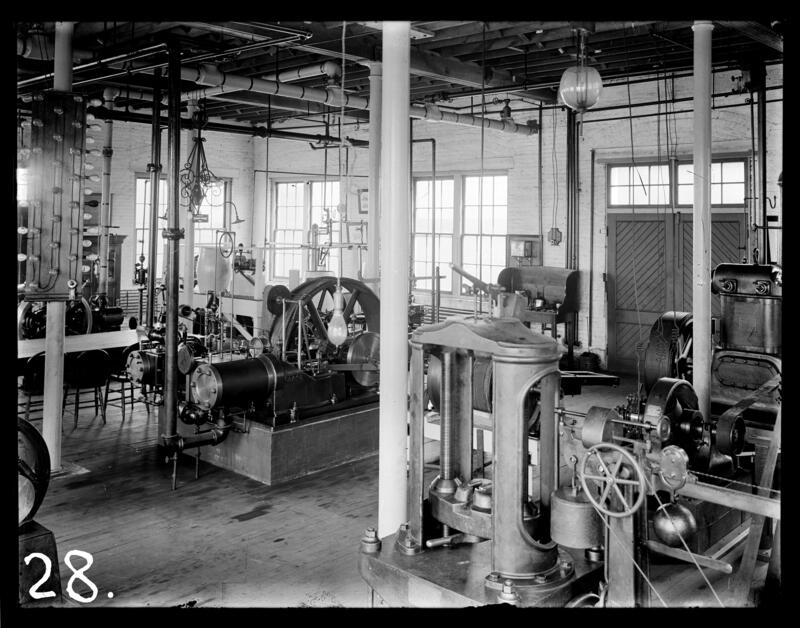 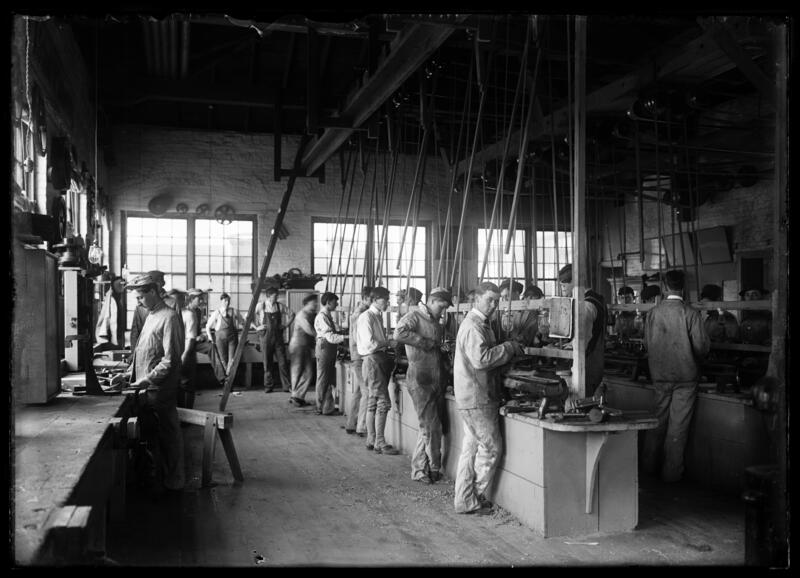 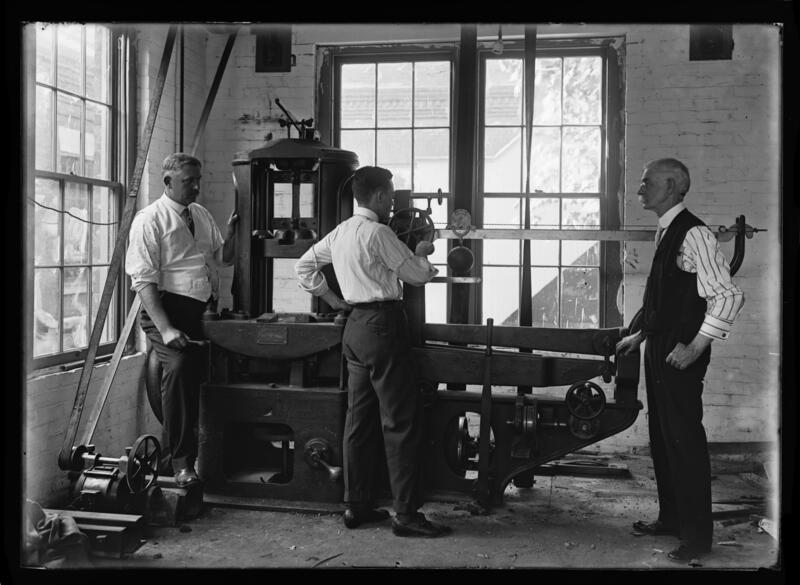 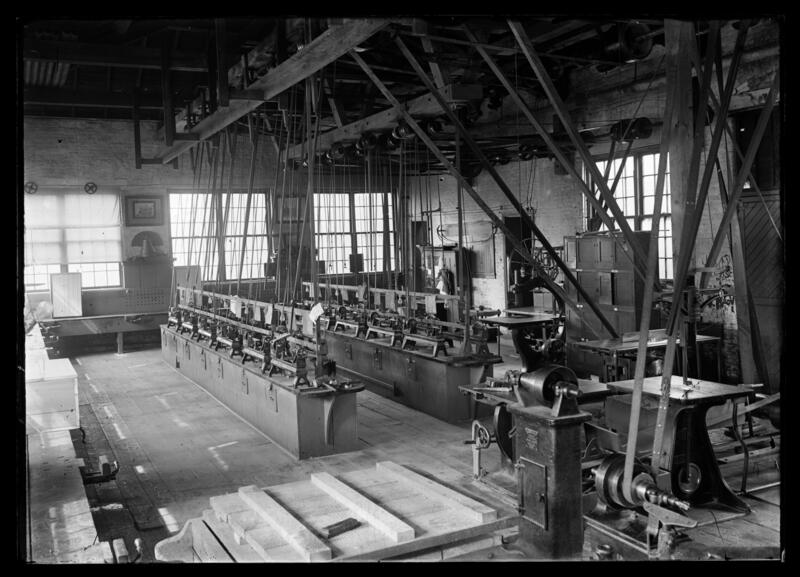 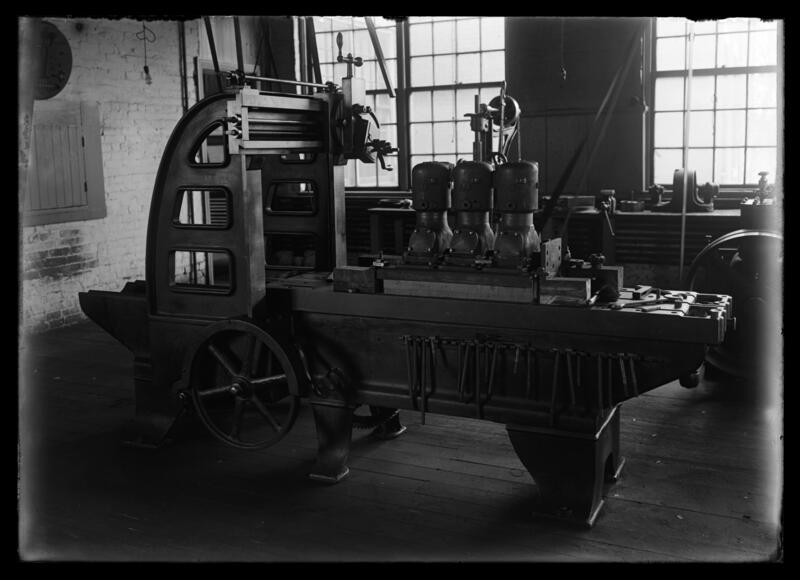 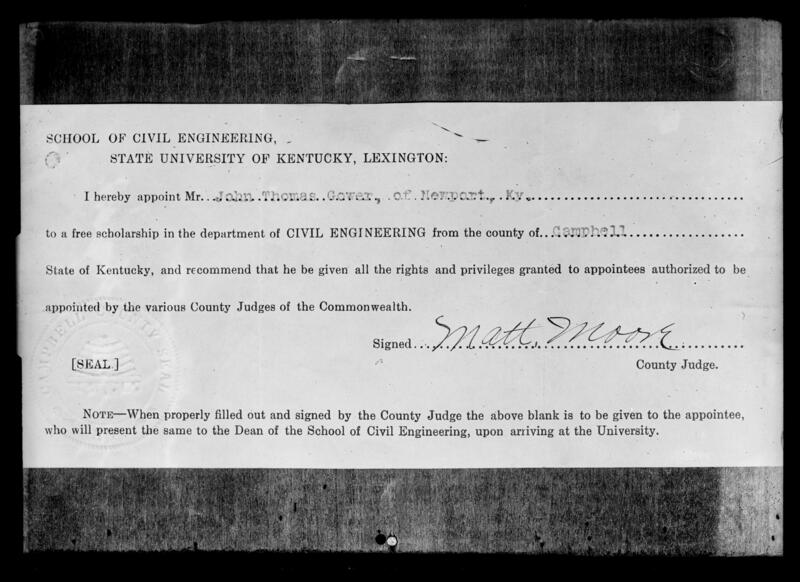 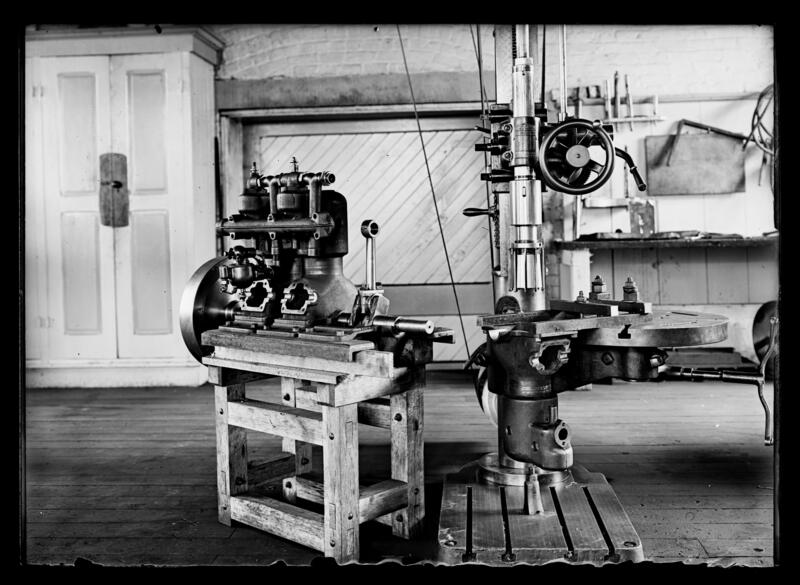 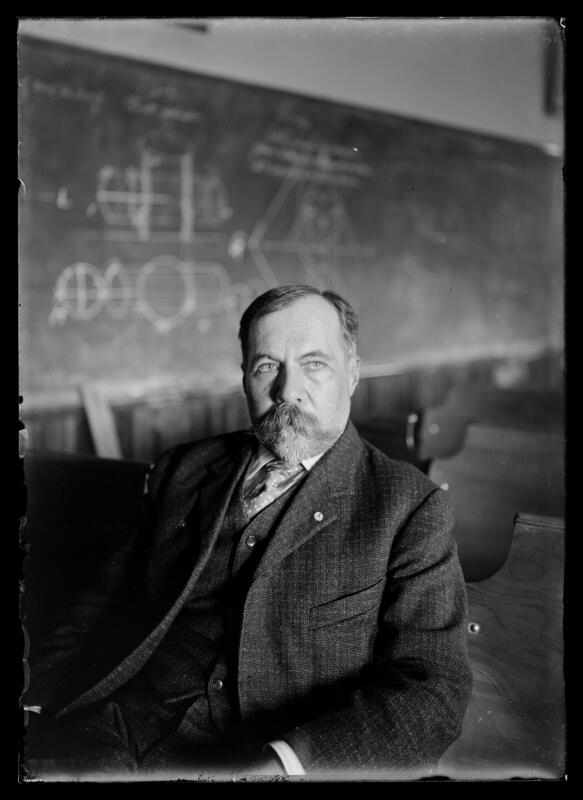 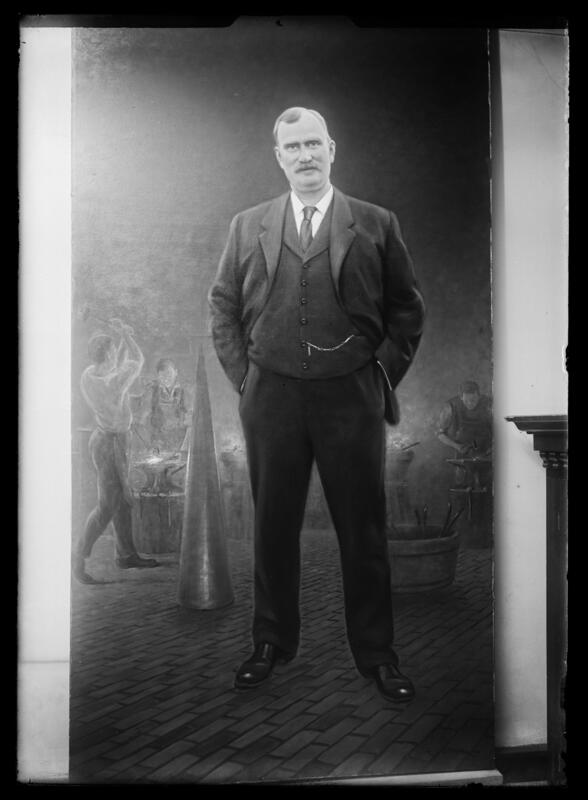 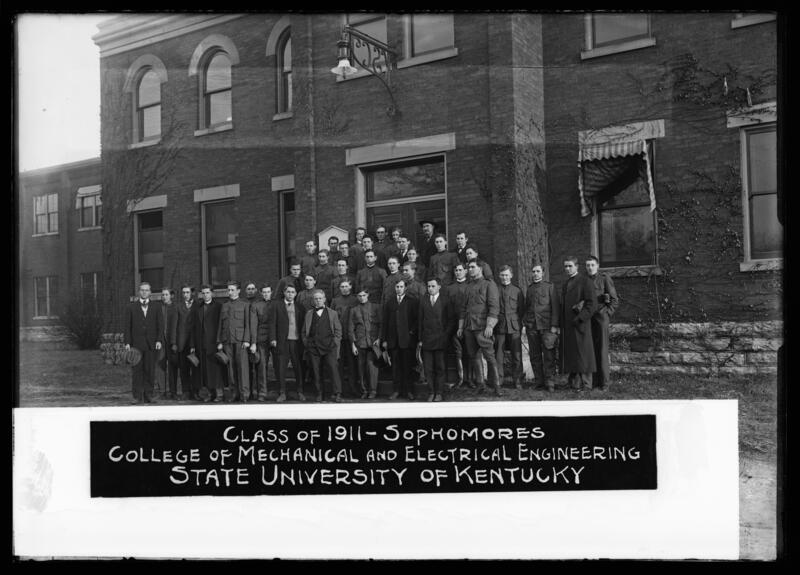 Louis Edward Nollau (1883-1955) was a professor in the College of Engineering at the STate College of Kentucky from 1911-1953. 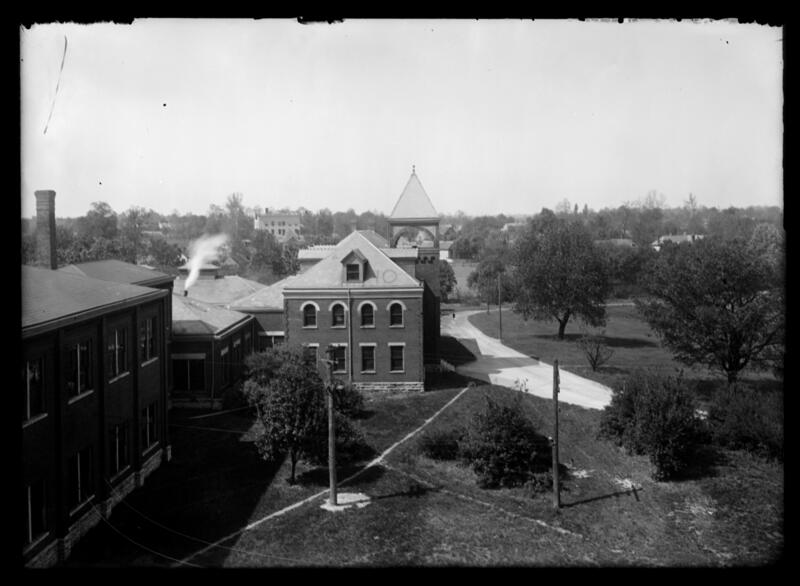 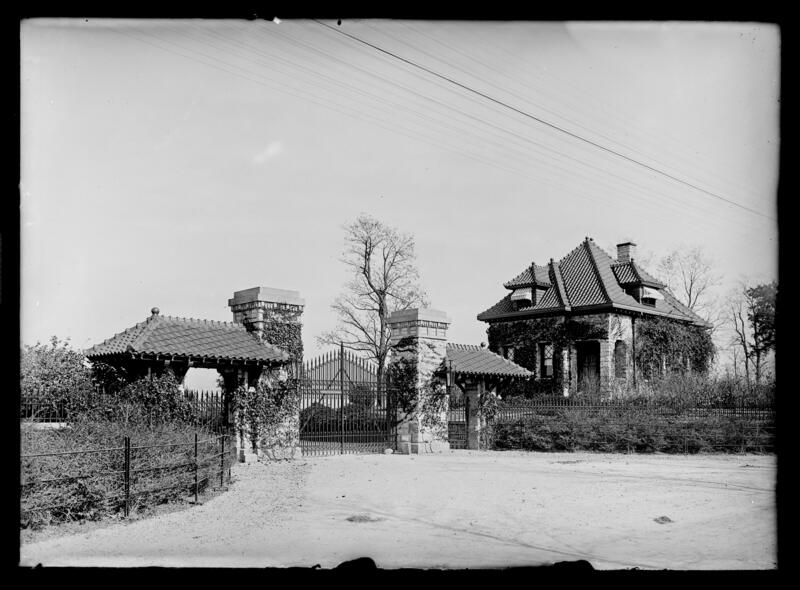 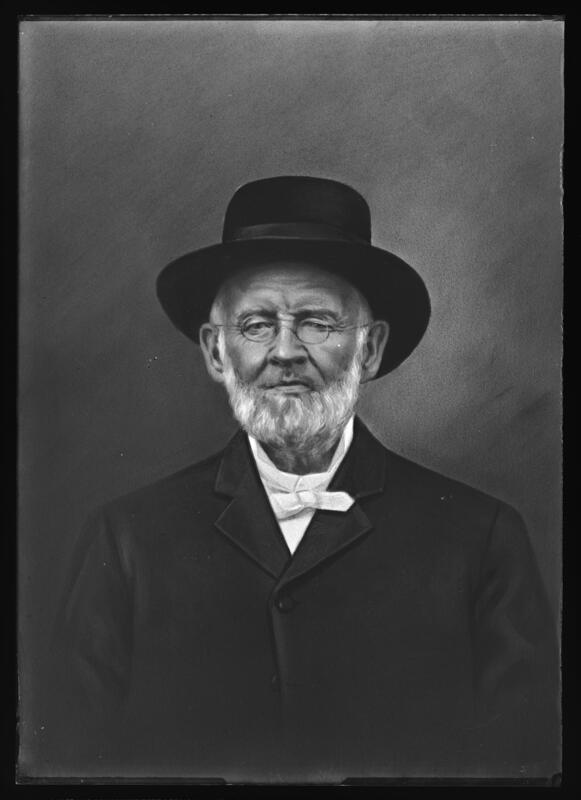 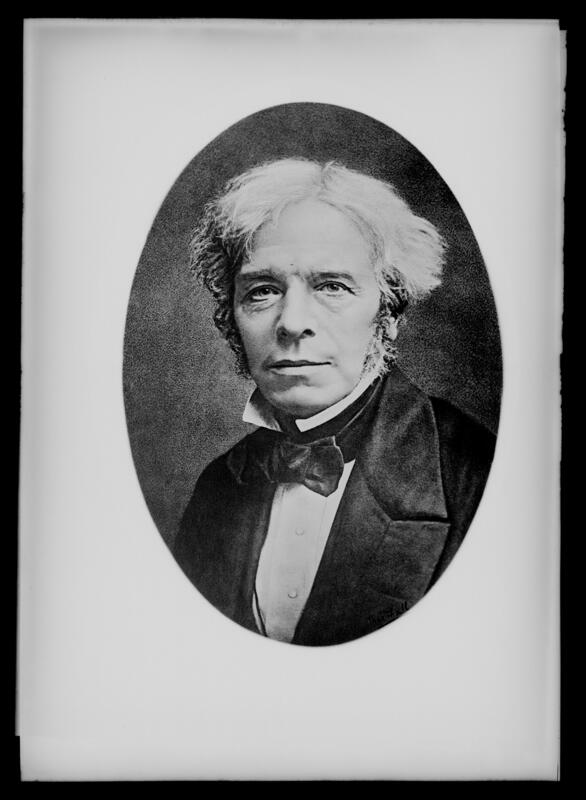 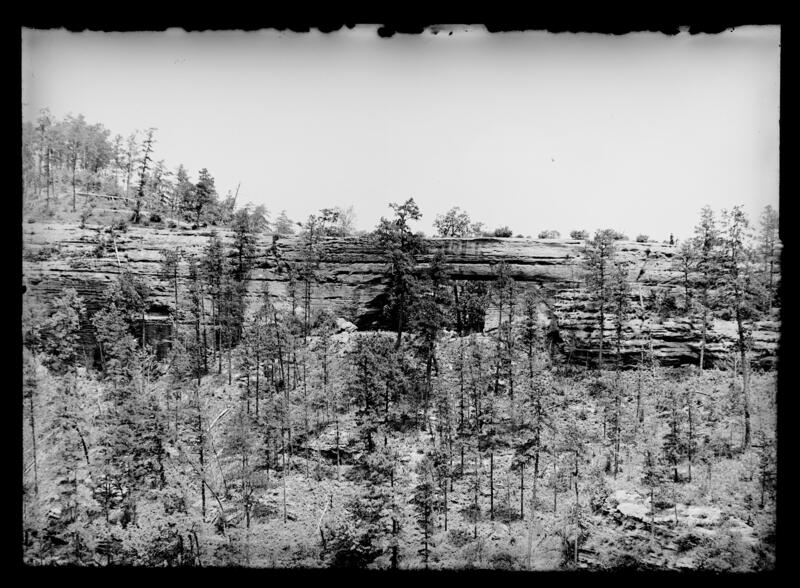 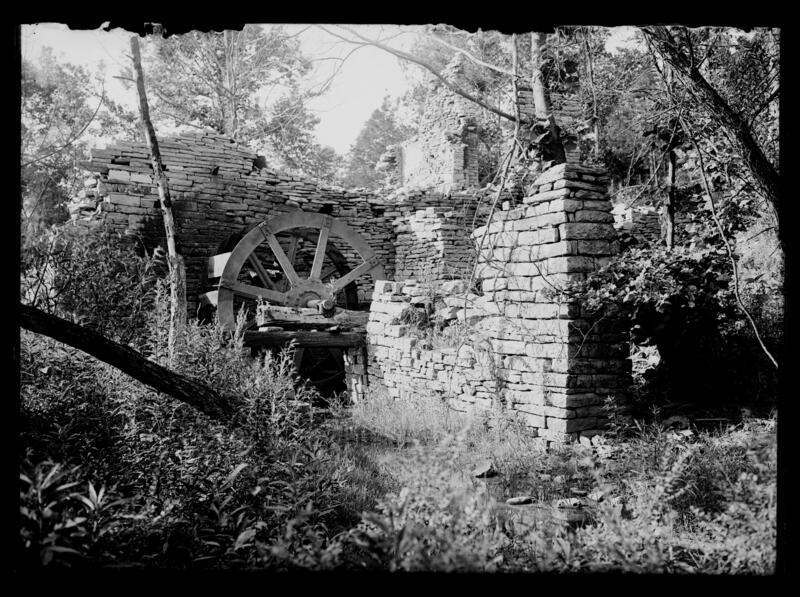 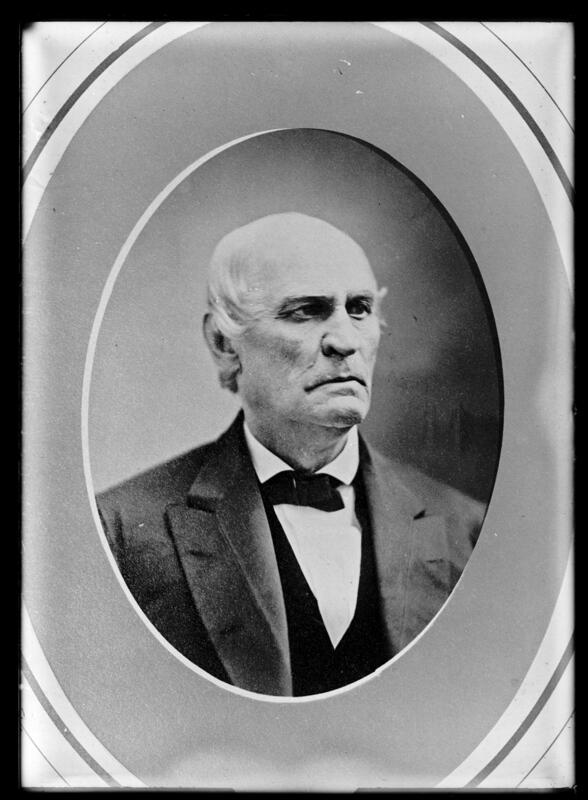 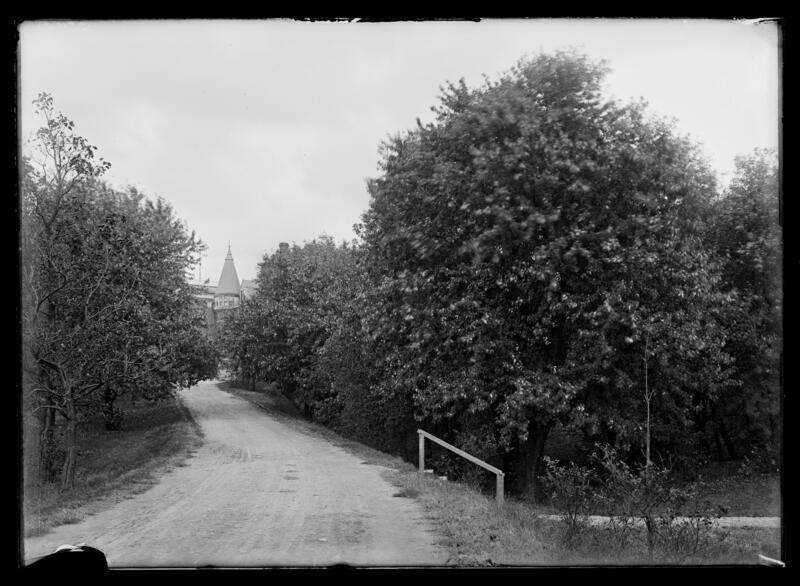 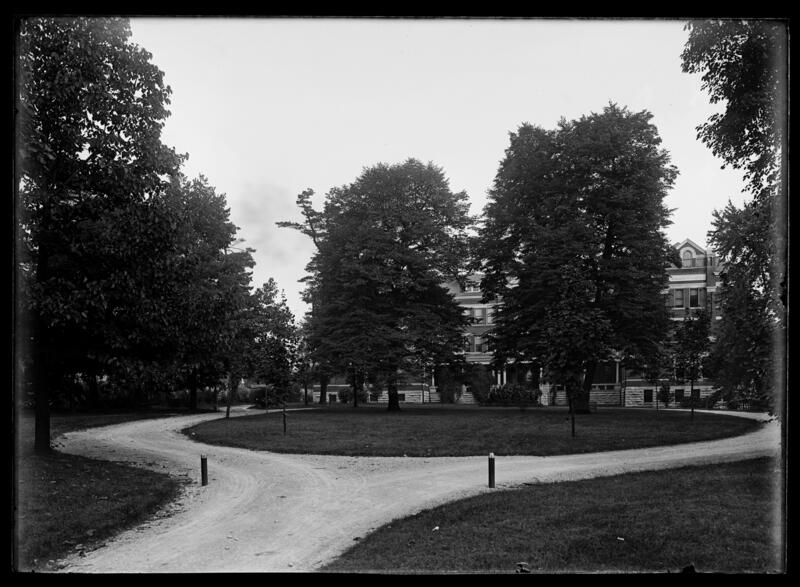 Because of his interest in photography and the University, Nollau was the first official campus photographer. 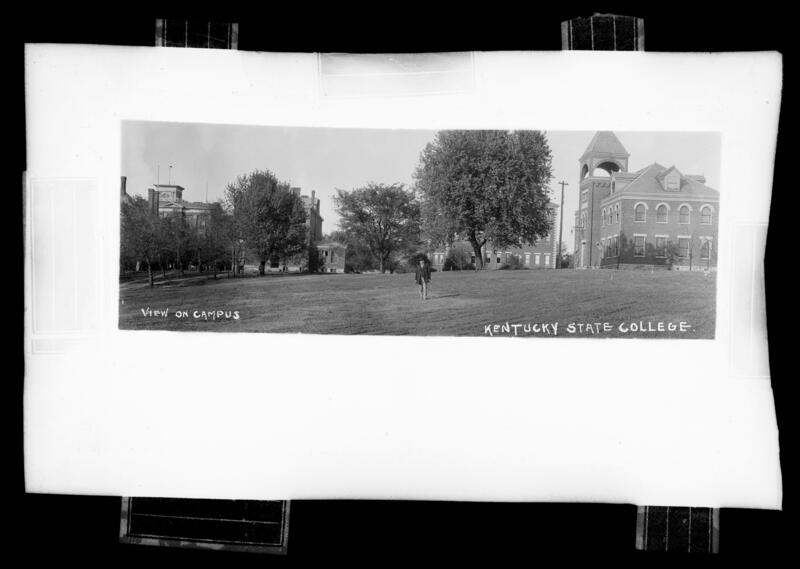 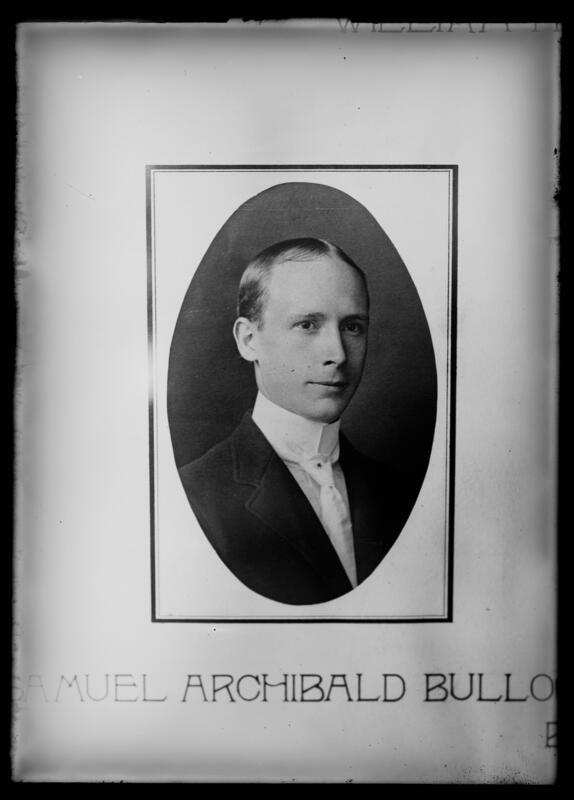 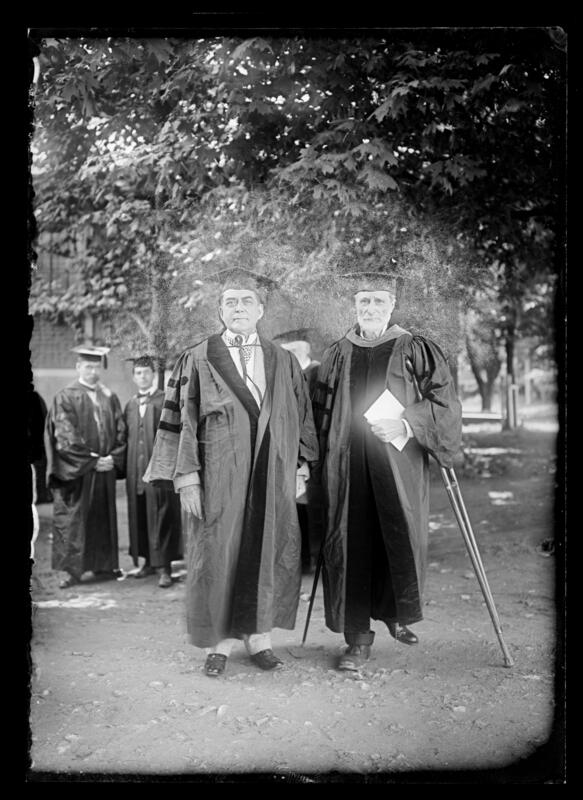 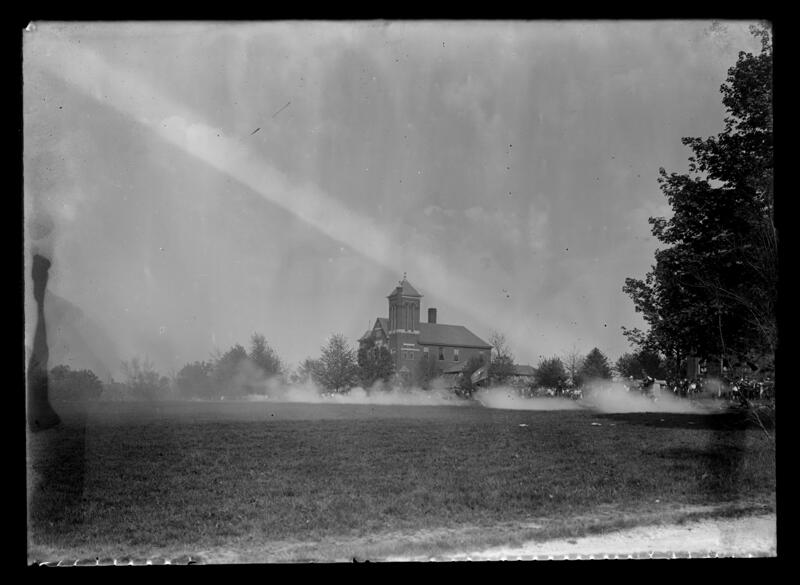 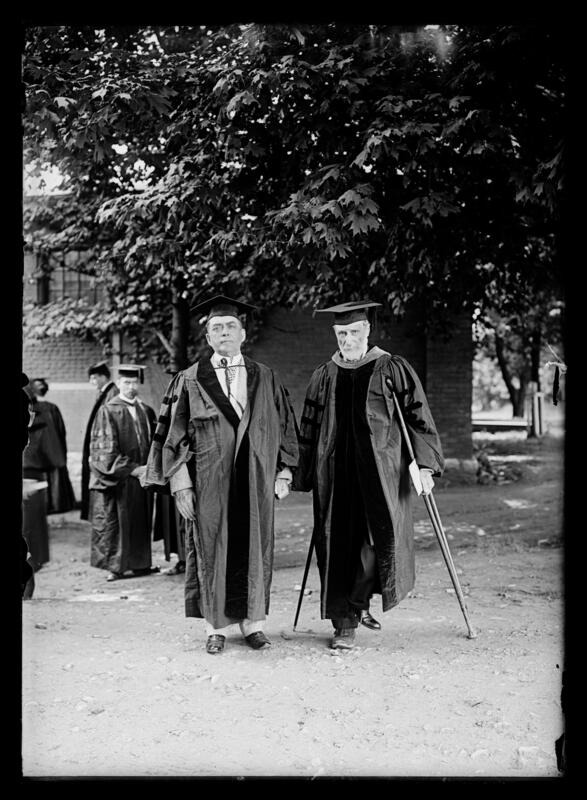 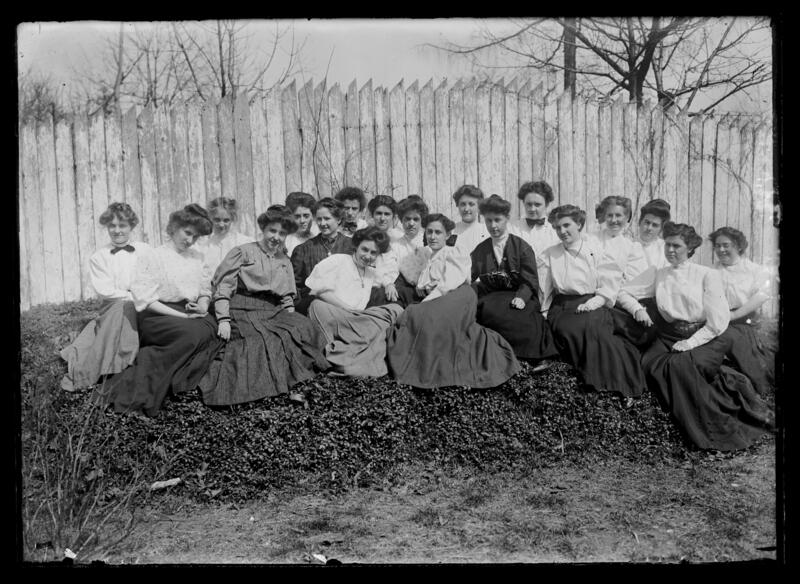 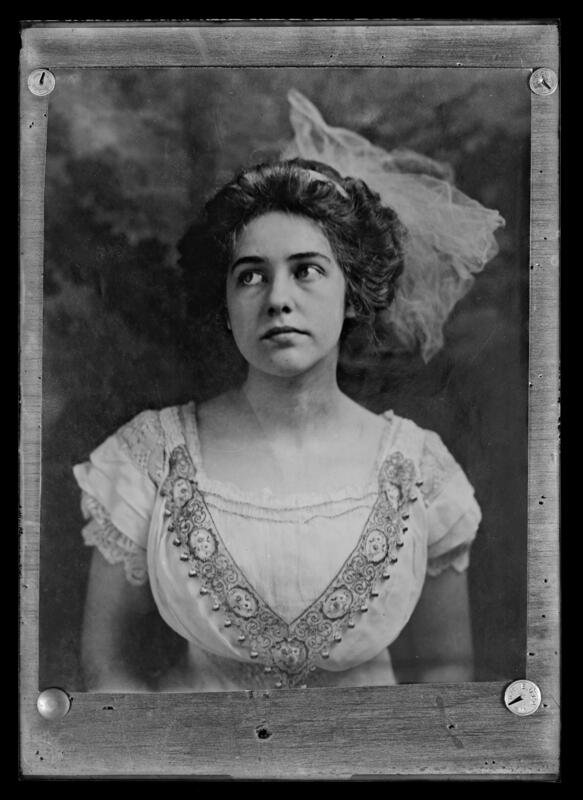 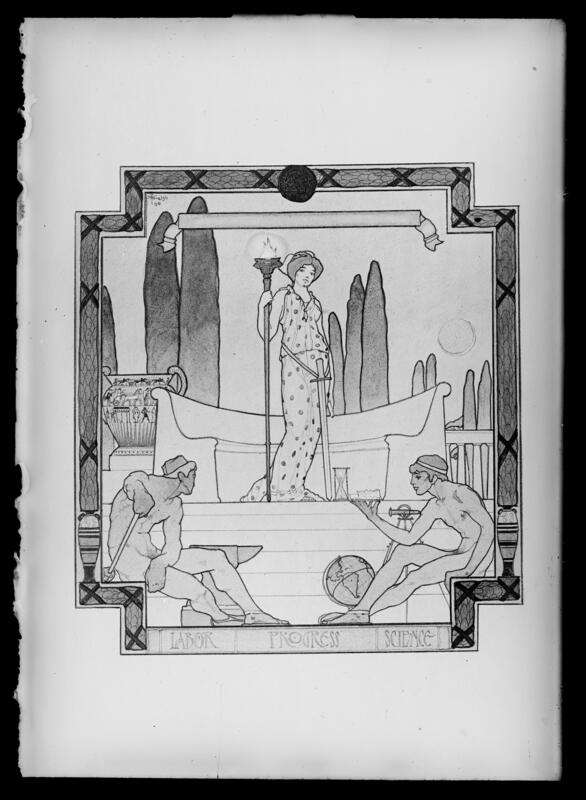 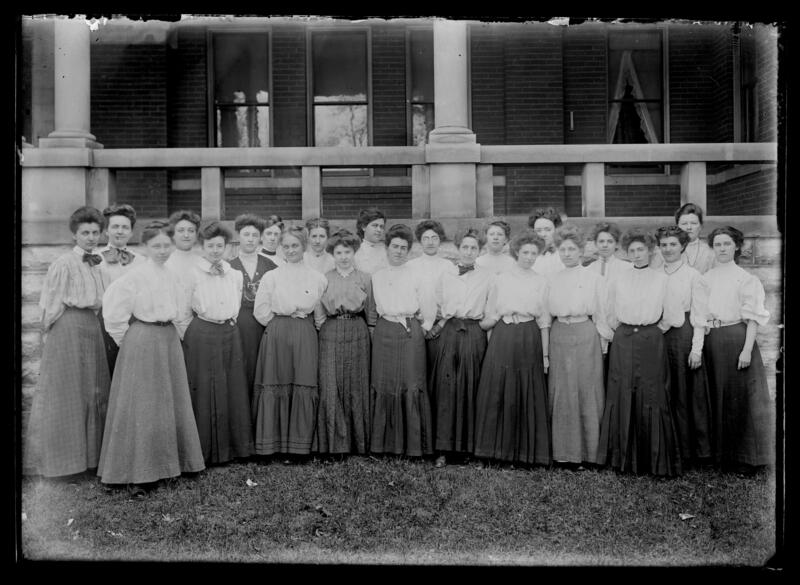 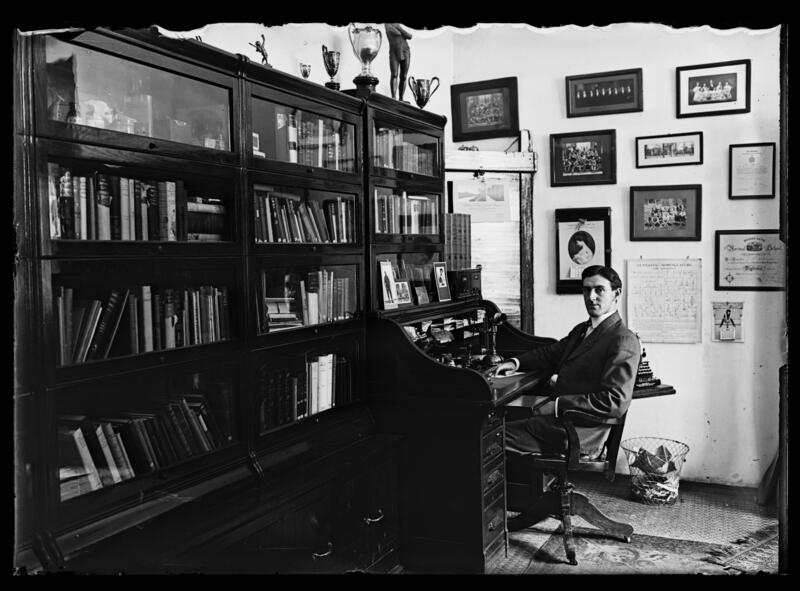 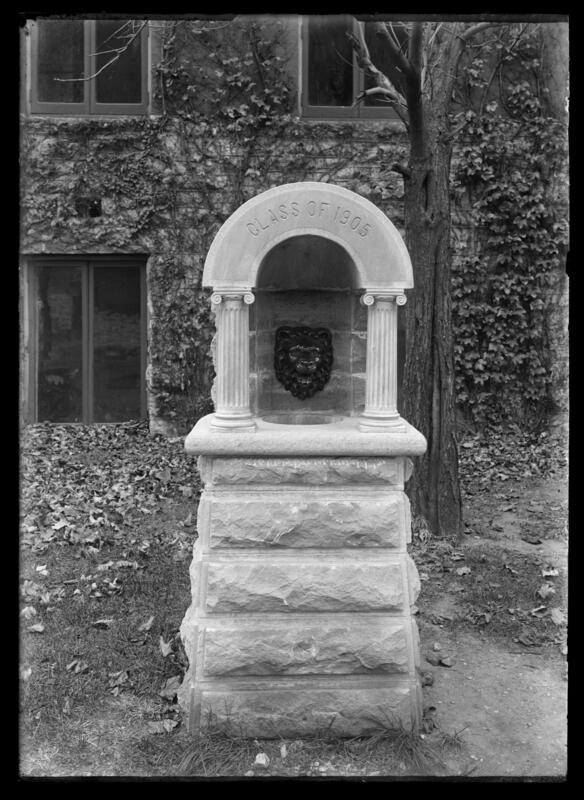 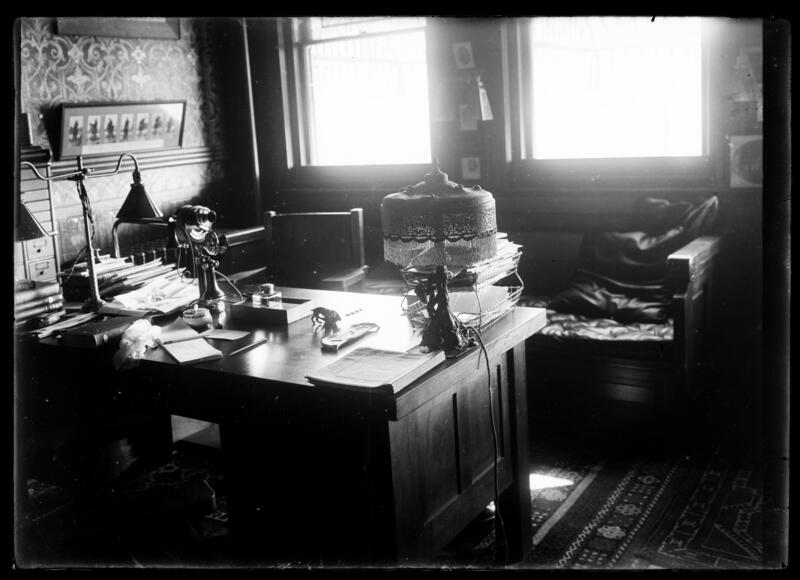 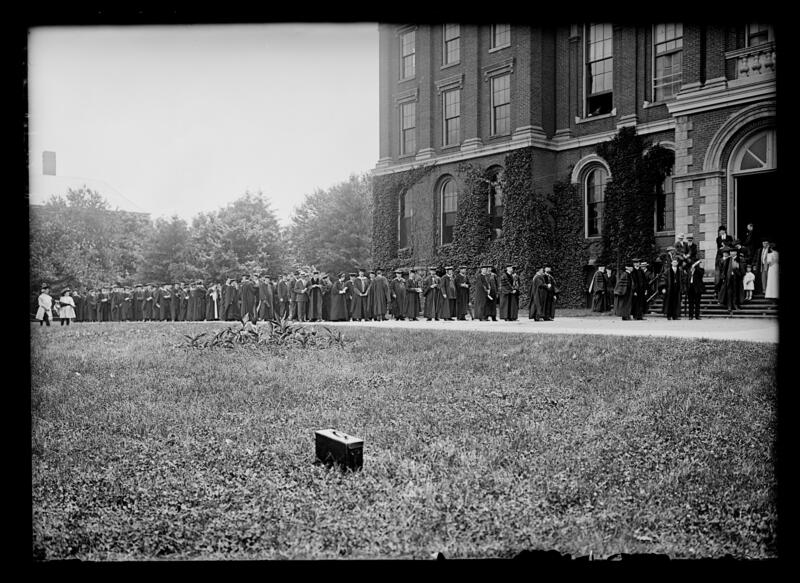 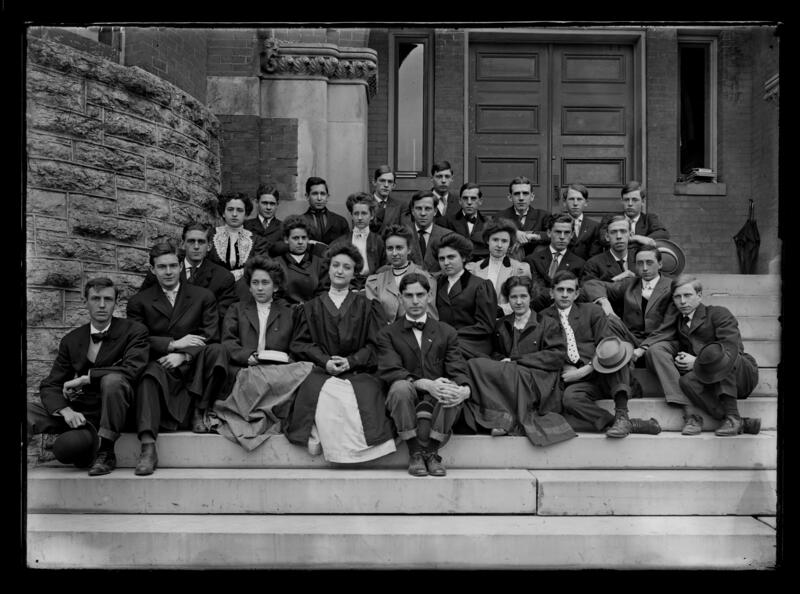 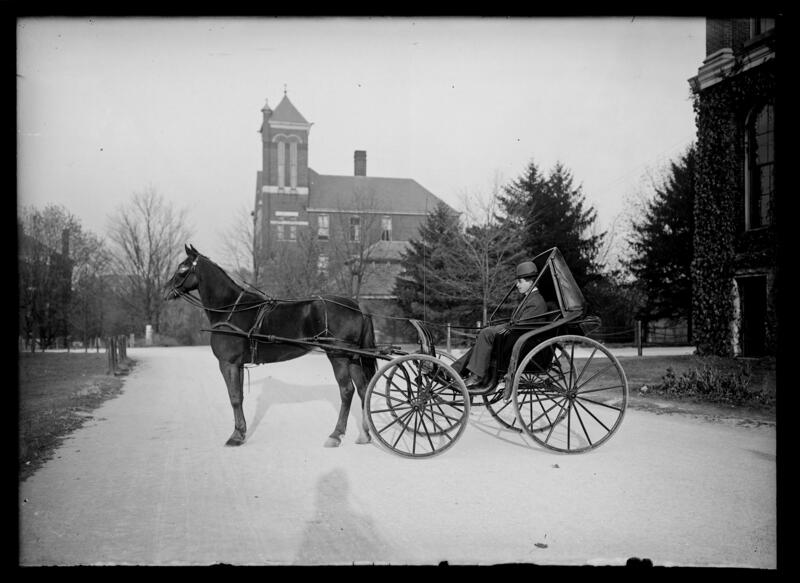 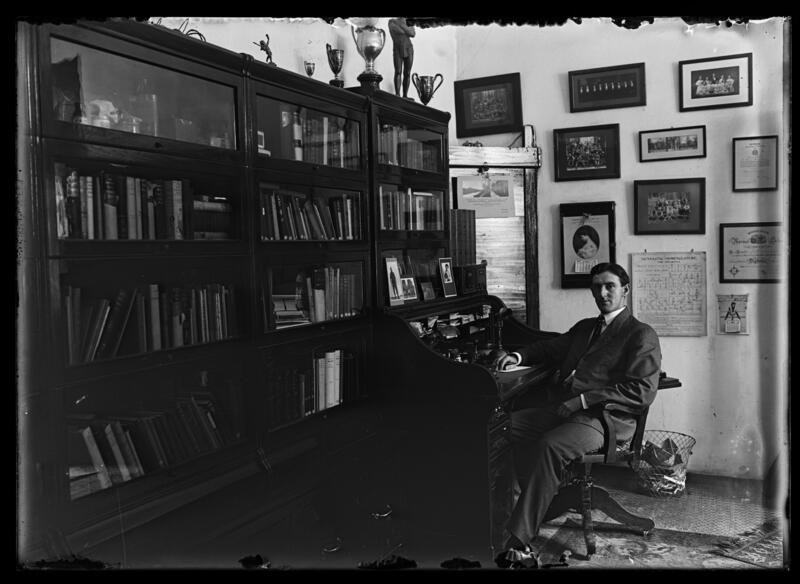 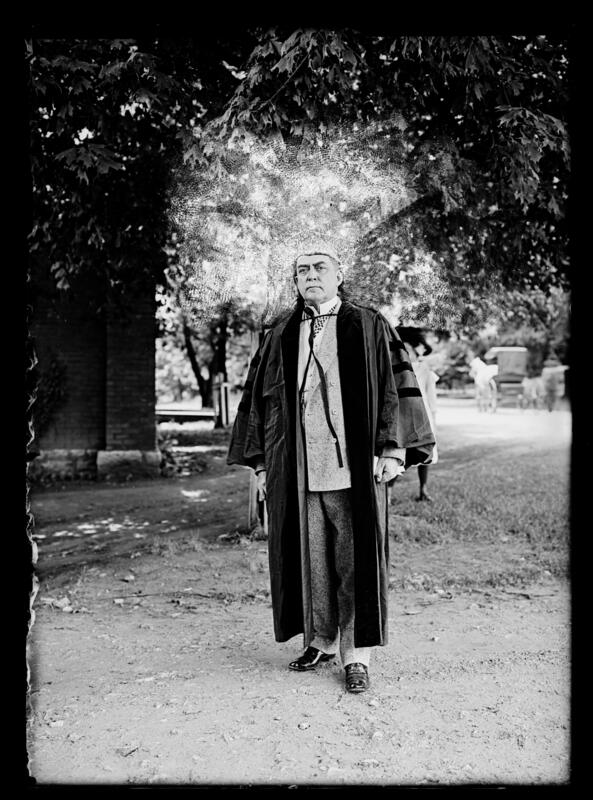 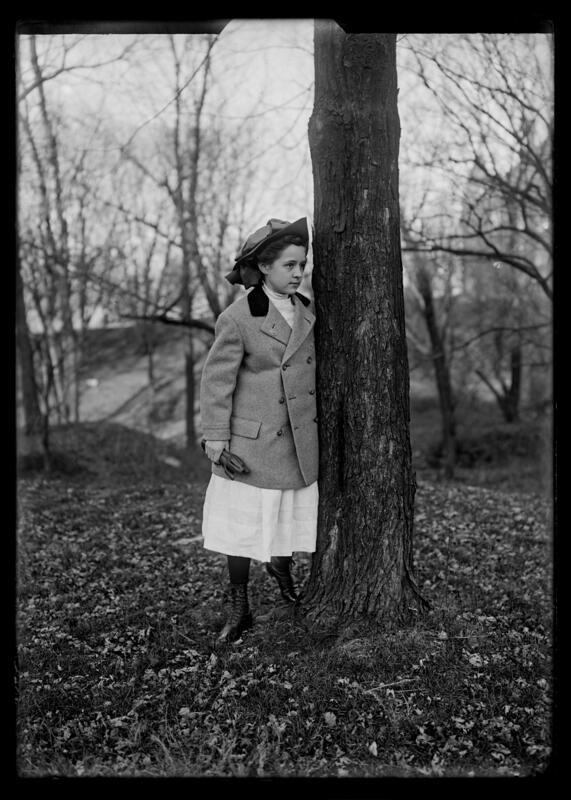 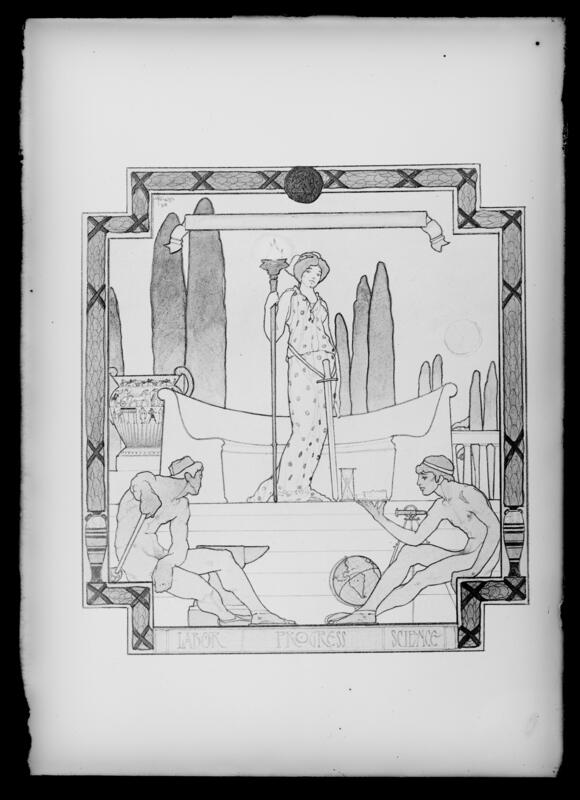 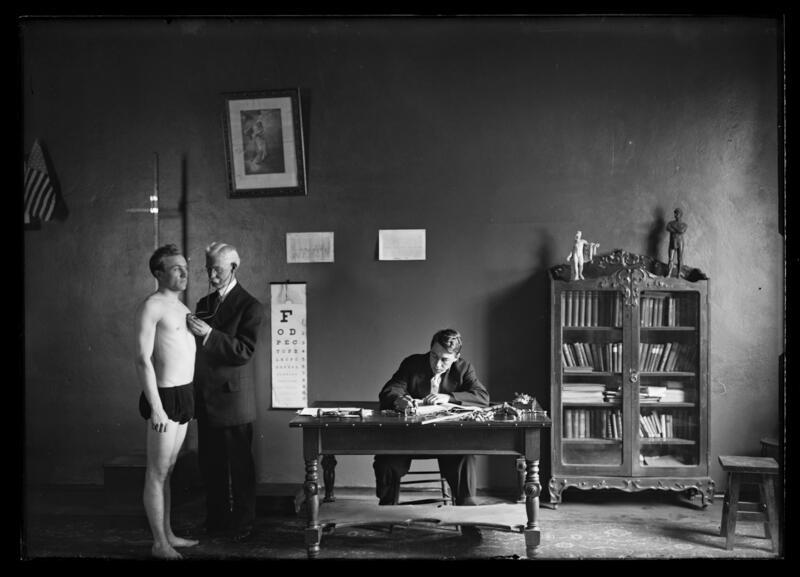 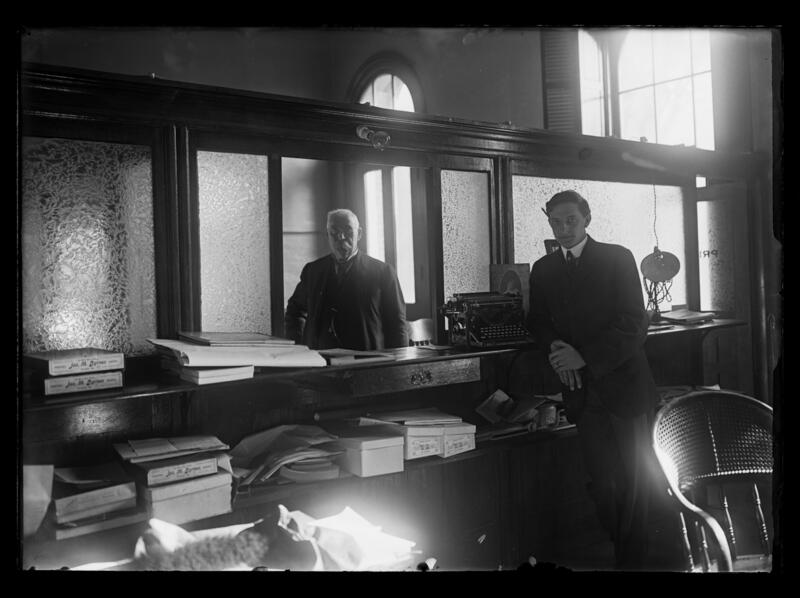 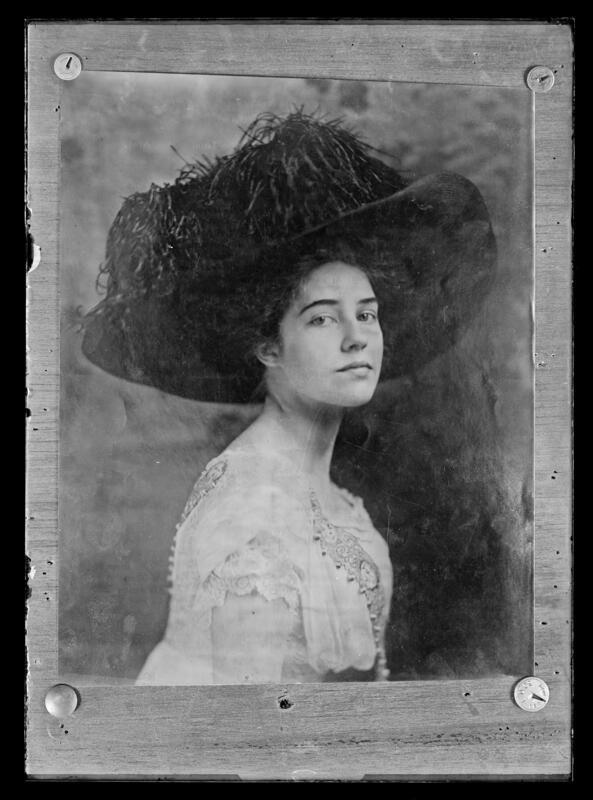 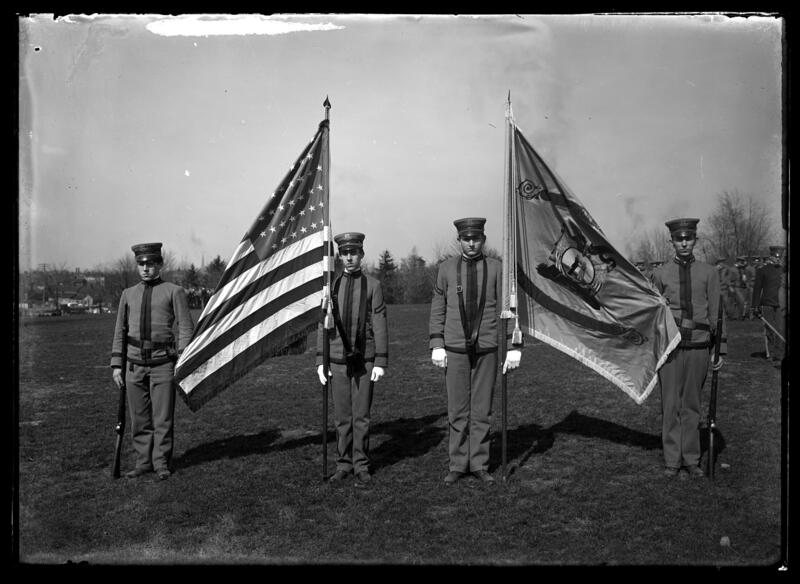 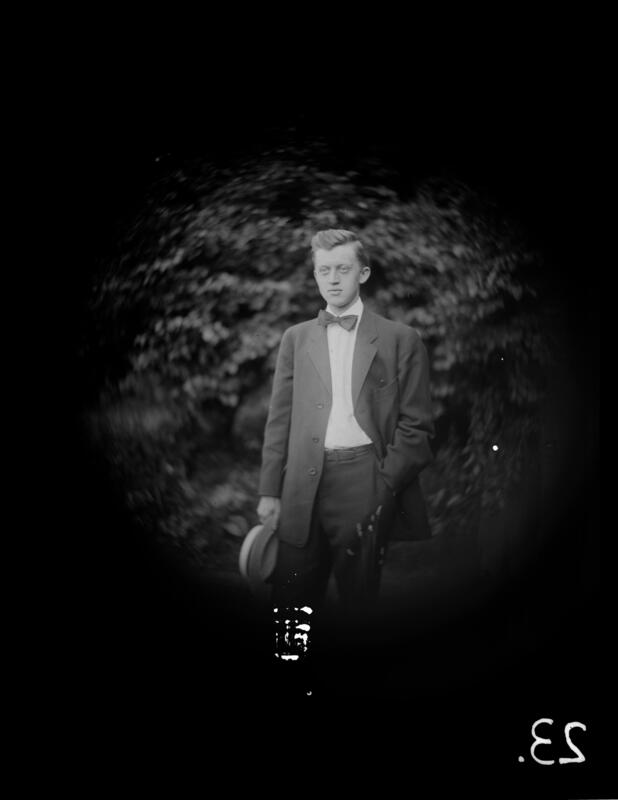 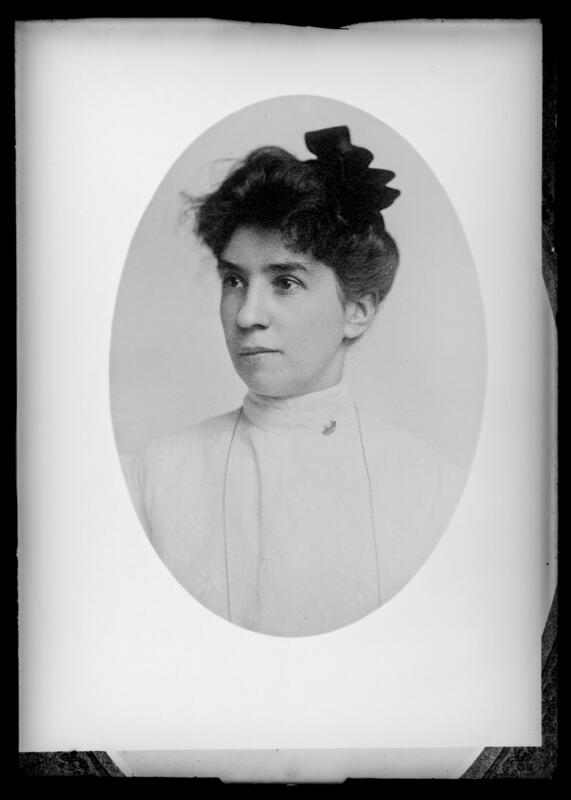 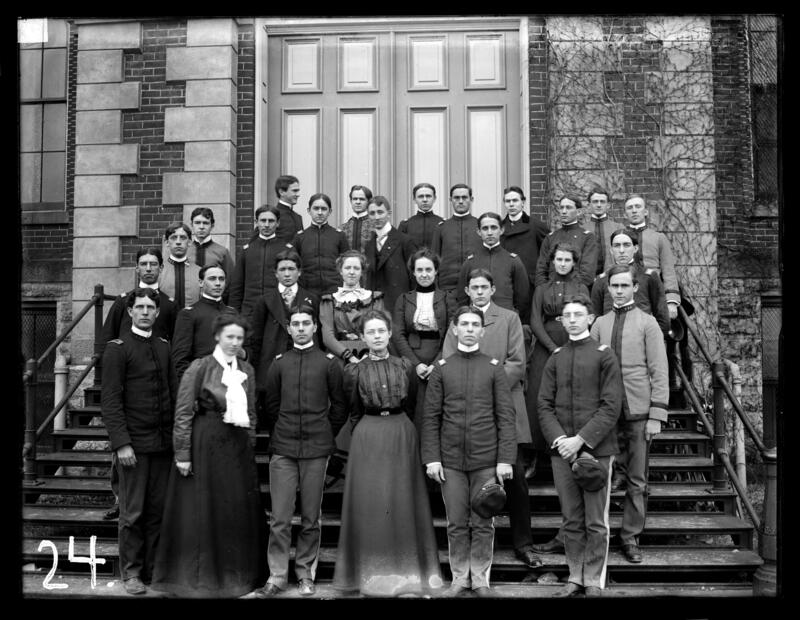 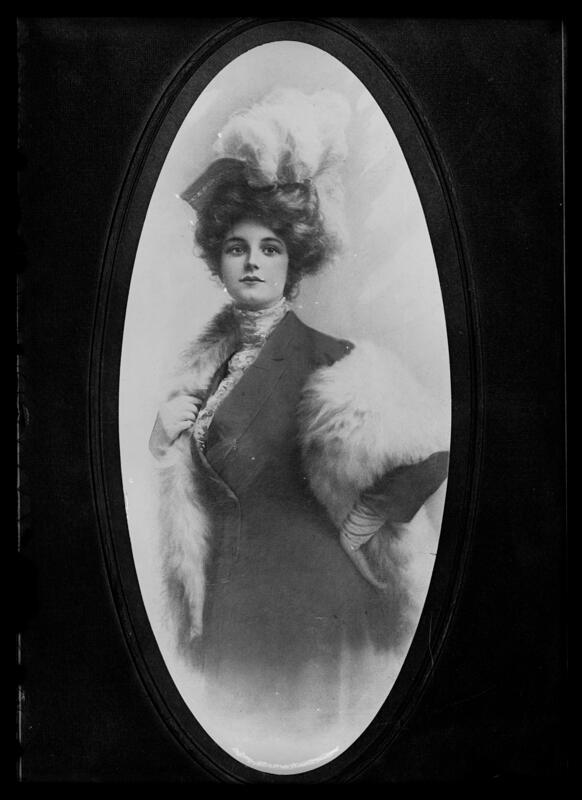 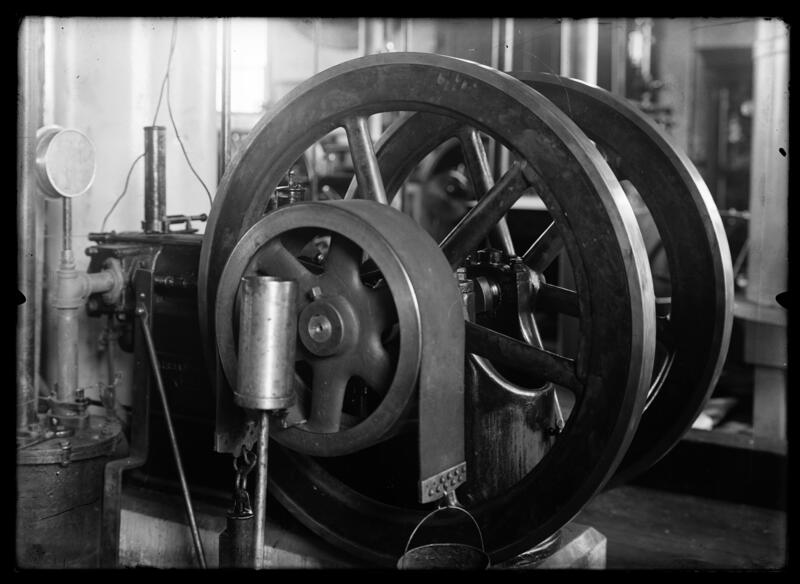 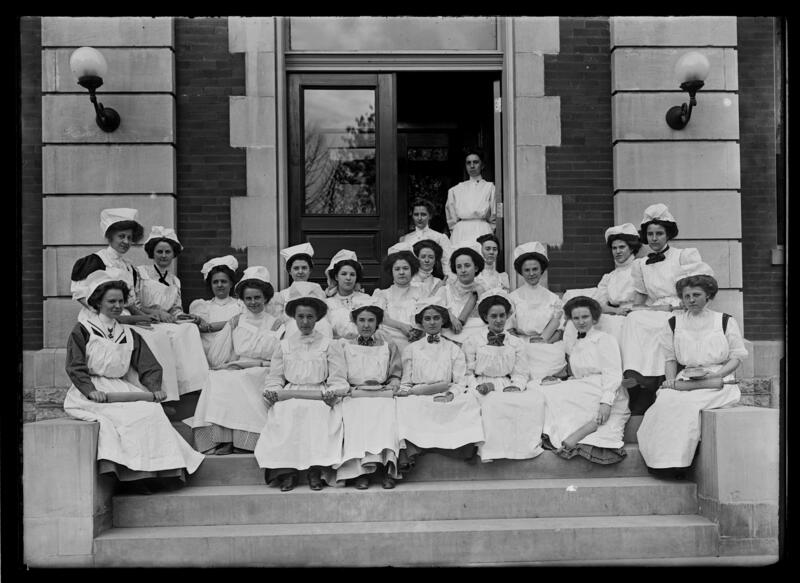 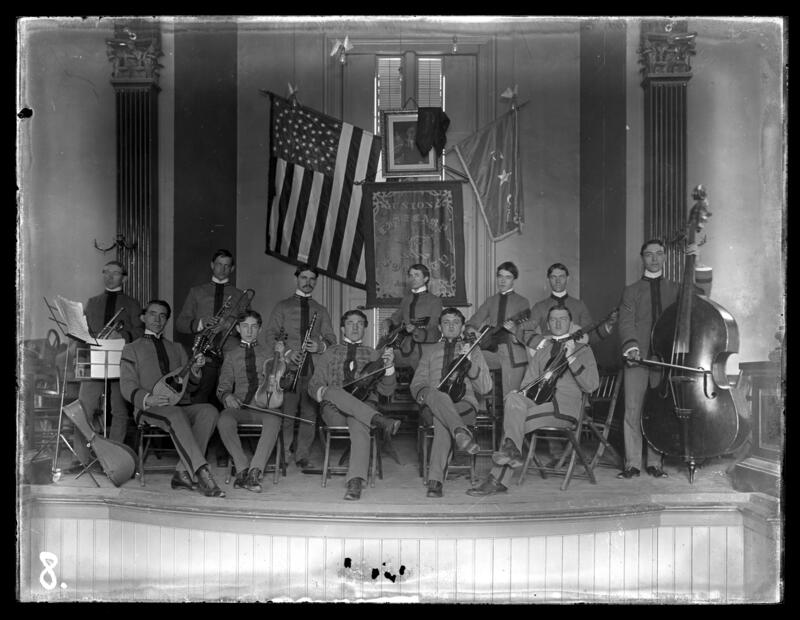 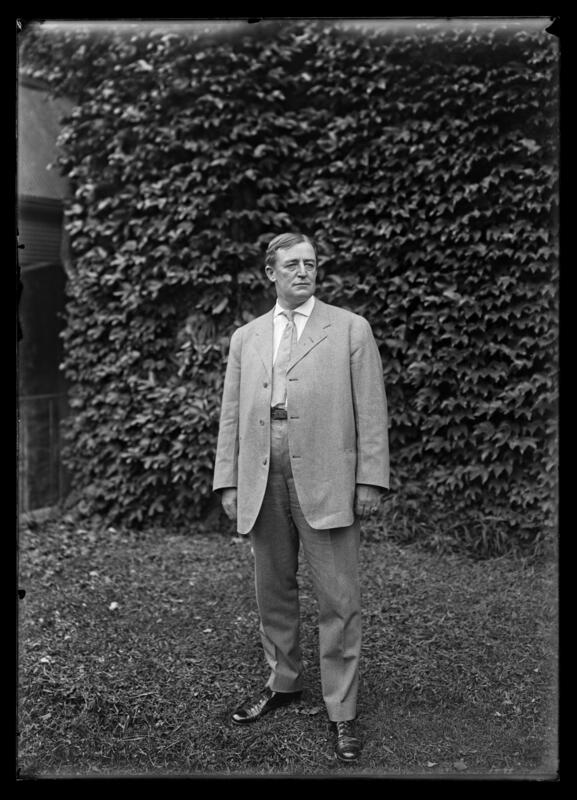 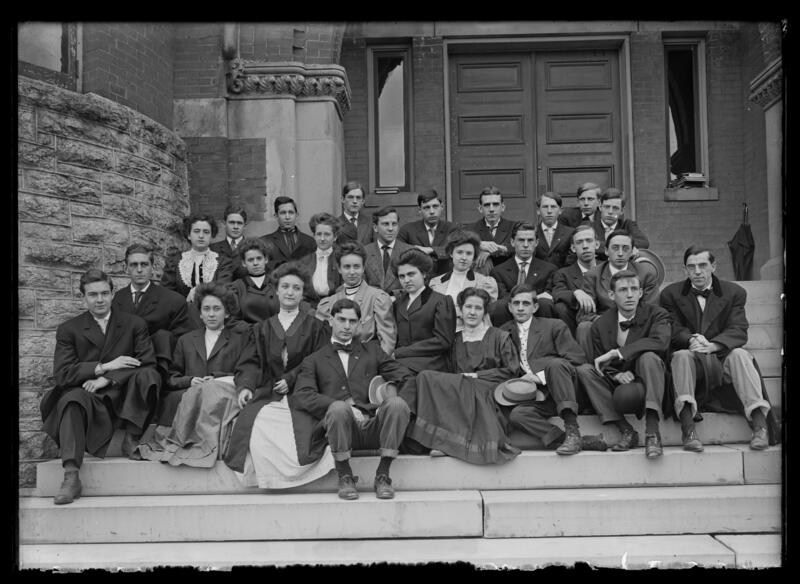 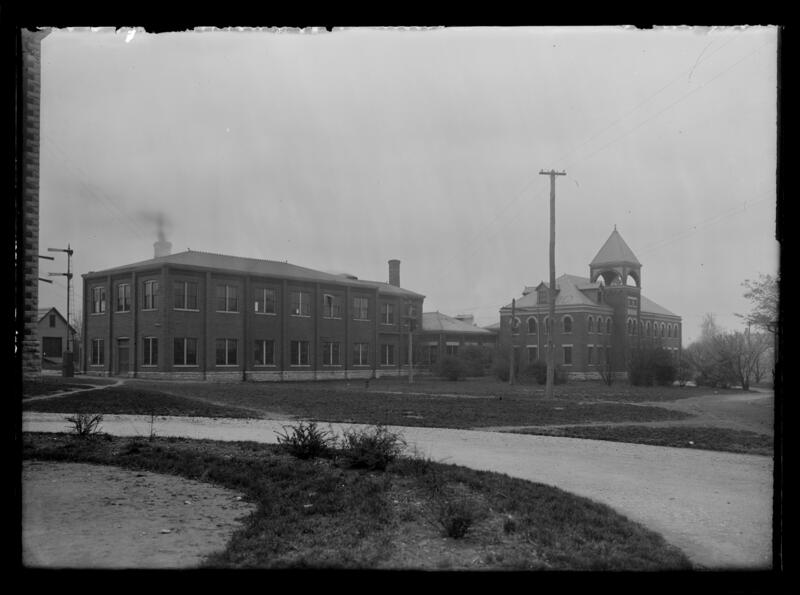 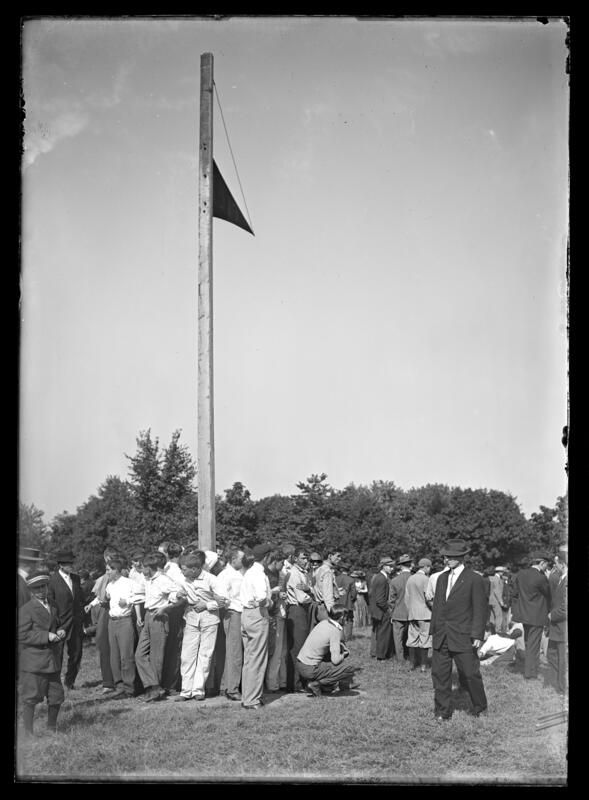 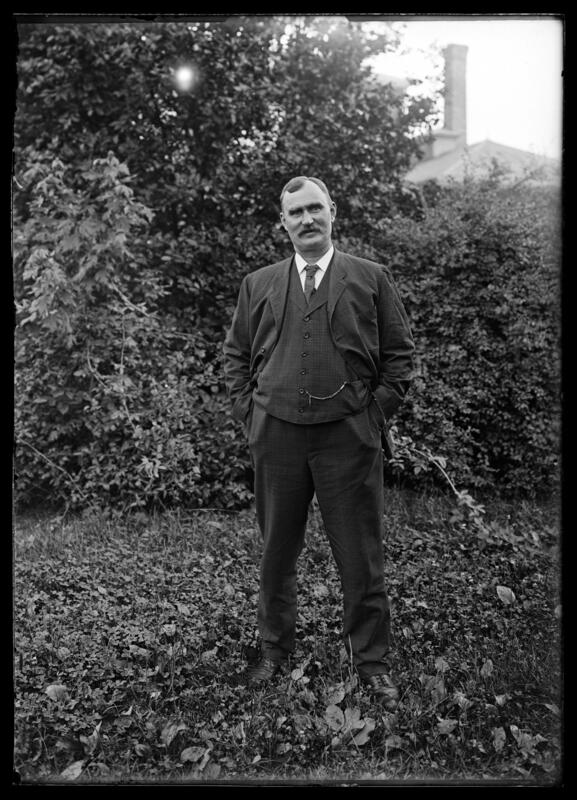 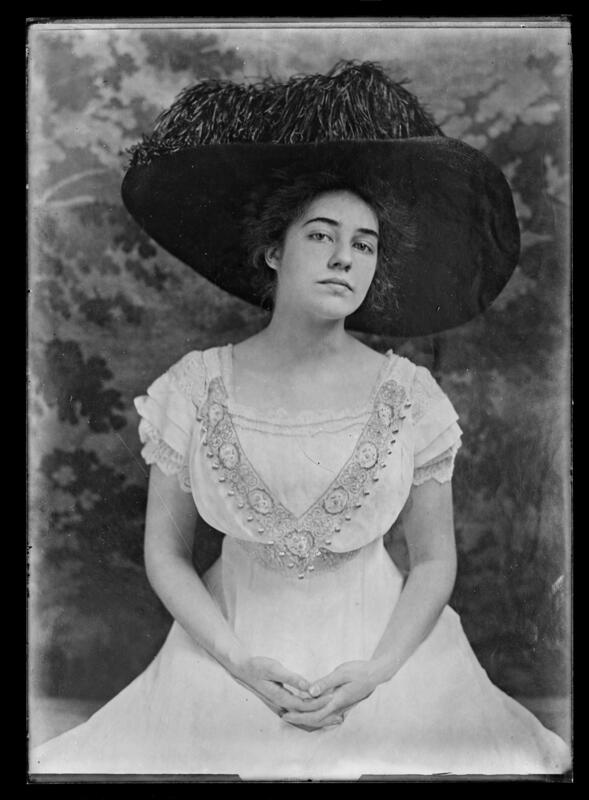 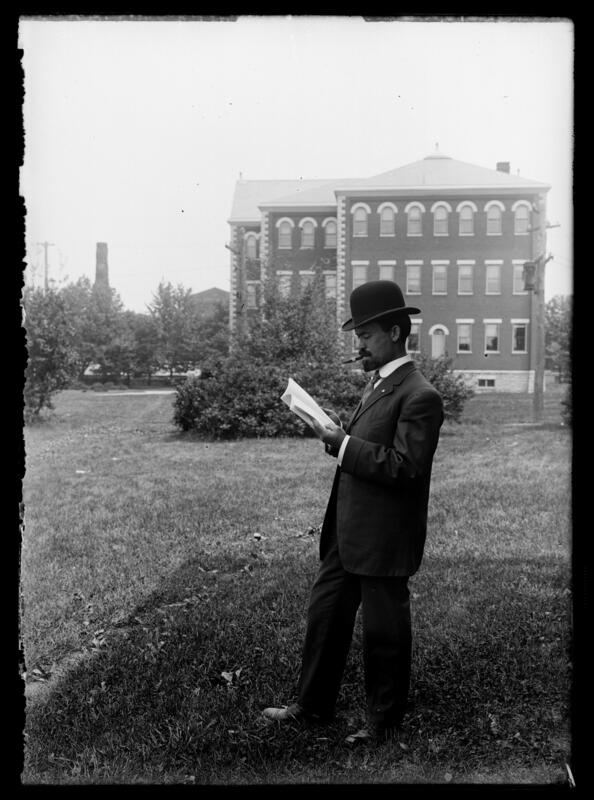 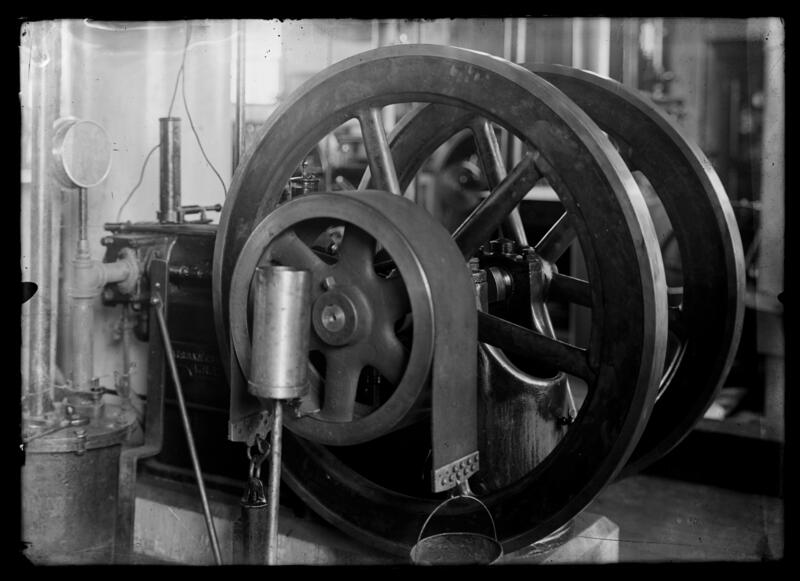 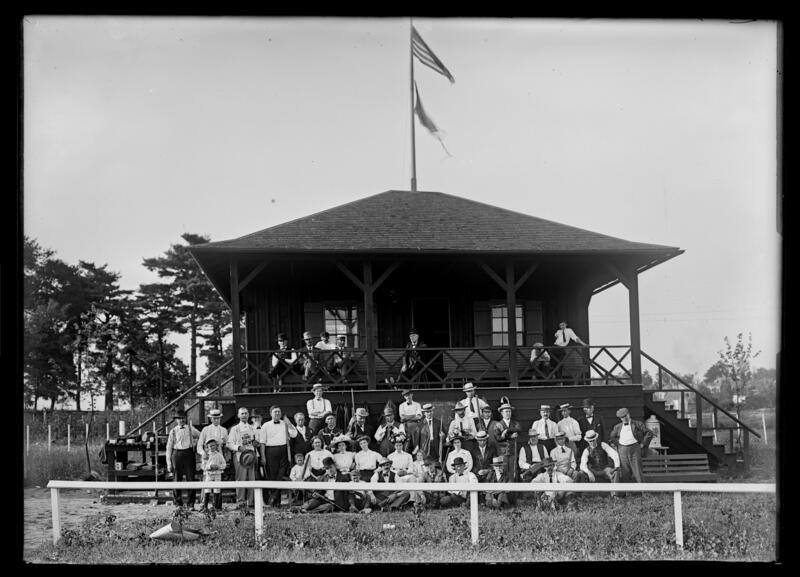 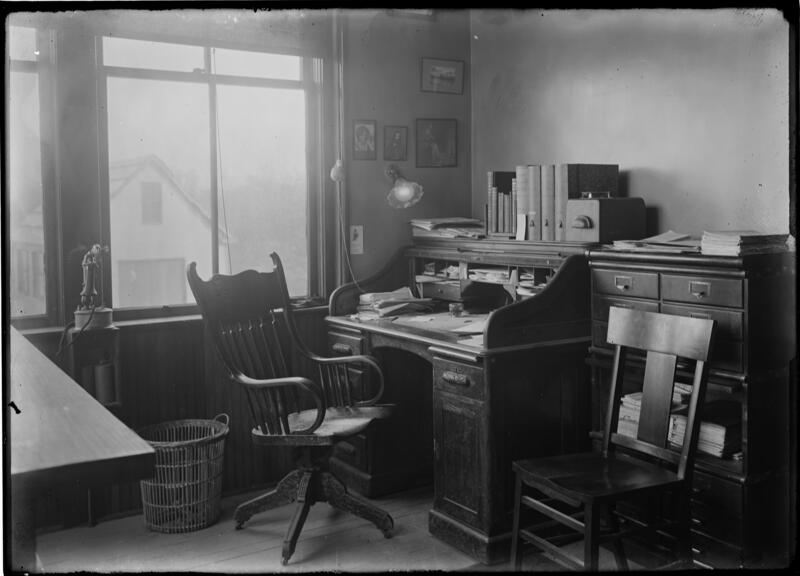 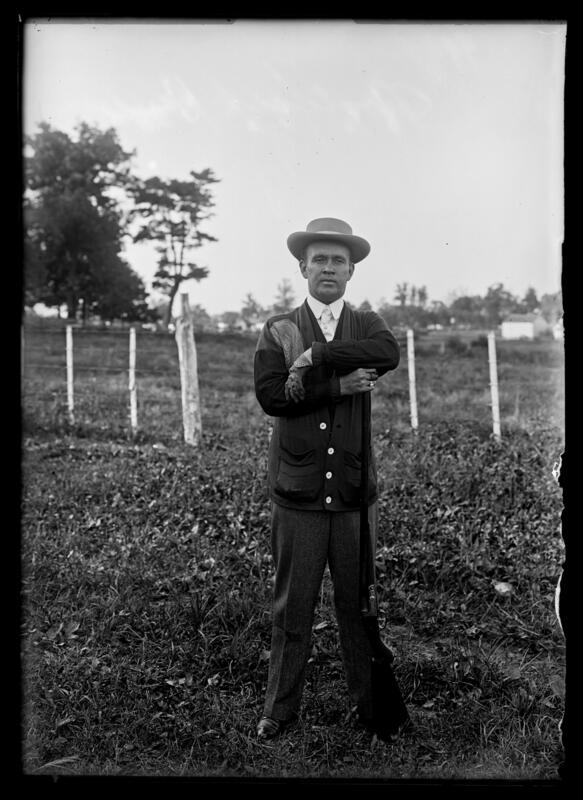 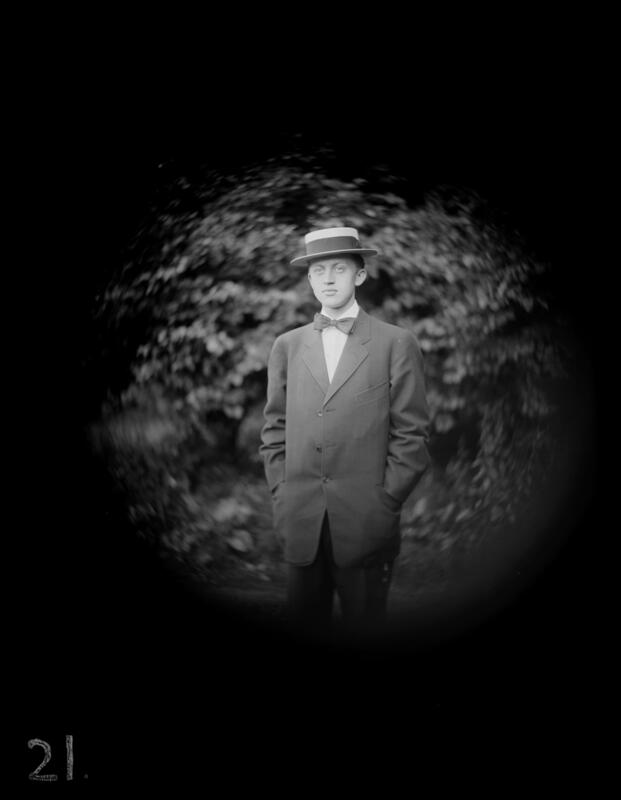 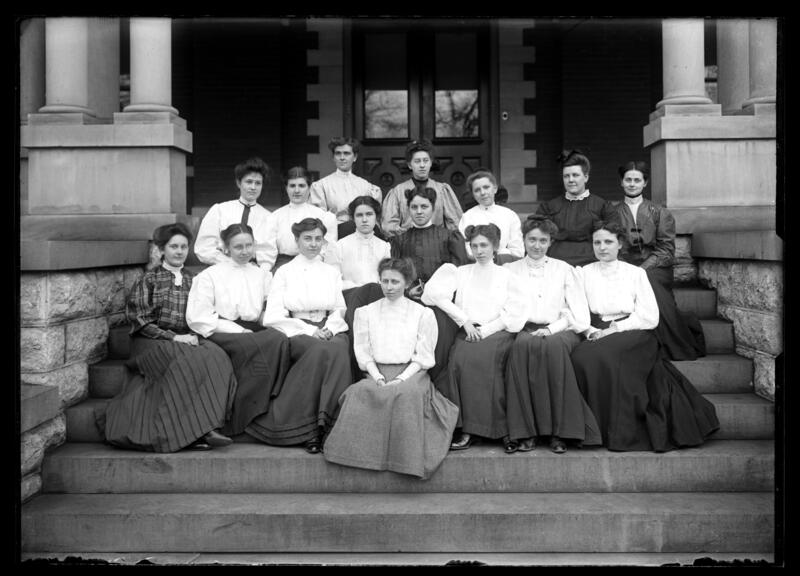 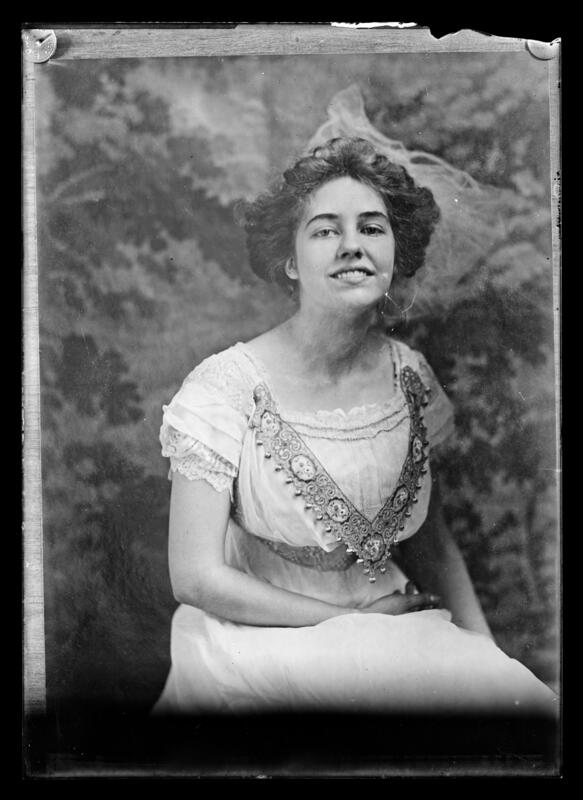 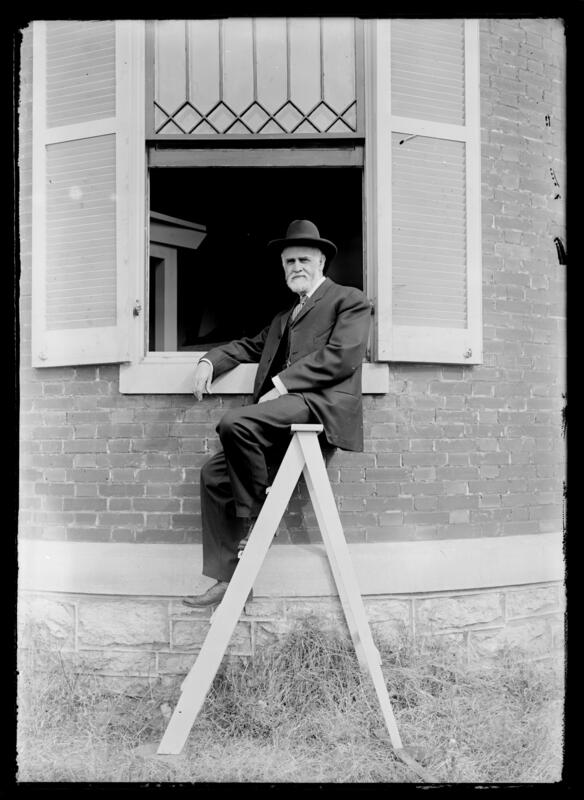 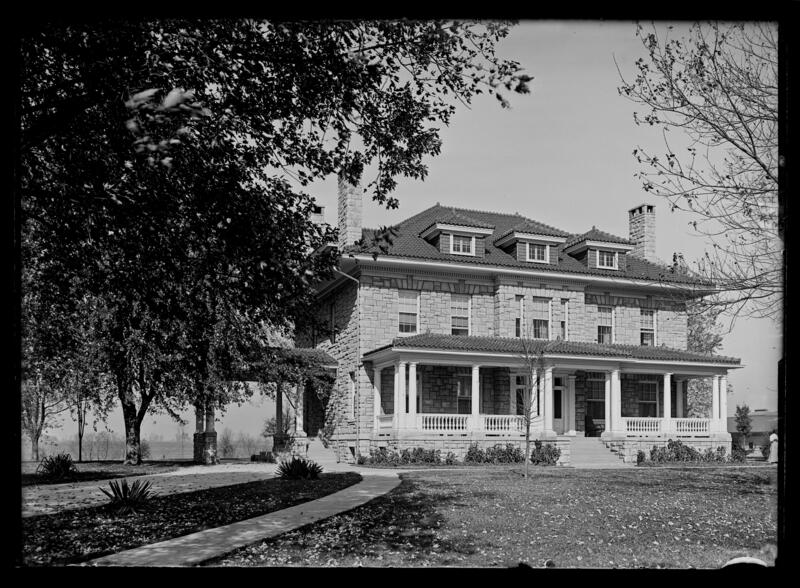 He photographed individuals, buildings, events and scenes on campus from 1904-1955. 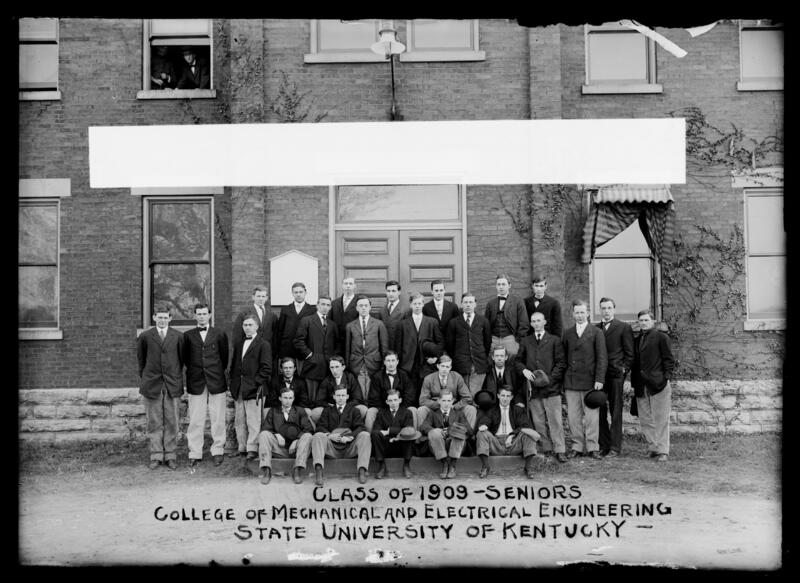 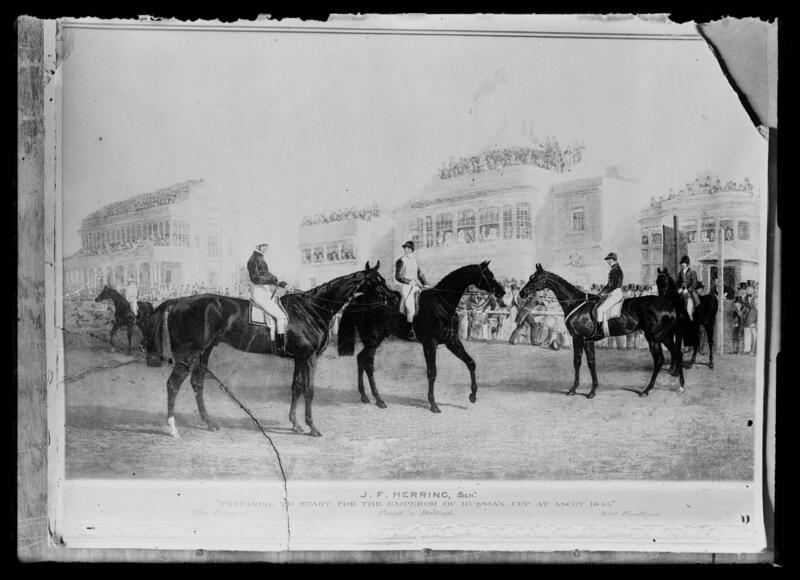 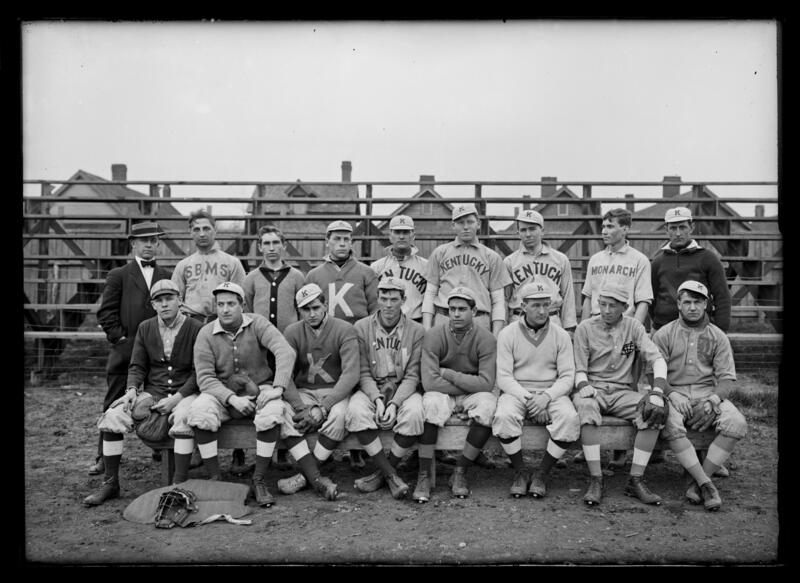 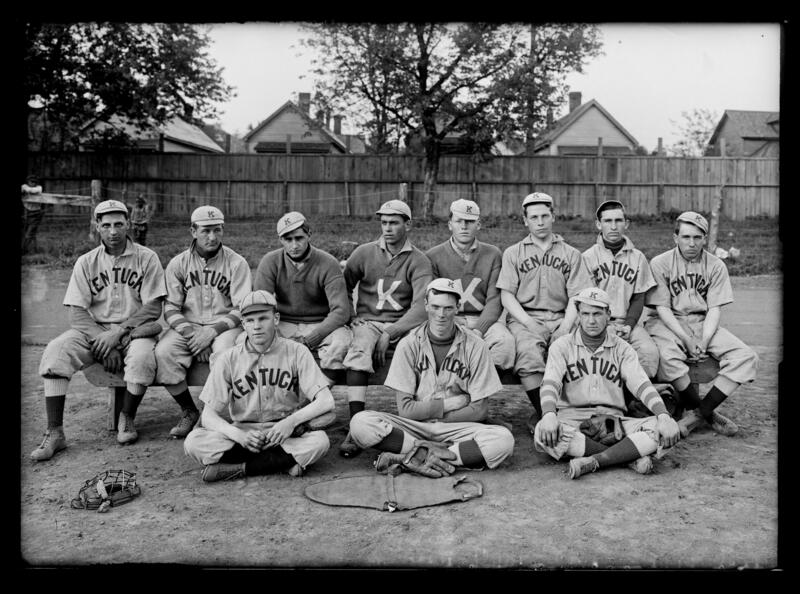 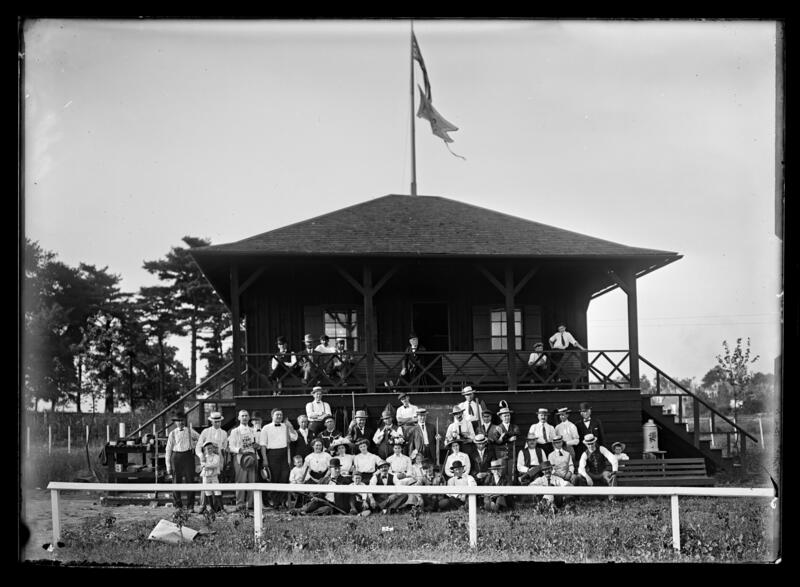 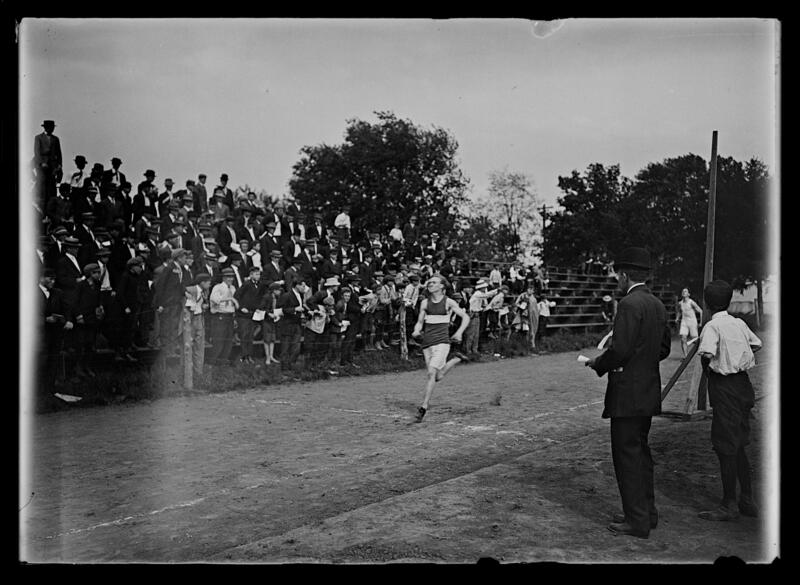 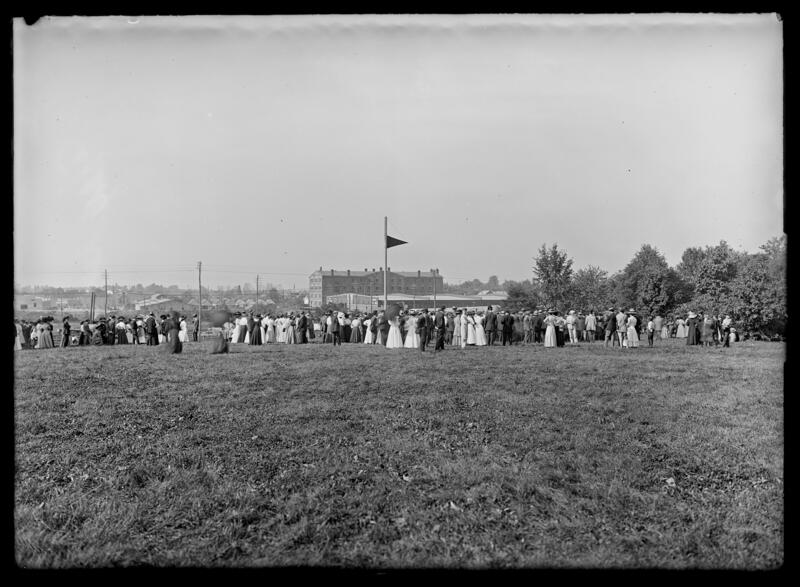 The Glass plate negative collection (dated 1887-1953, bulk 1898-1918; 42 cubic feet; 3854 items) consists of dry plate, silver nitrate glass negatives, and depict buildings on the University of Kentucky campus, University of Kentucky sports teams and clubs, and past university presidents. 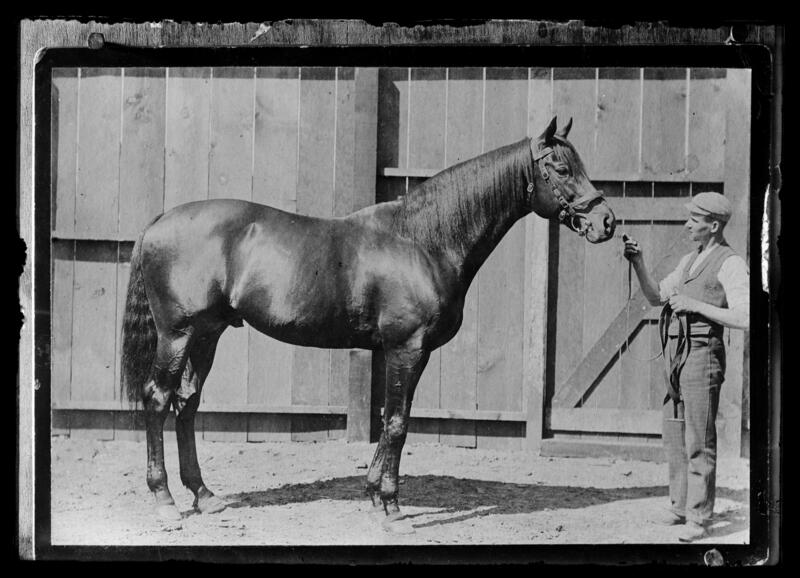 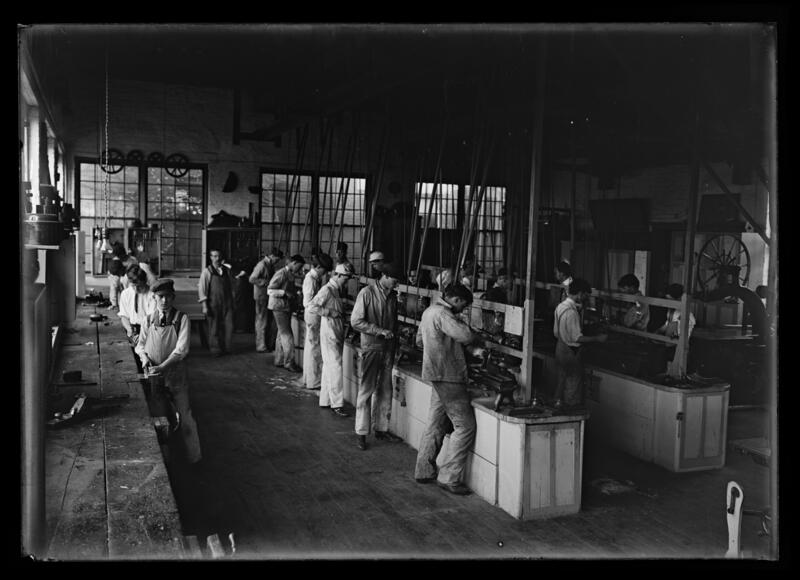 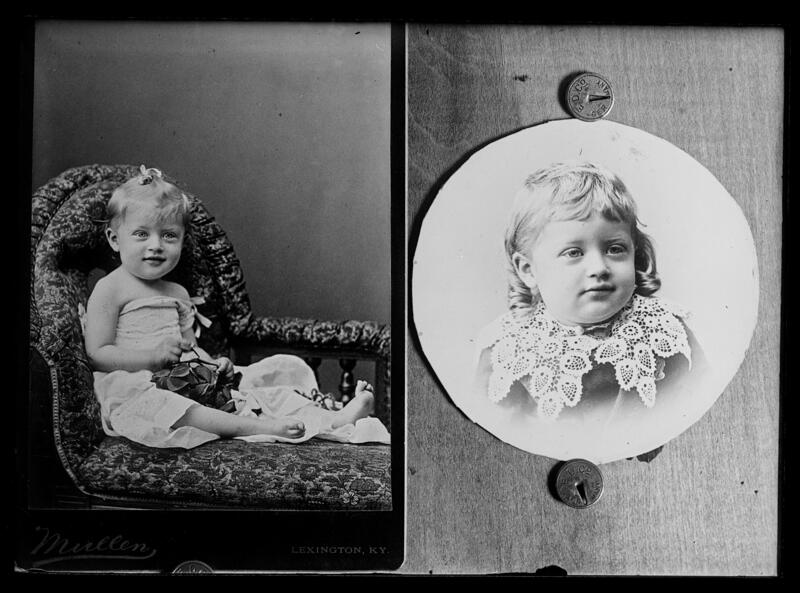 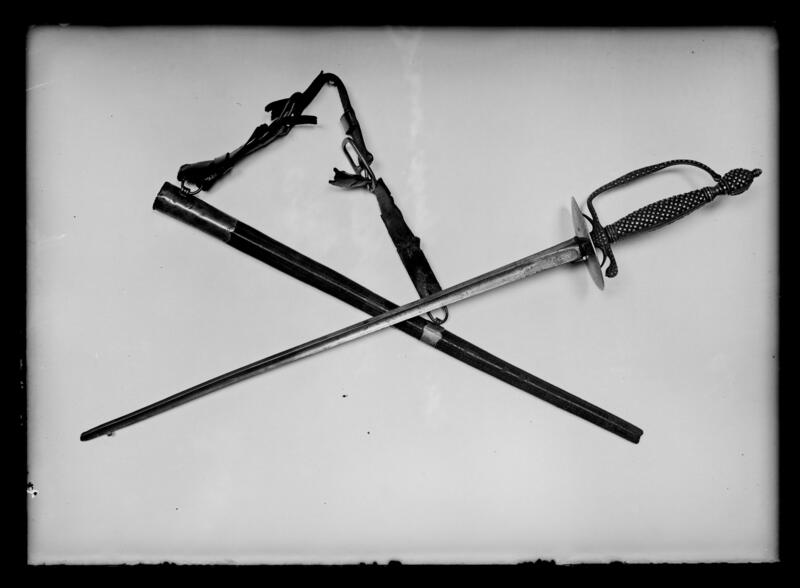 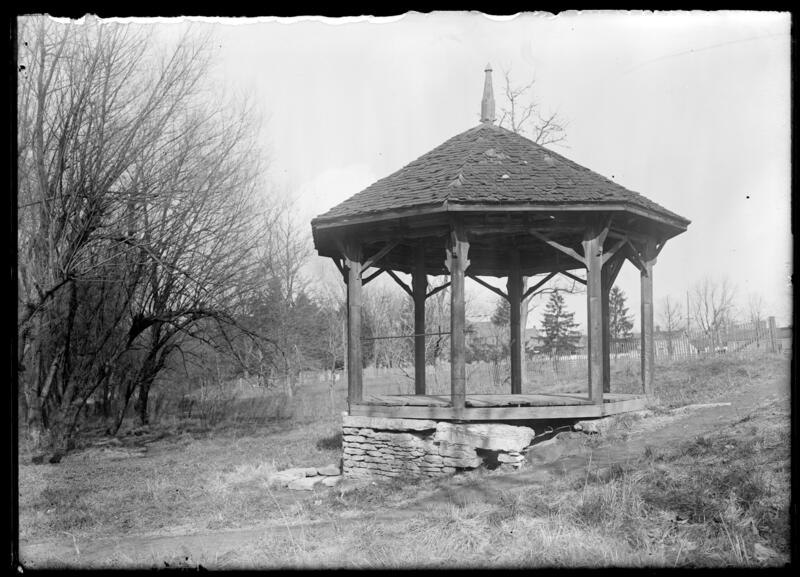 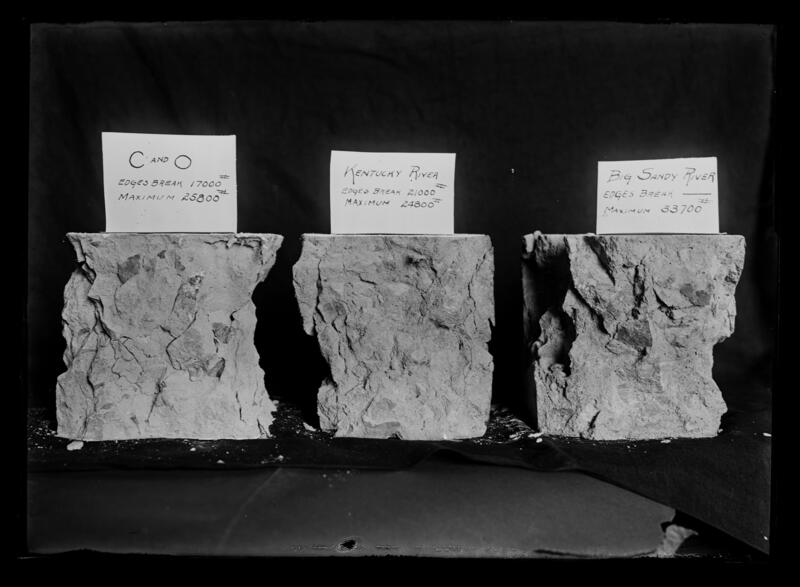 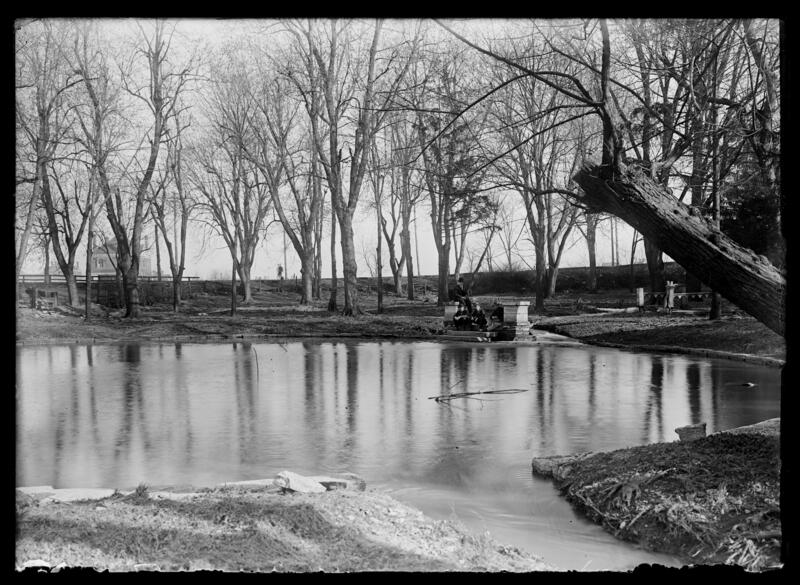 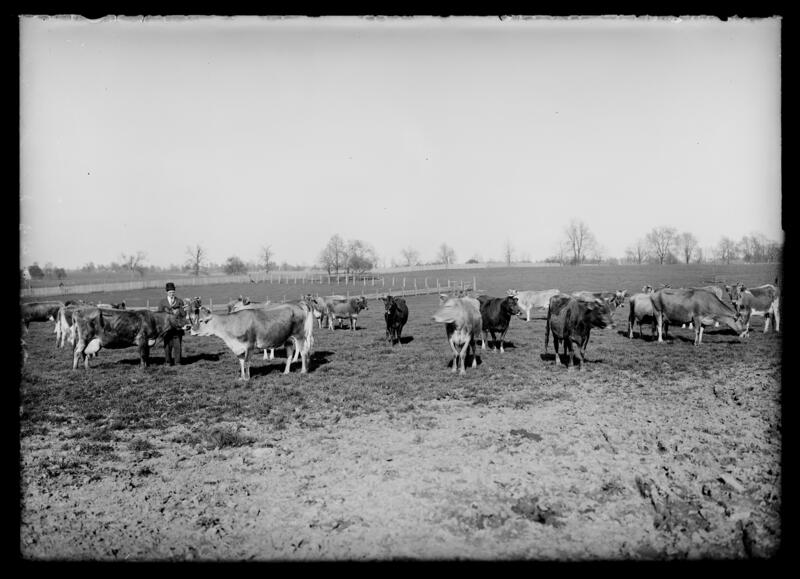 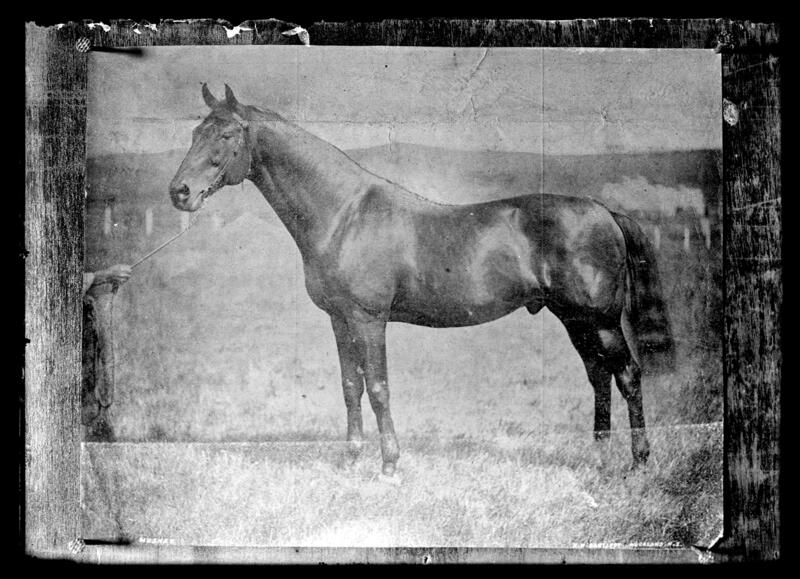 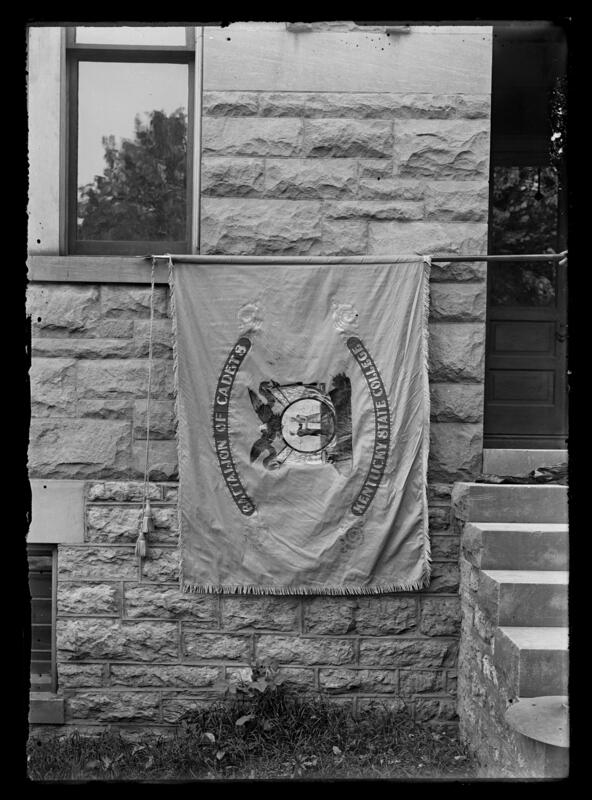 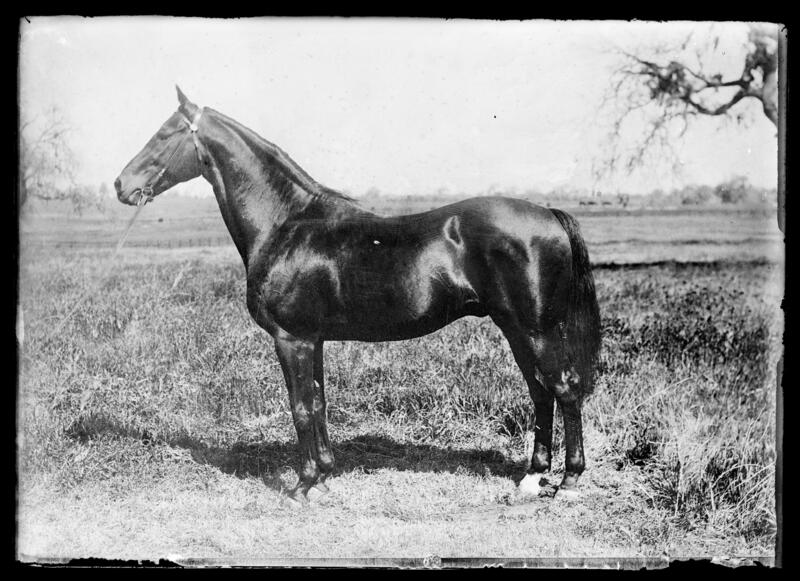 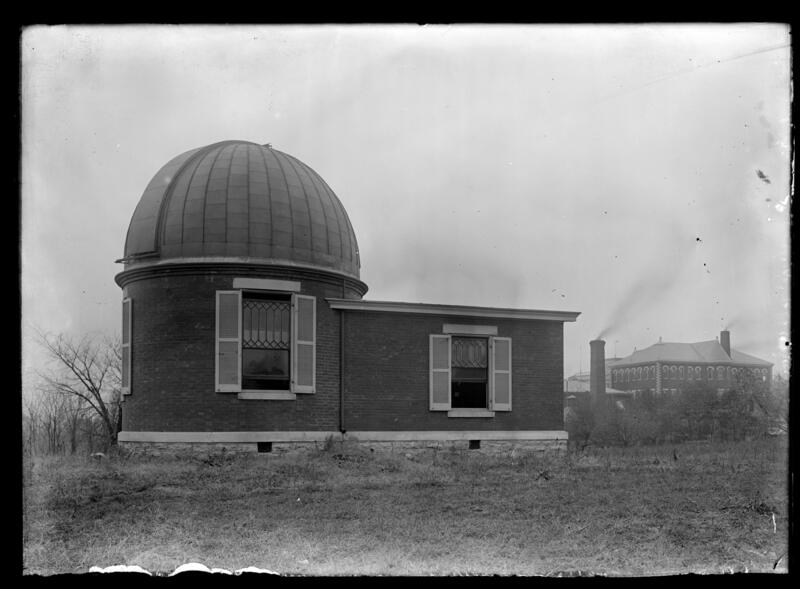 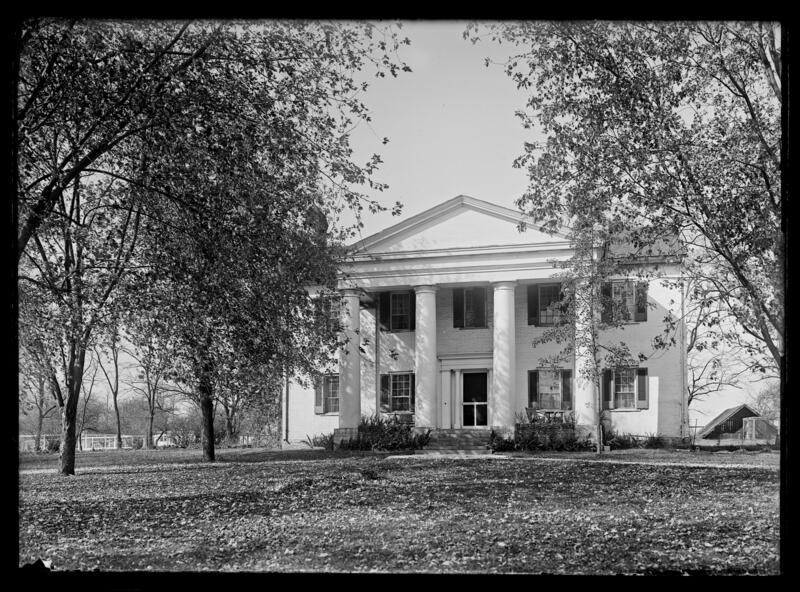 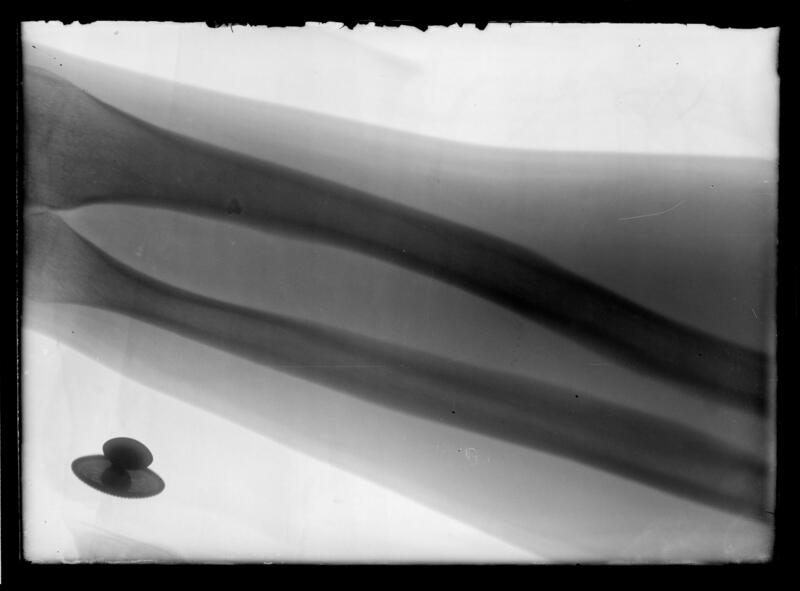 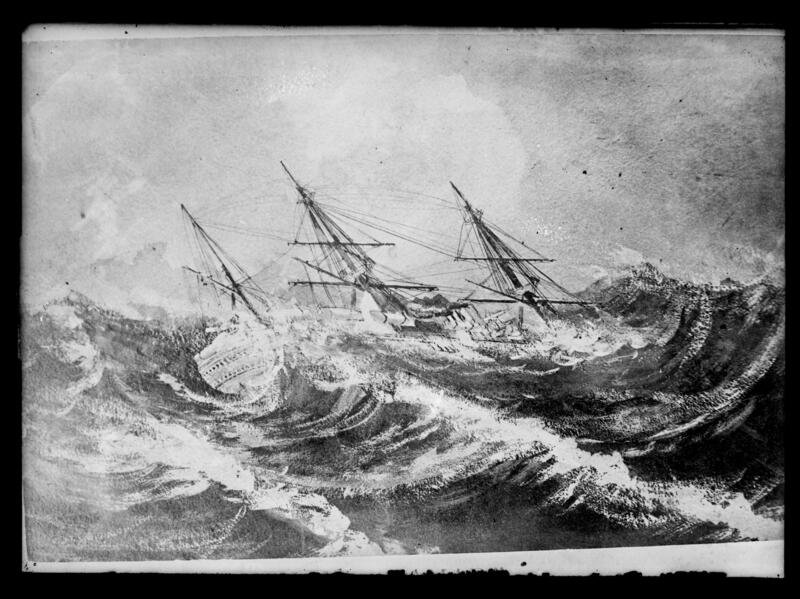 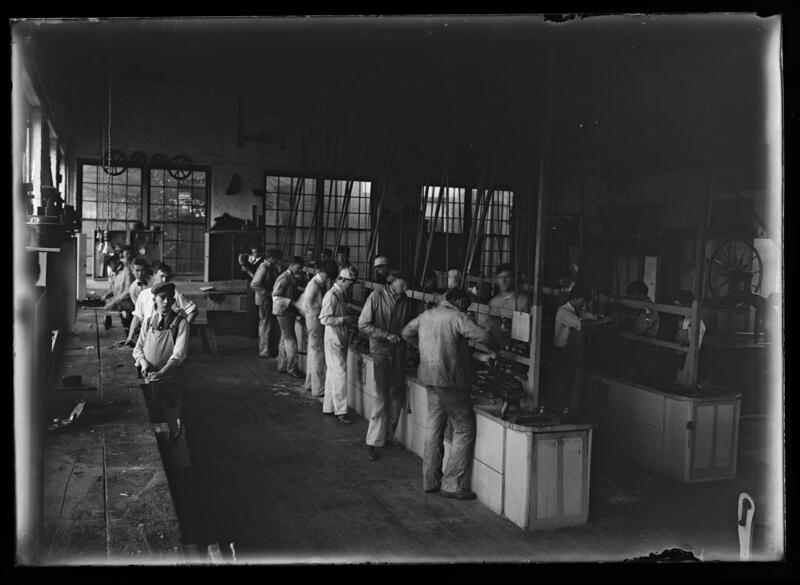 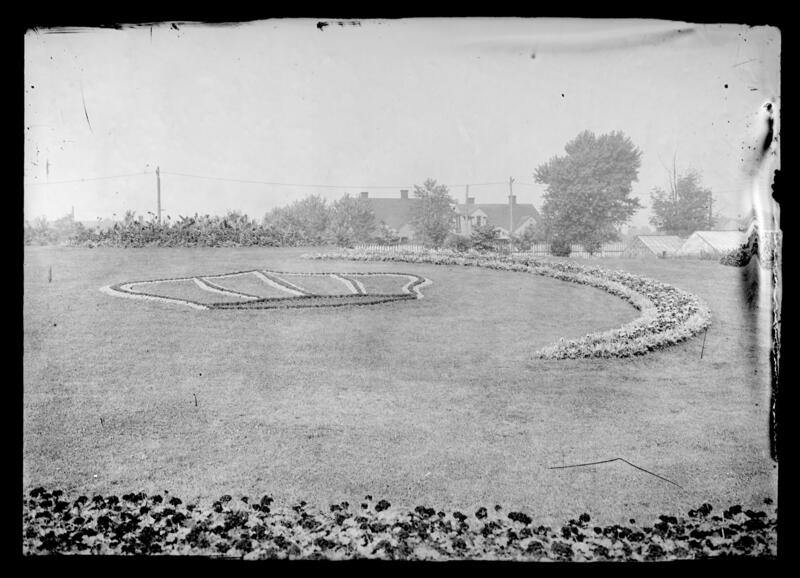 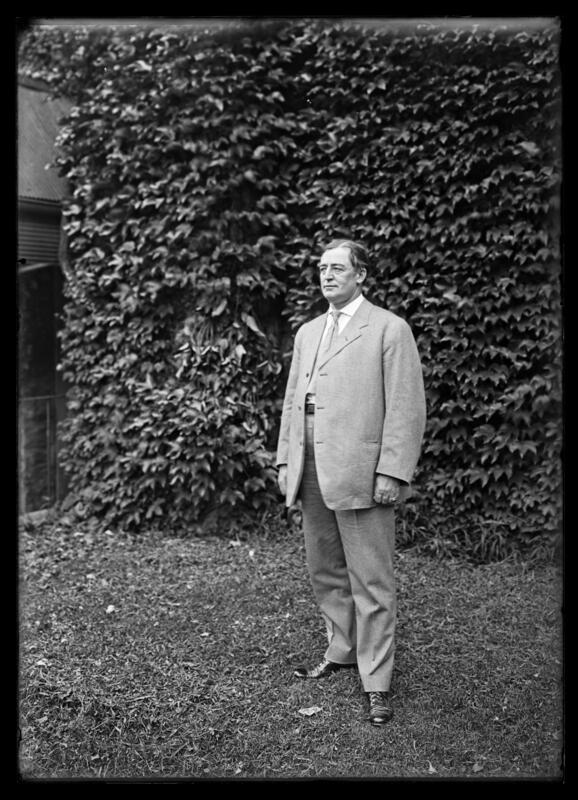 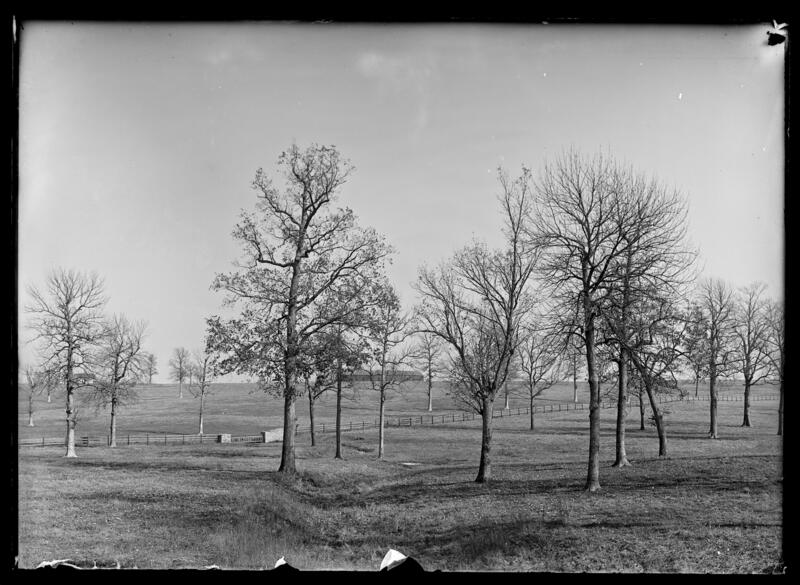 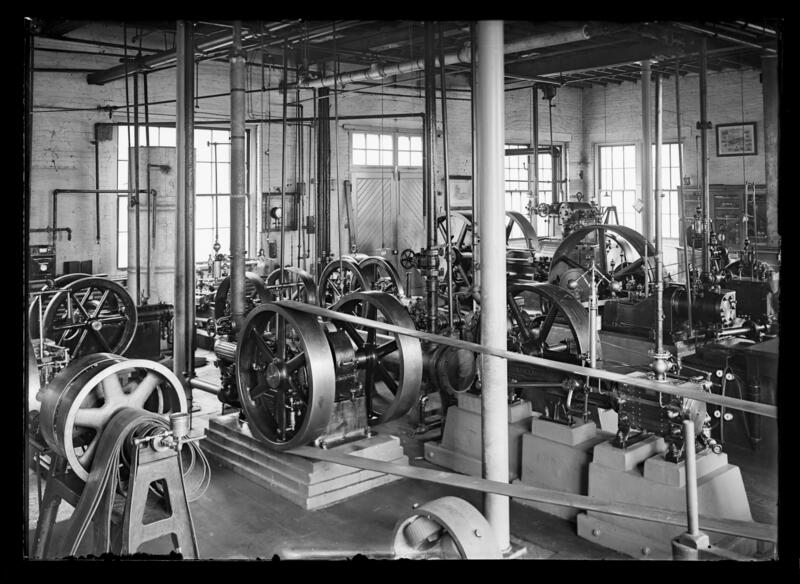 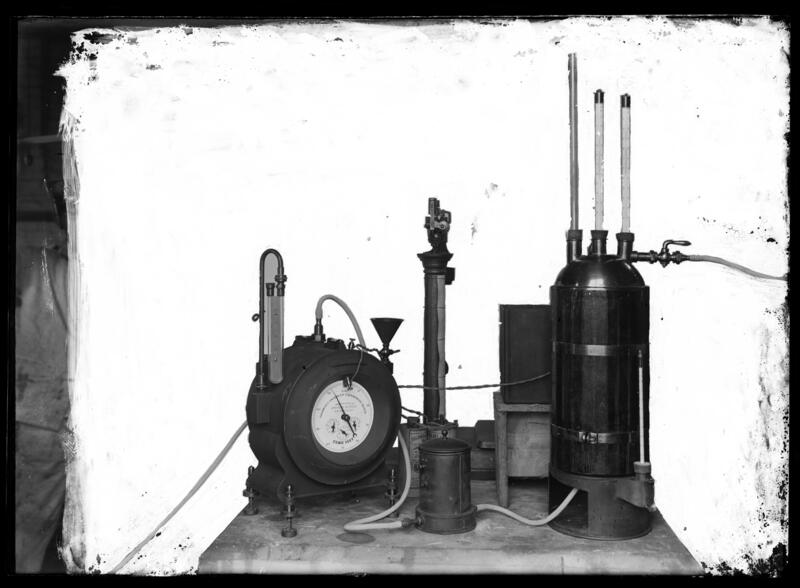 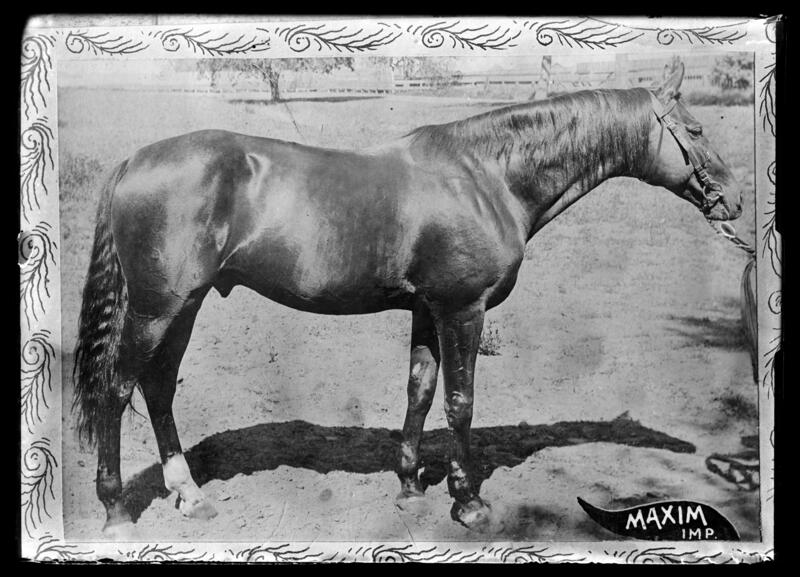 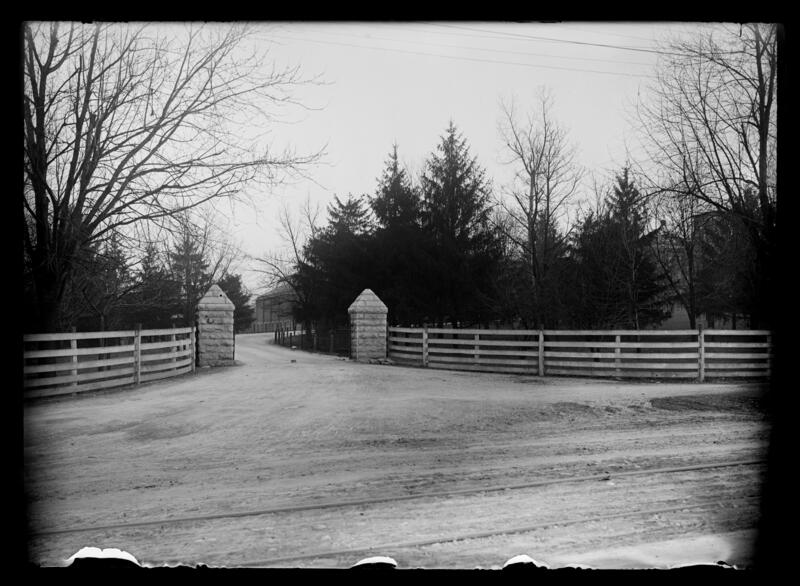 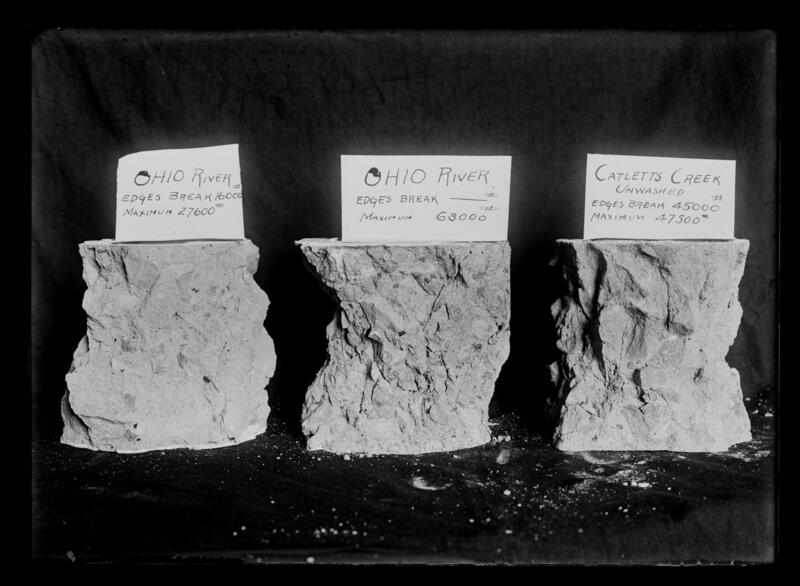 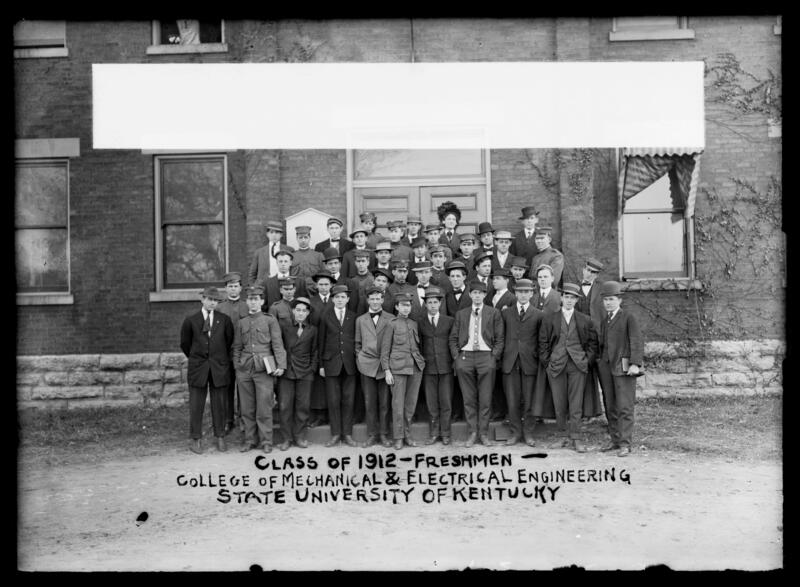 The photographs were taken by University of Kentucky professors, including Louis Edward Nollau, Harrison Garman, and Alfred M. Peter. 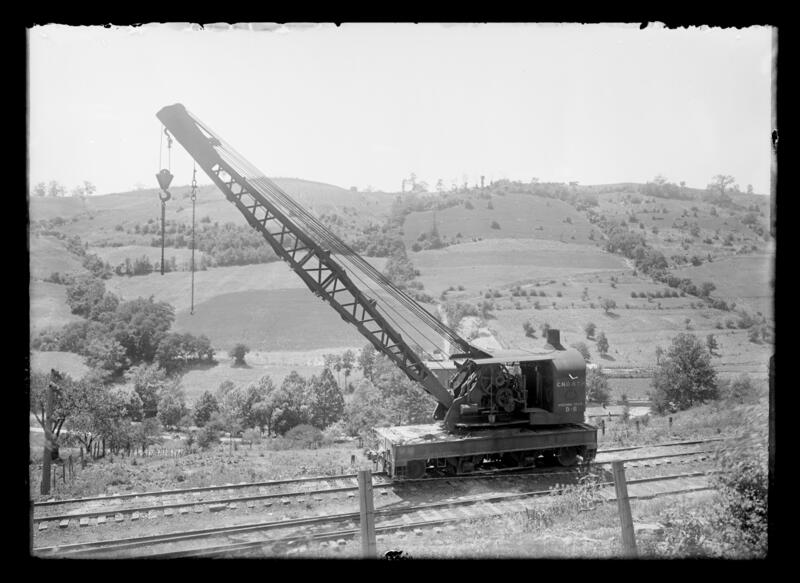 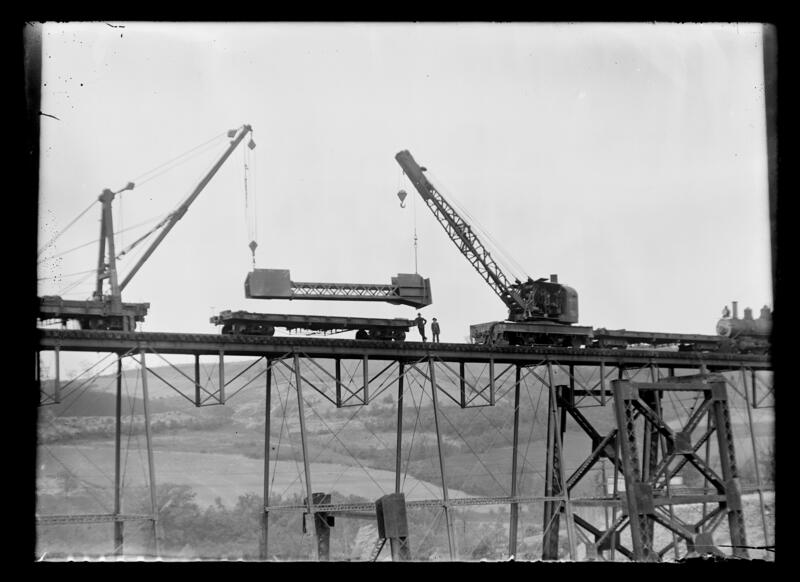 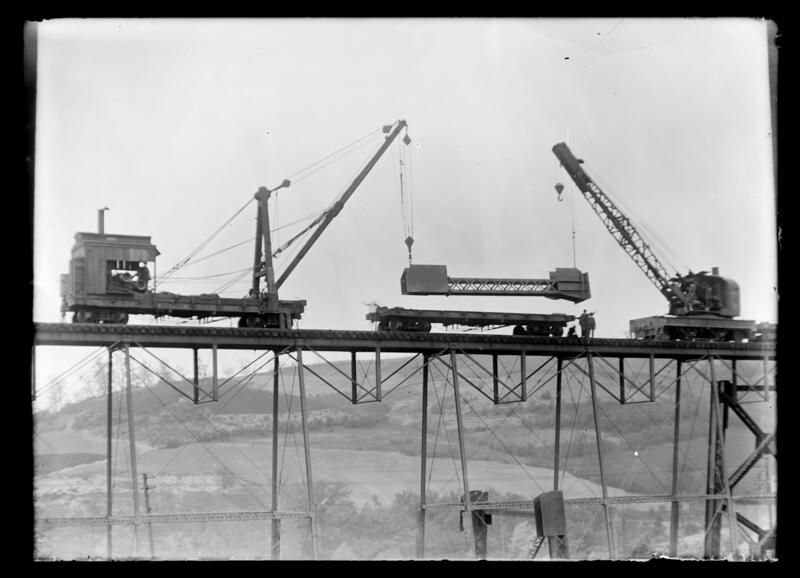 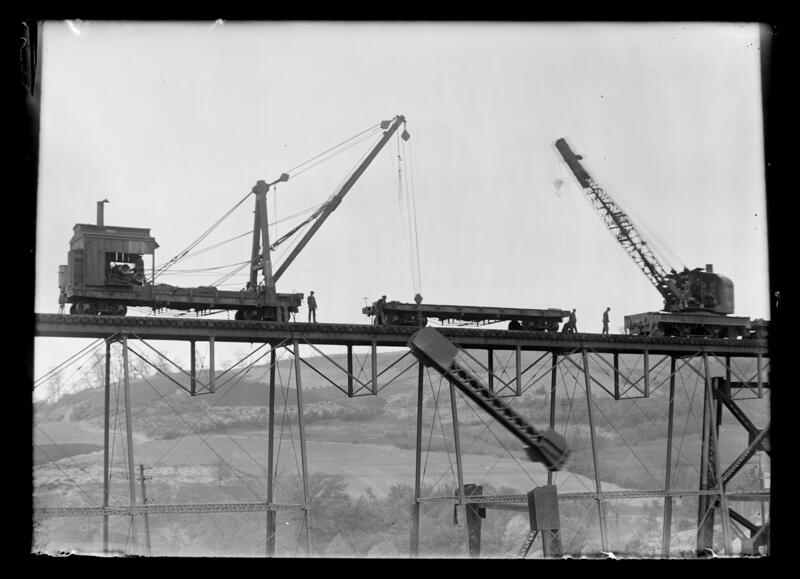 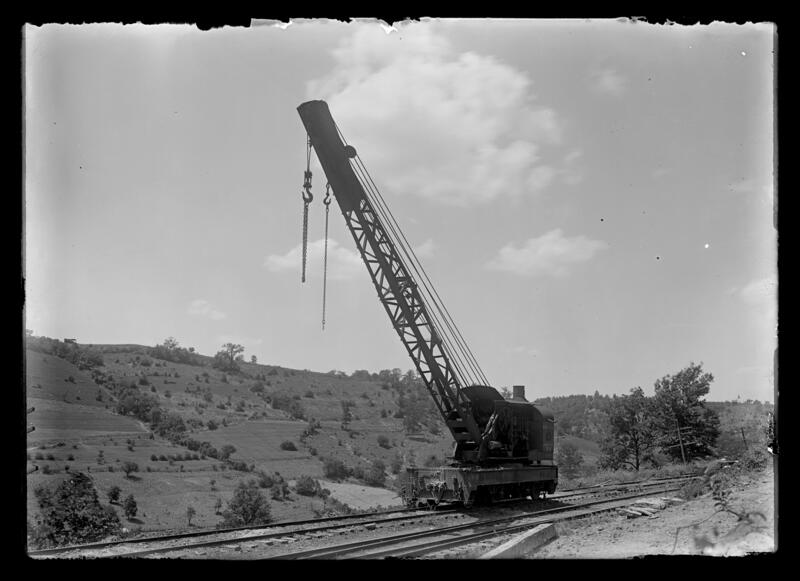 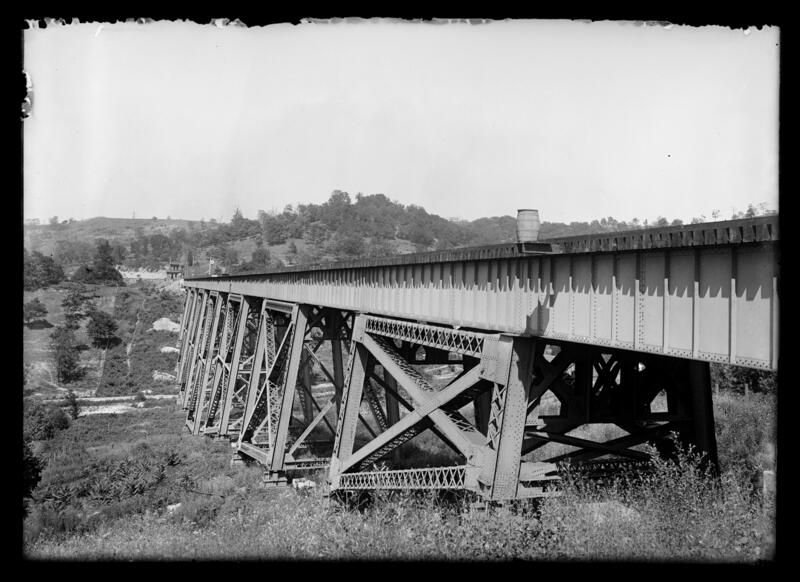 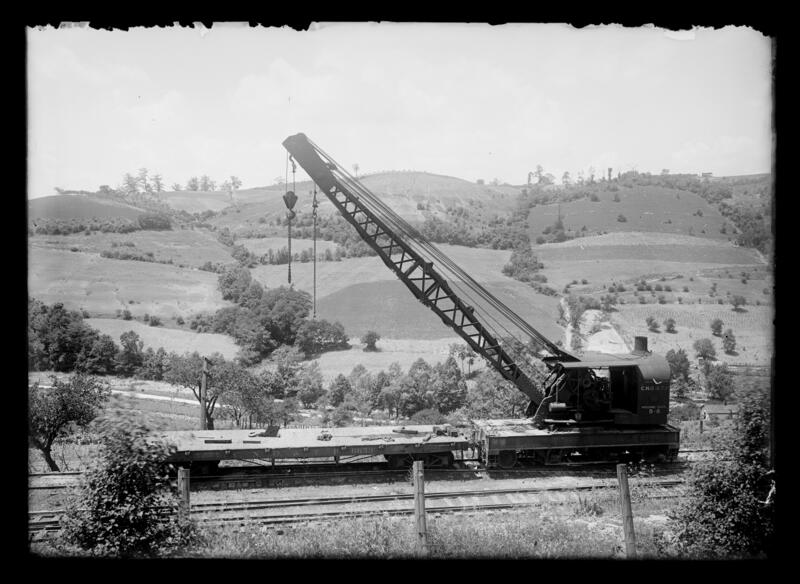 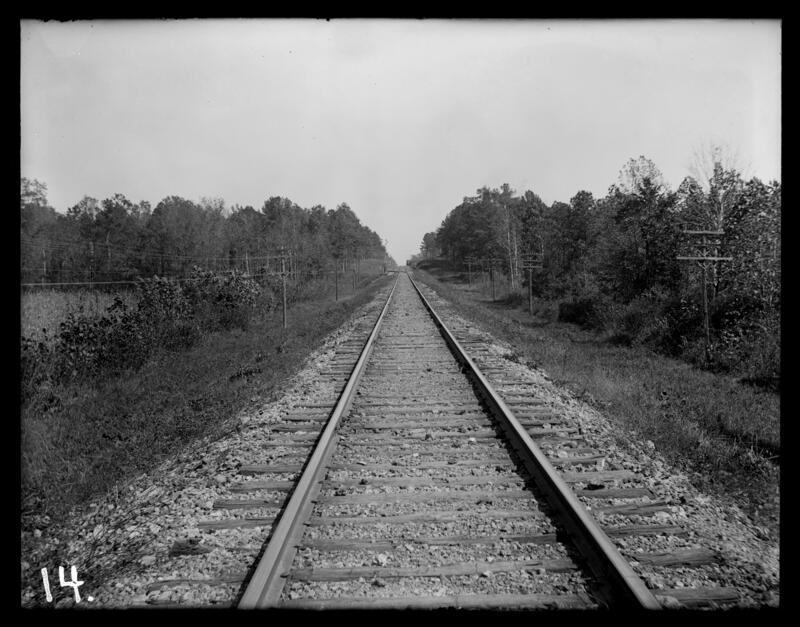 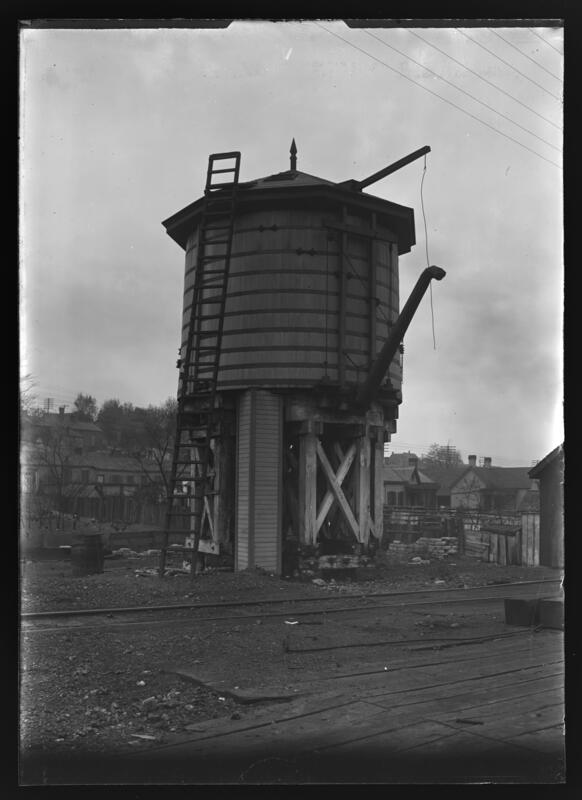 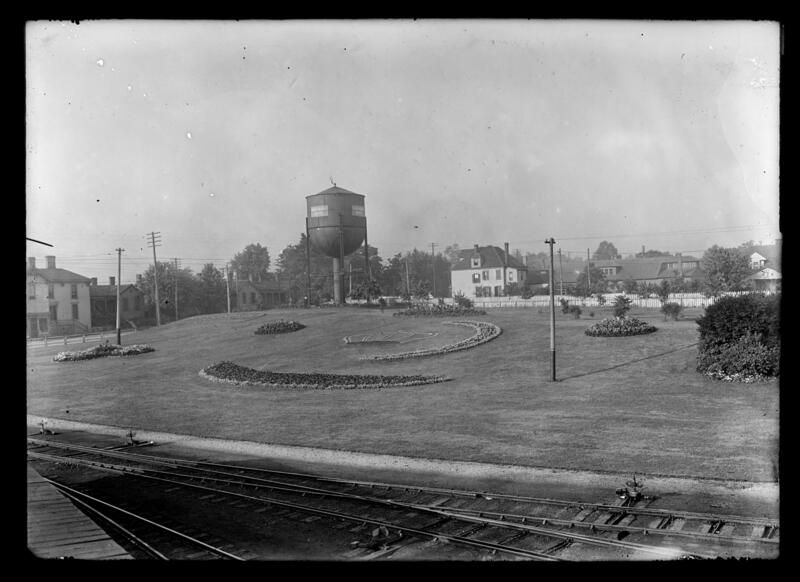 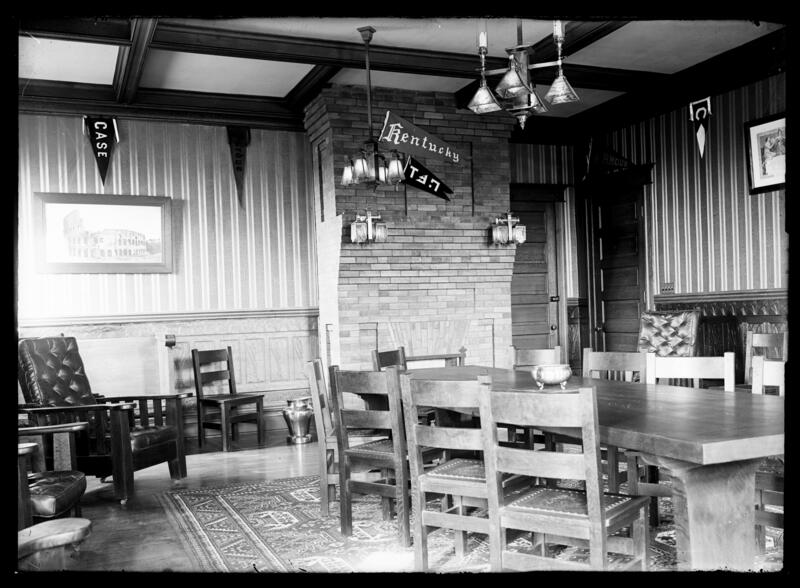 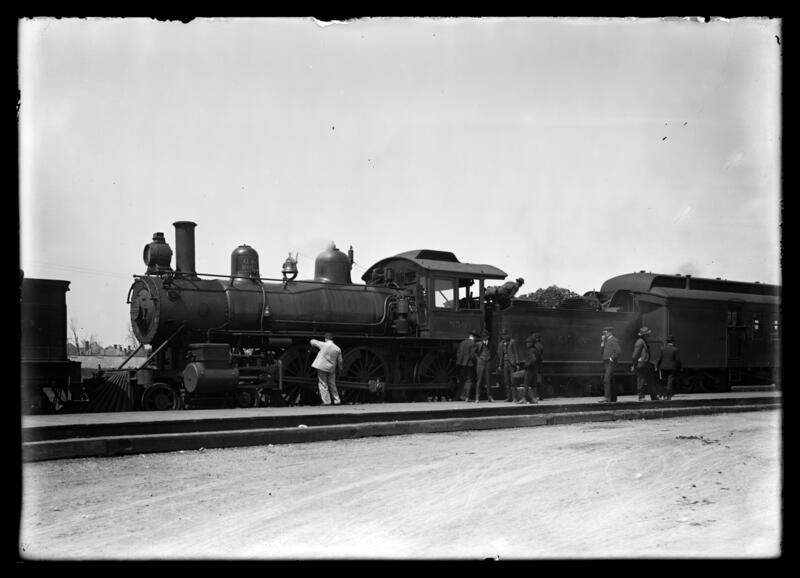 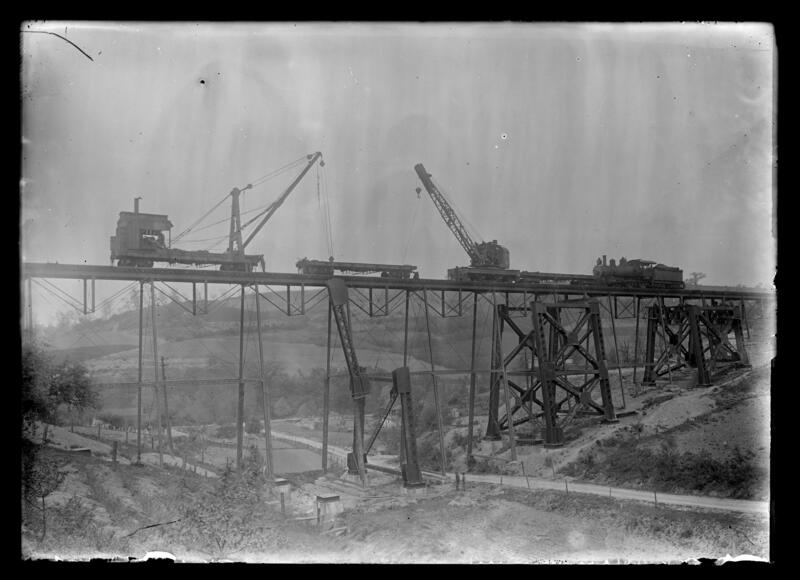 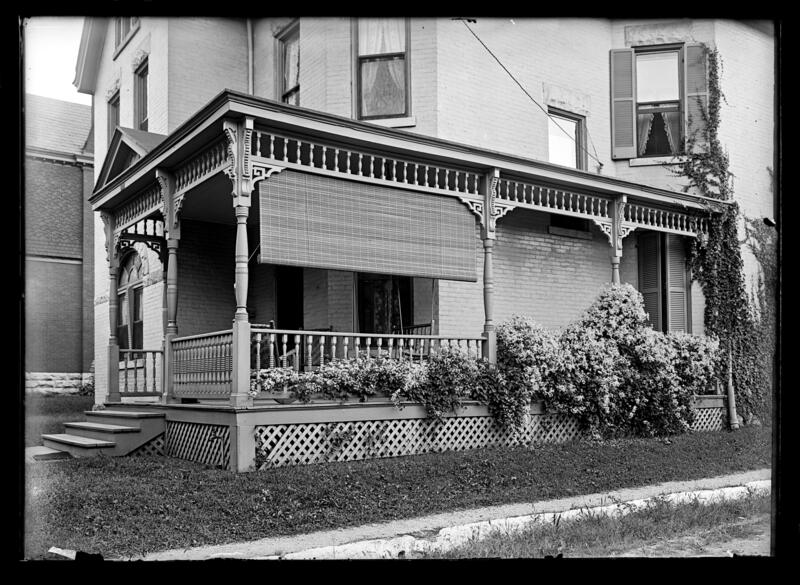 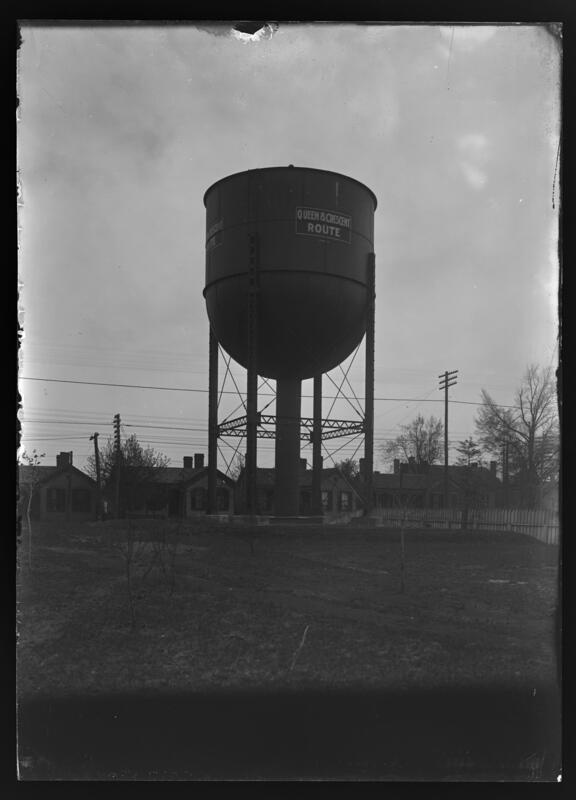 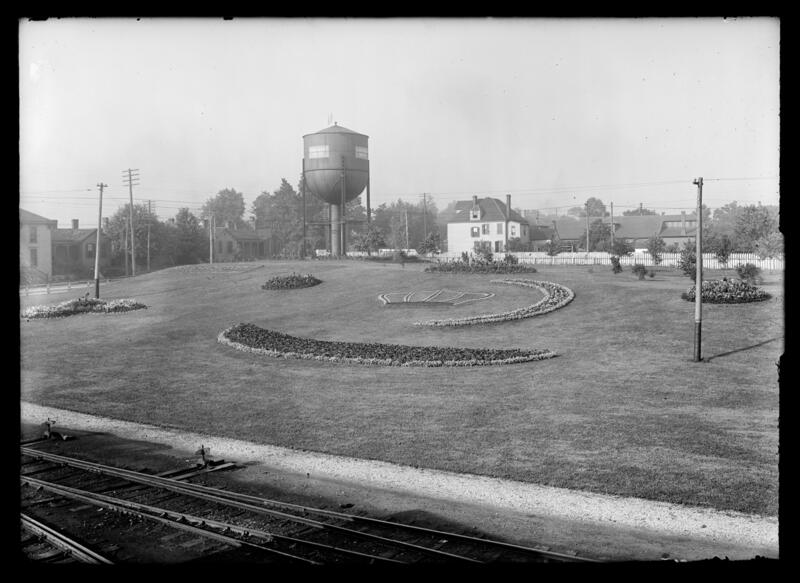 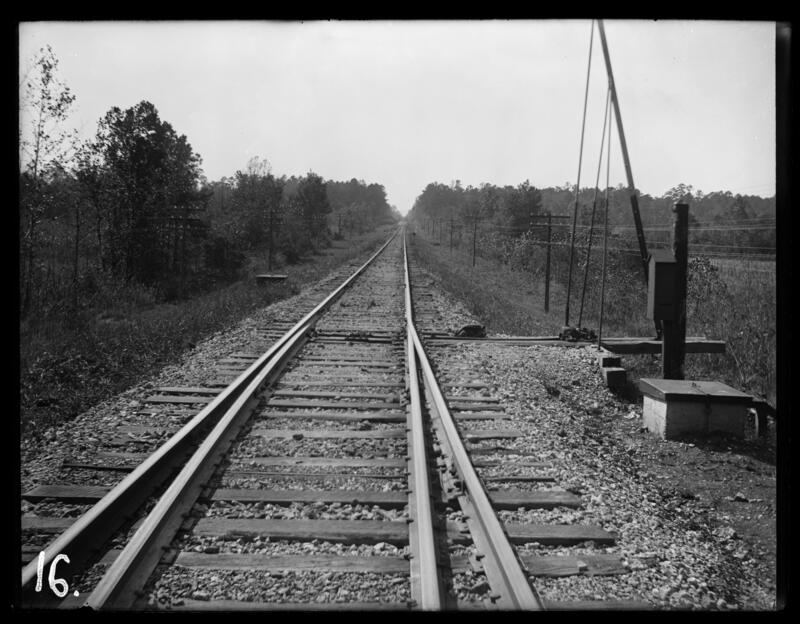 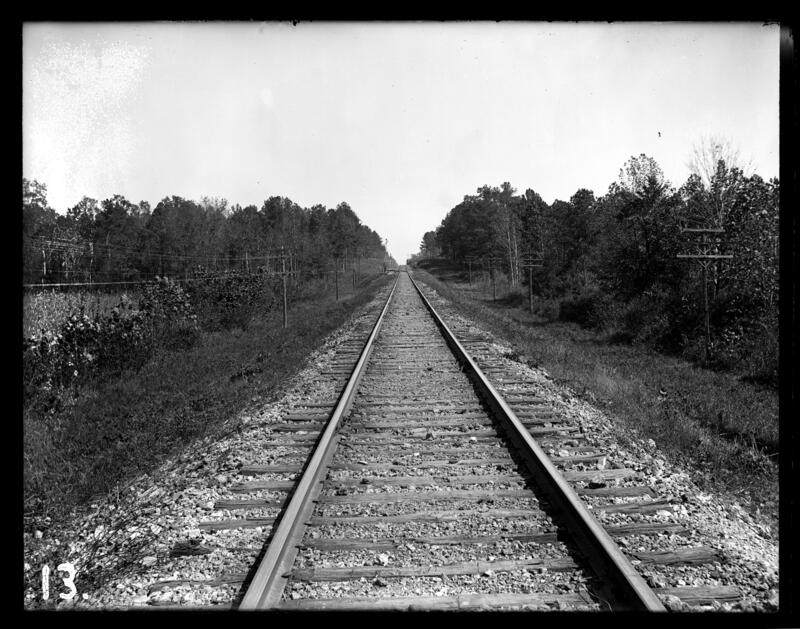 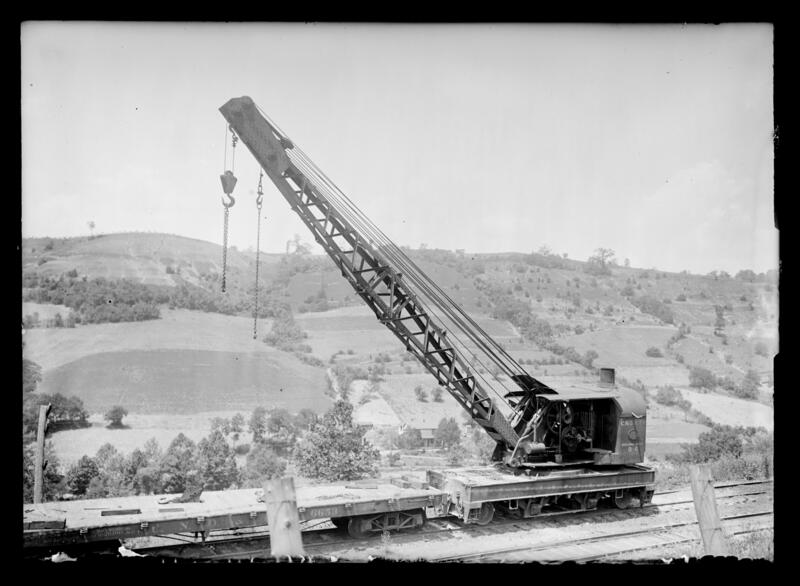 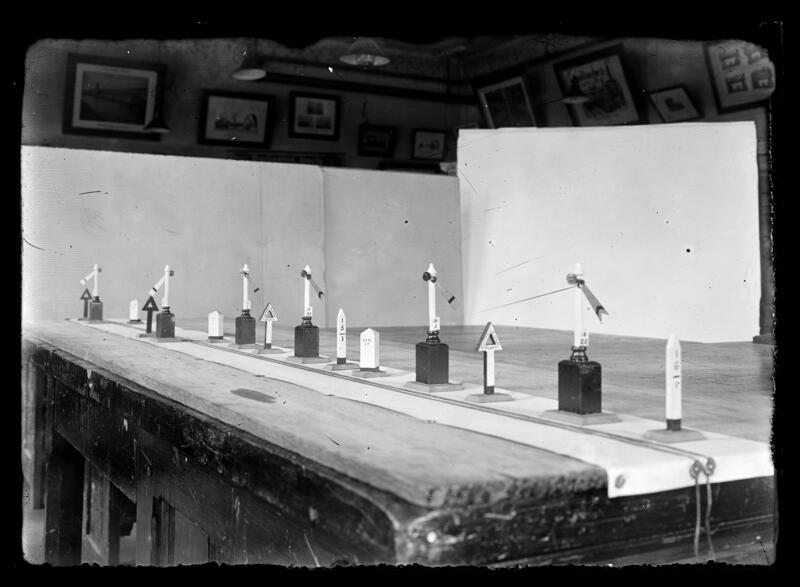 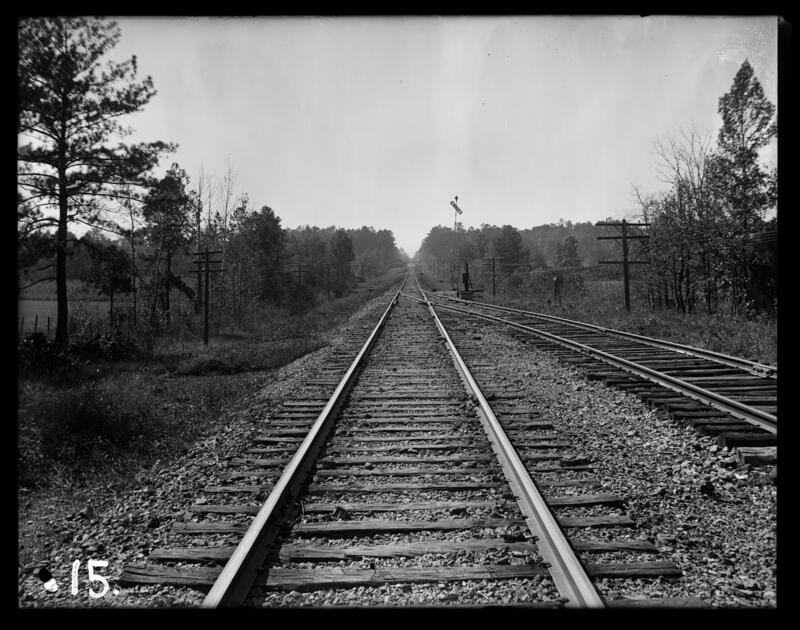 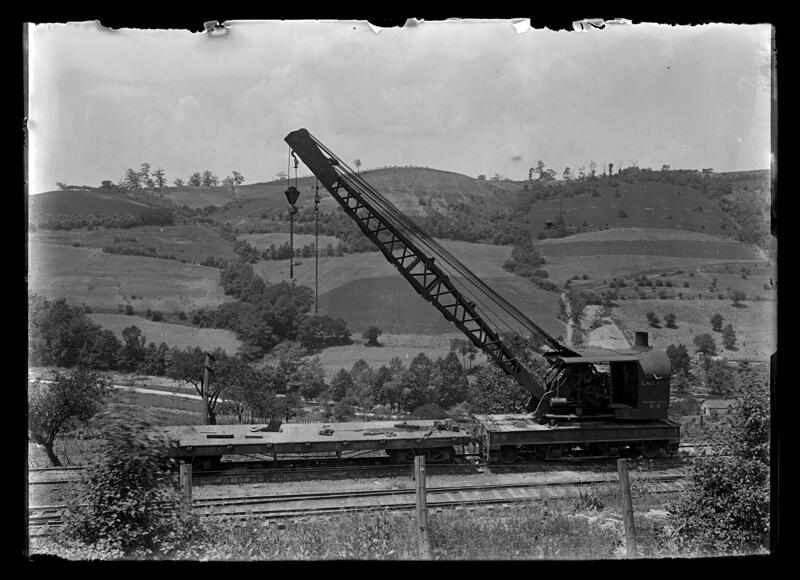 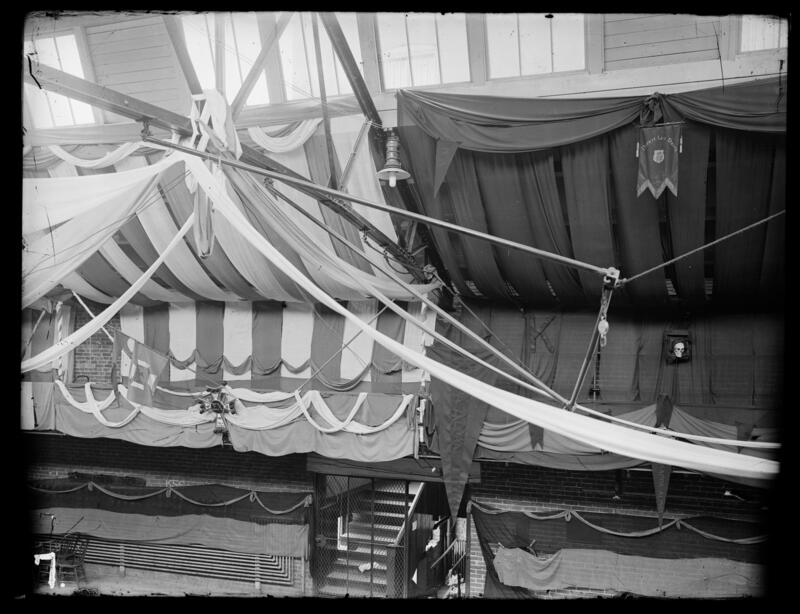 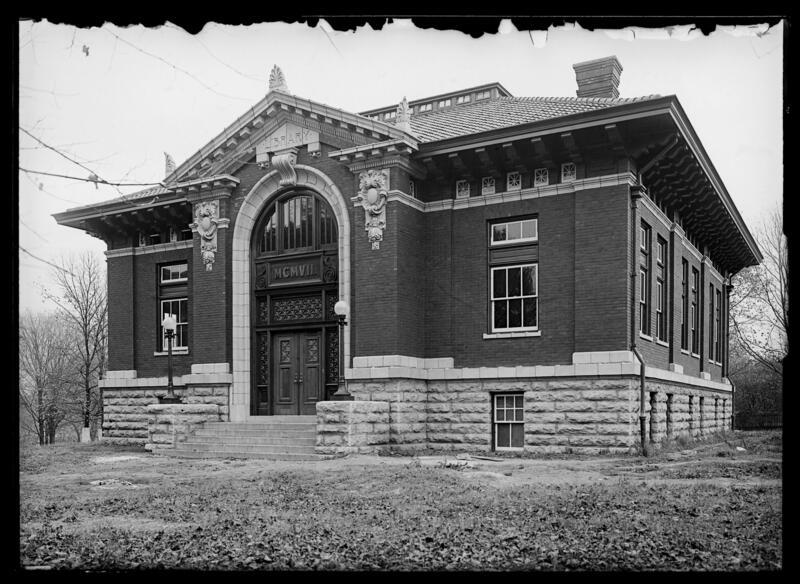 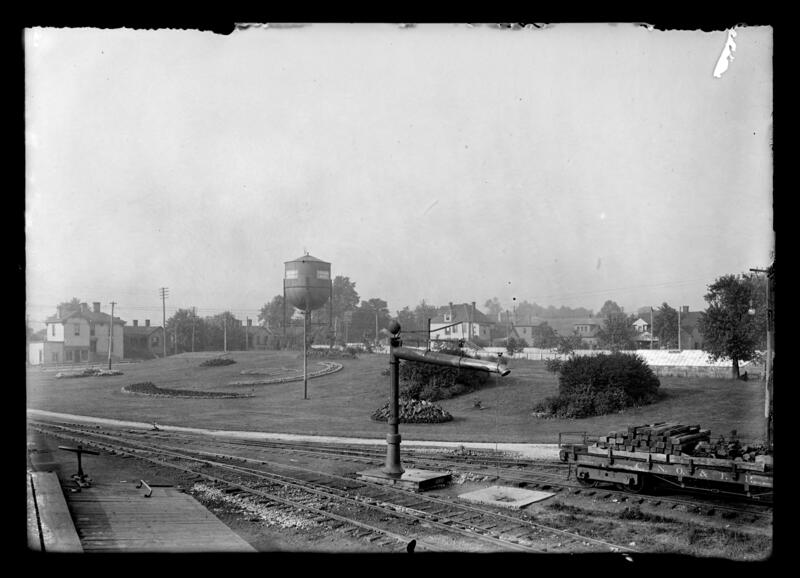 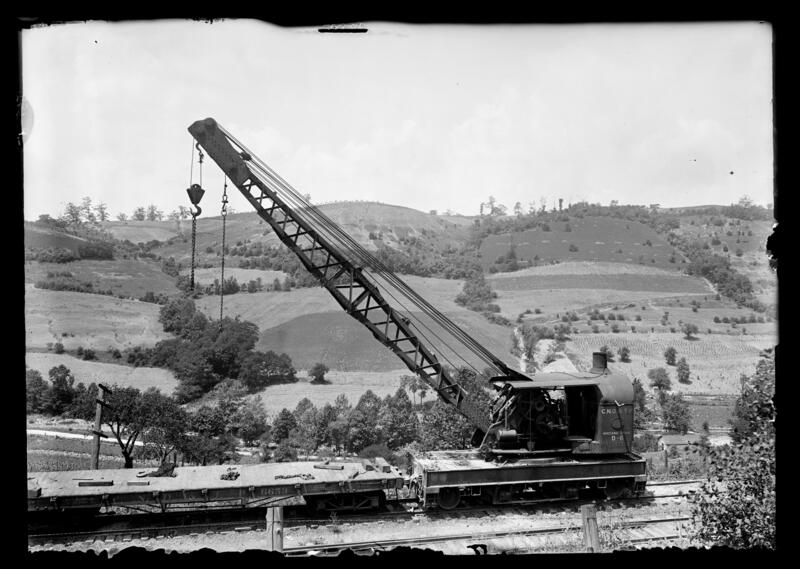 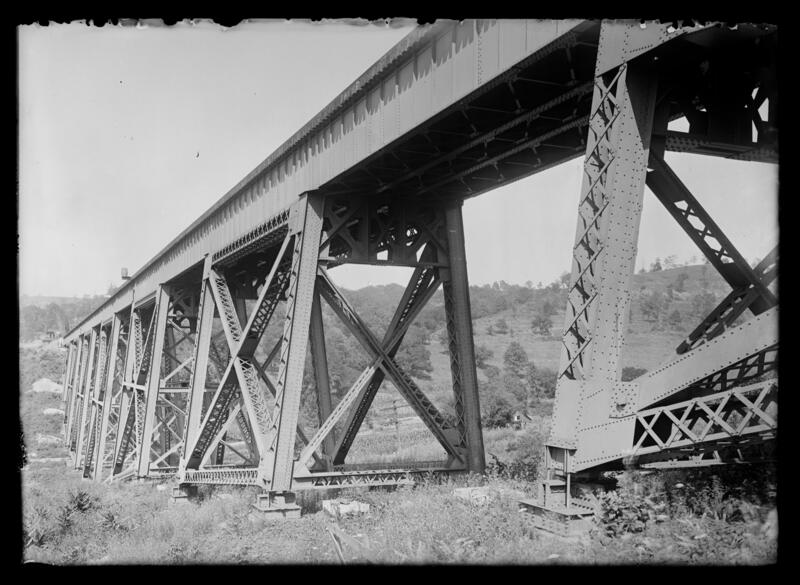 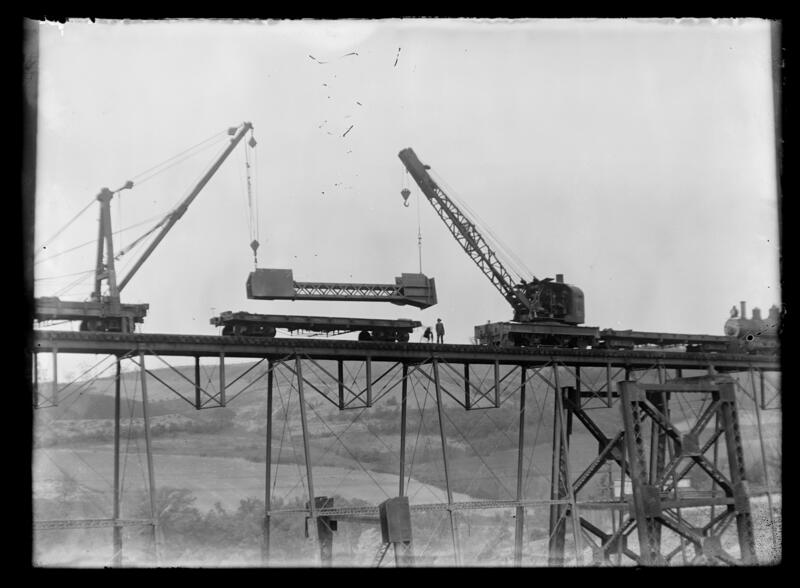 This collection also contains photos of various railroad stations and tracks, such as the Queen & Crescent line, and negatives of building construction by UK students as well as blueprints of bridges and buildings. 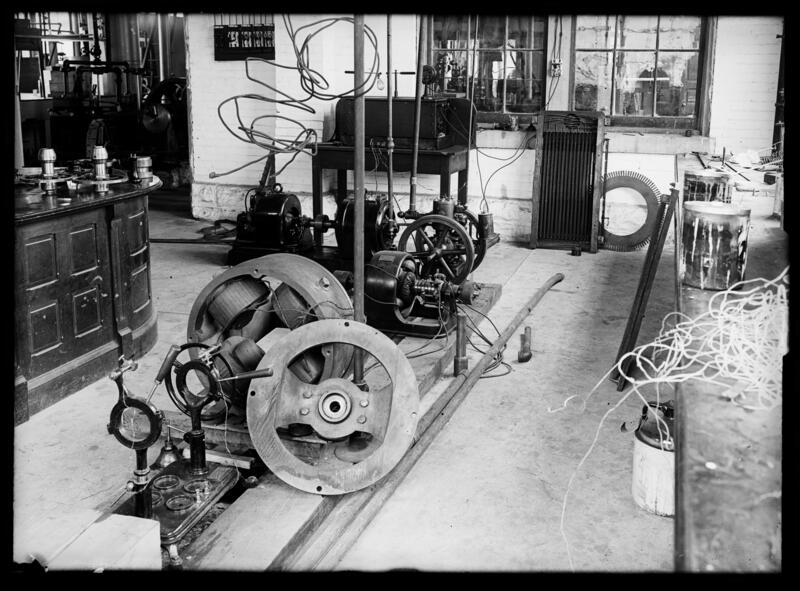 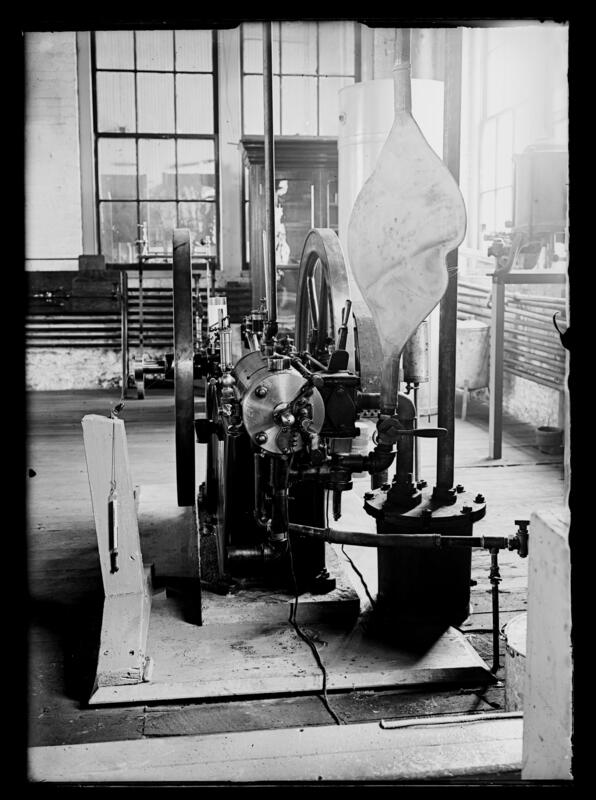 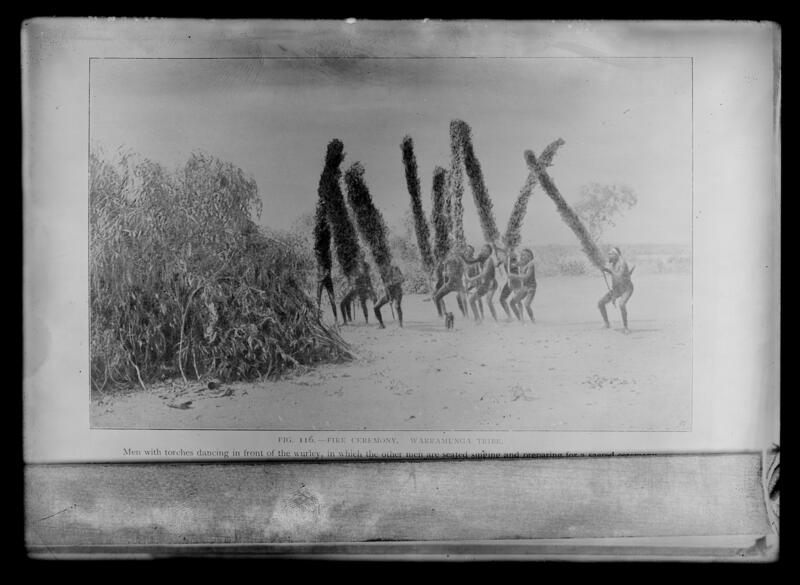 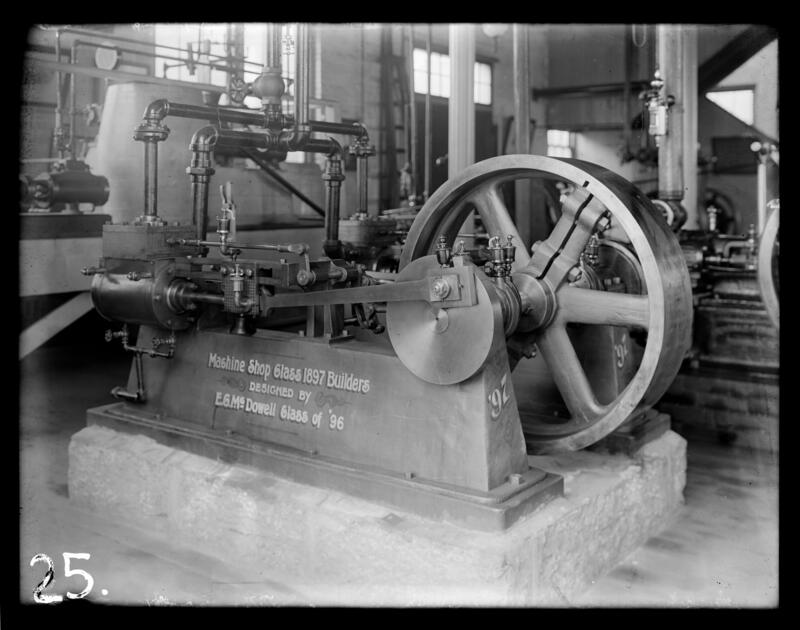 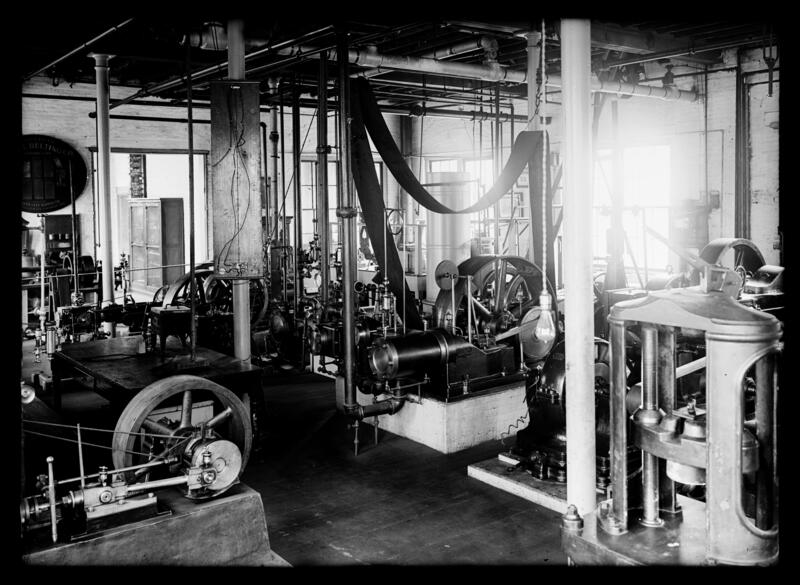 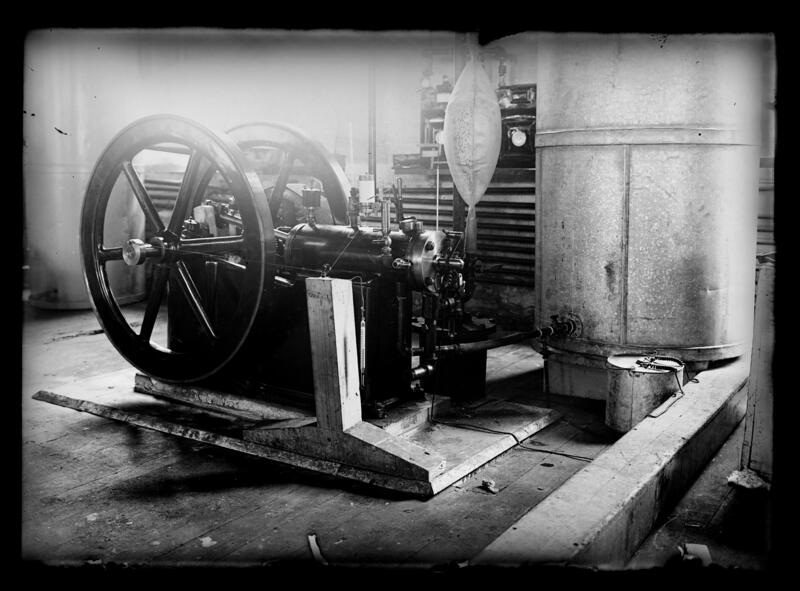 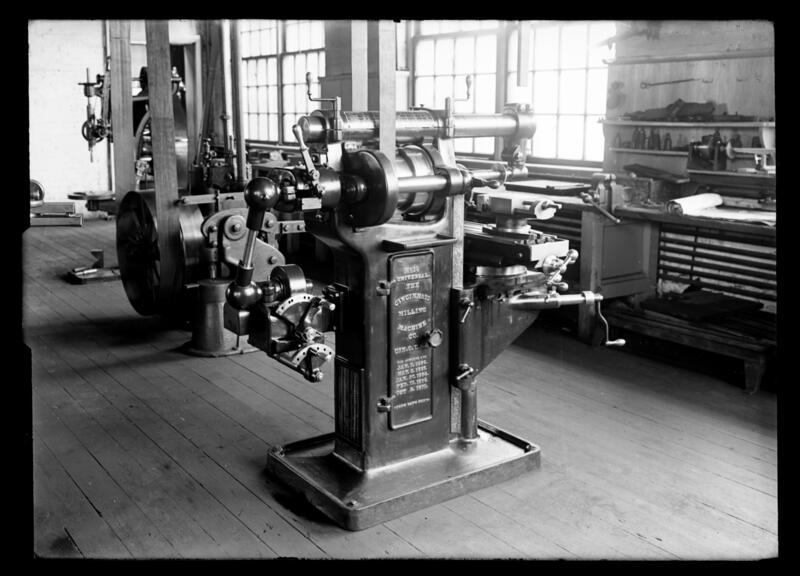 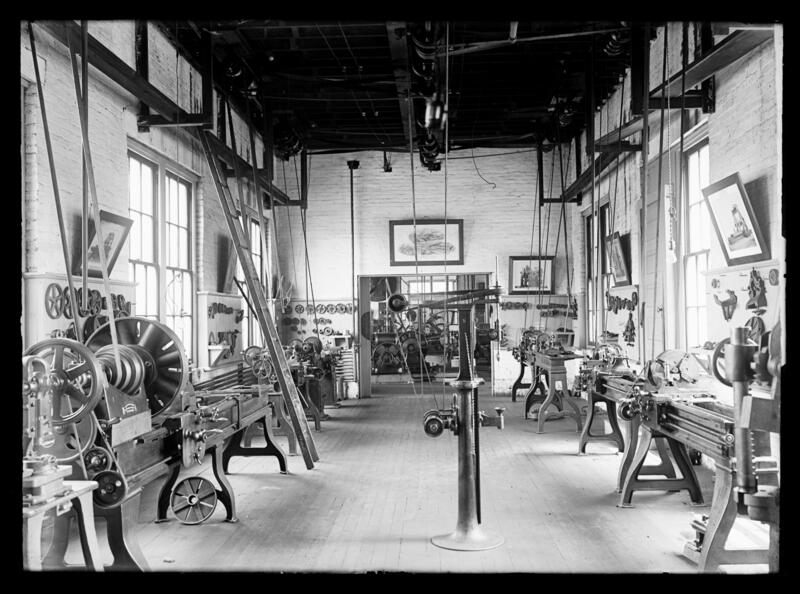 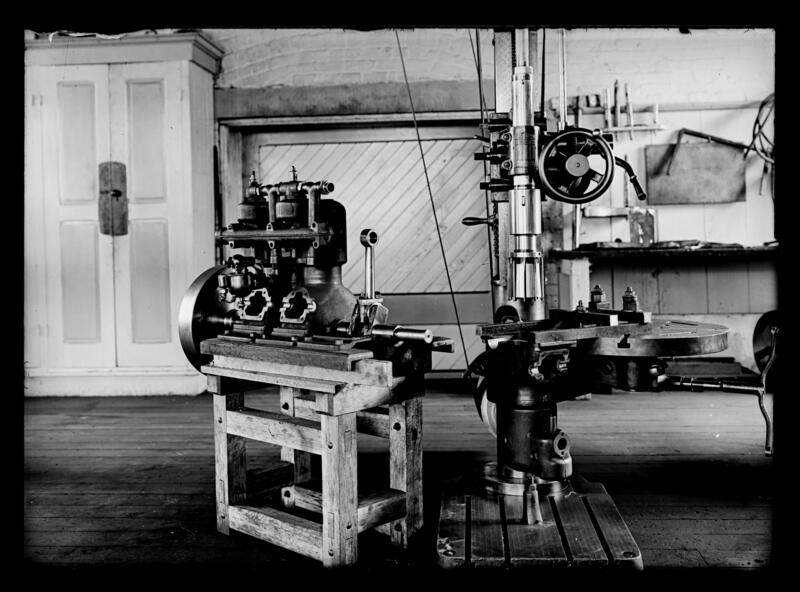 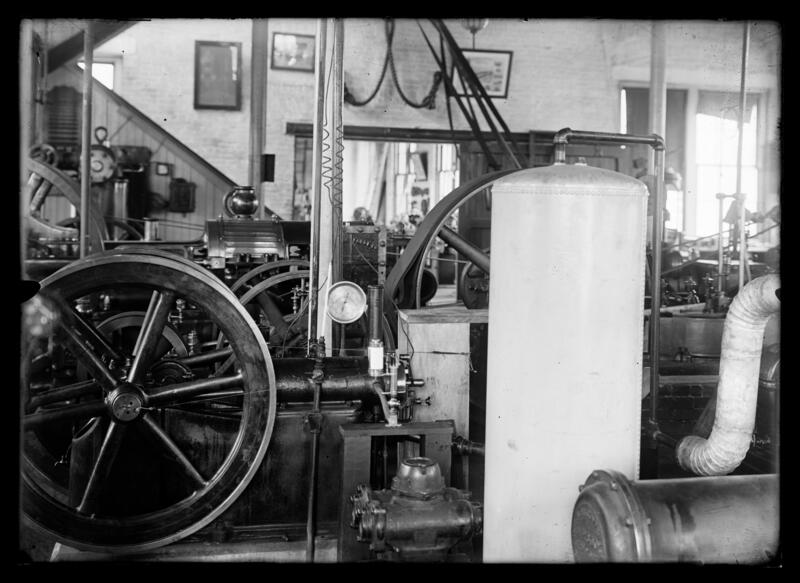 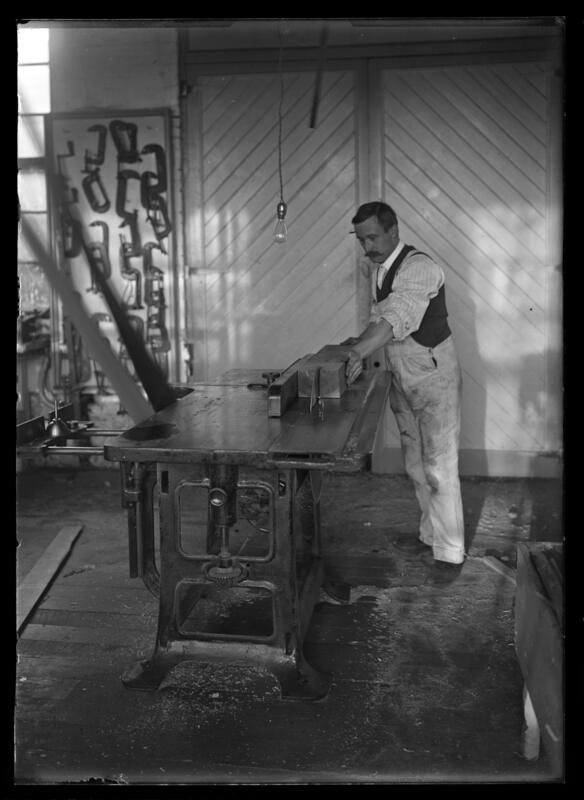 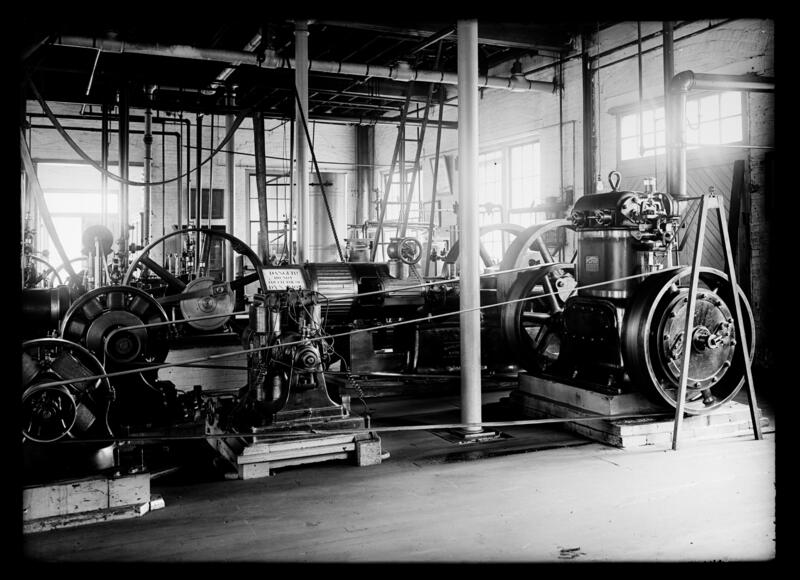 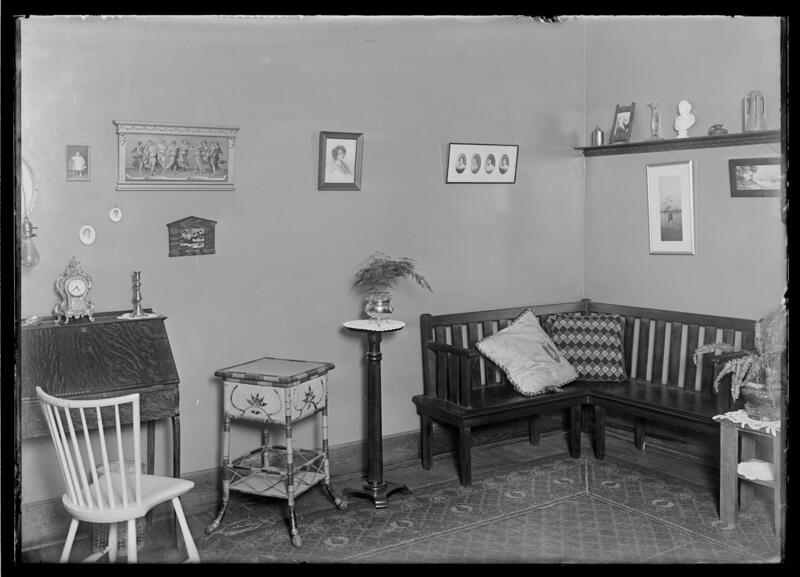 The majority of the collection occurs over a 20 year span, from 1898 to 1918. 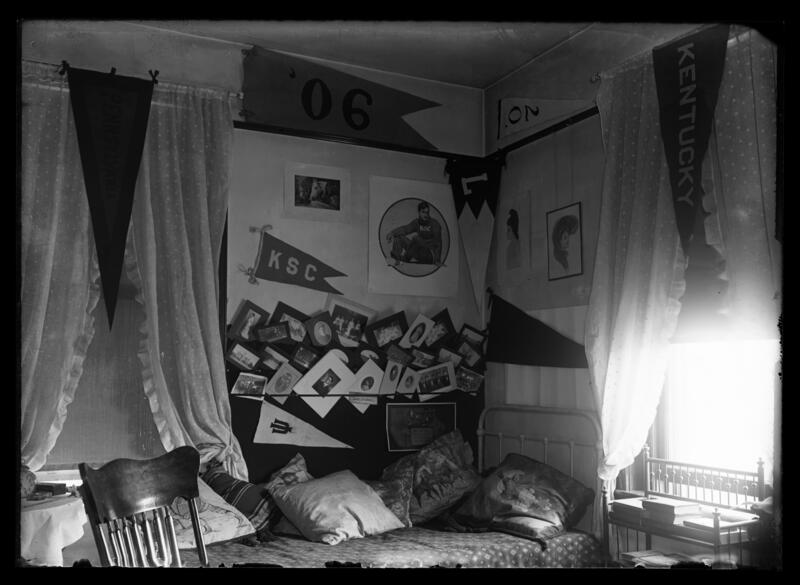 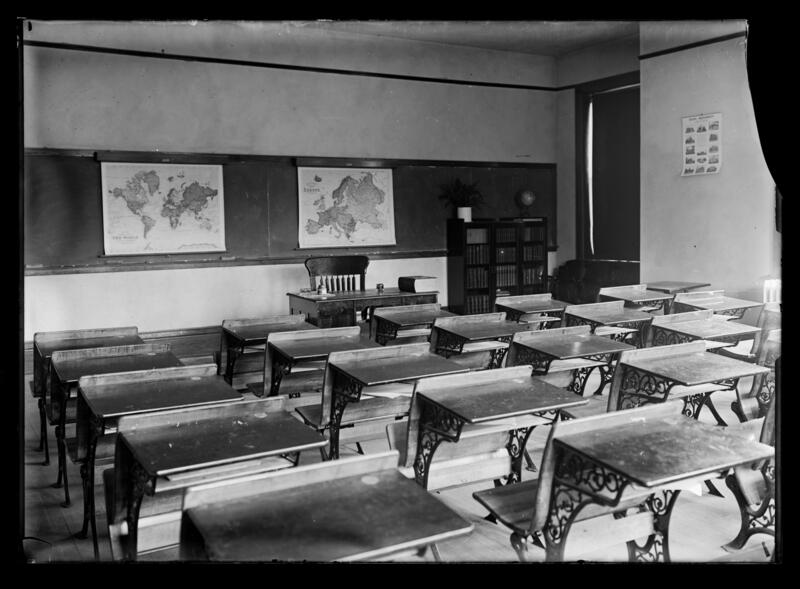 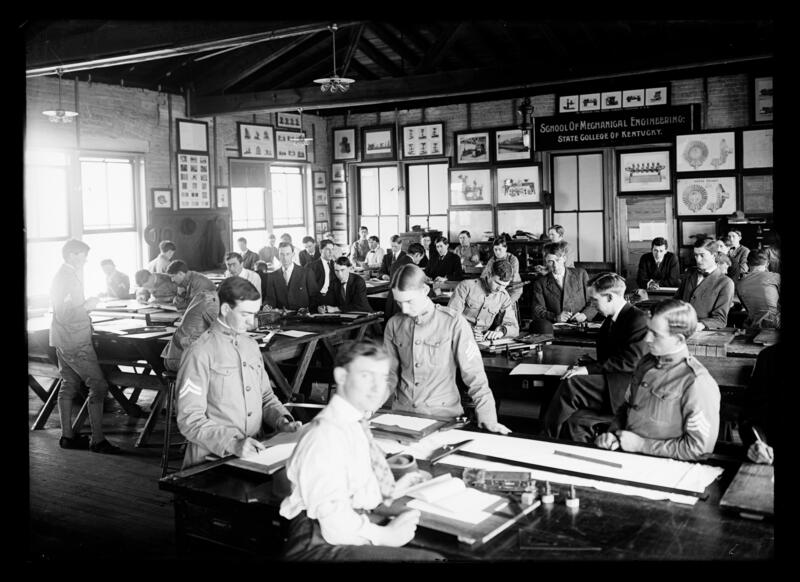 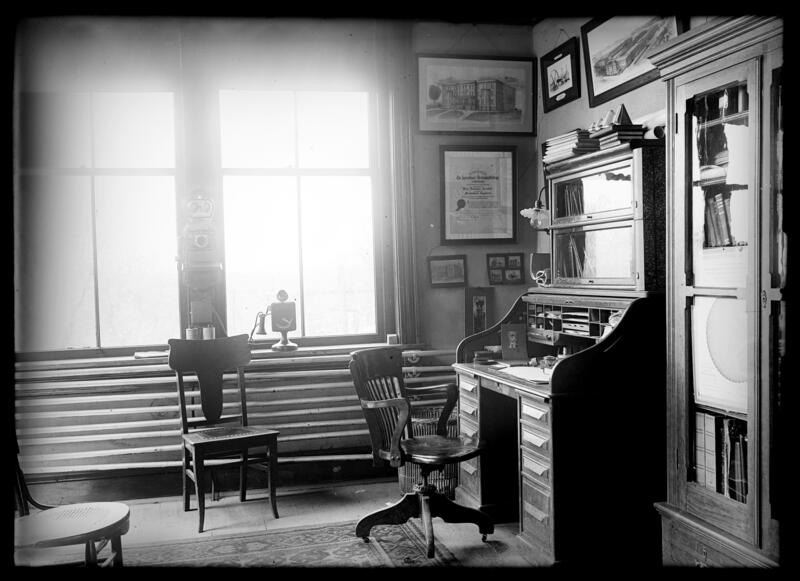 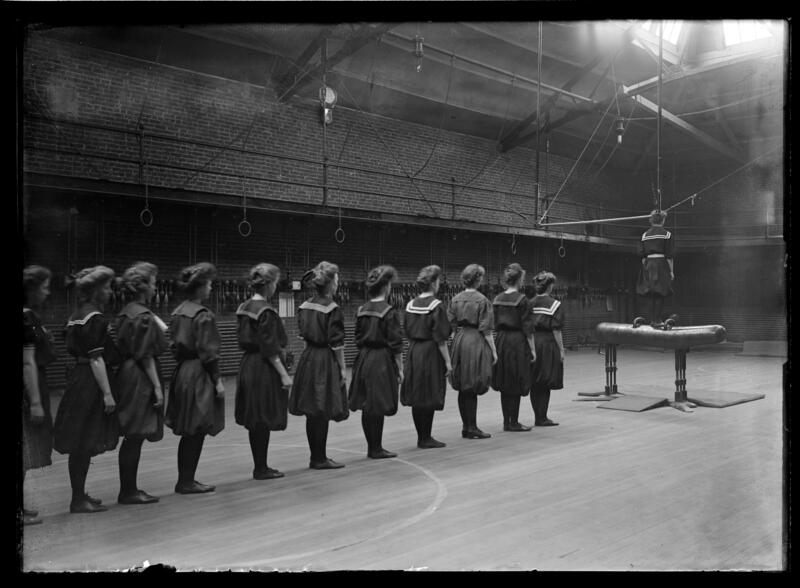 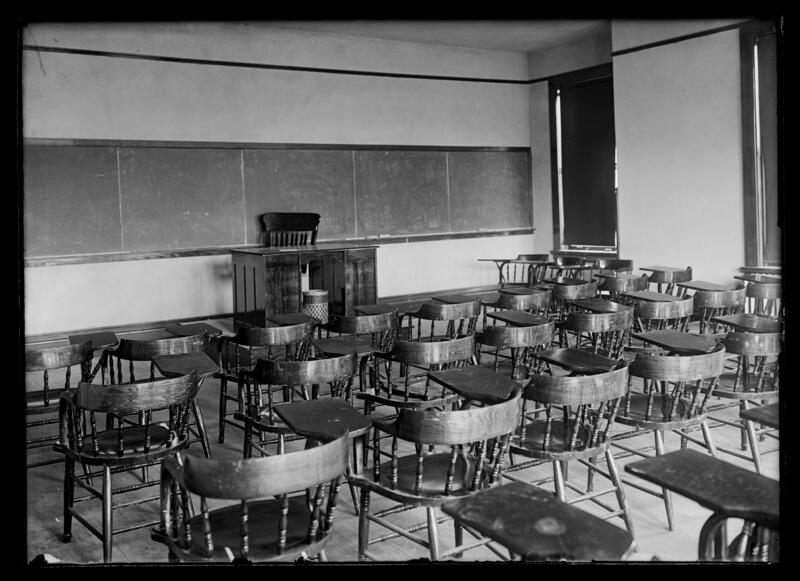 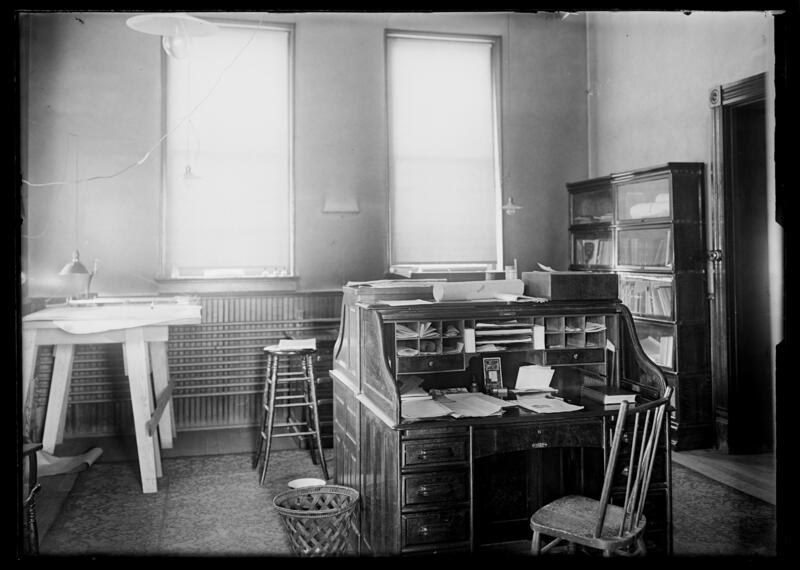 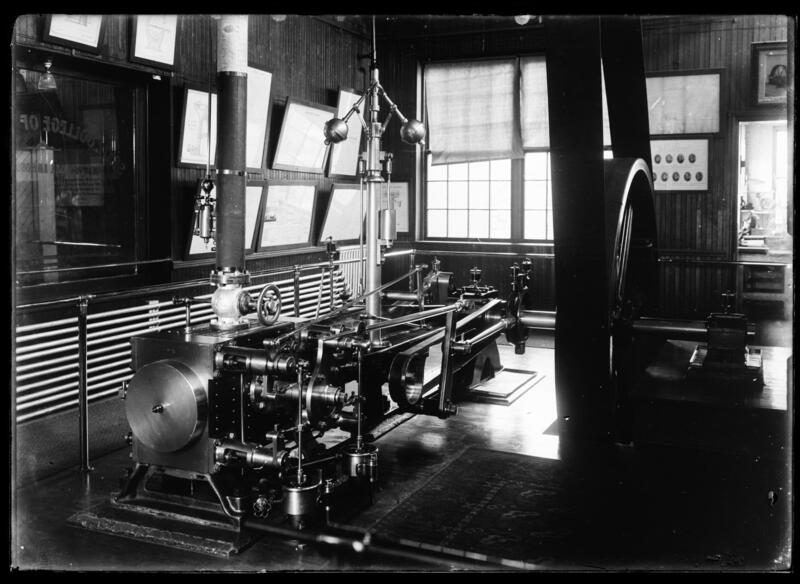 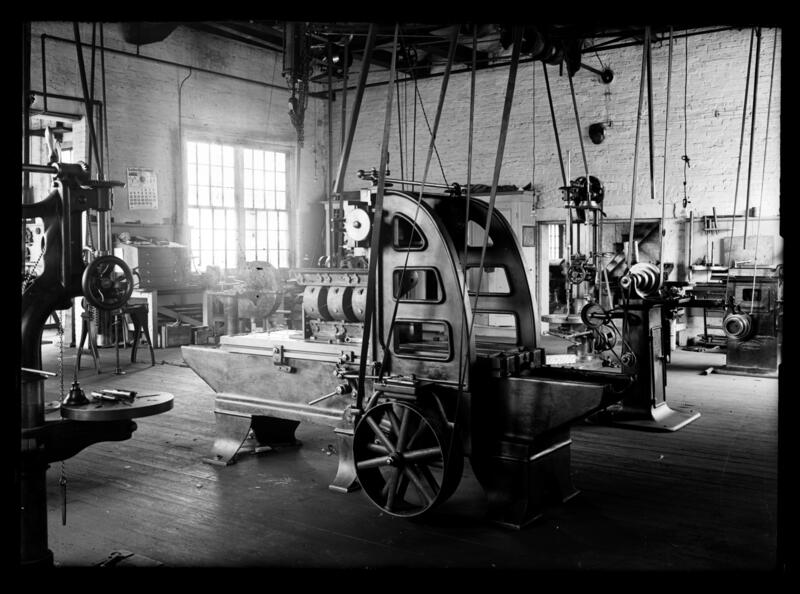 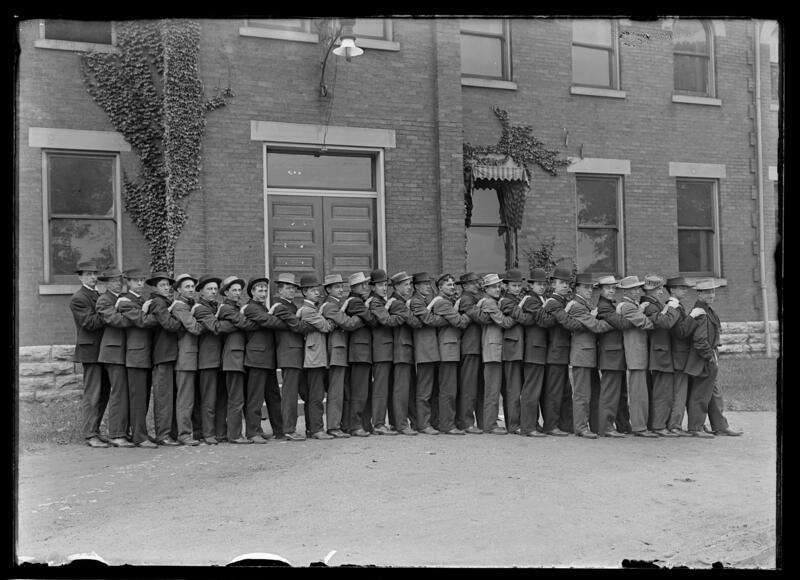 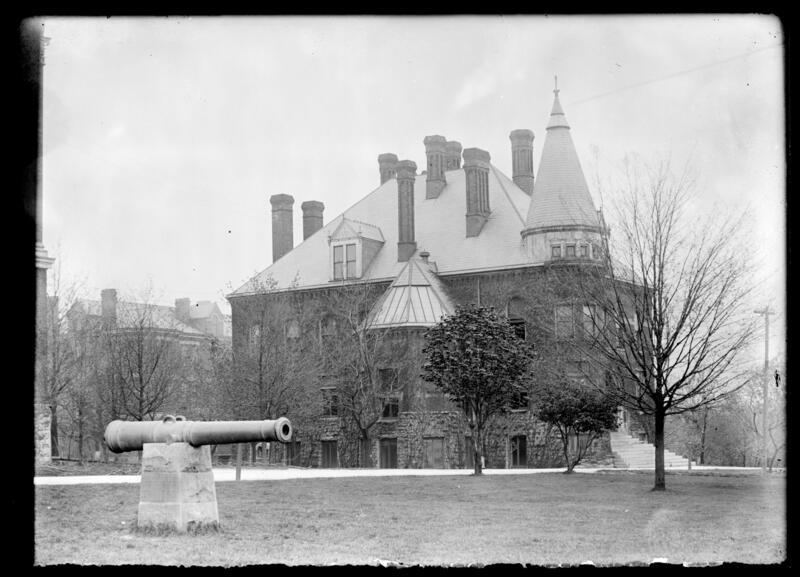 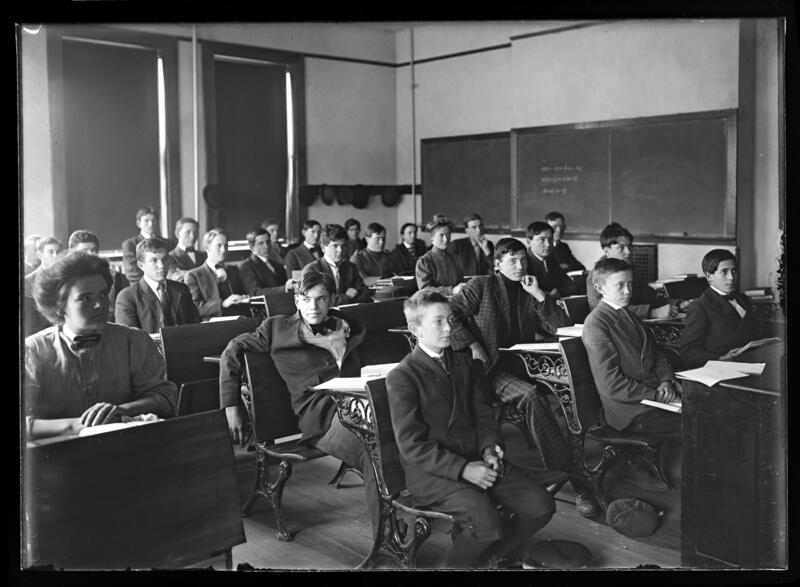 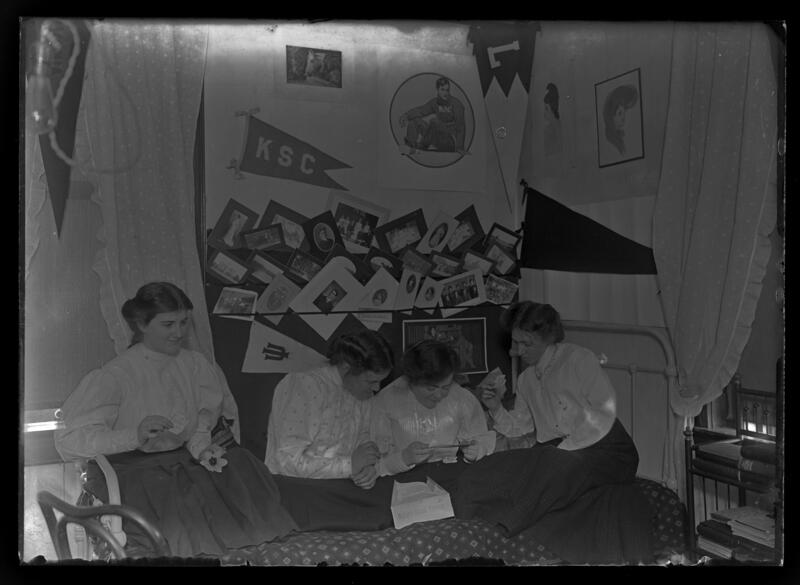 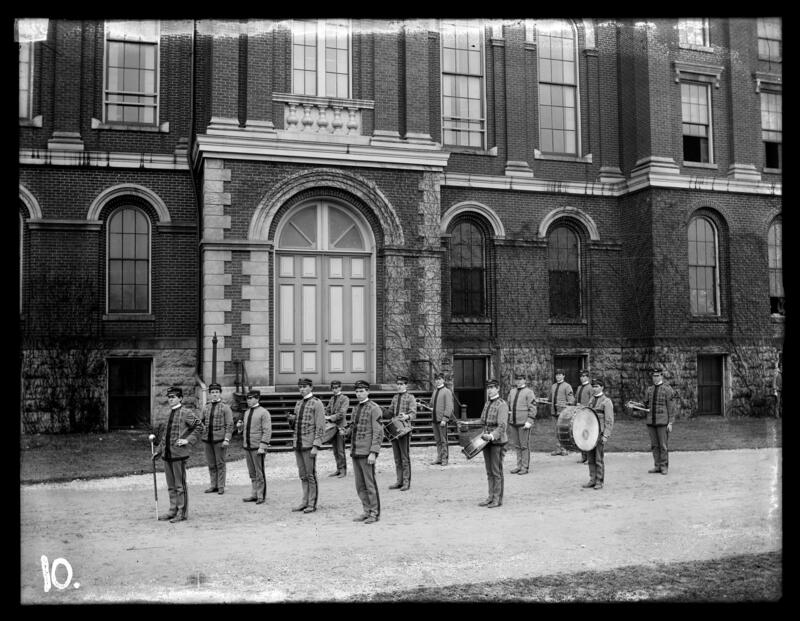 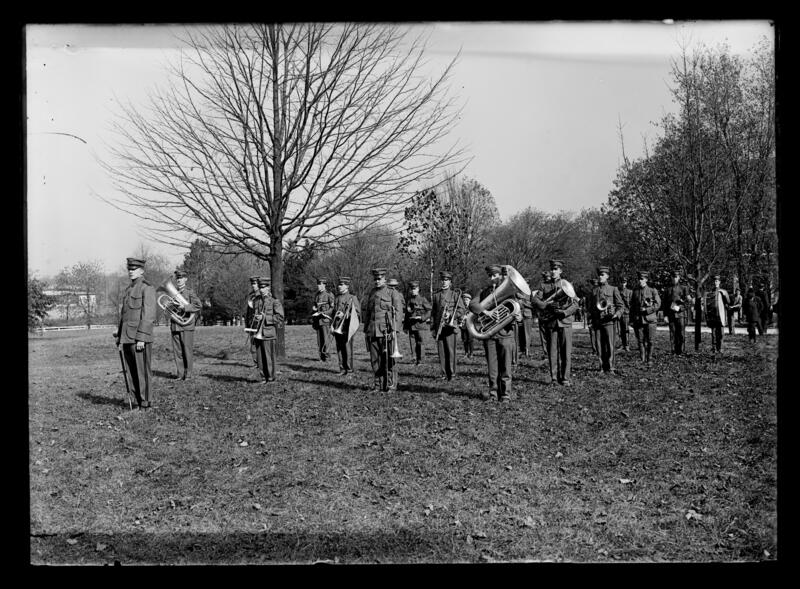 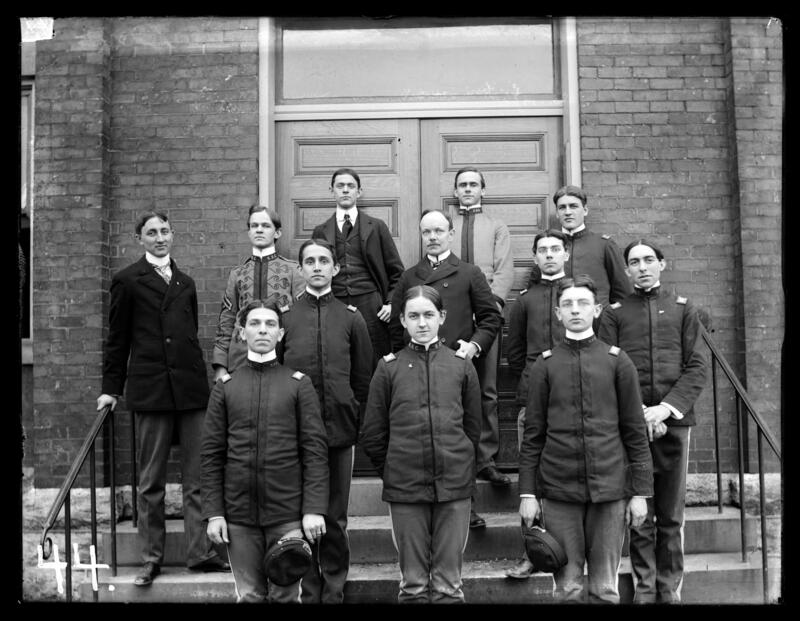 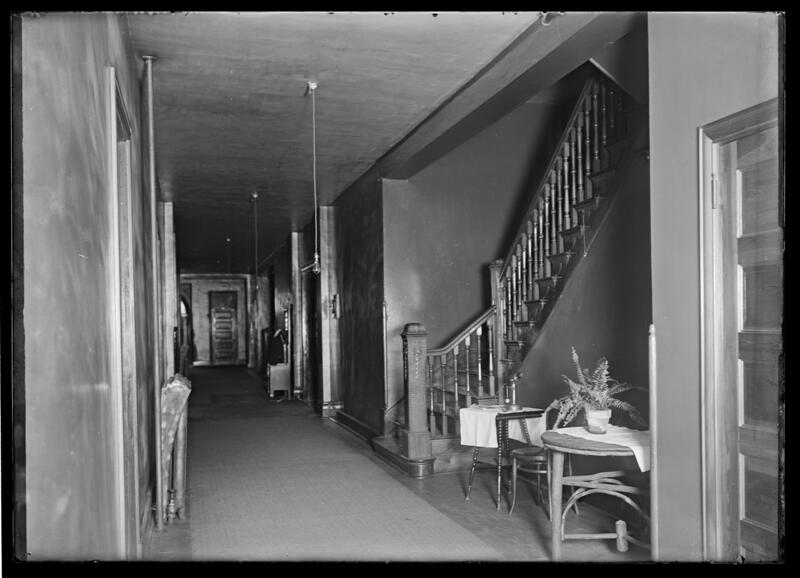 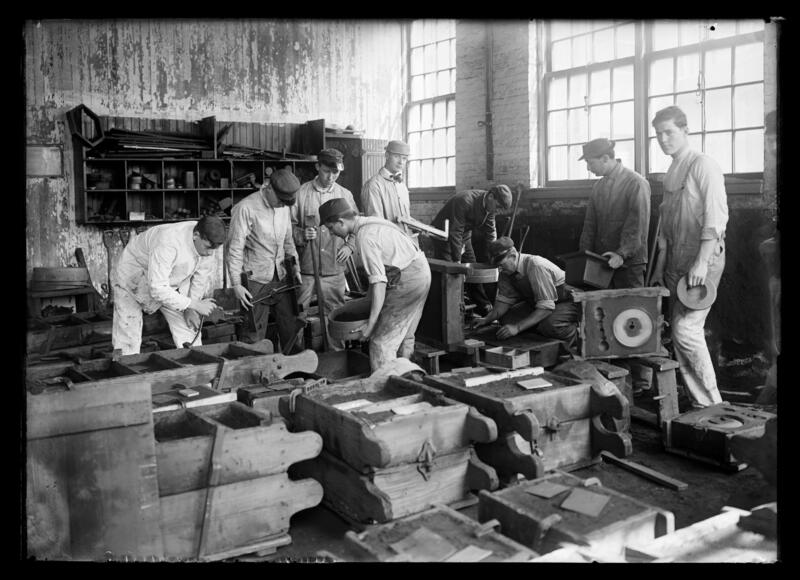 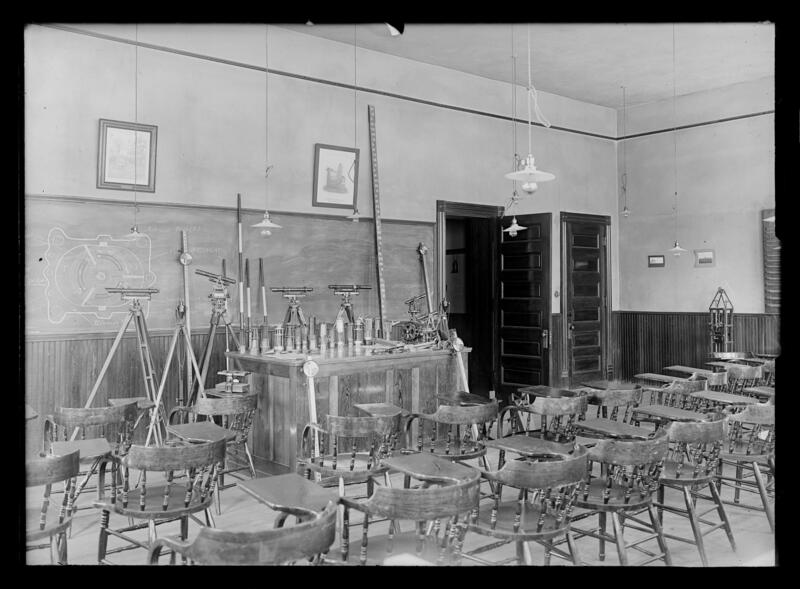 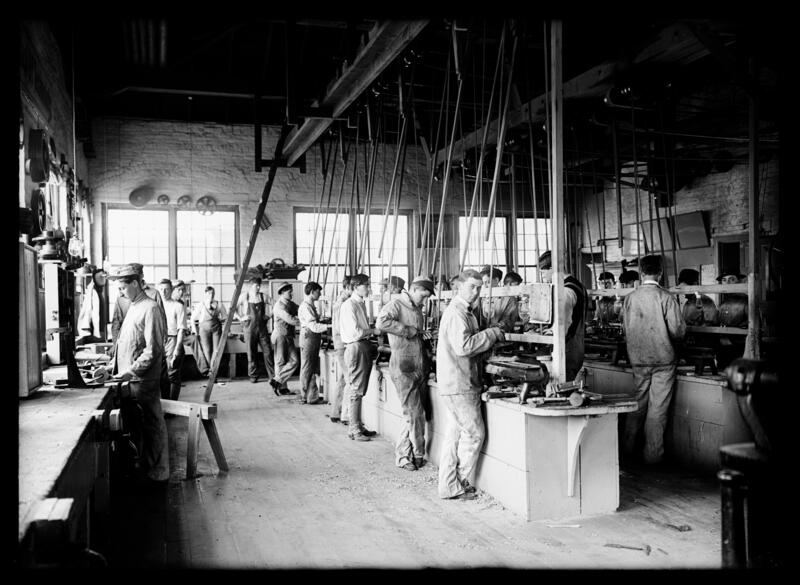 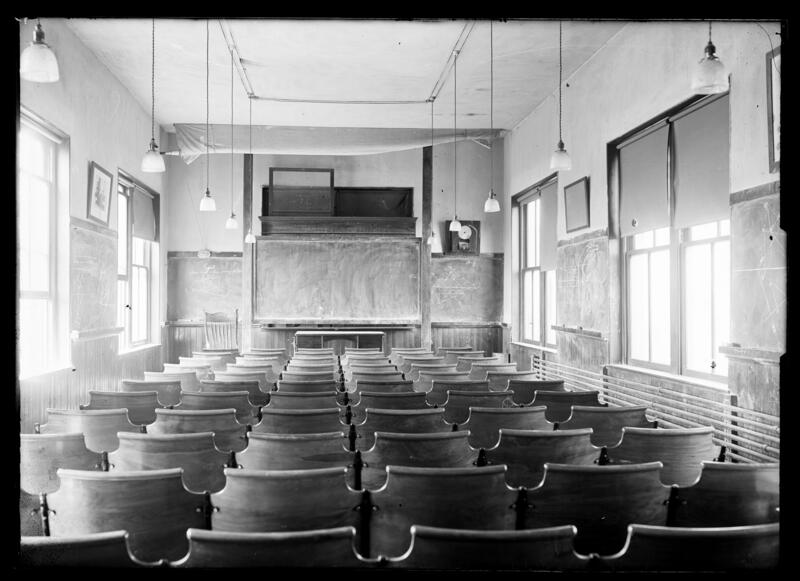 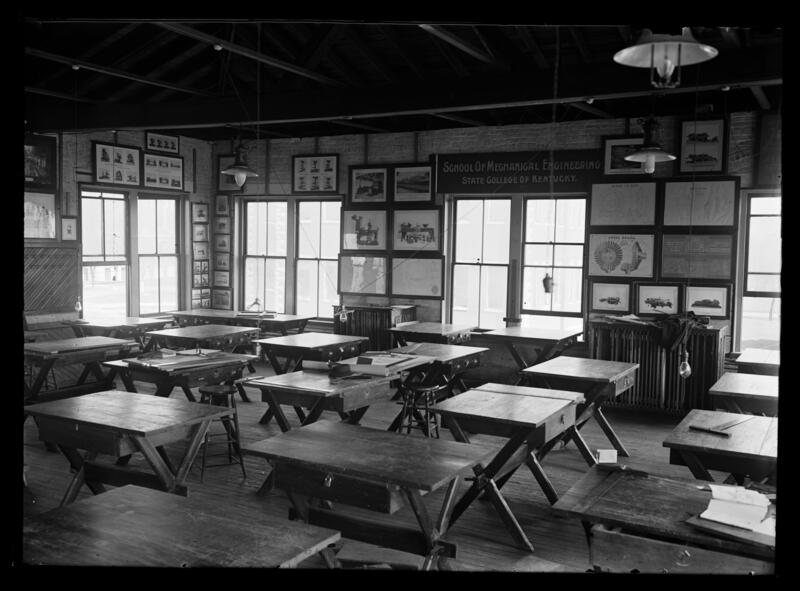 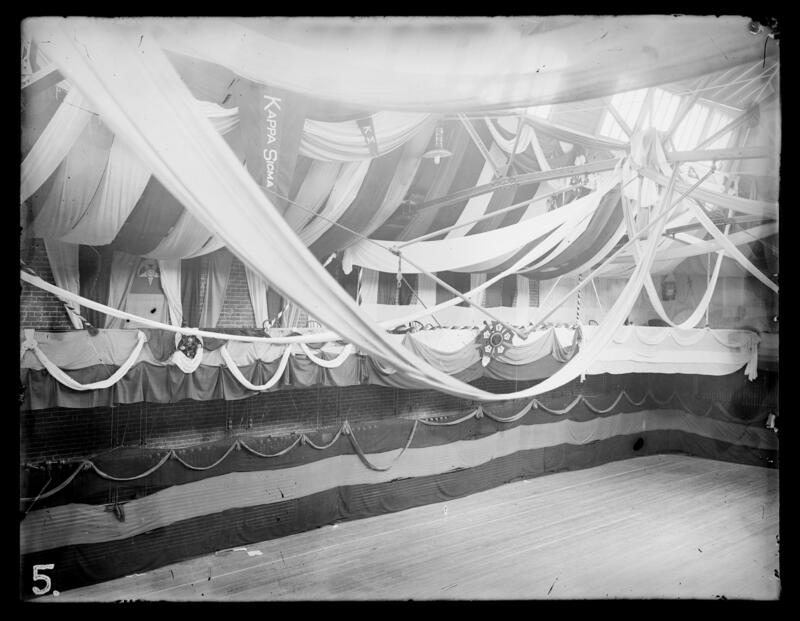 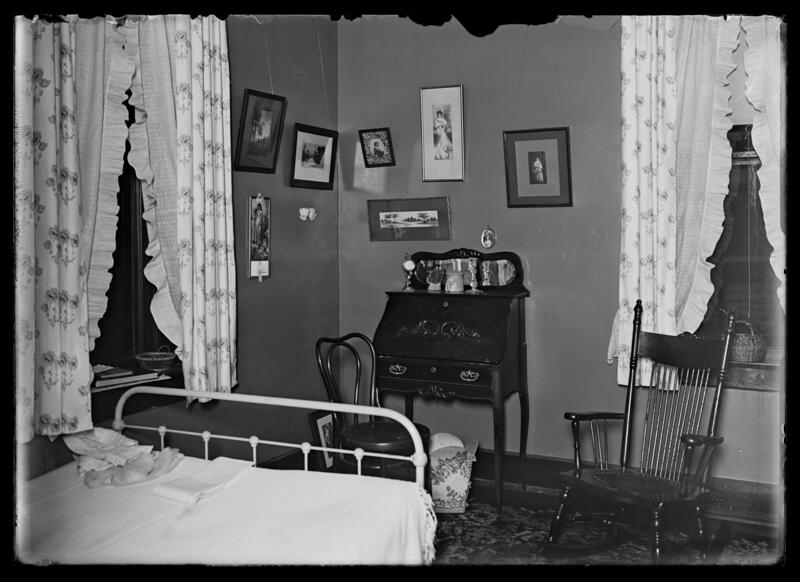 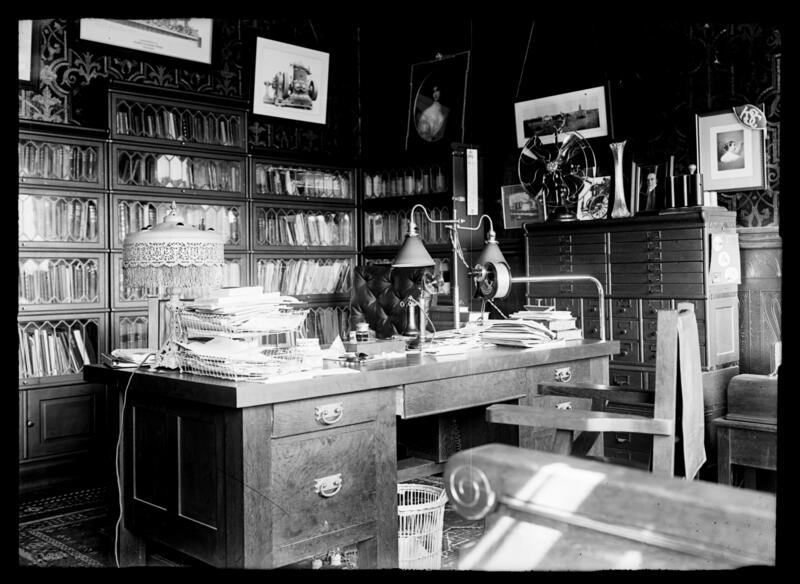 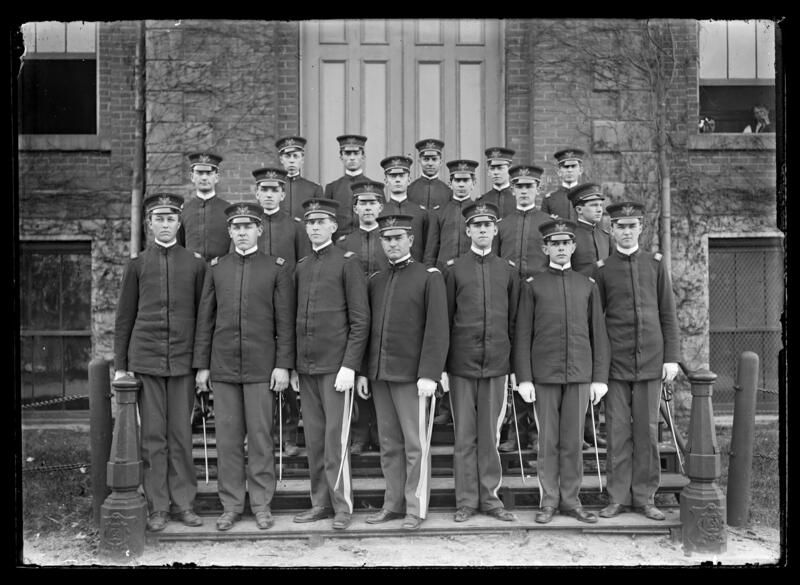 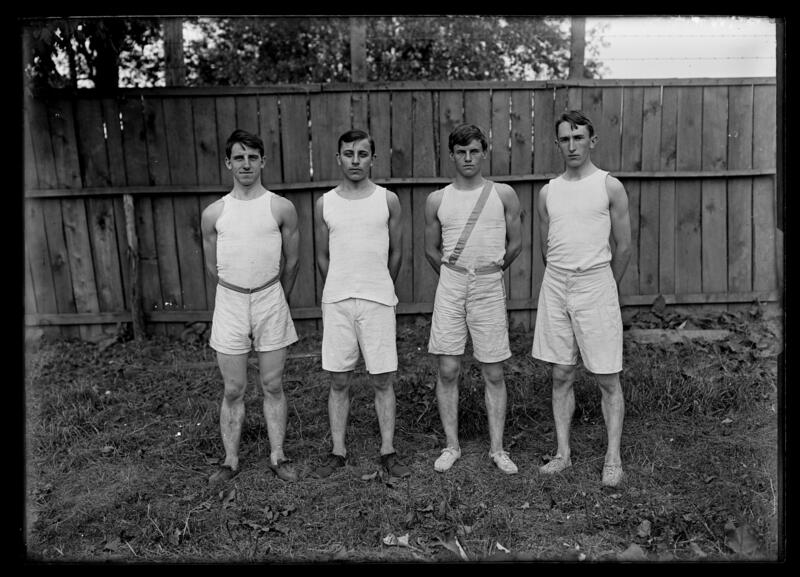 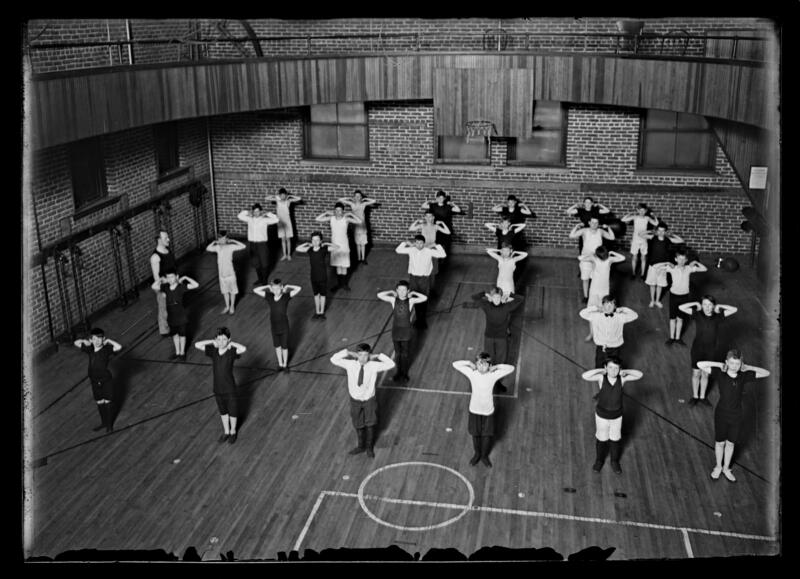 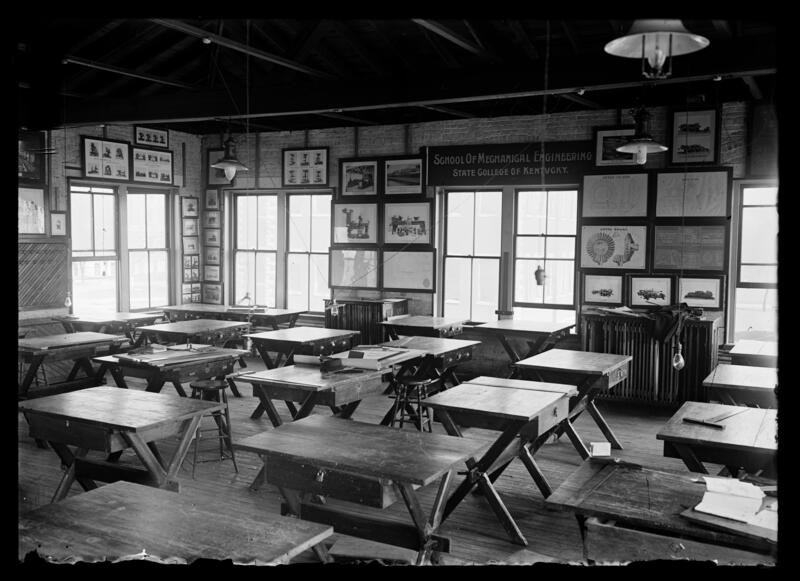 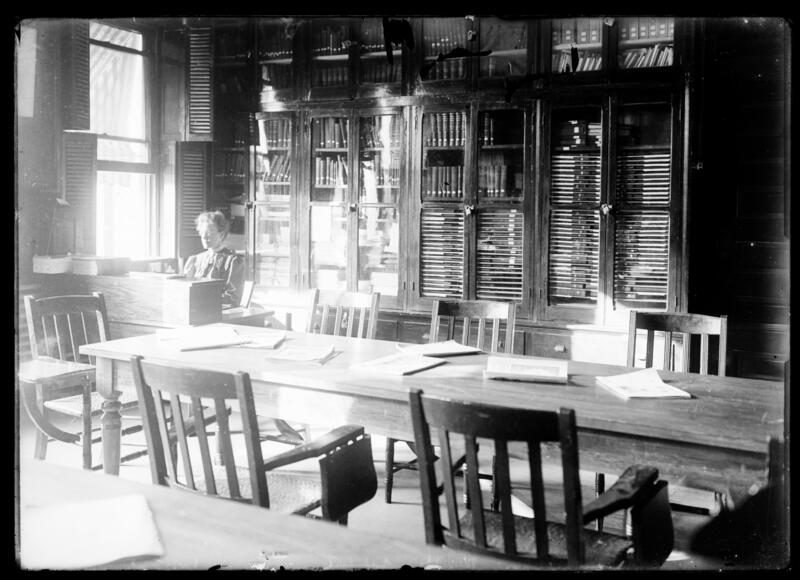 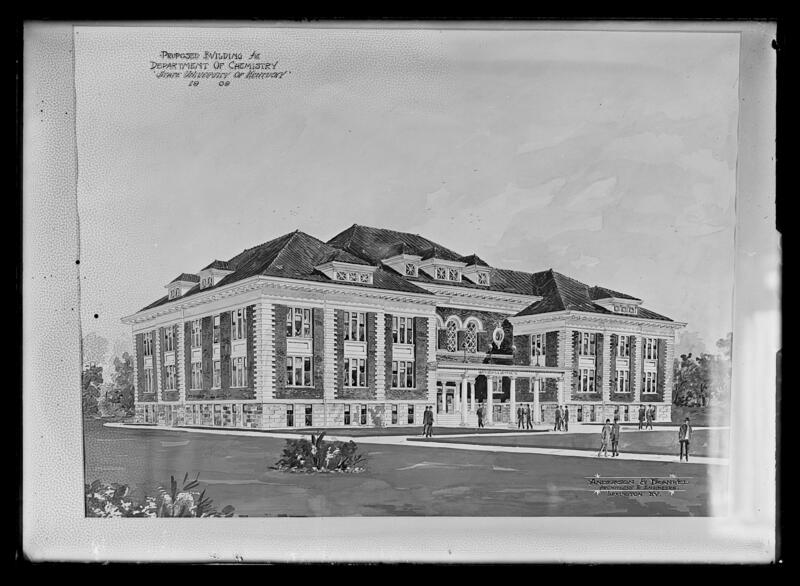 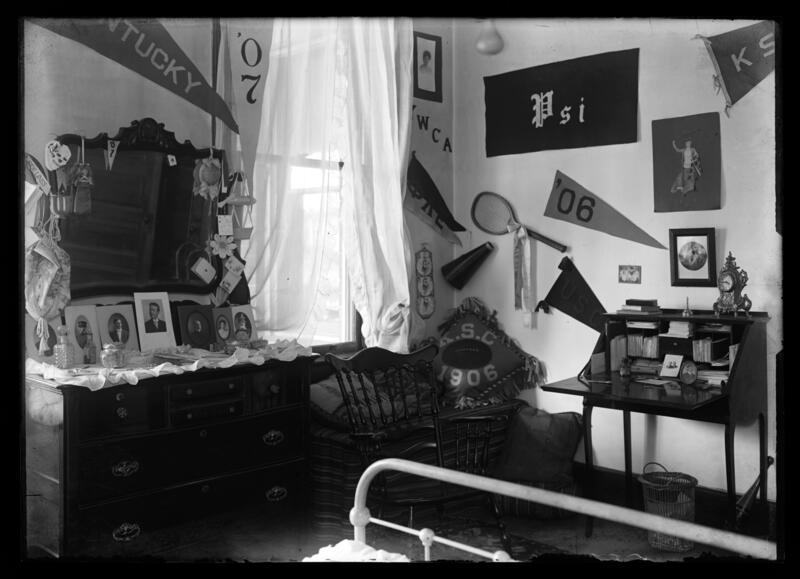 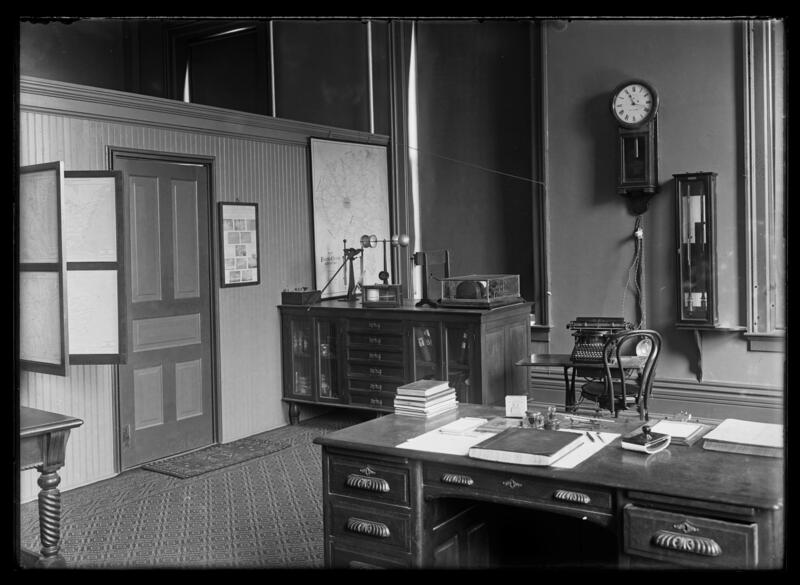 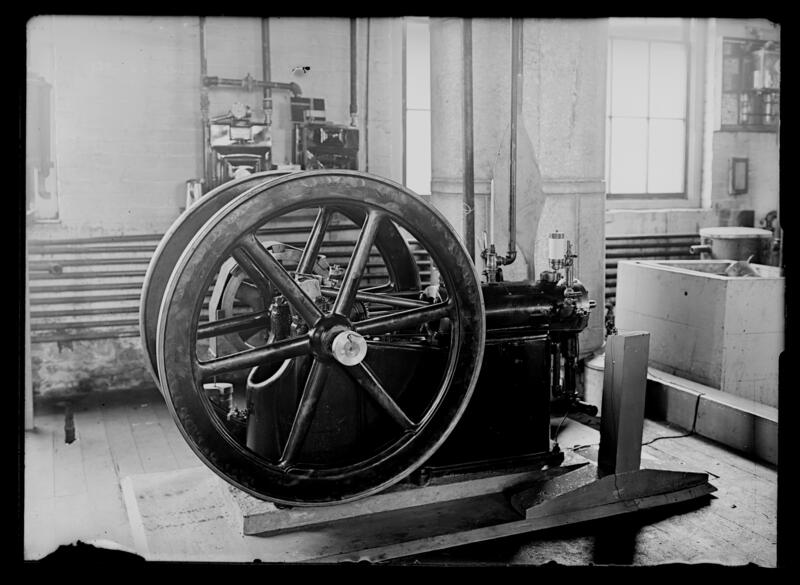 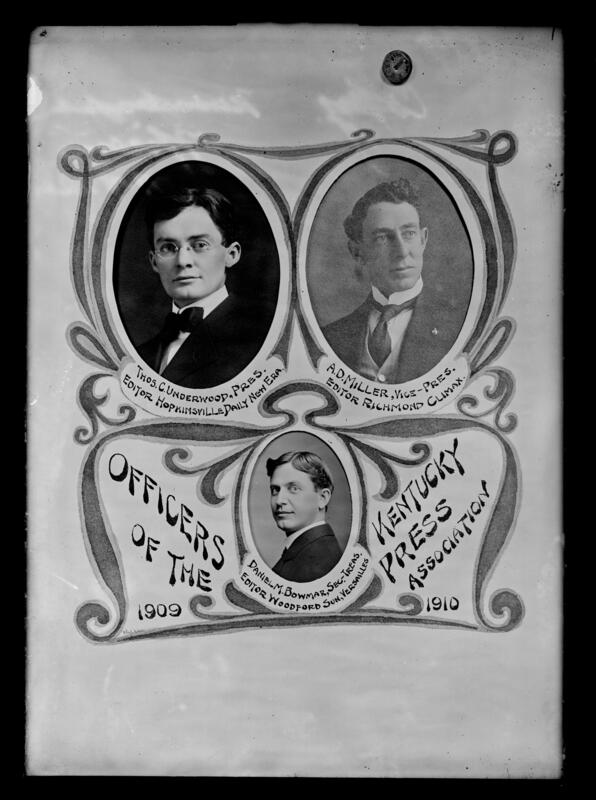 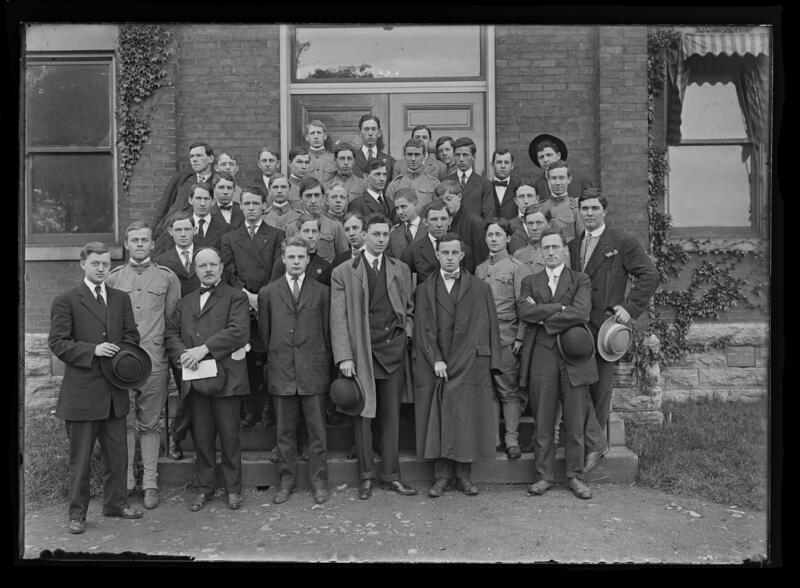 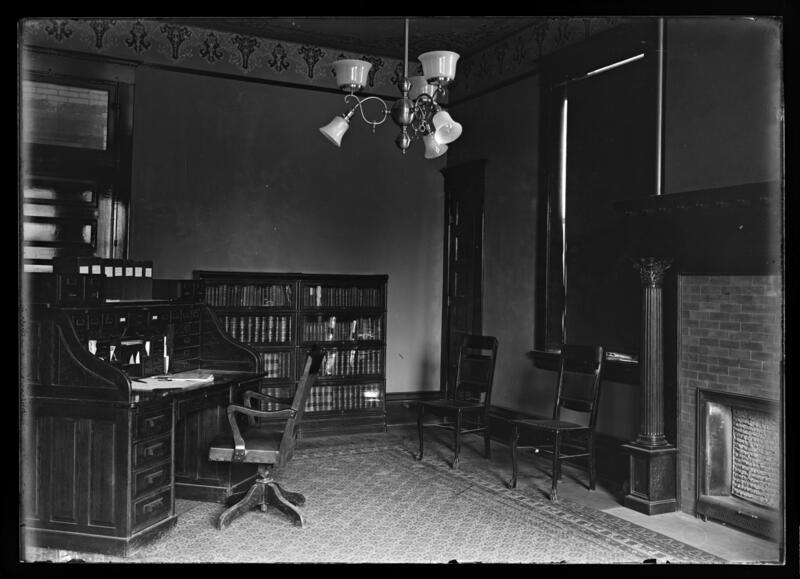 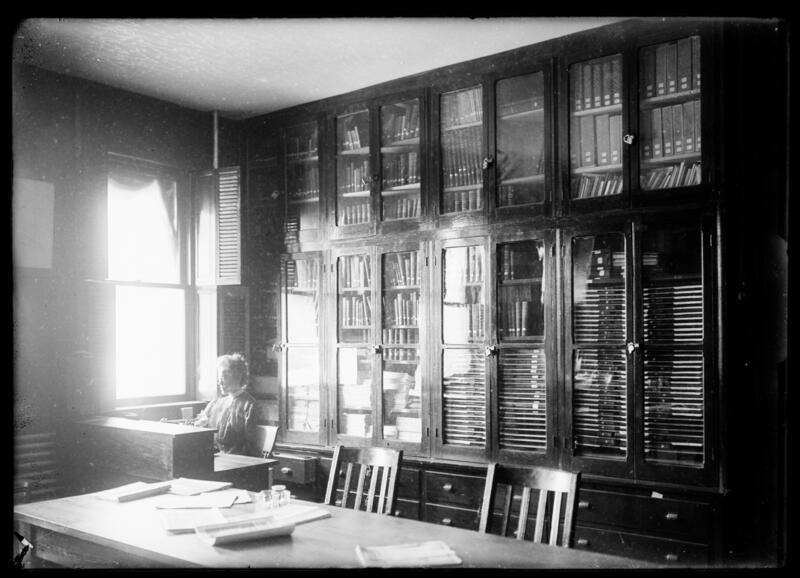 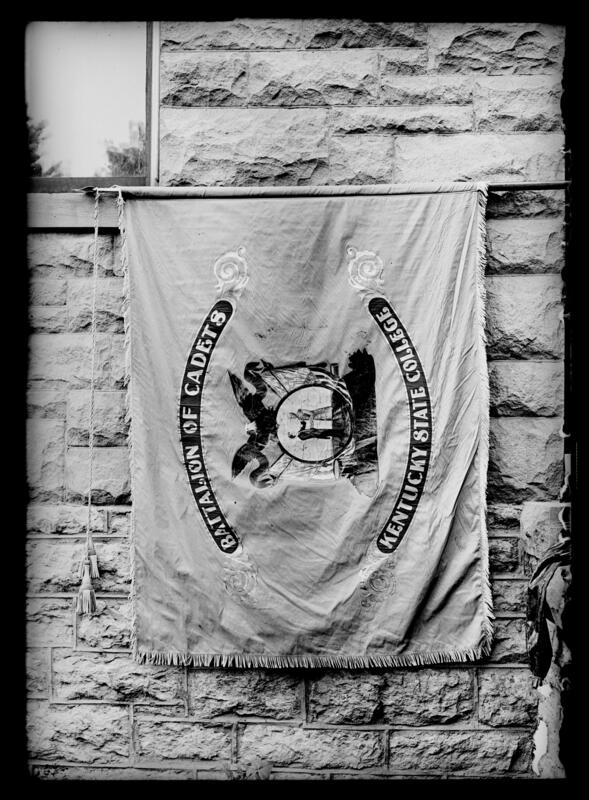 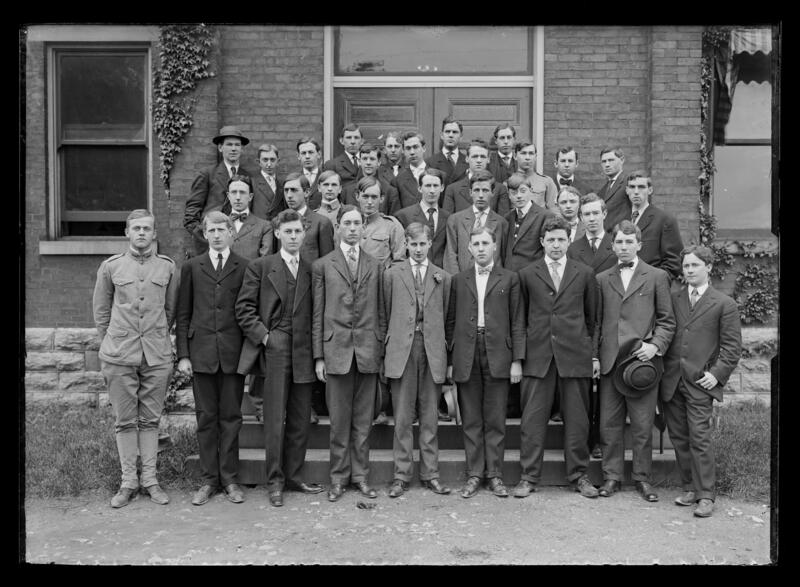 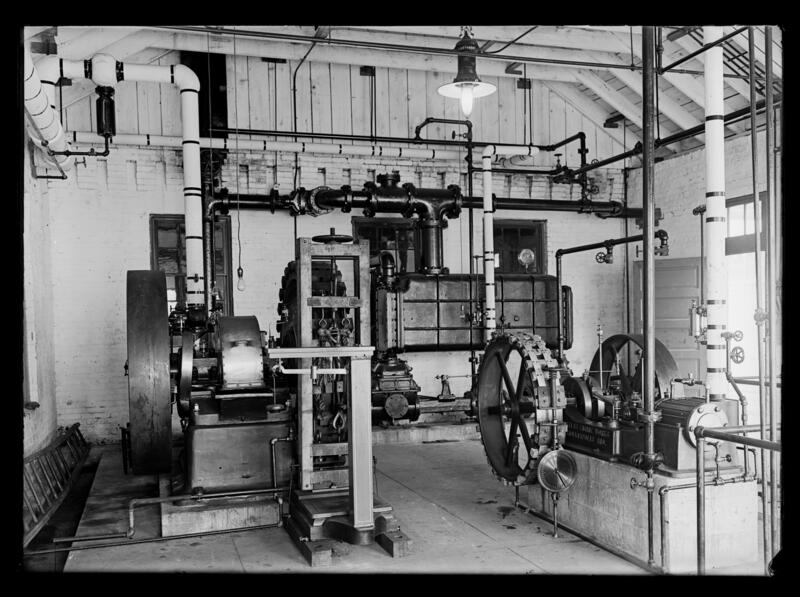 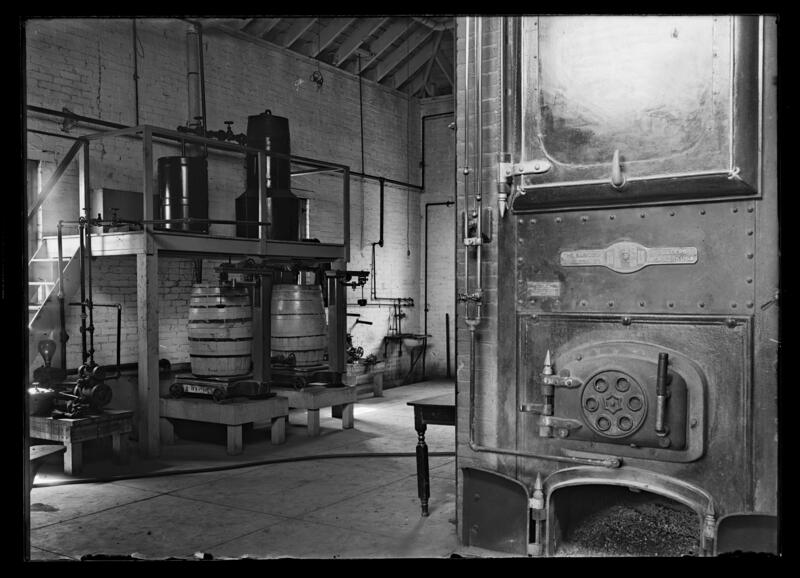 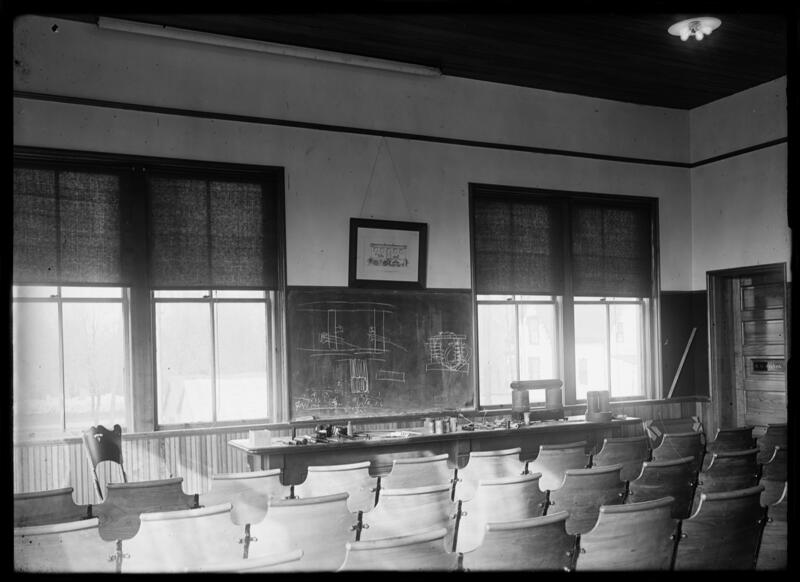 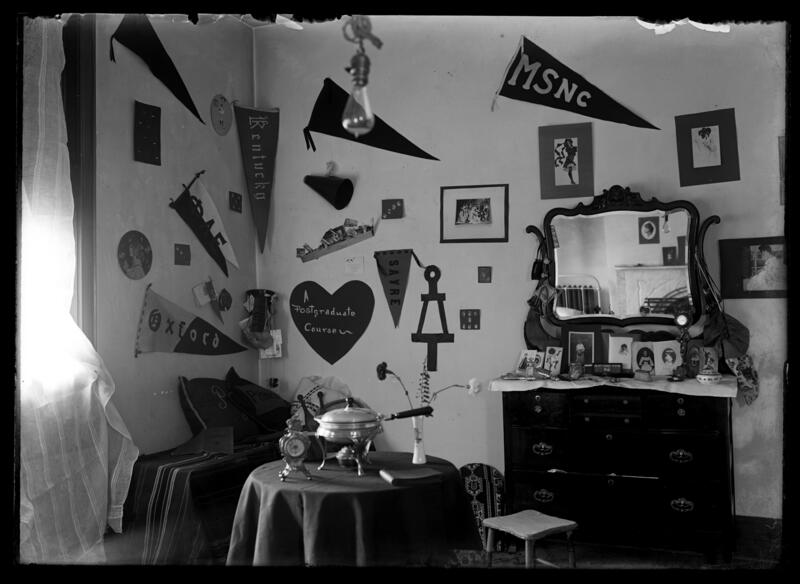 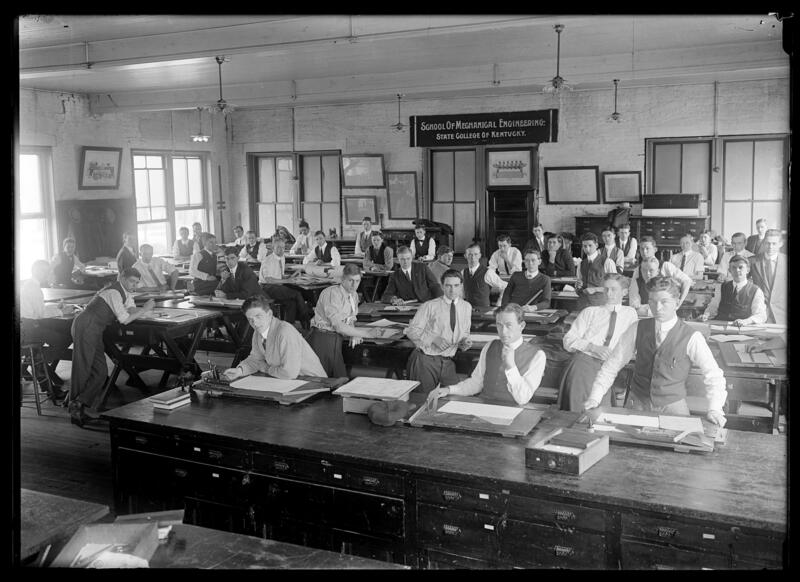 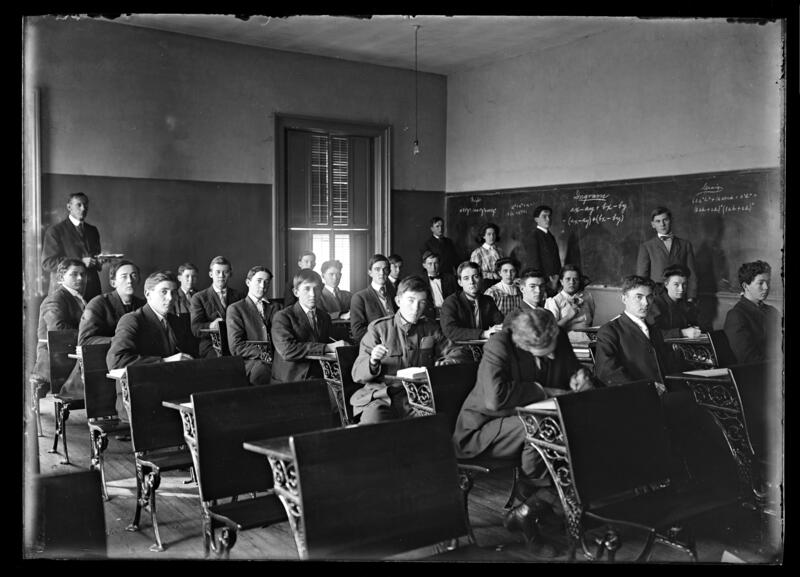 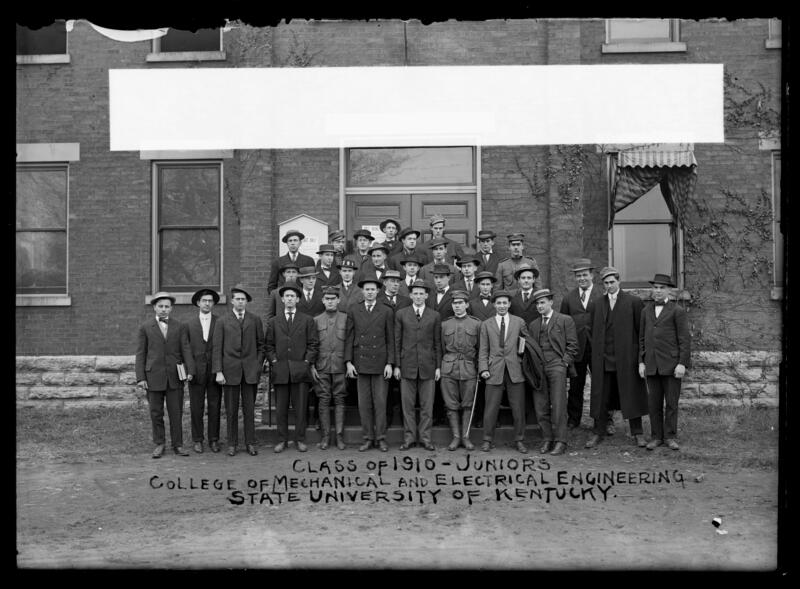 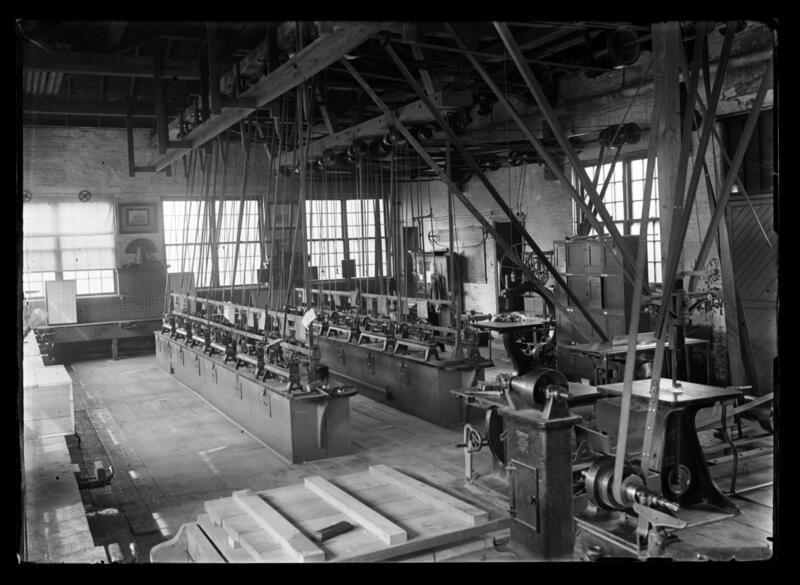 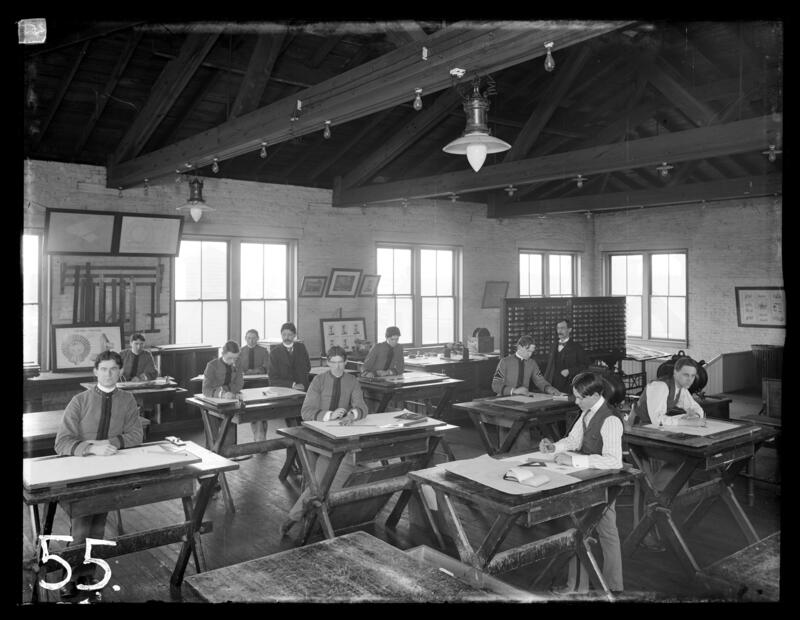 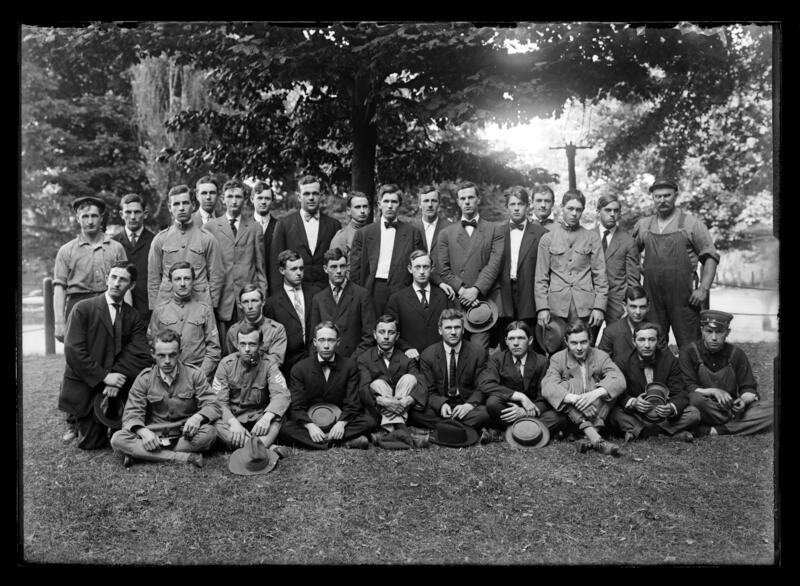 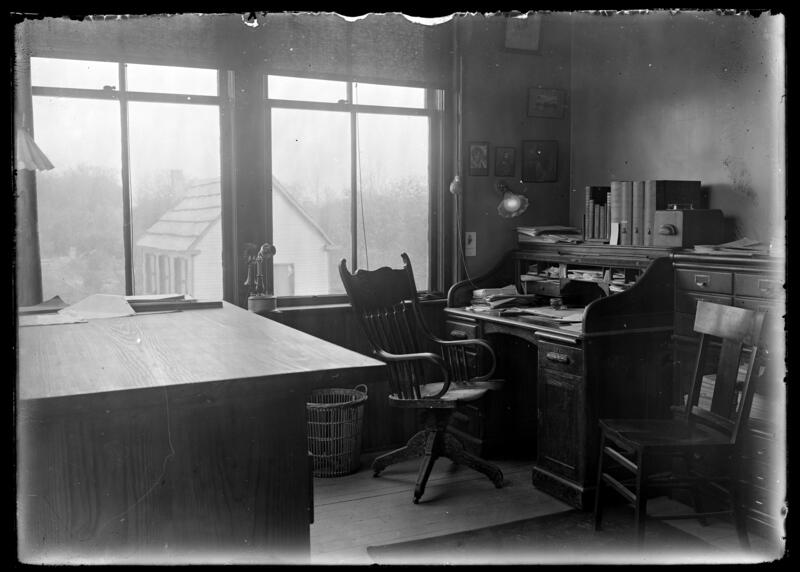 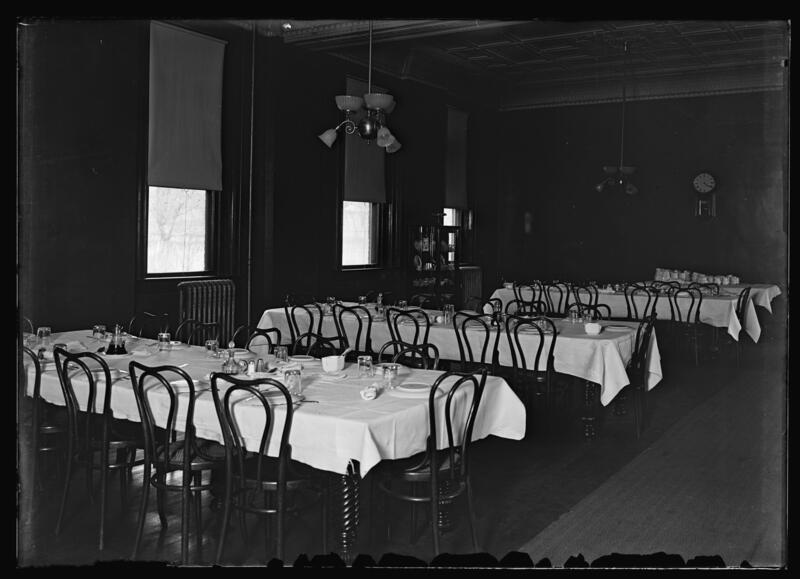 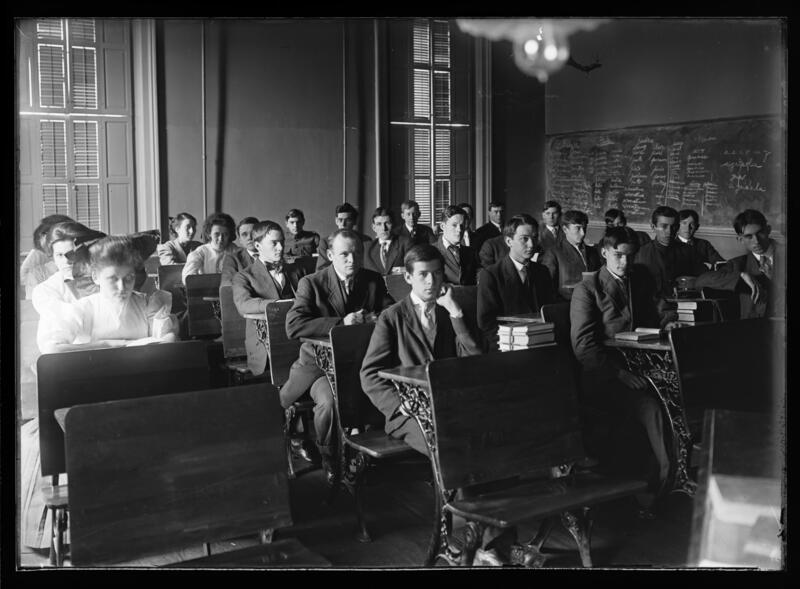 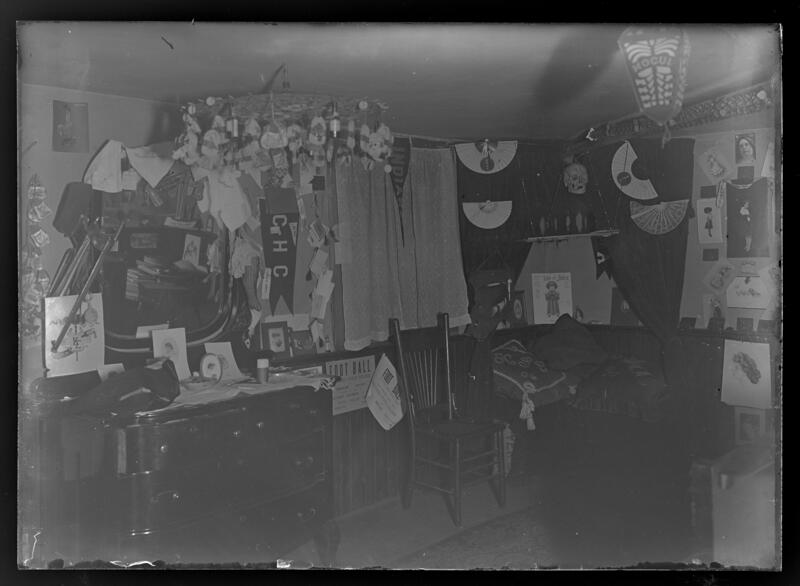 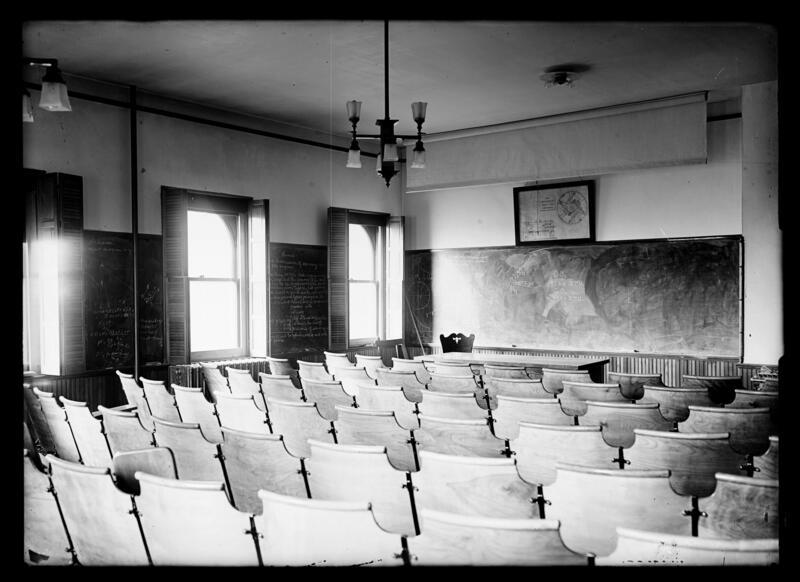 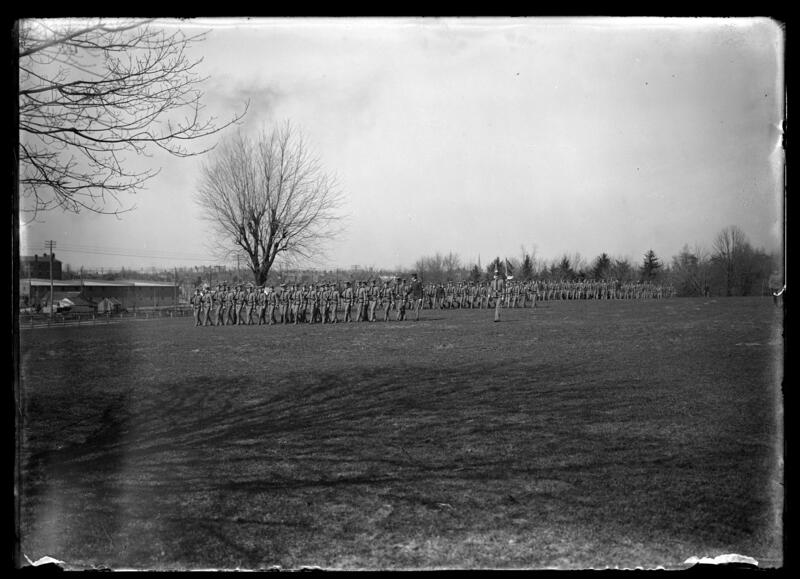 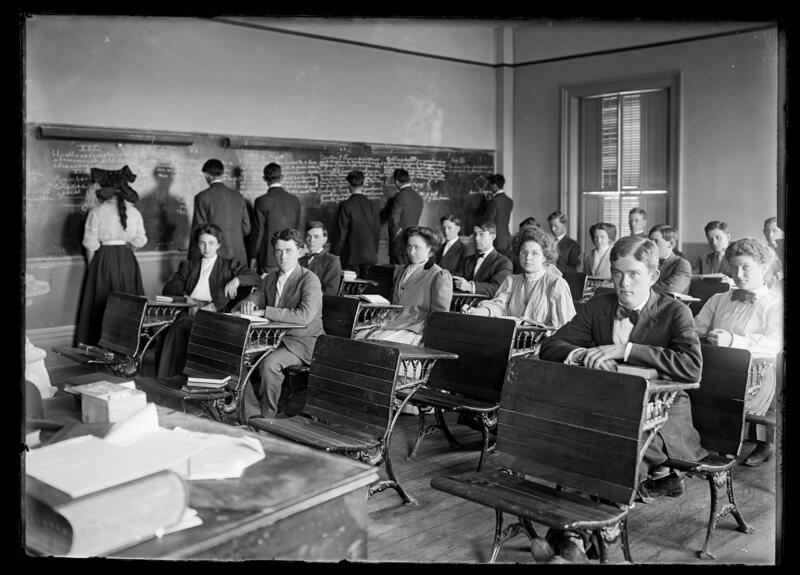 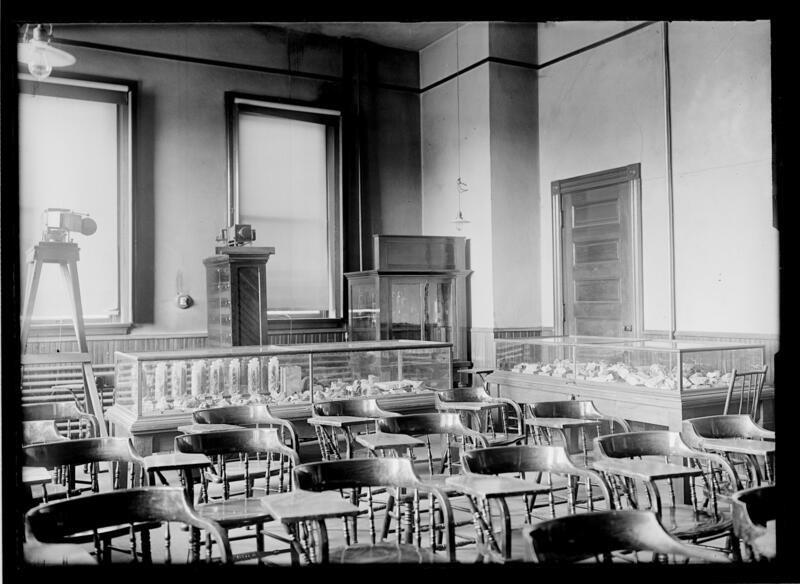 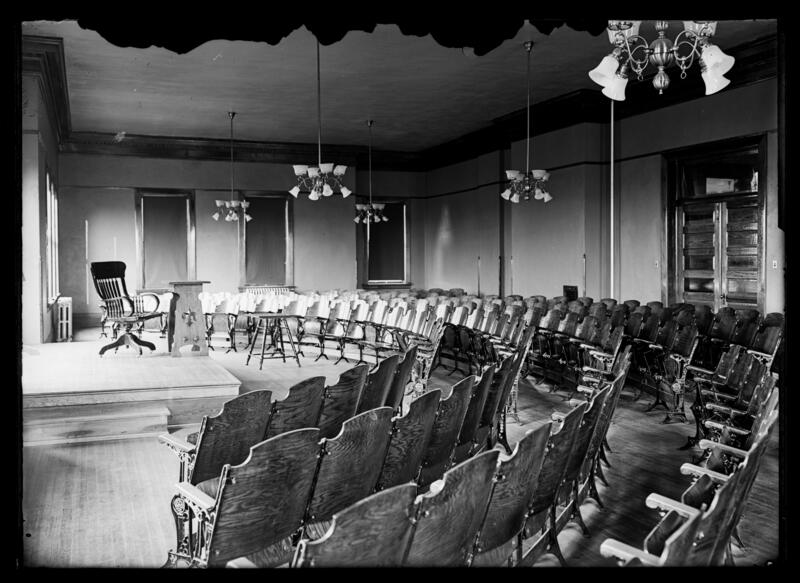 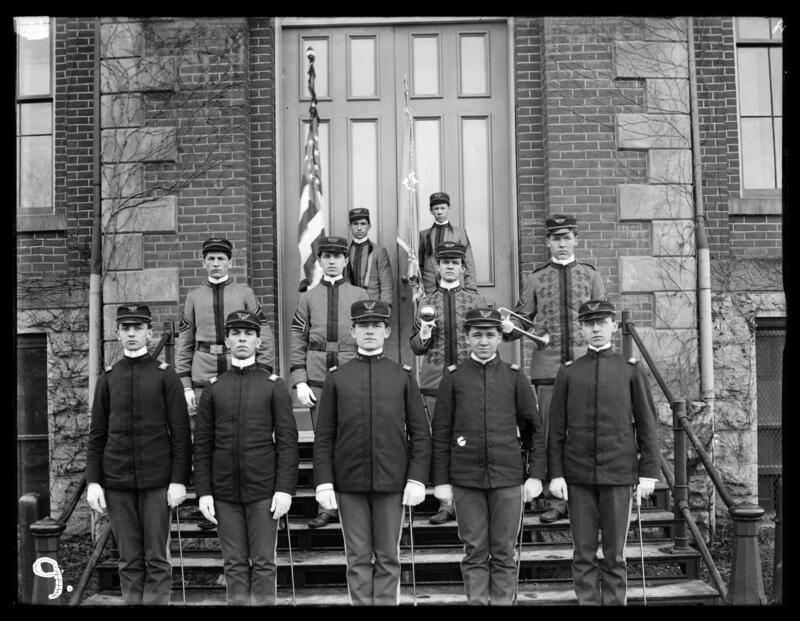 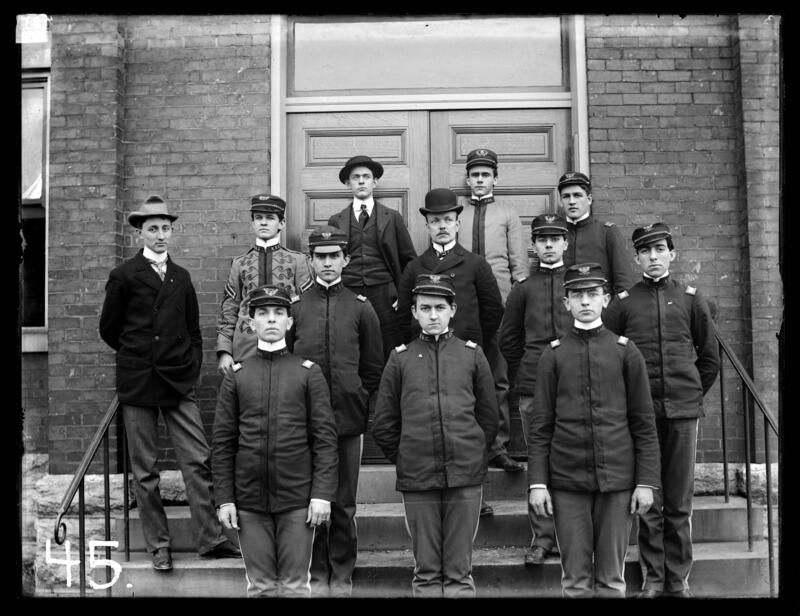 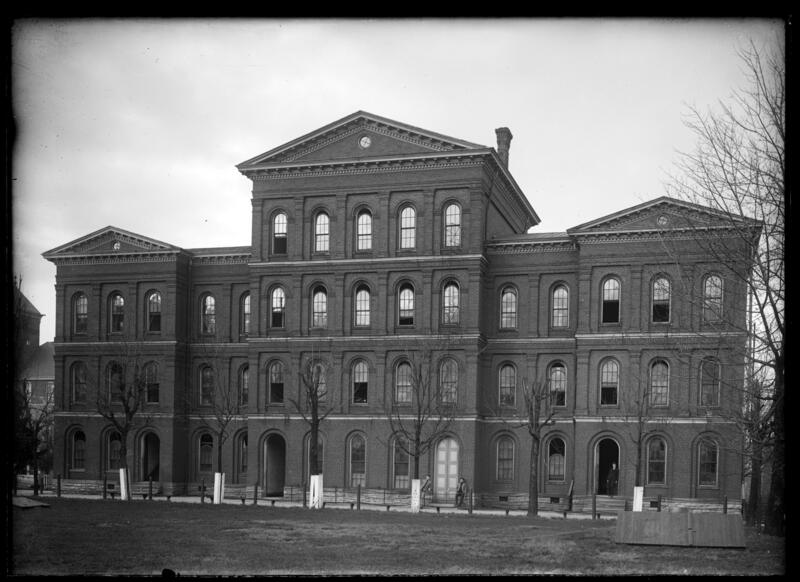 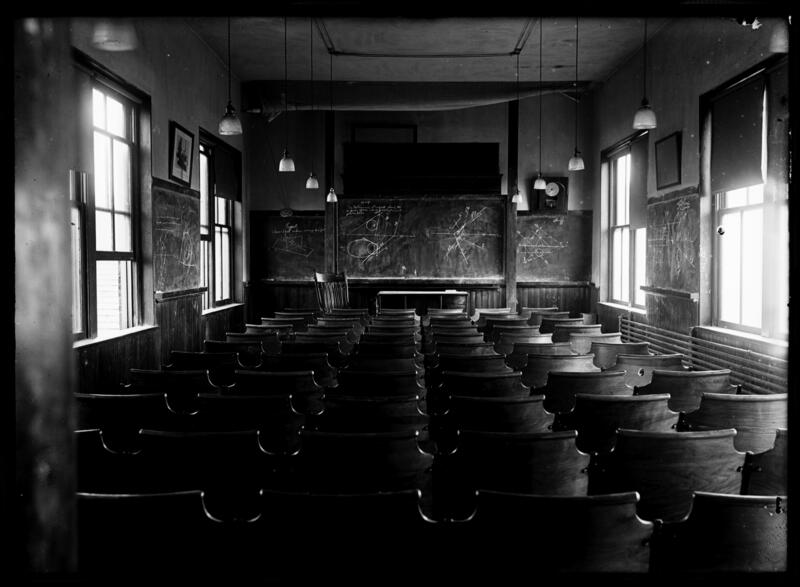 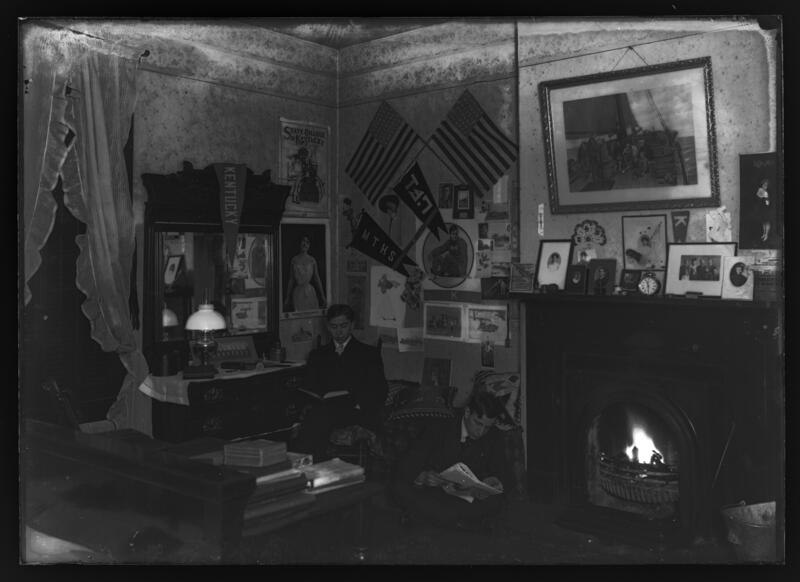 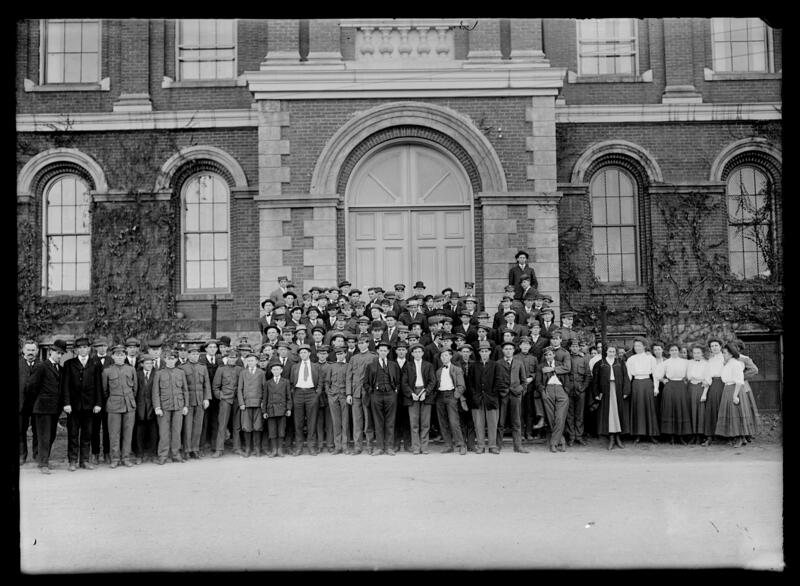 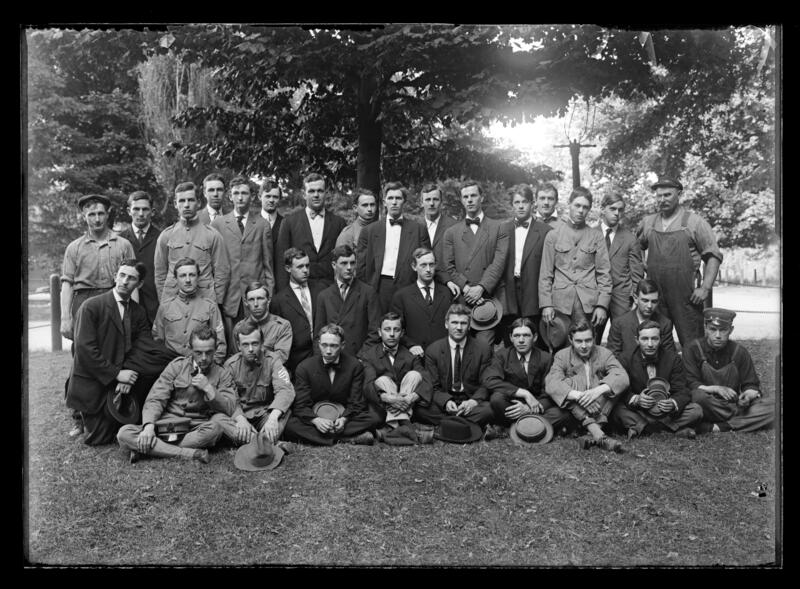 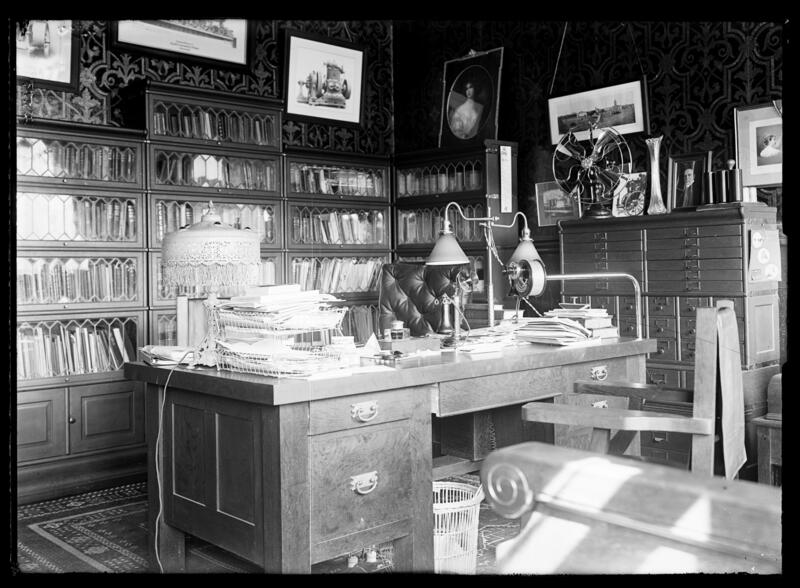 Much of the collection focuses on life around University of Kentucky, documenting classrooms, experiments, and military life in the university. 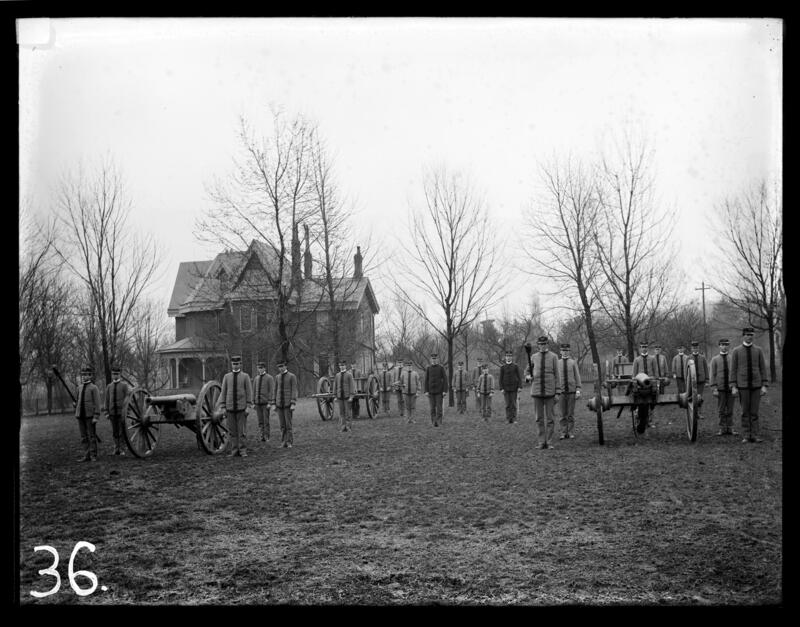 A small part of the collection show the various military companies in formation, practicing drills, or the life of individuals in the companies. 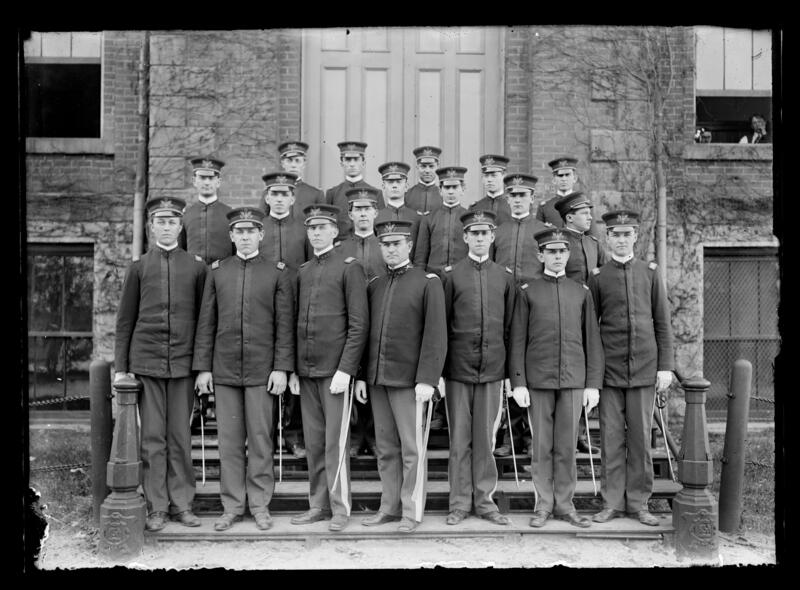 There are also negatives of men enrolled in the military. 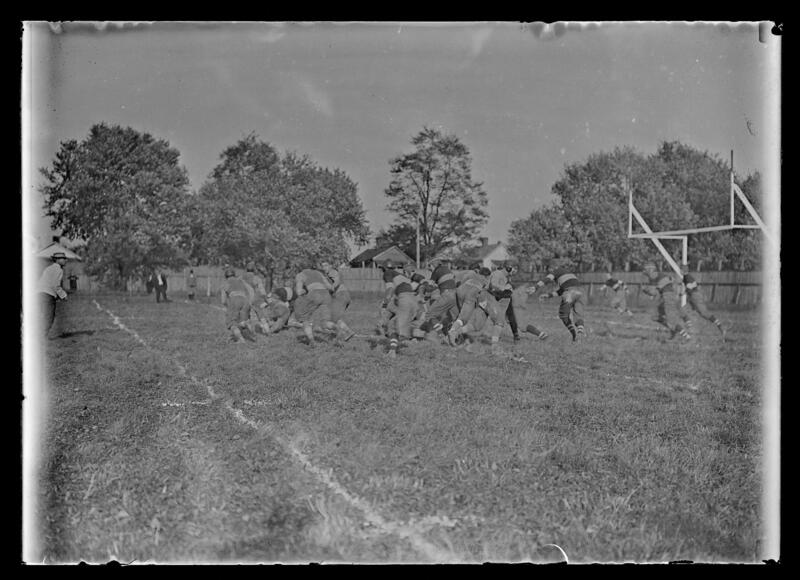 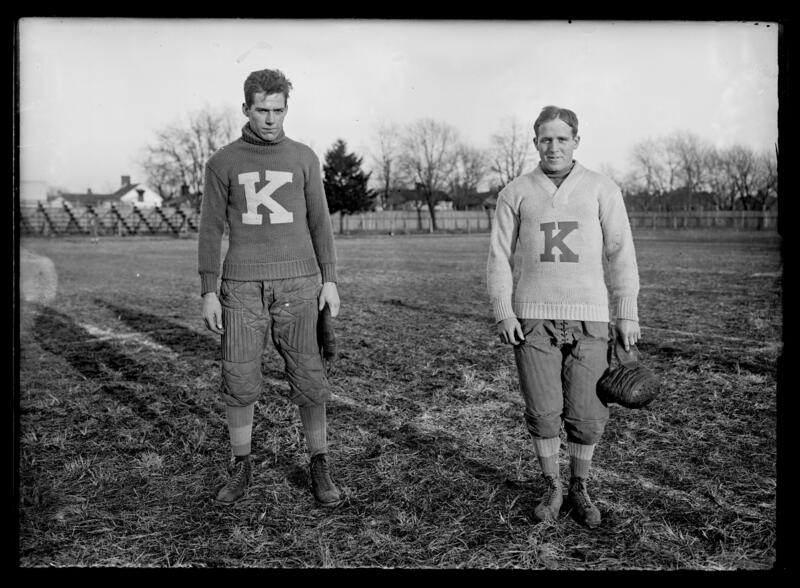 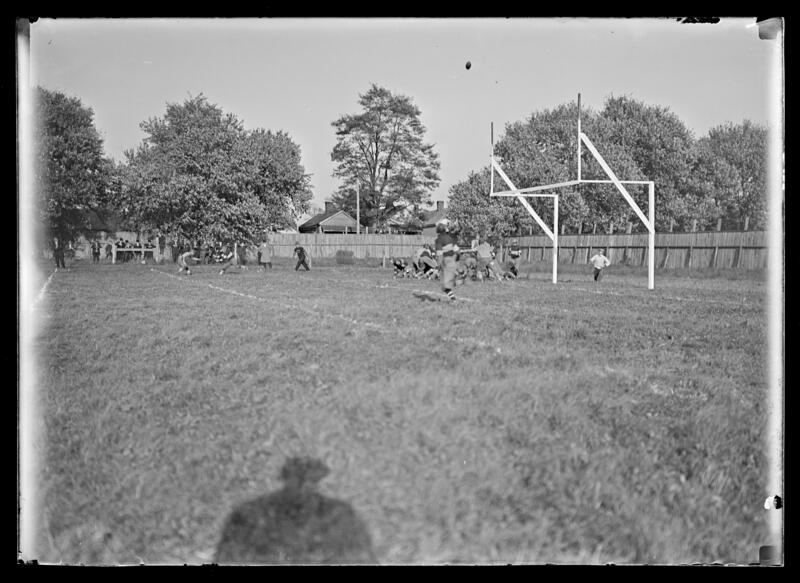 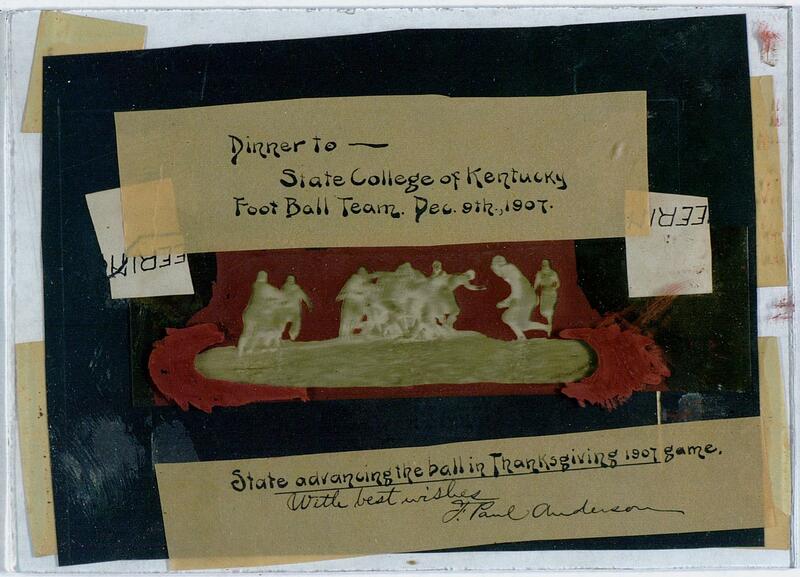 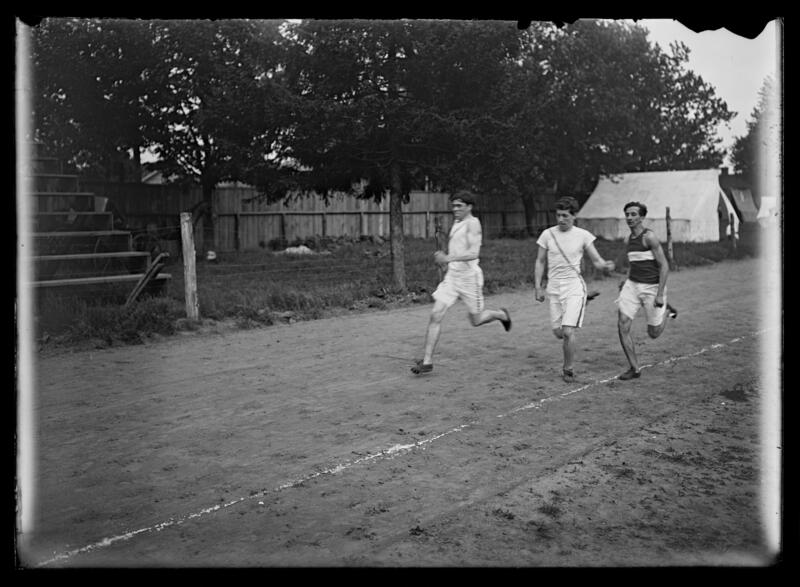 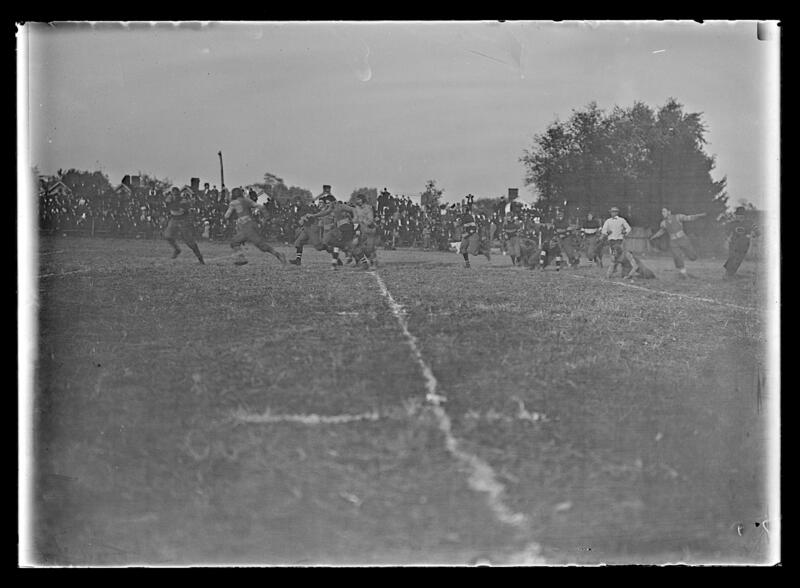 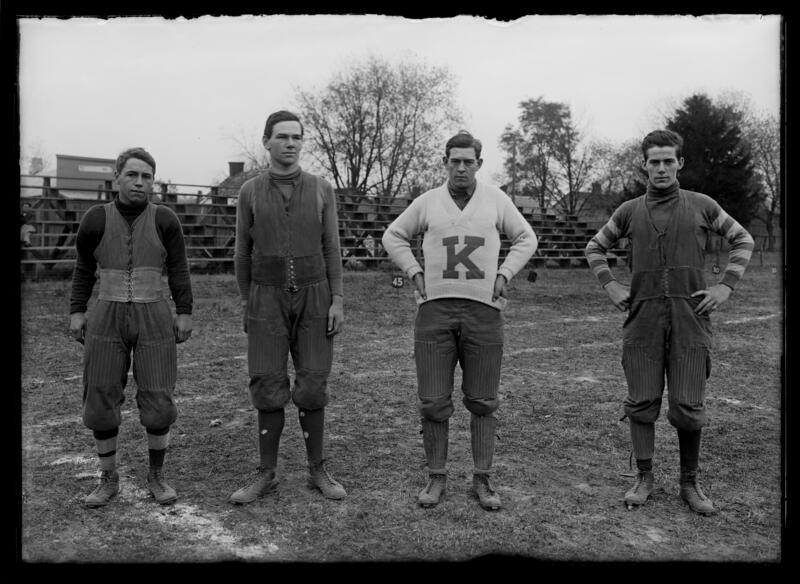 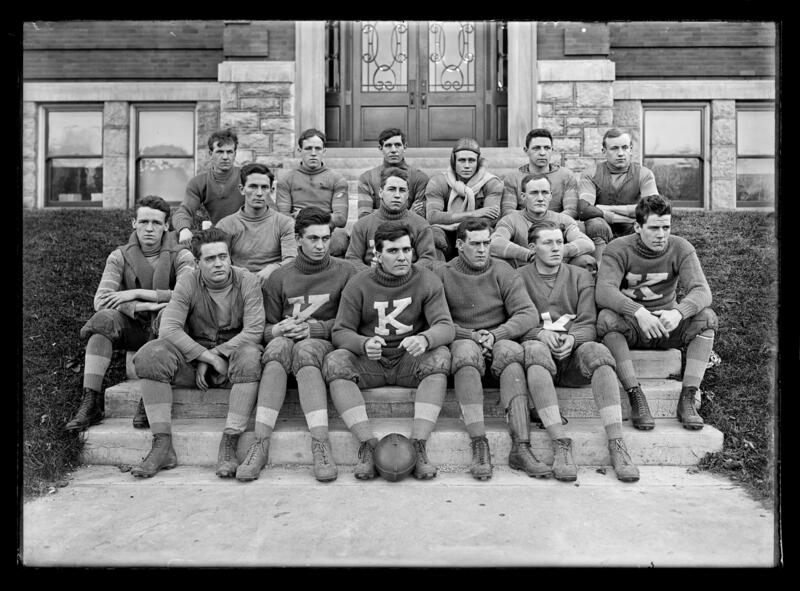 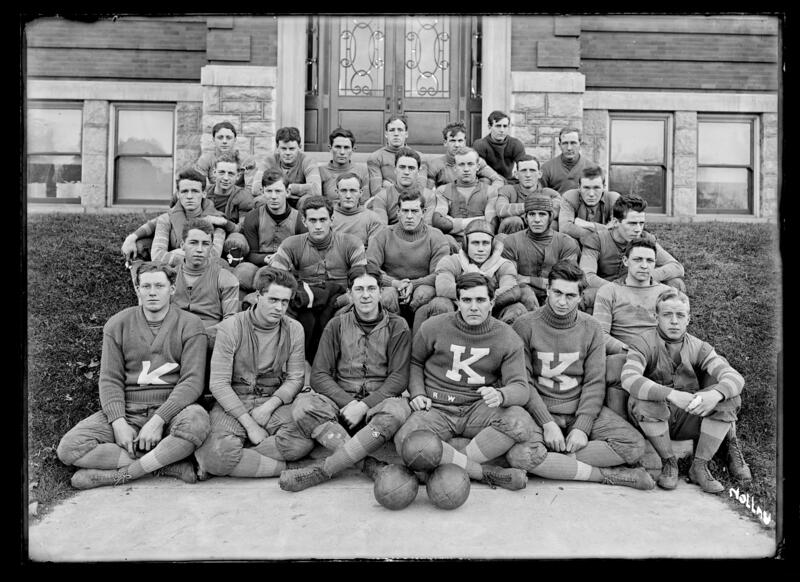 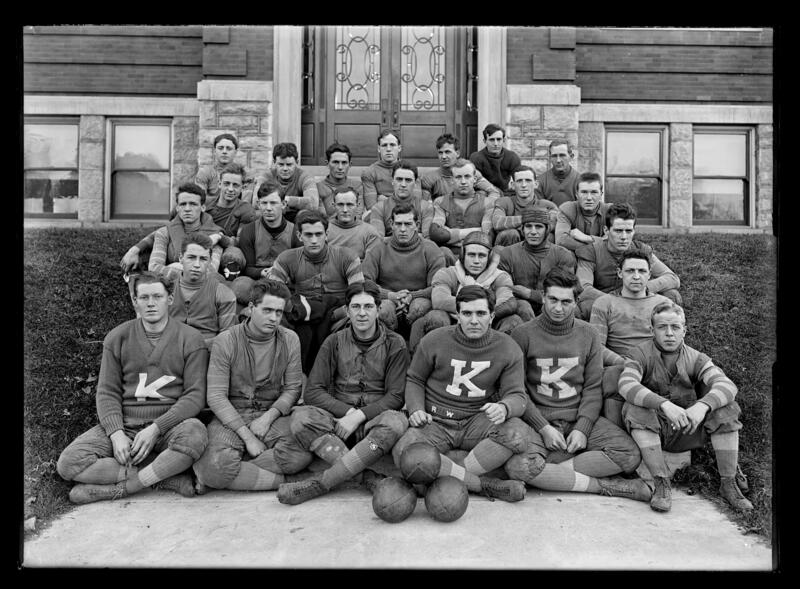 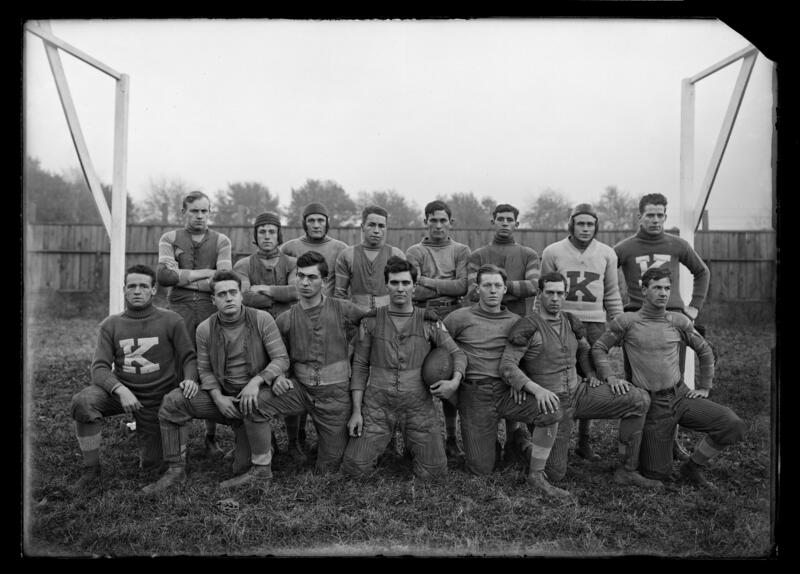 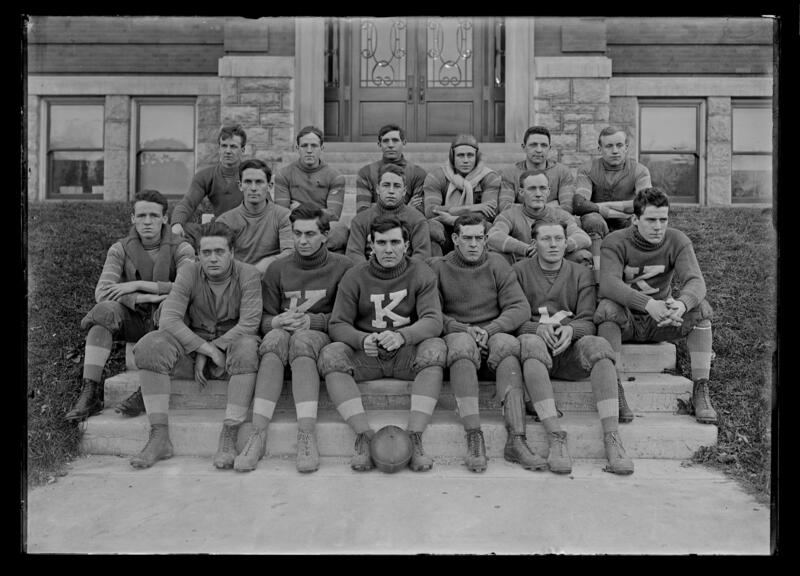 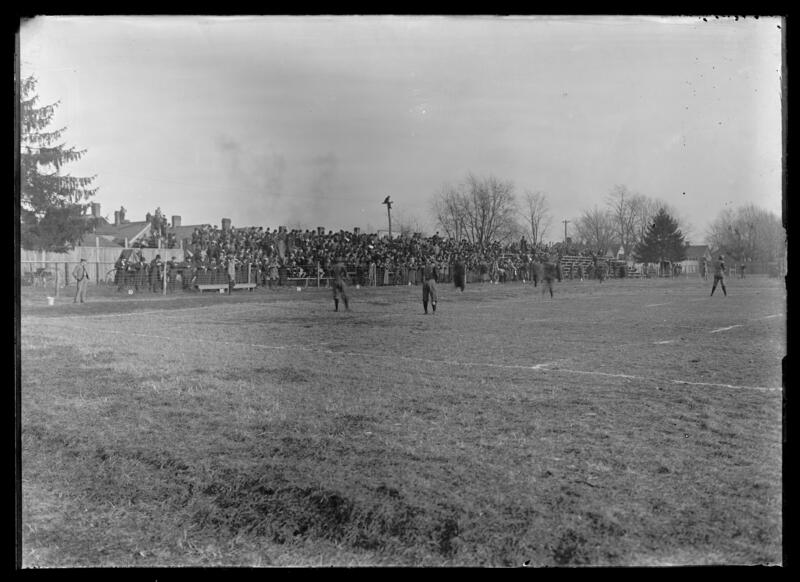 Football is a well documented sport in this collection, with photographs from various games played by University of Kentucky. 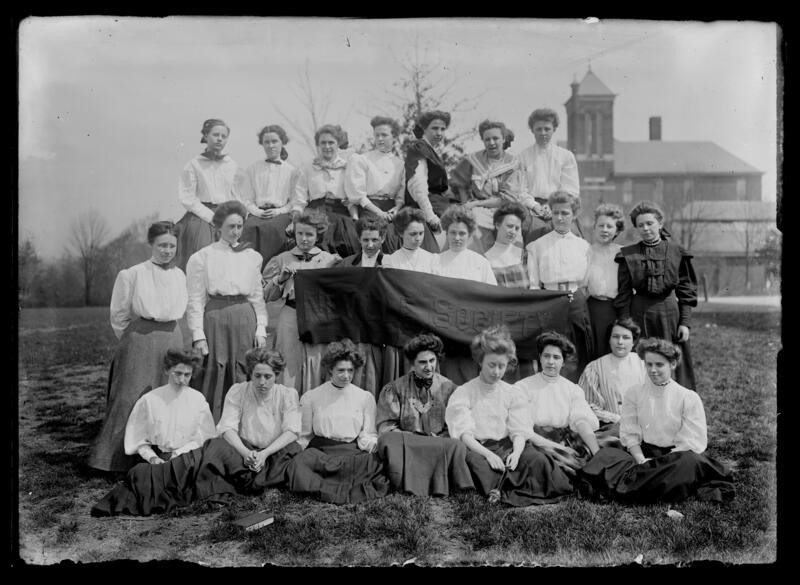 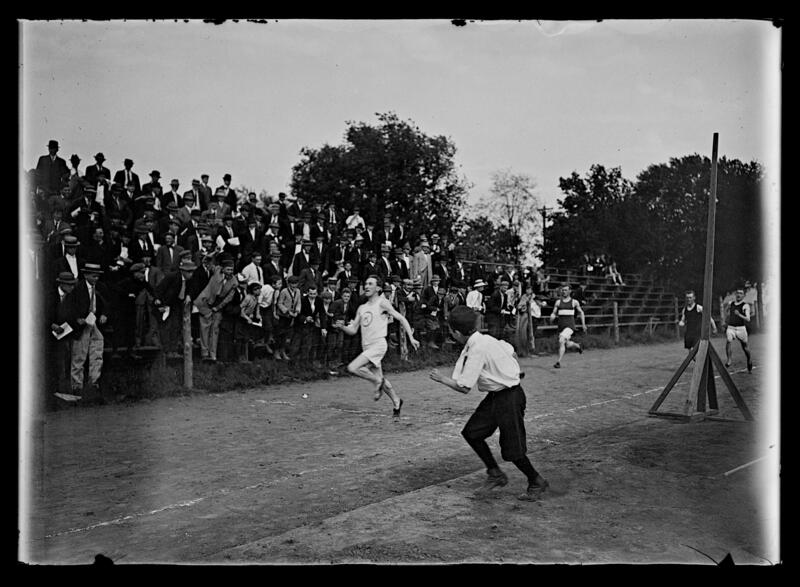 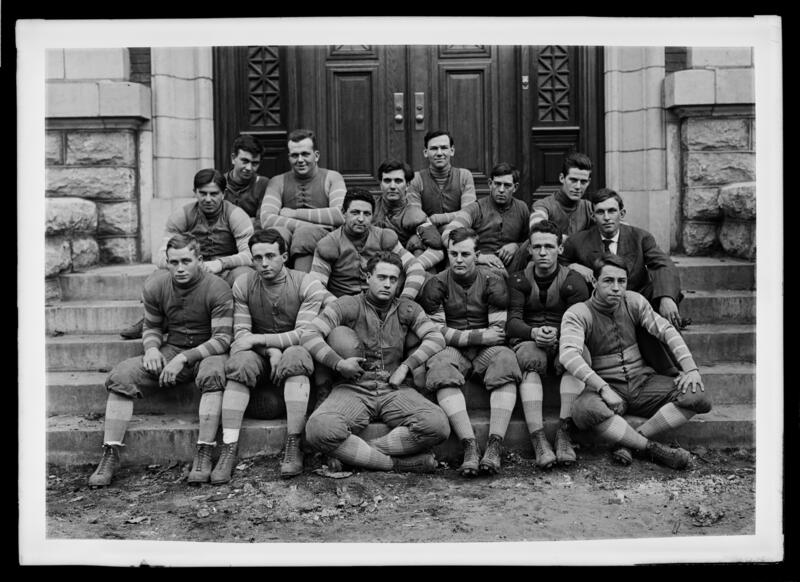 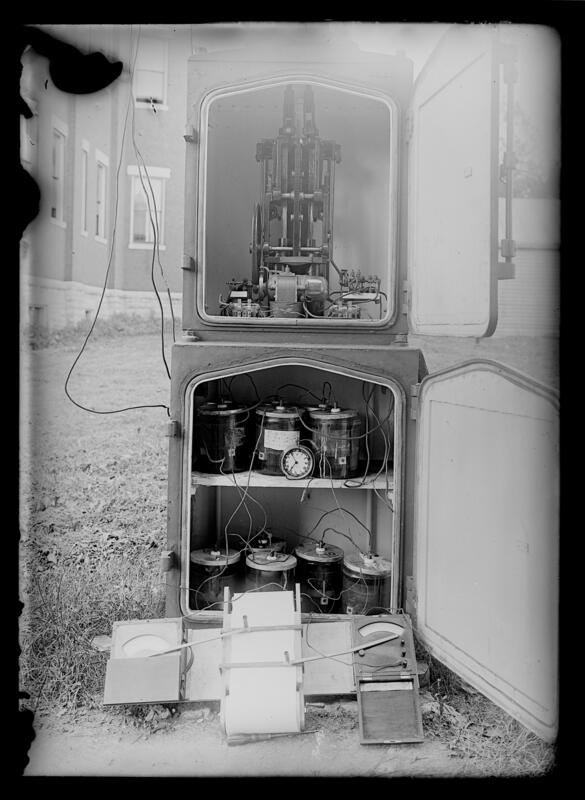 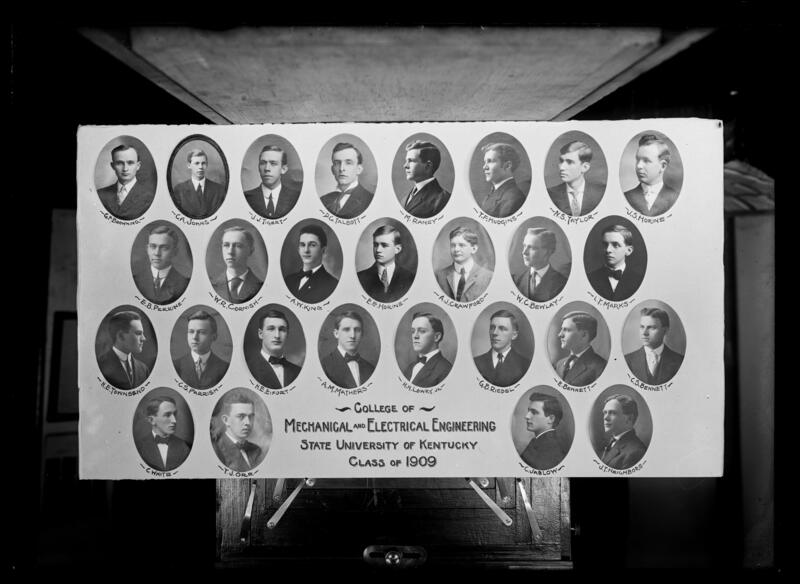 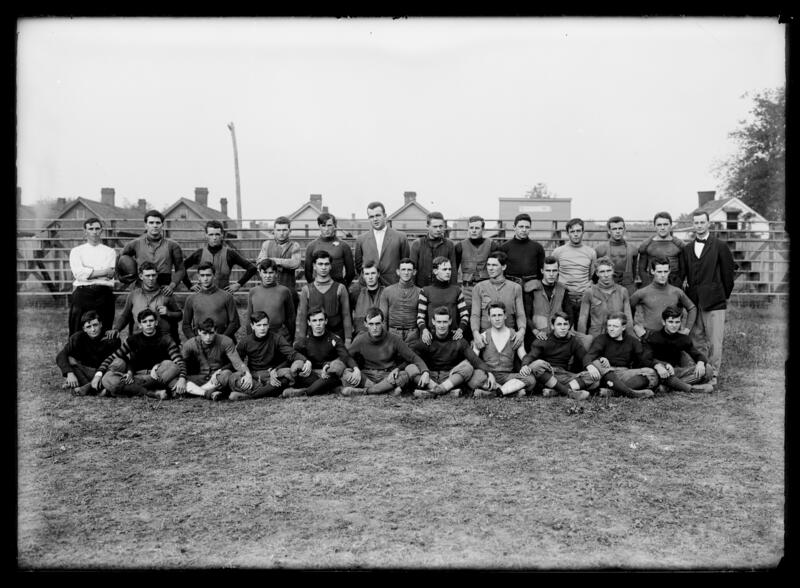 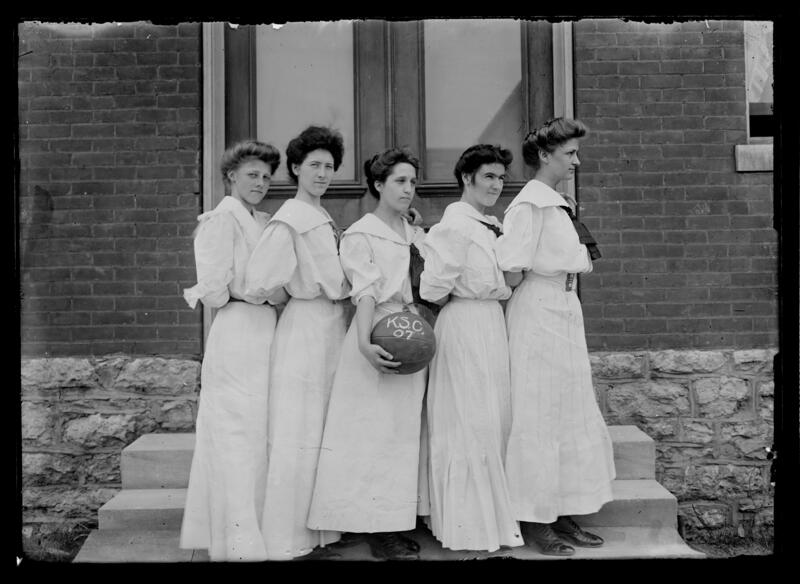 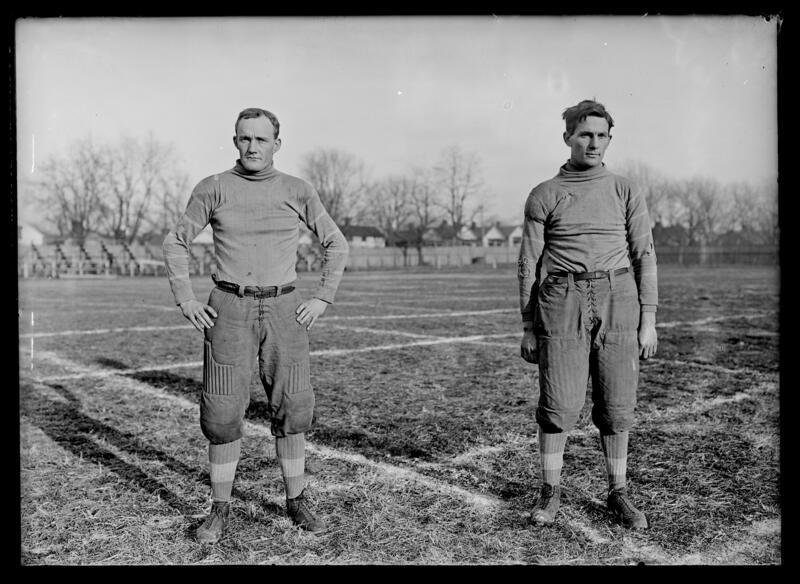 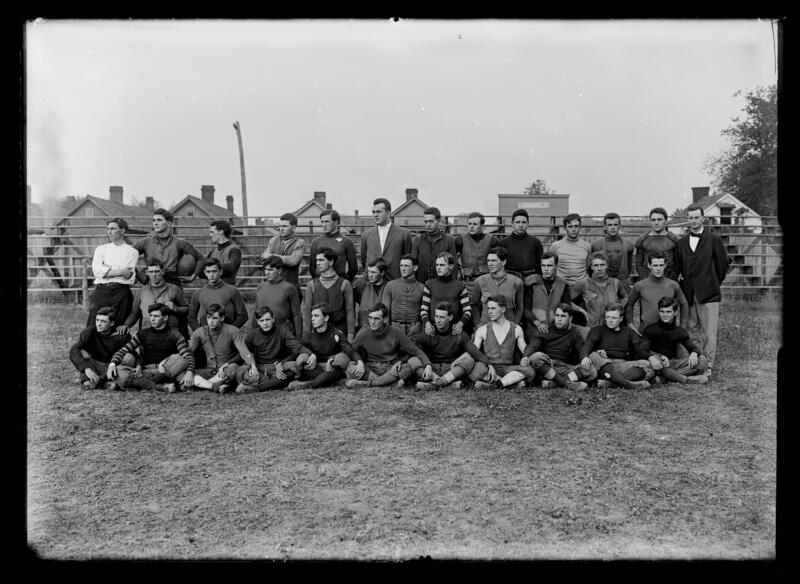 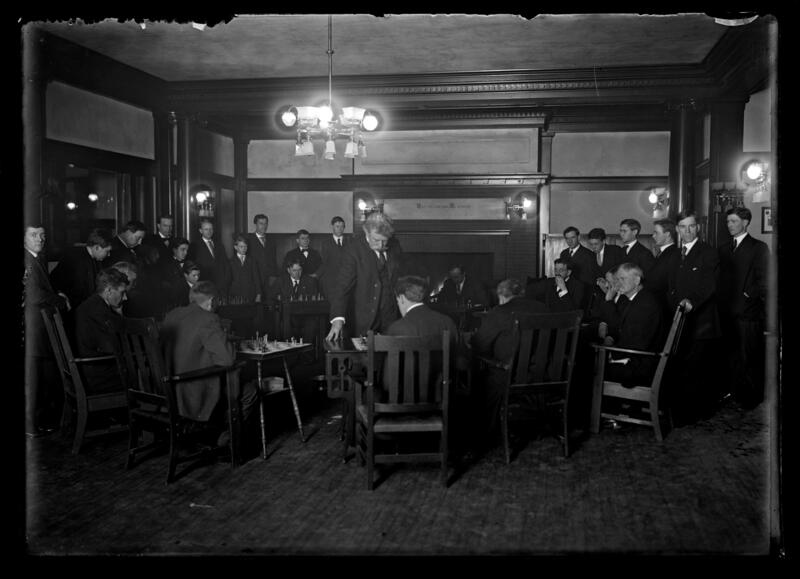 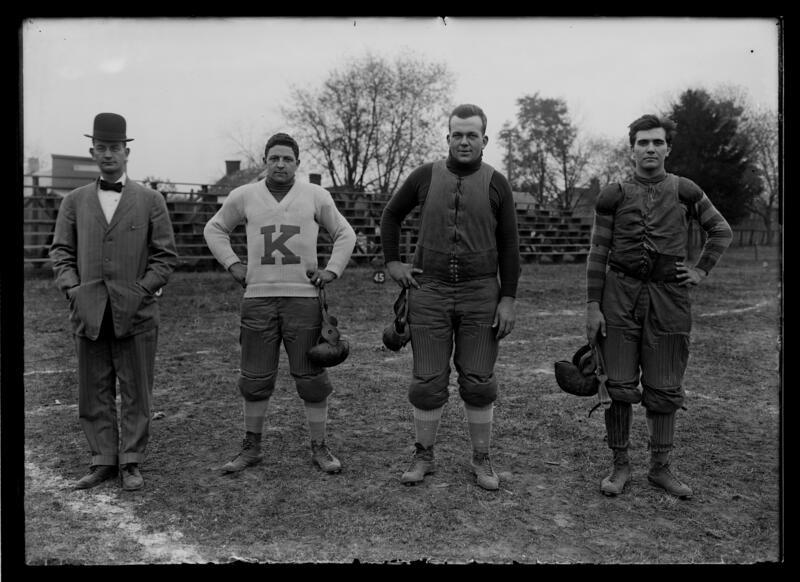 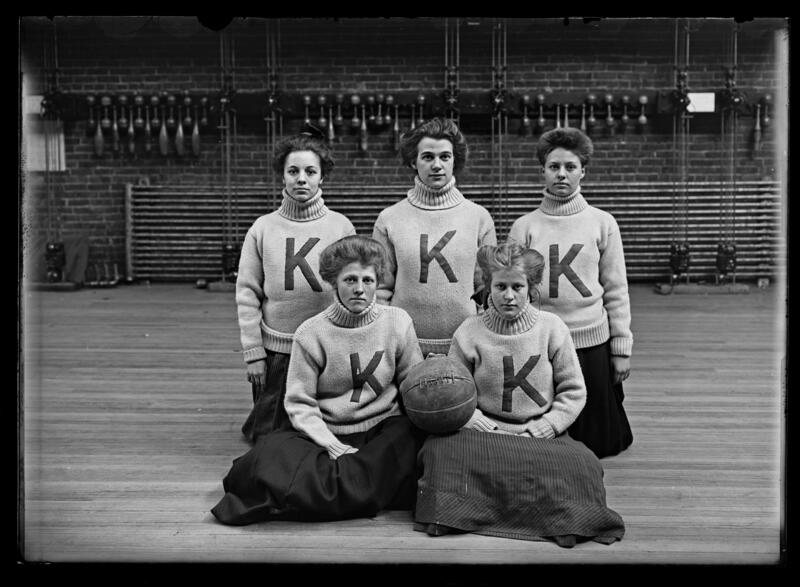 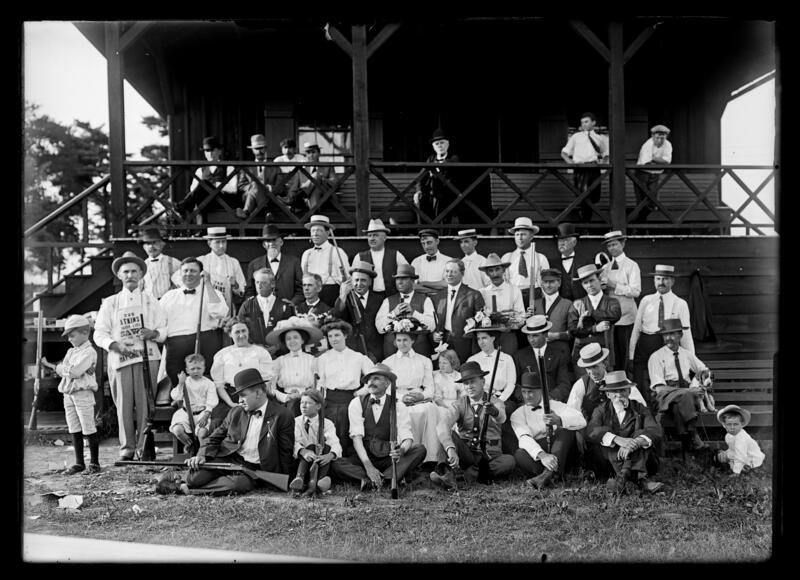 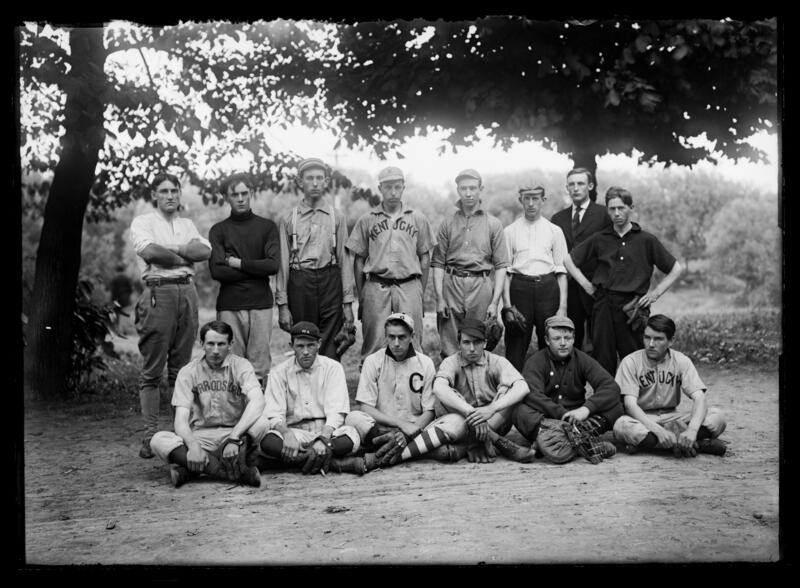 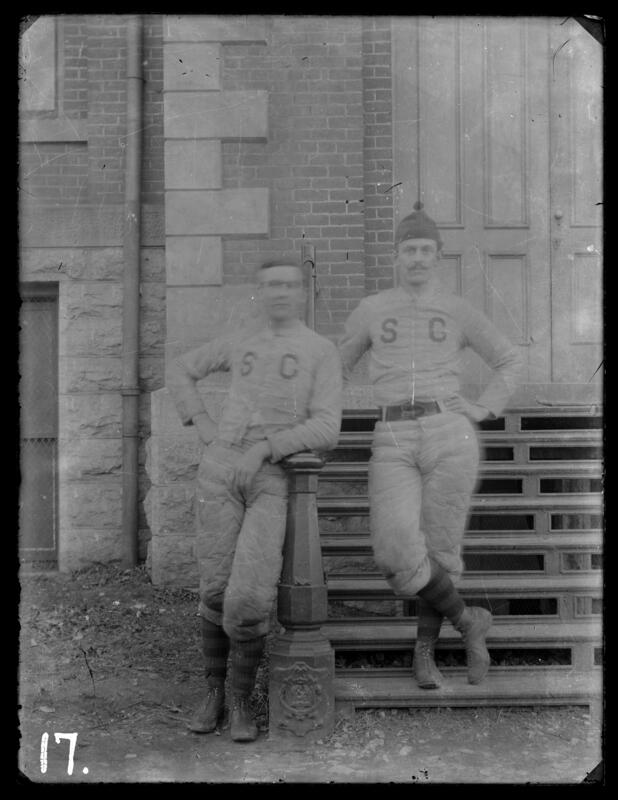 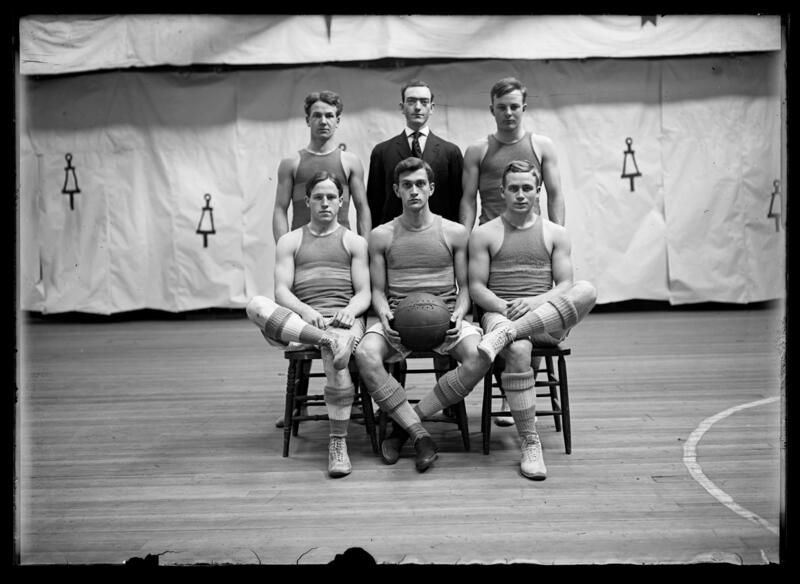 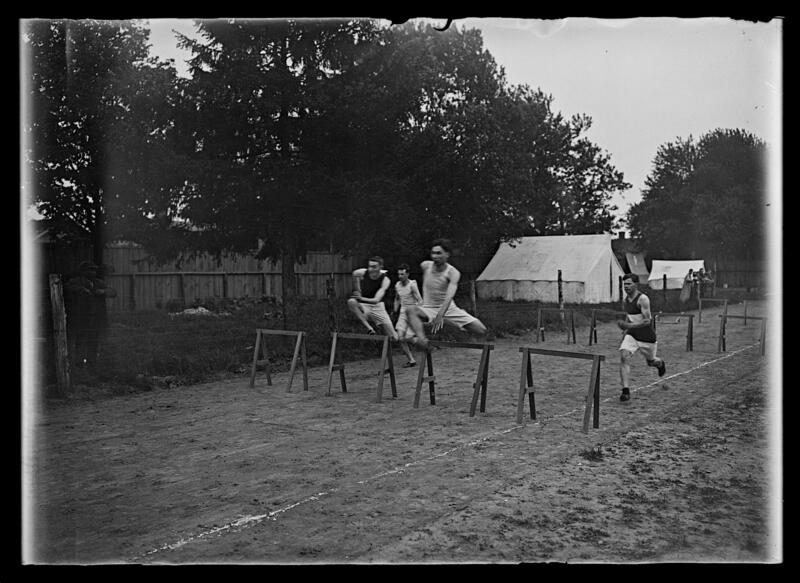 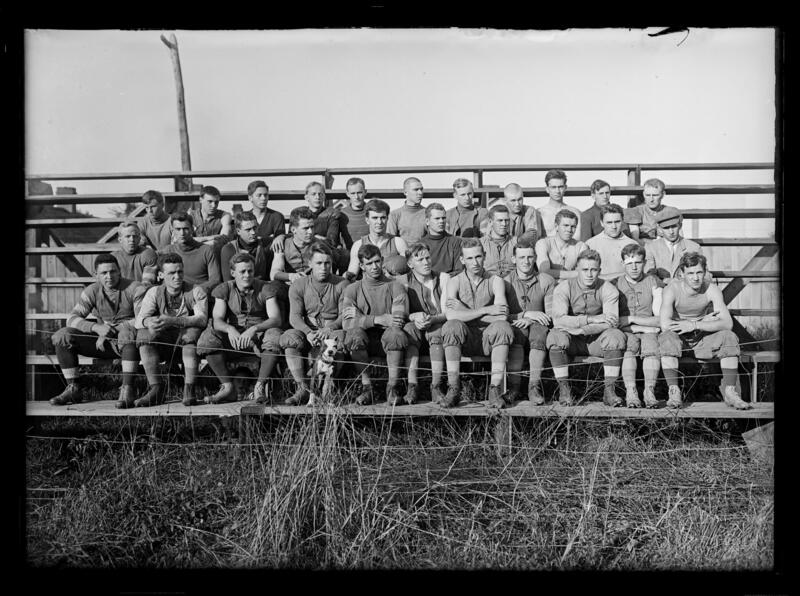 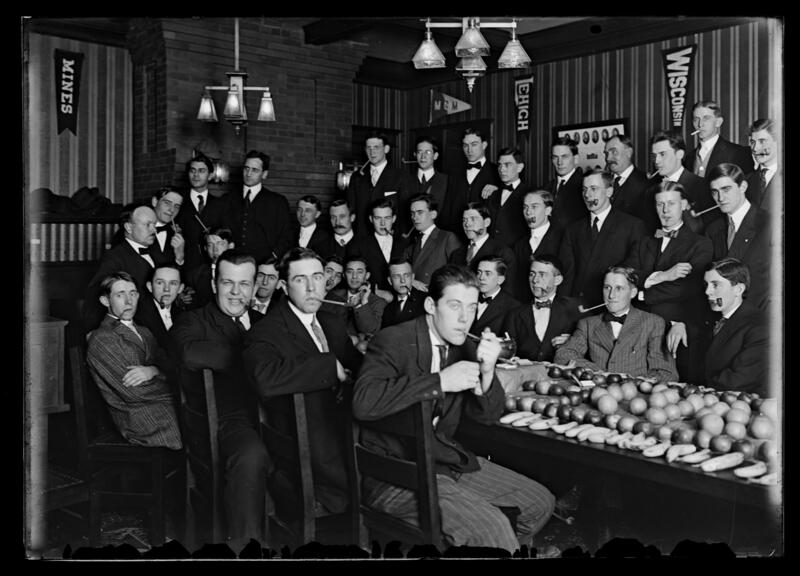 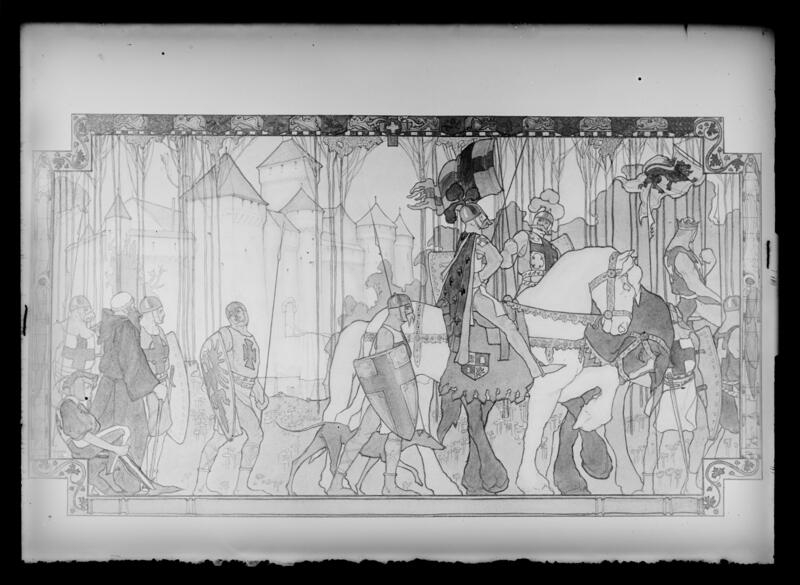 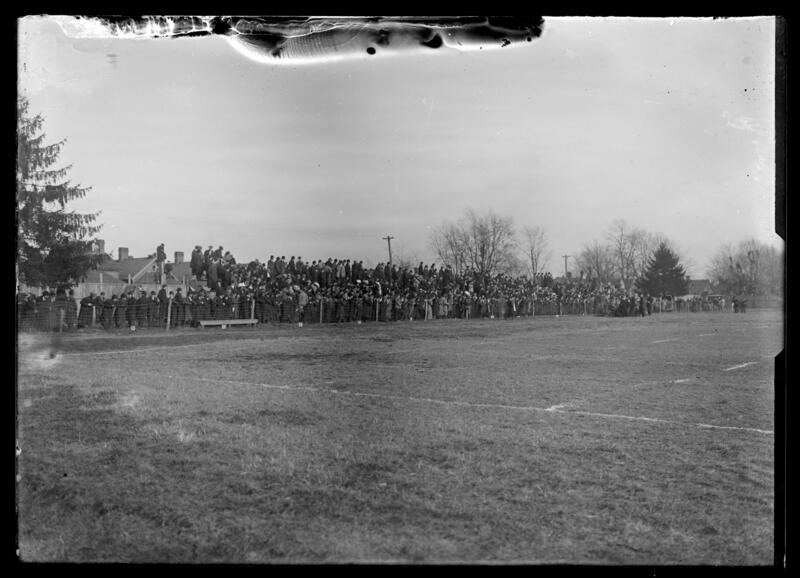 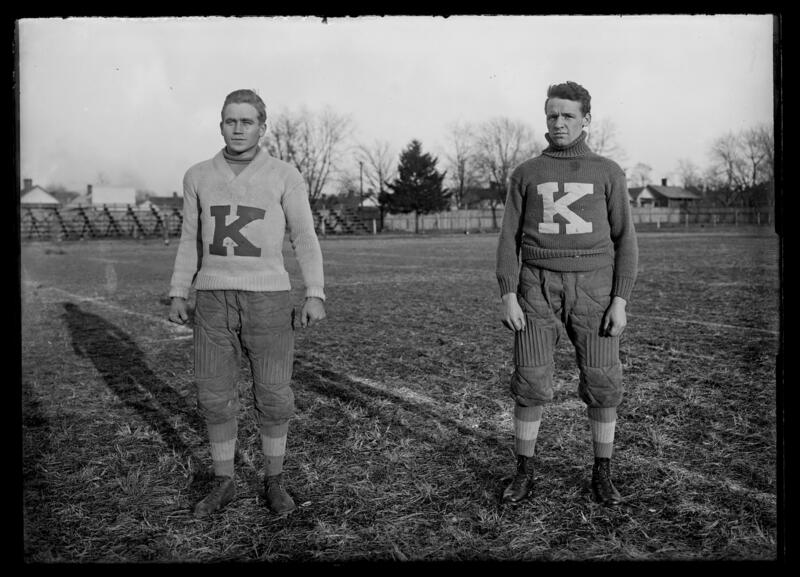 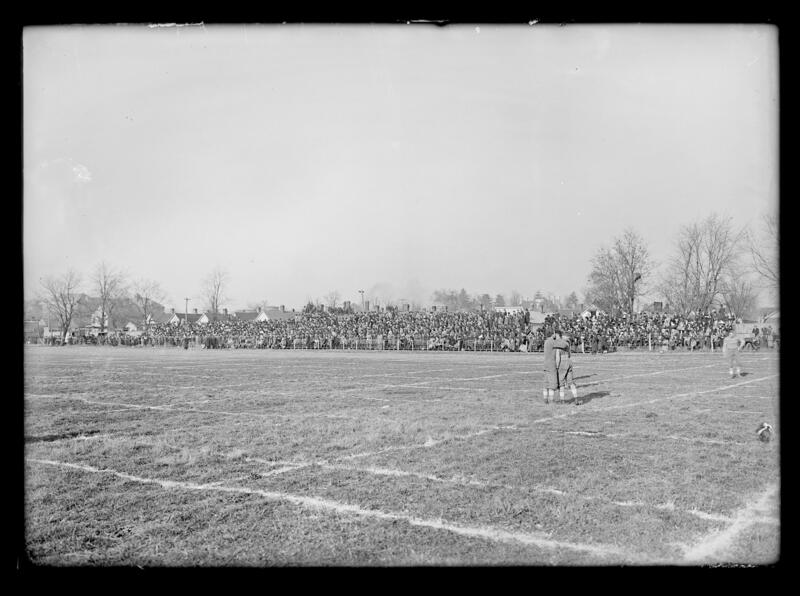 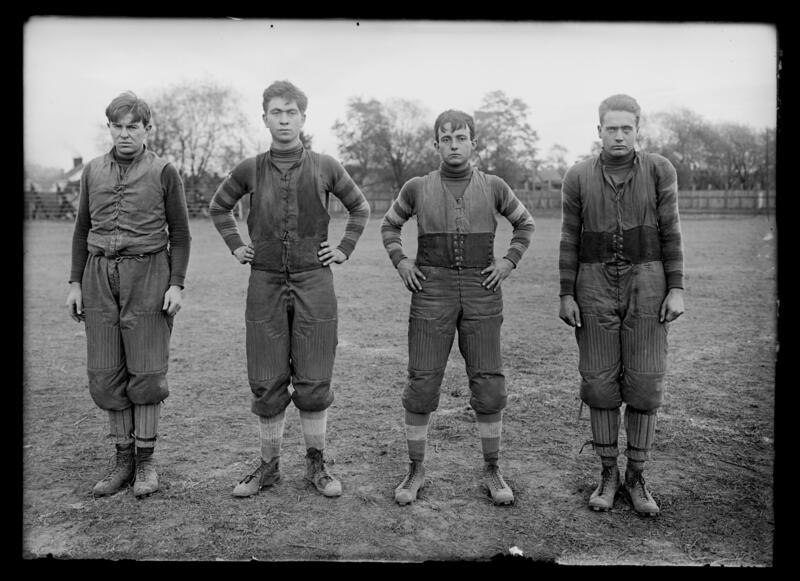 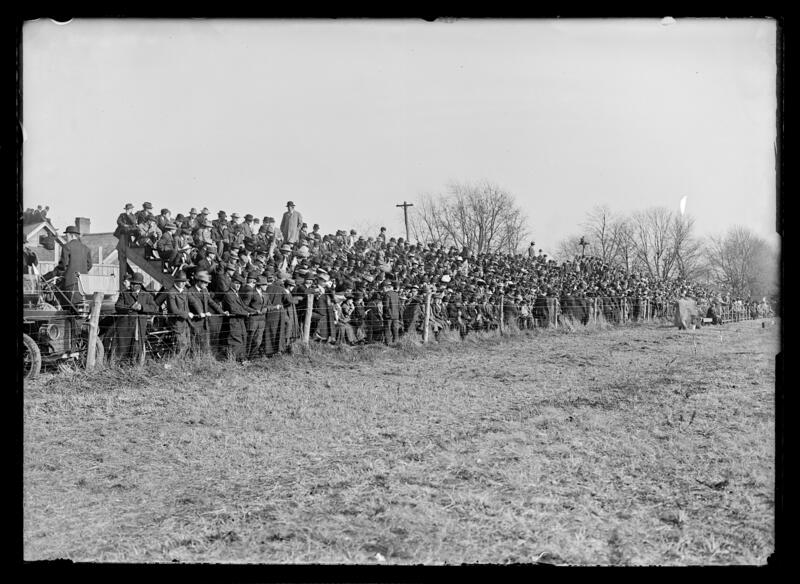 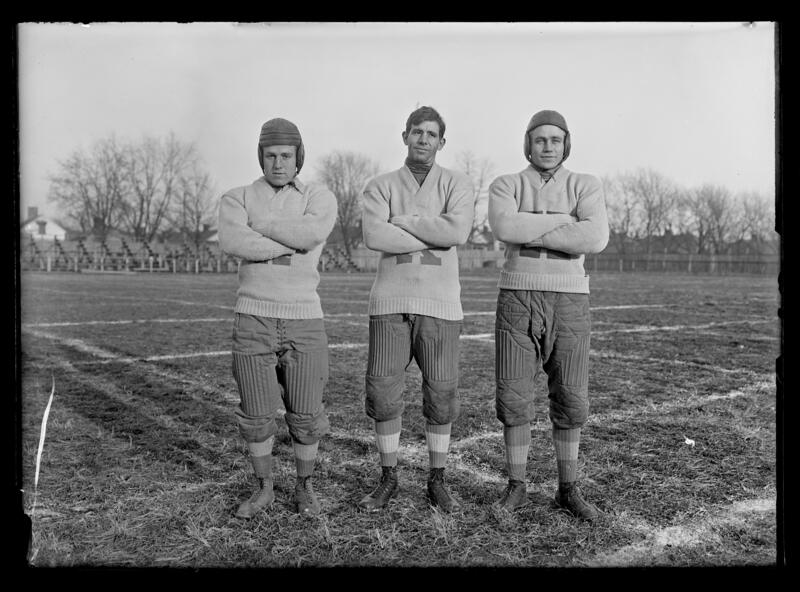 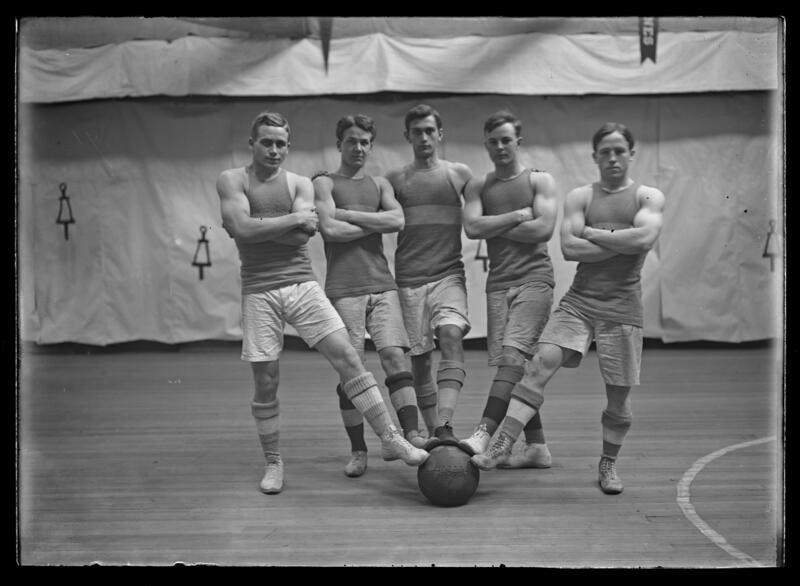 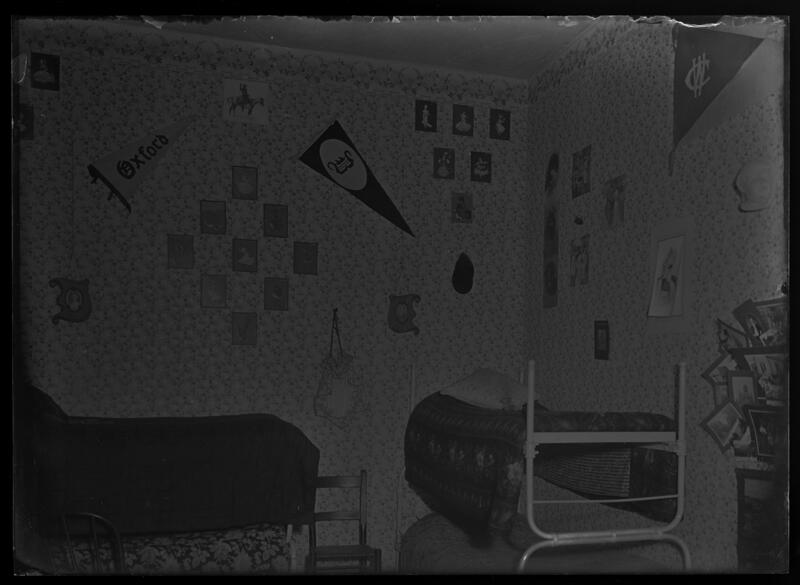 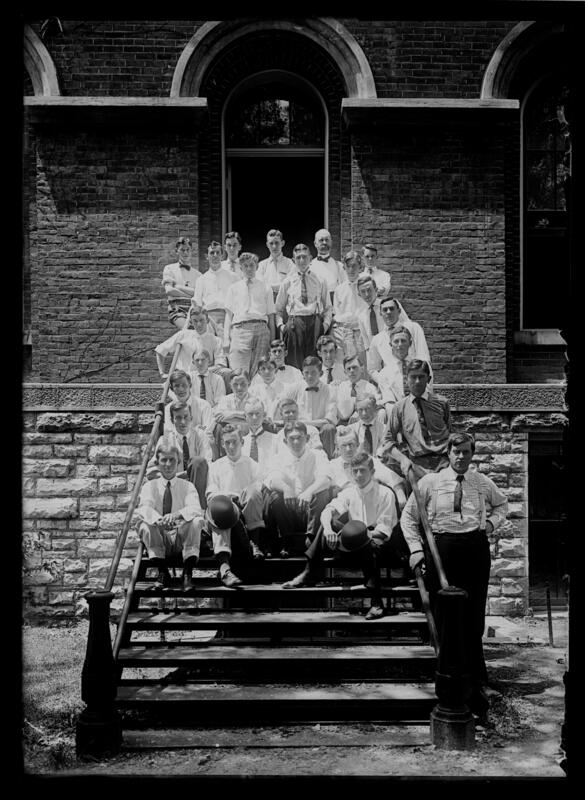 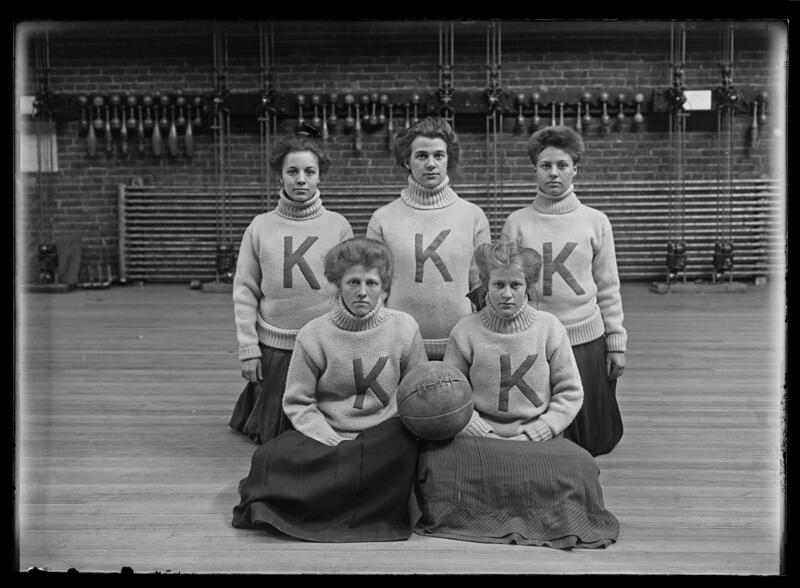 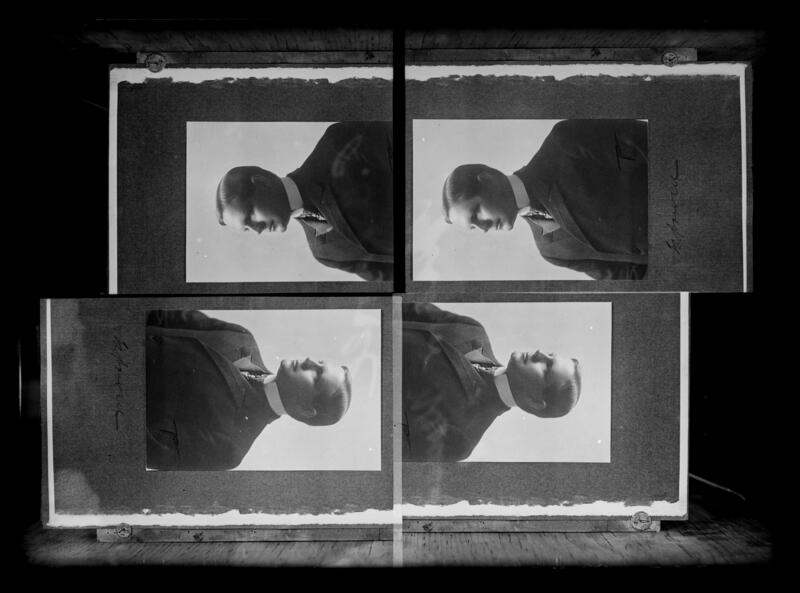 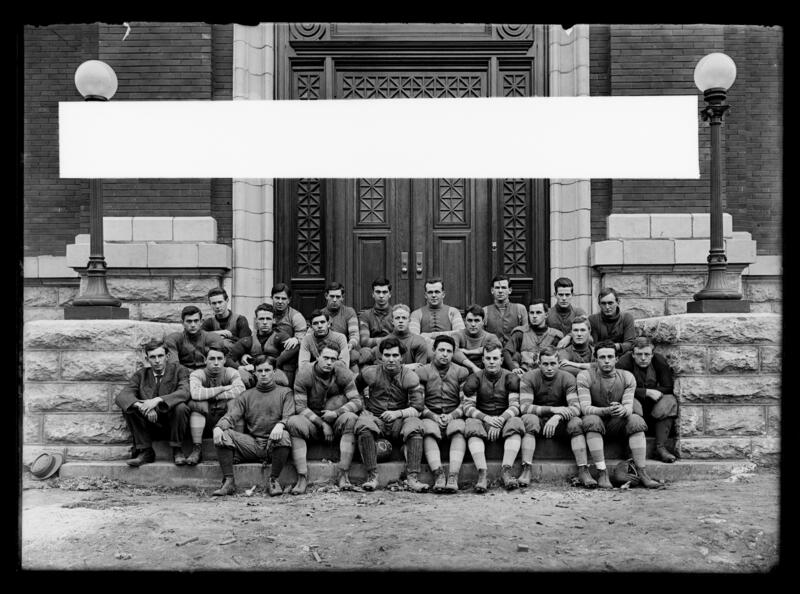 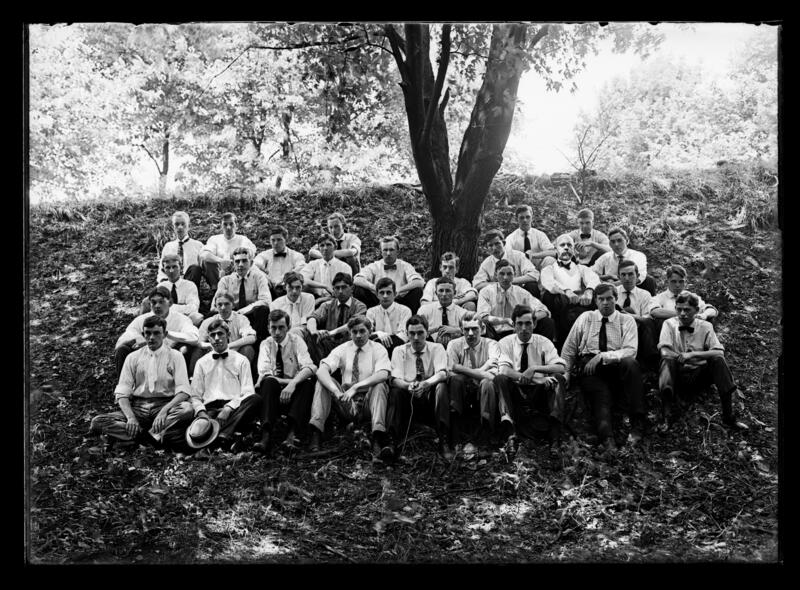 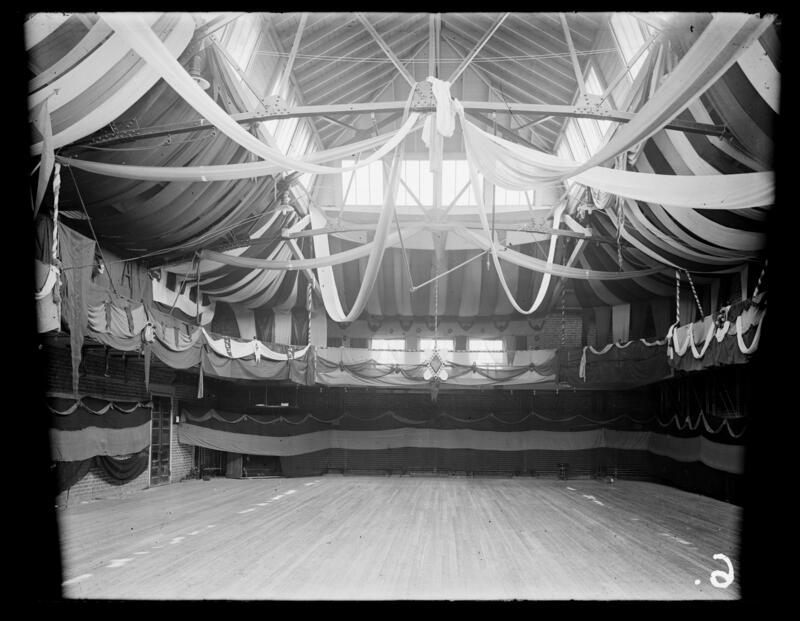 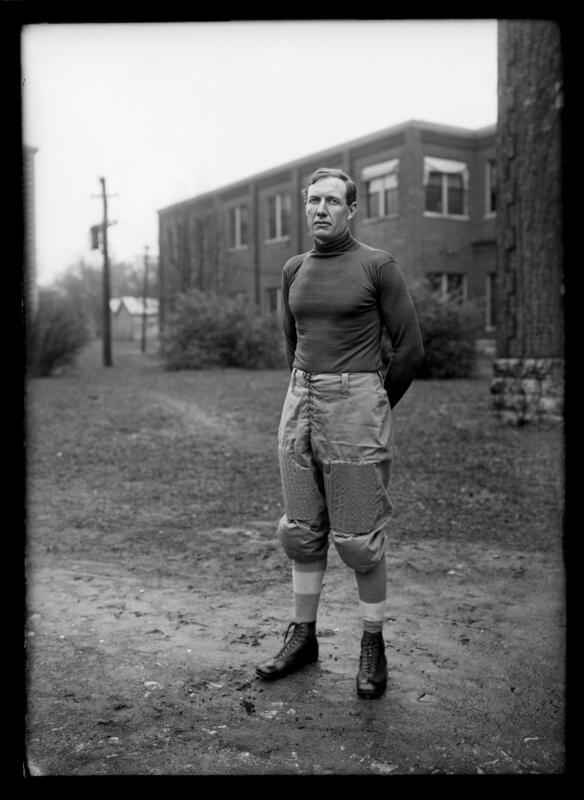 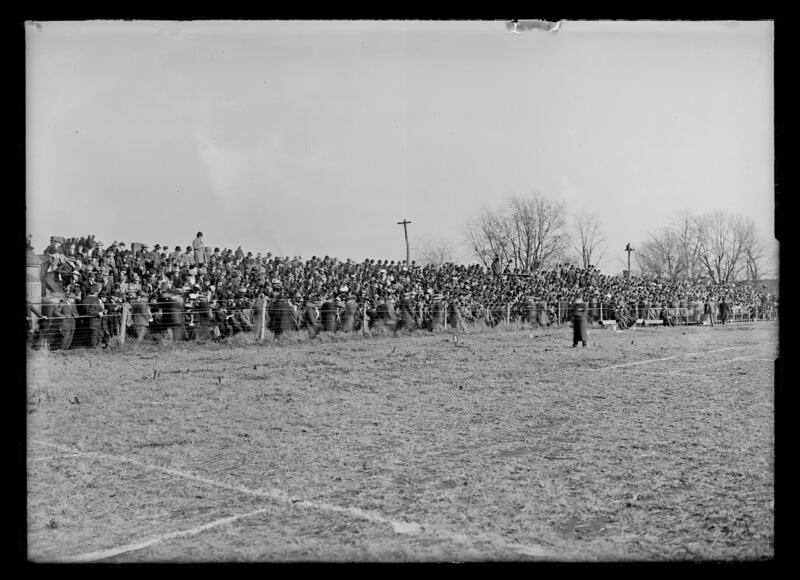 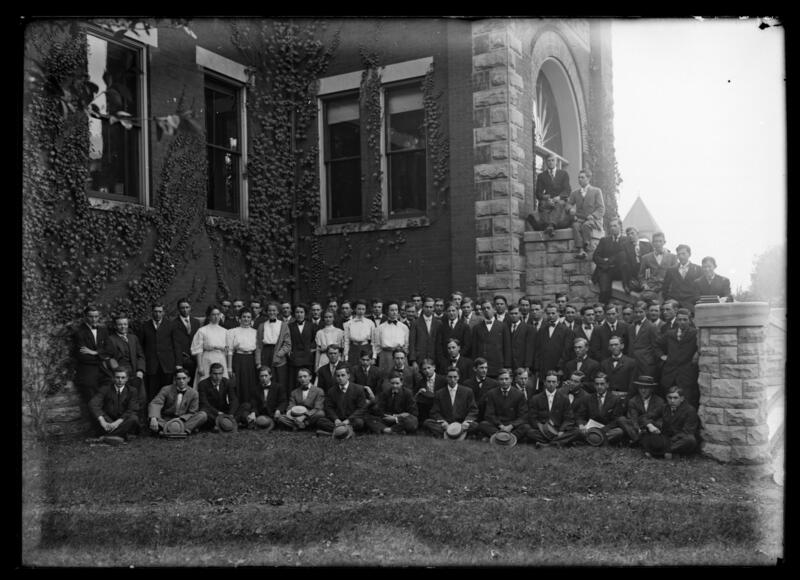 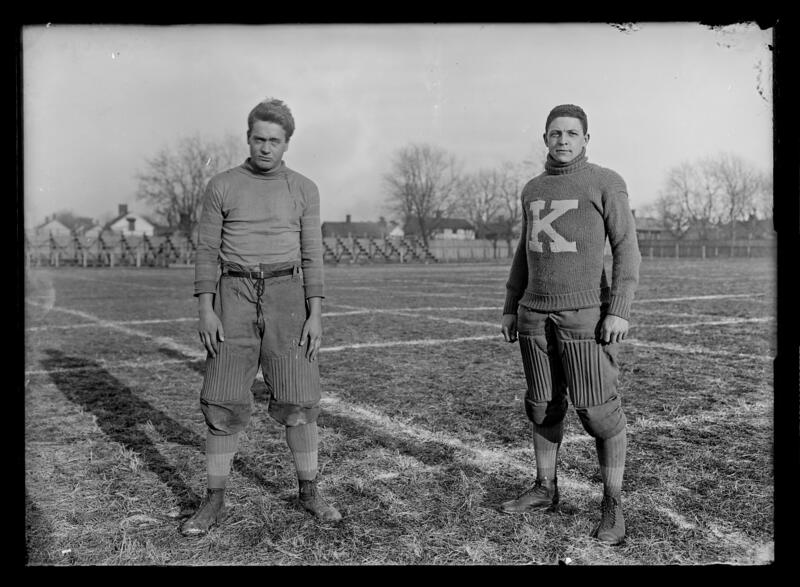 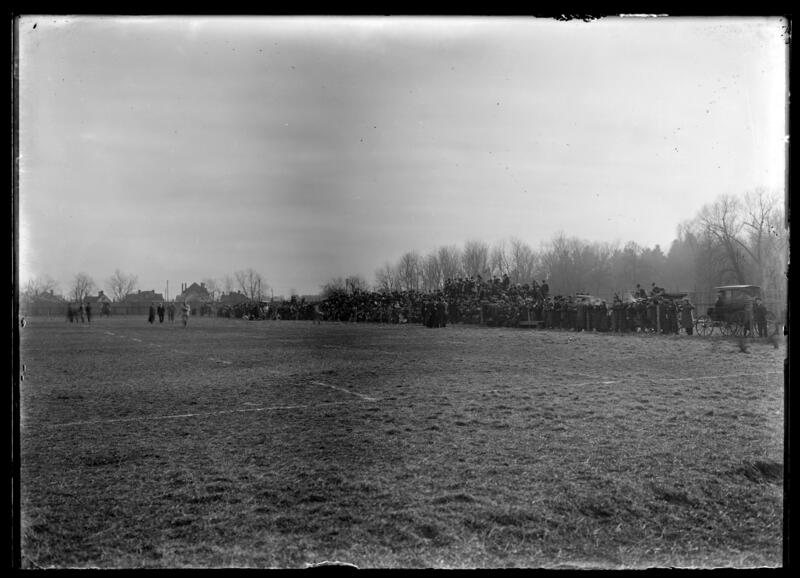 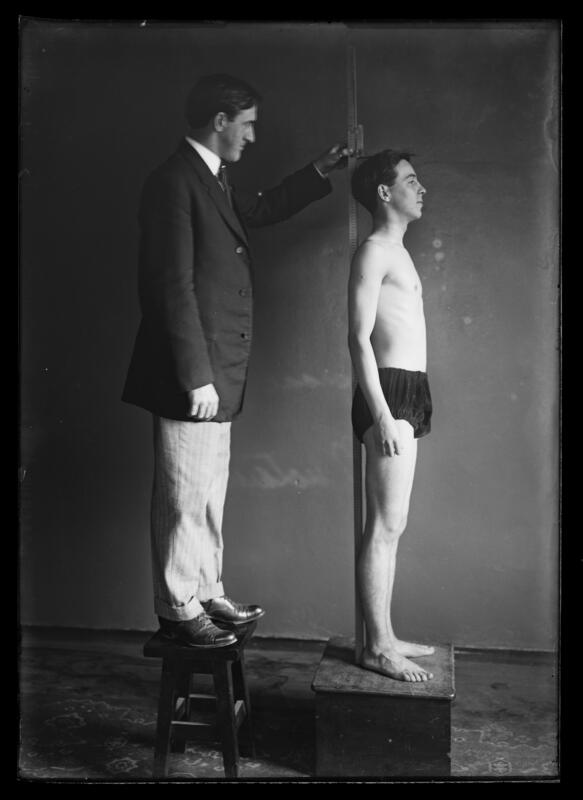 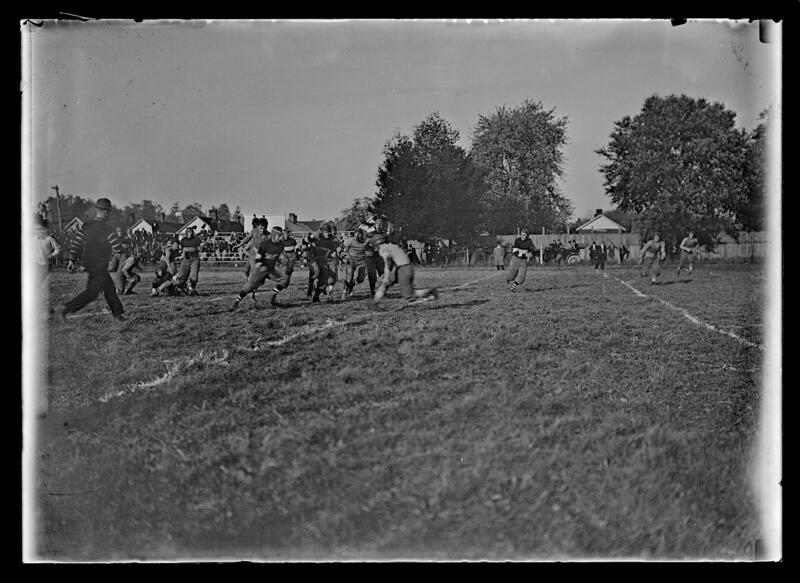 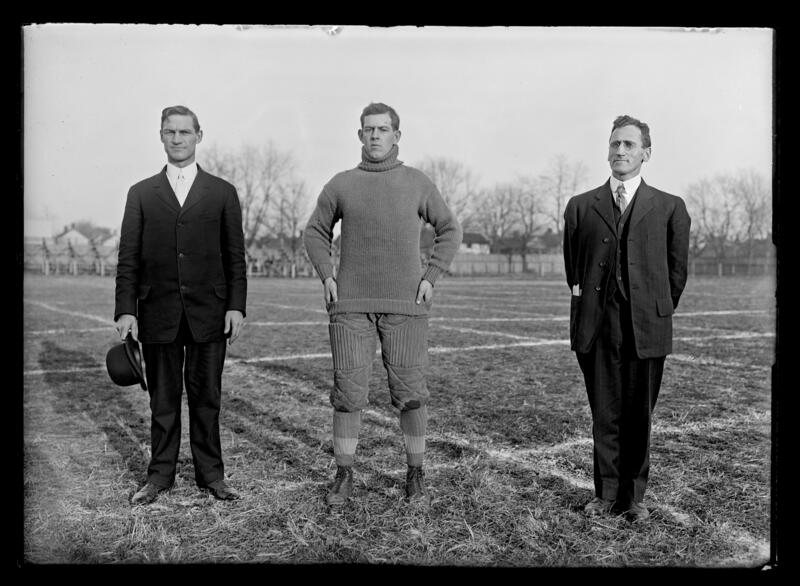 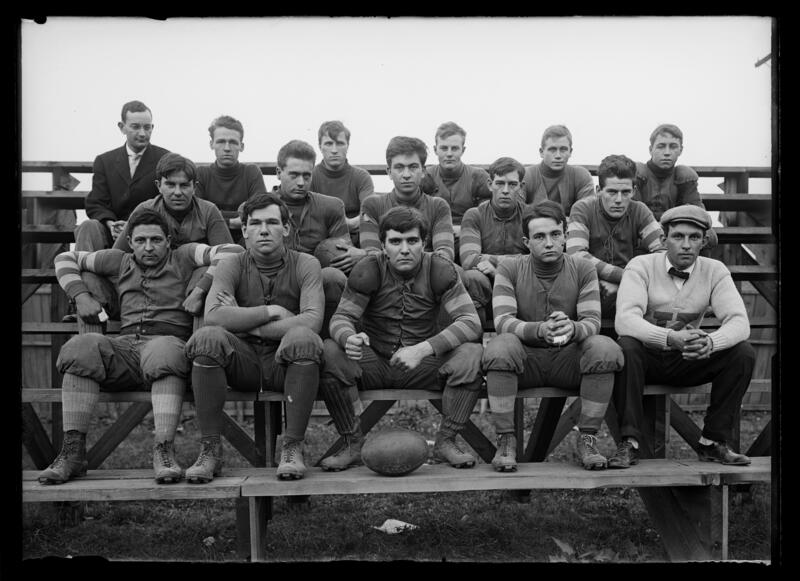 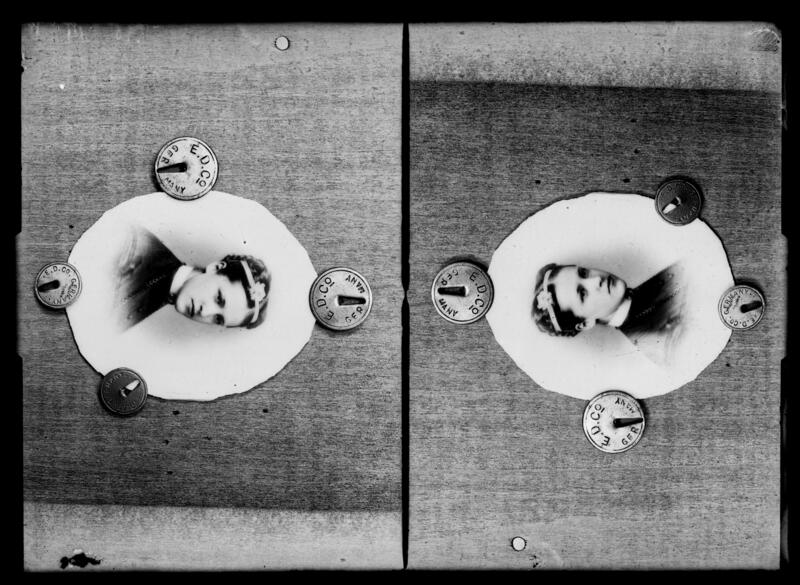 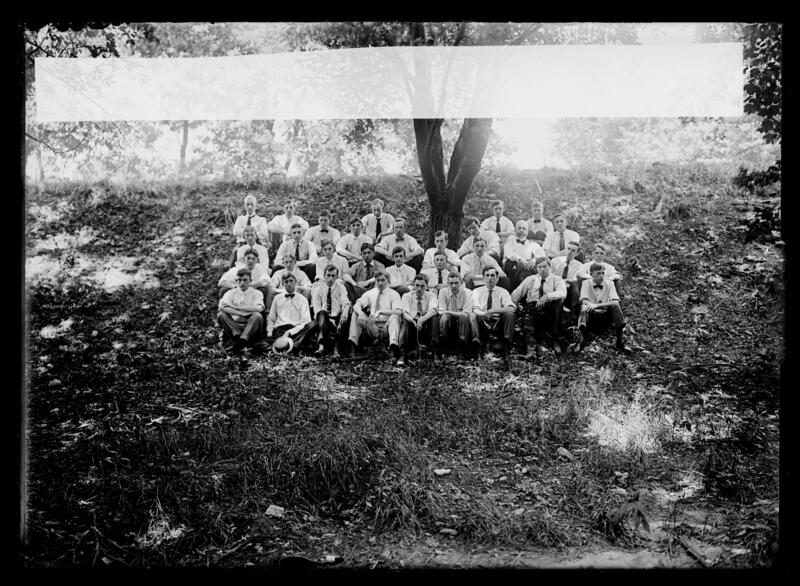 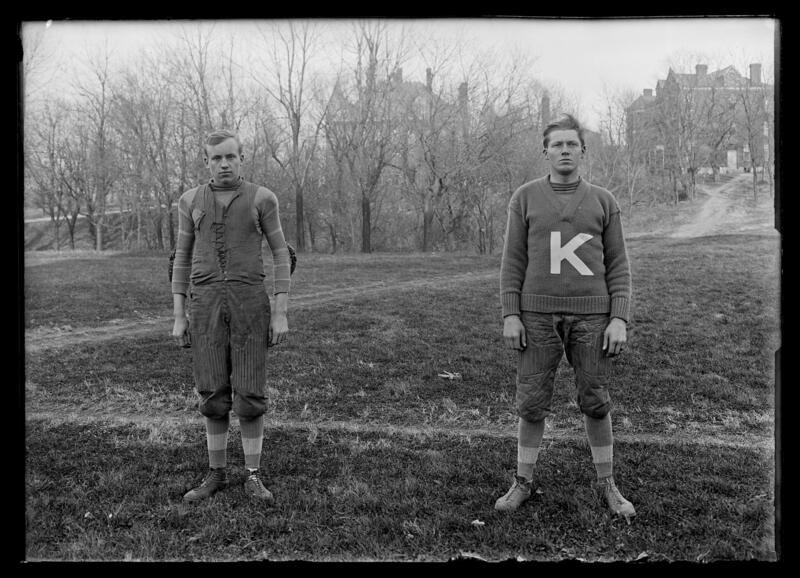 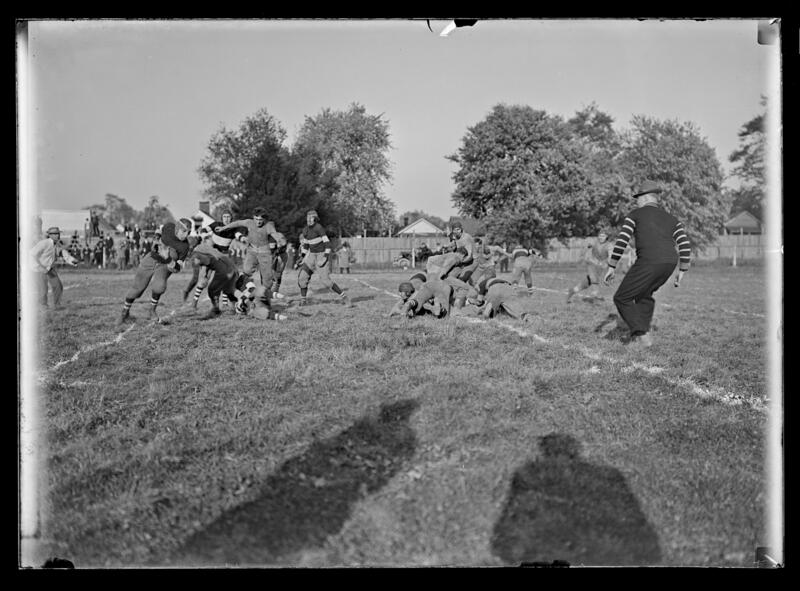 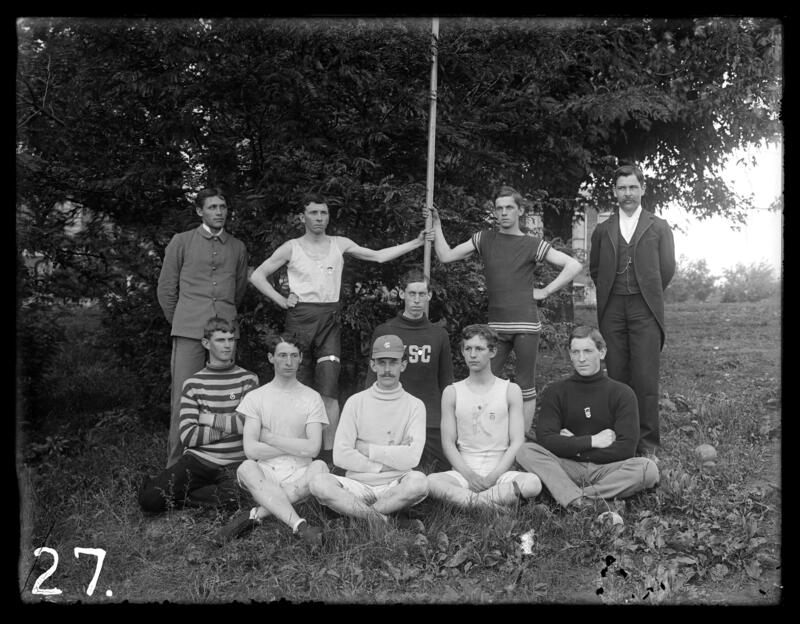 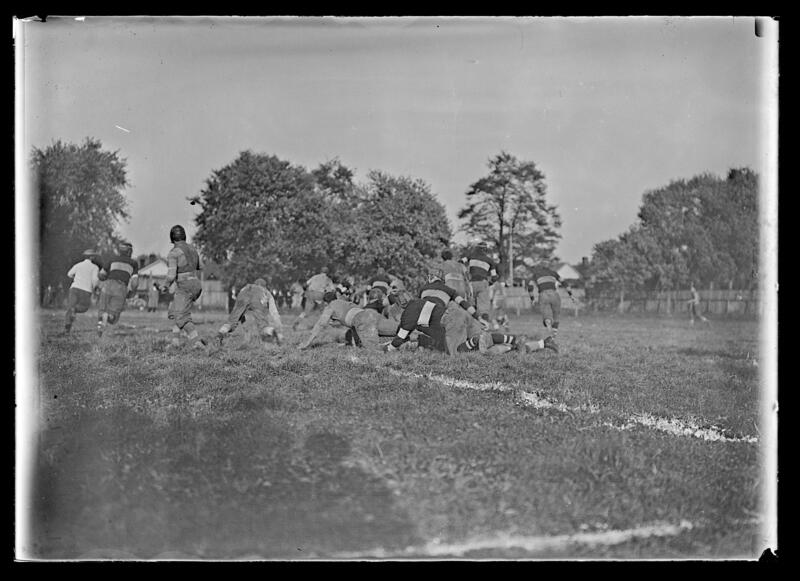 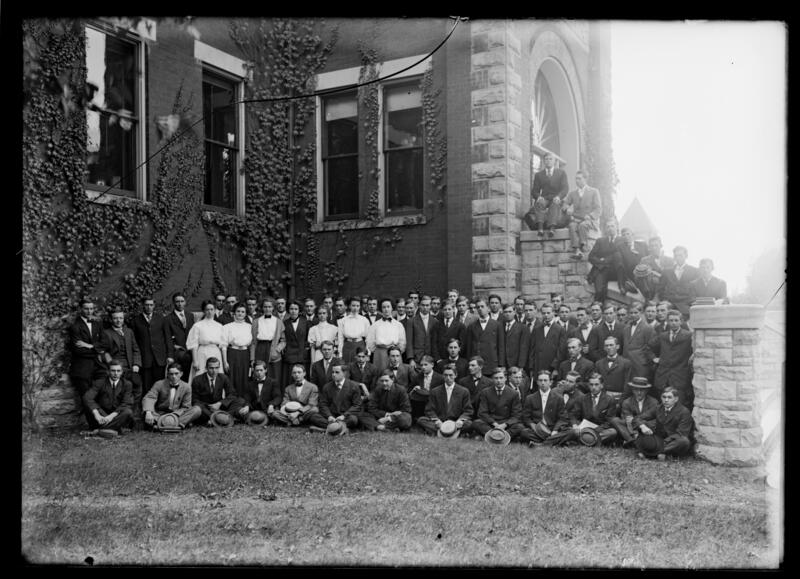 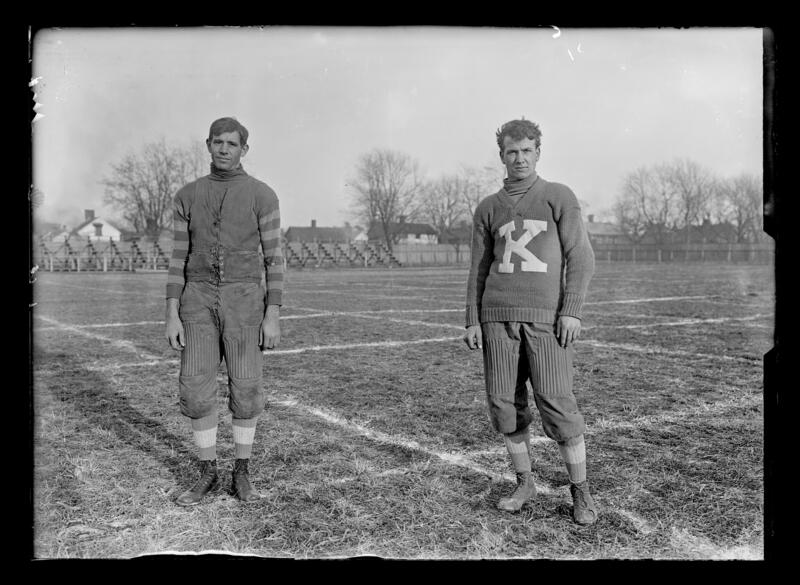 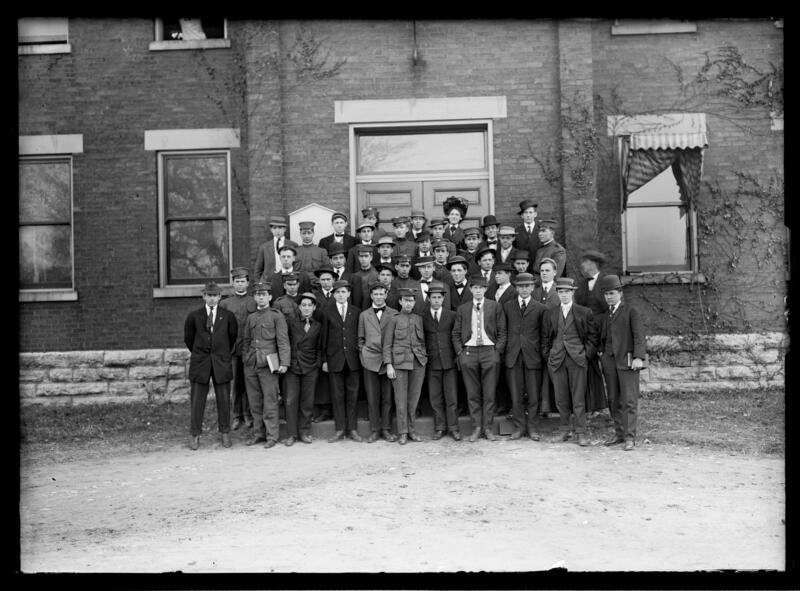 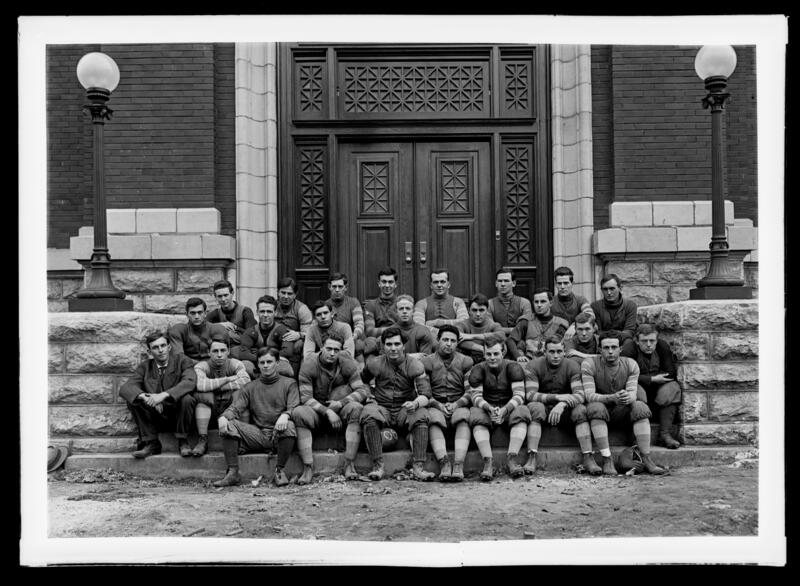 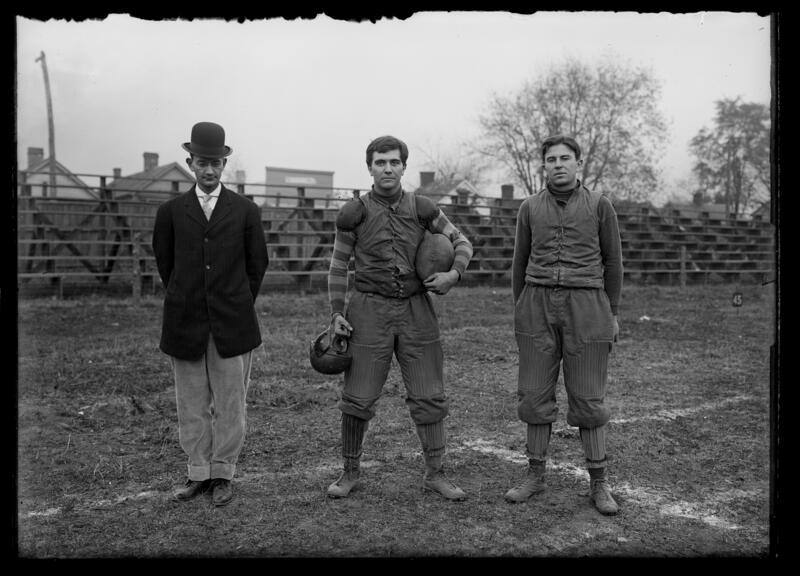 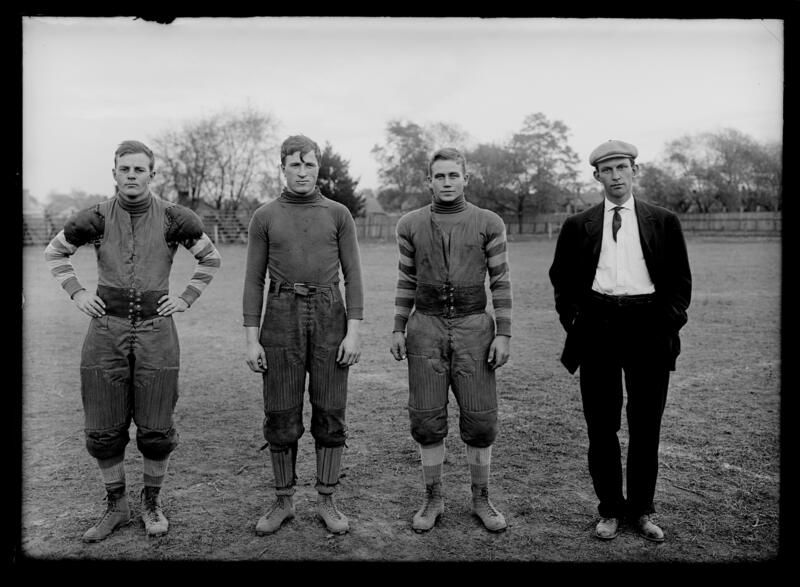 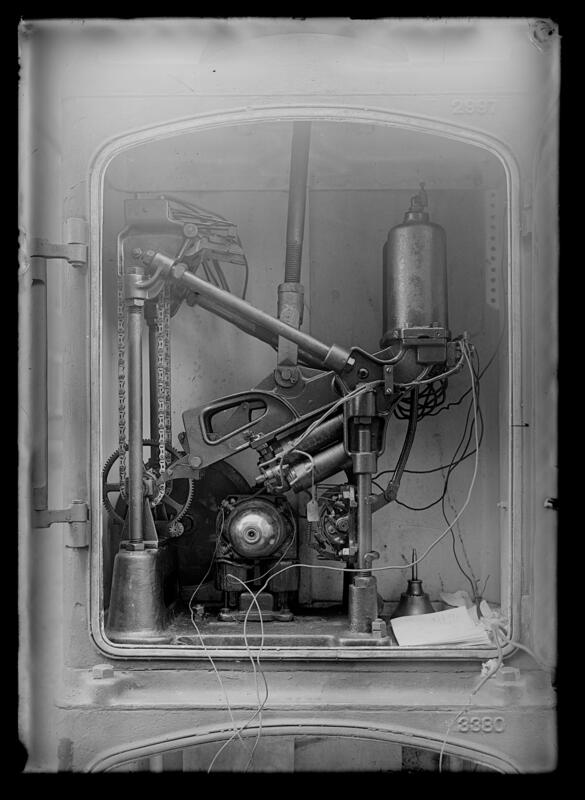 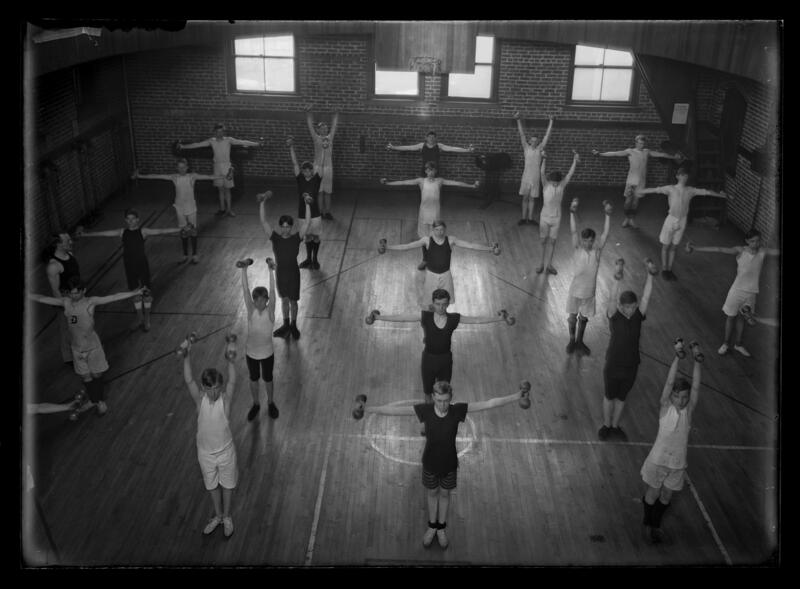 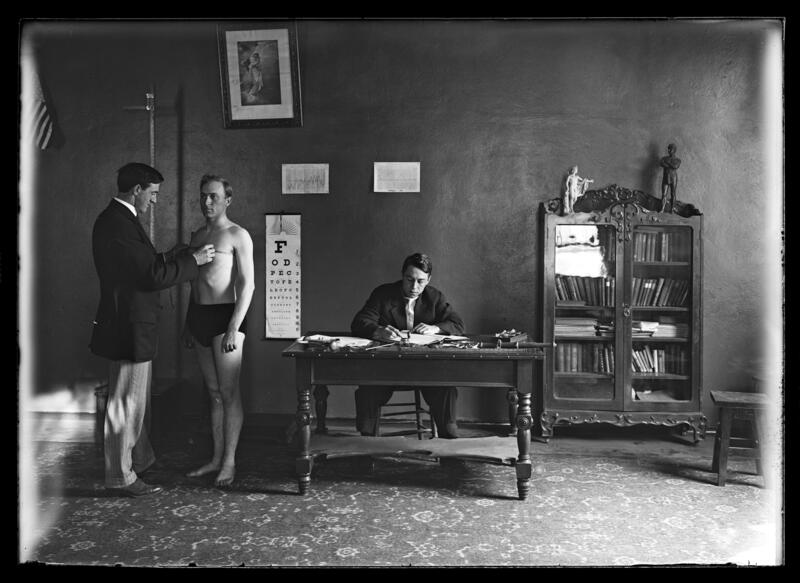 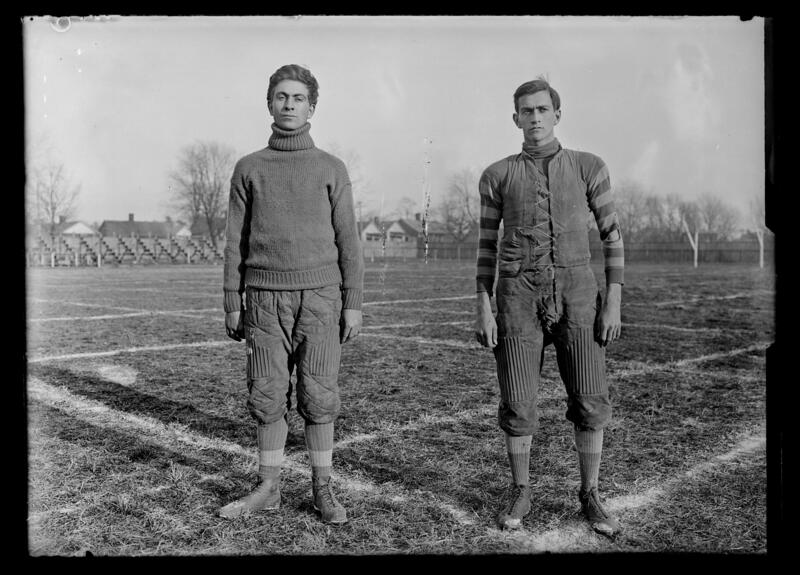 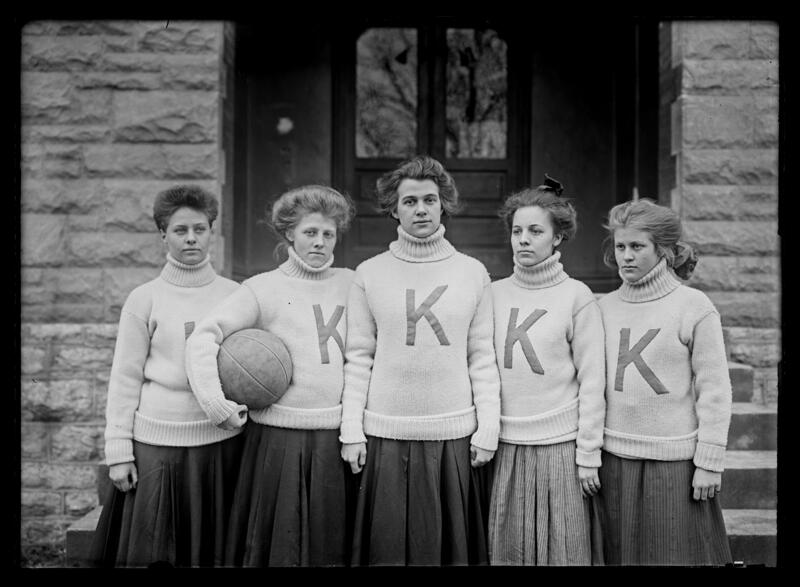 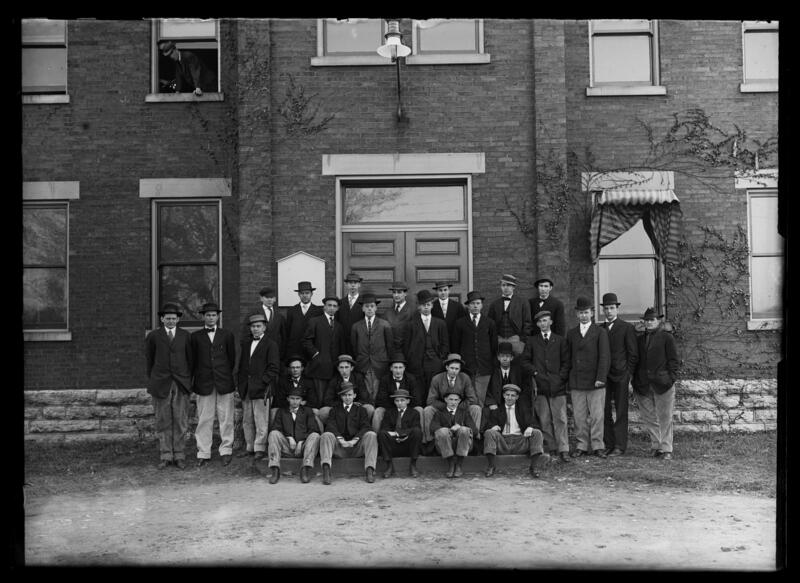 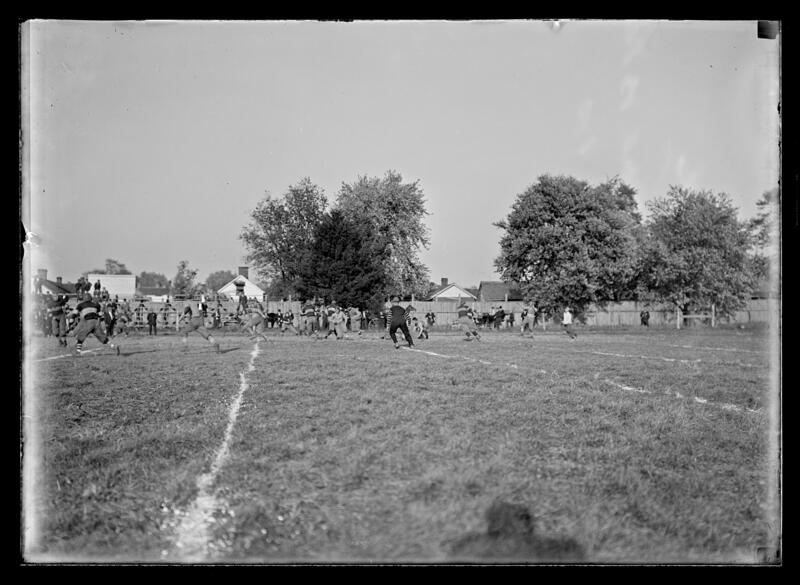 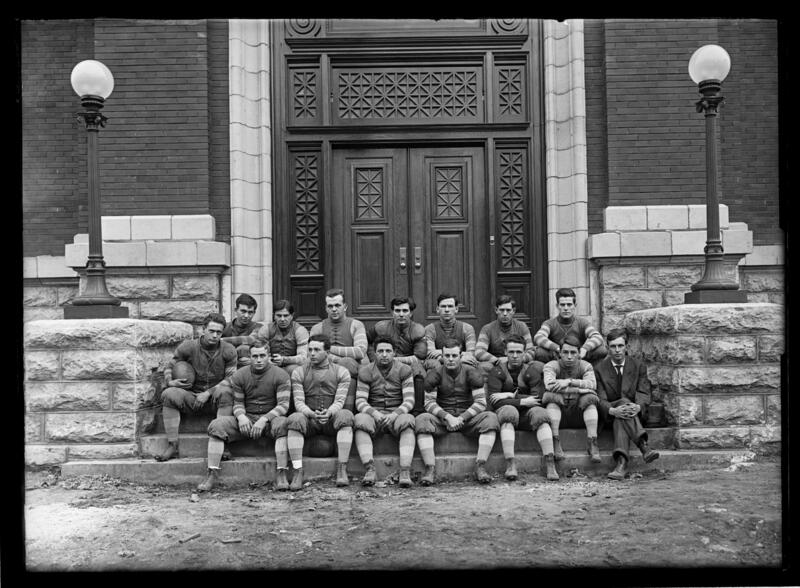 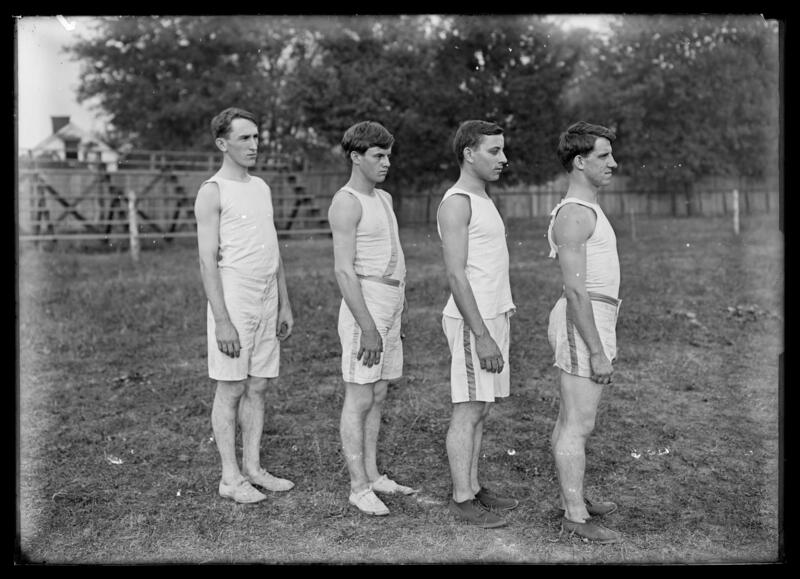 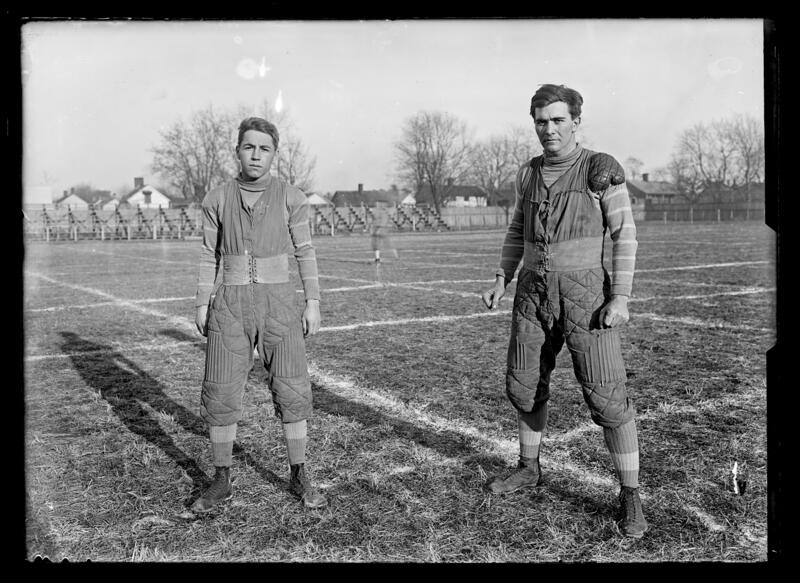 Negatives show members of football teams, usually from 1908 into the 1920s, coaches, and games played against different universities. 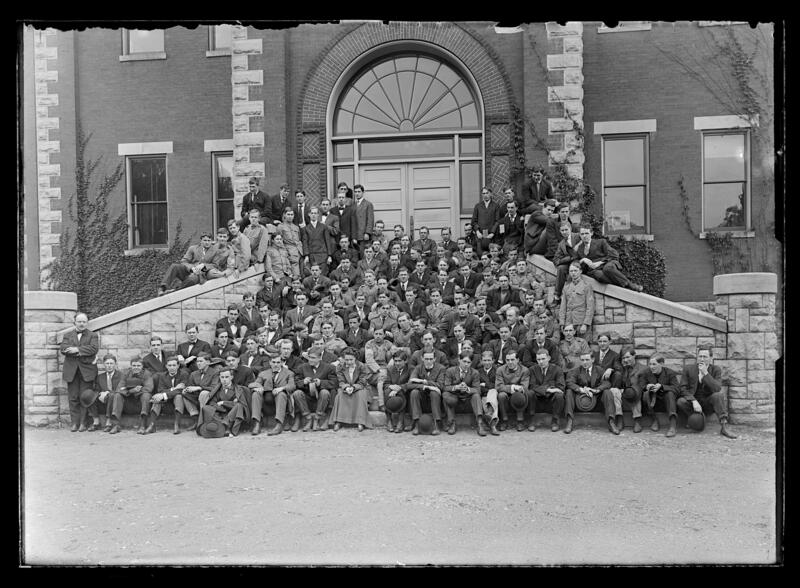 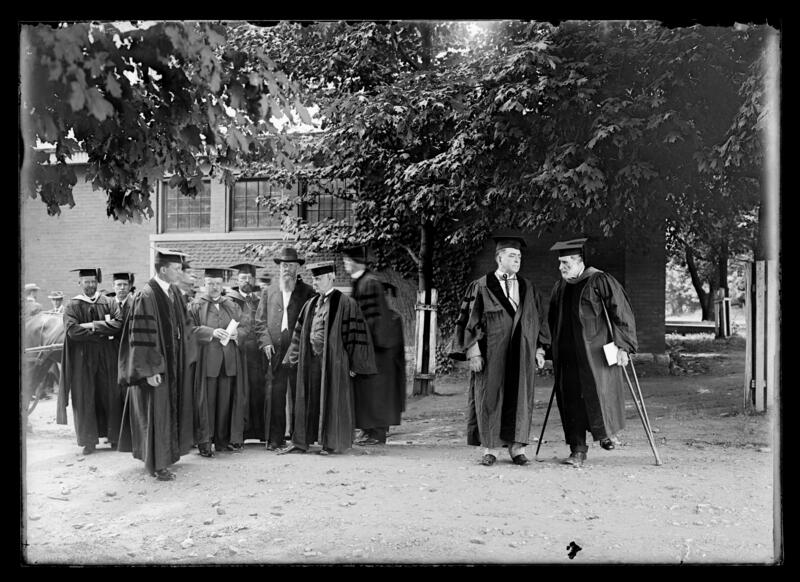 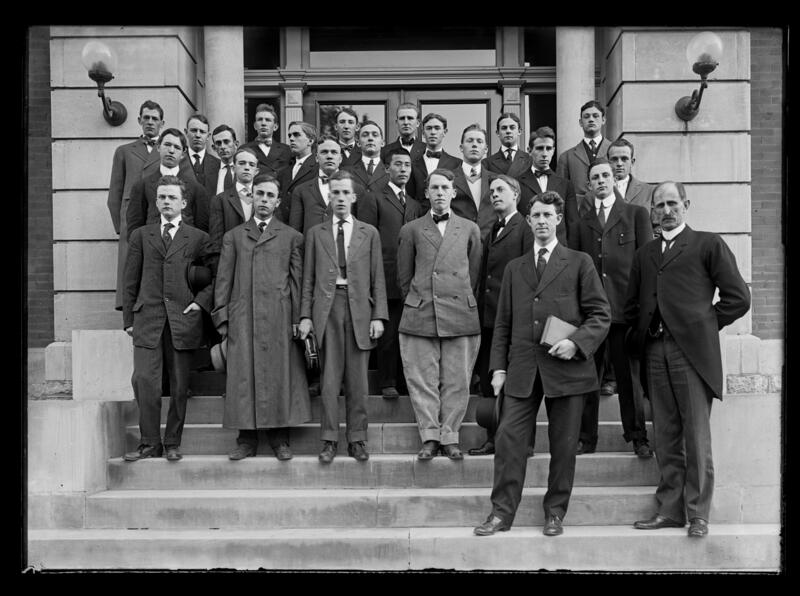 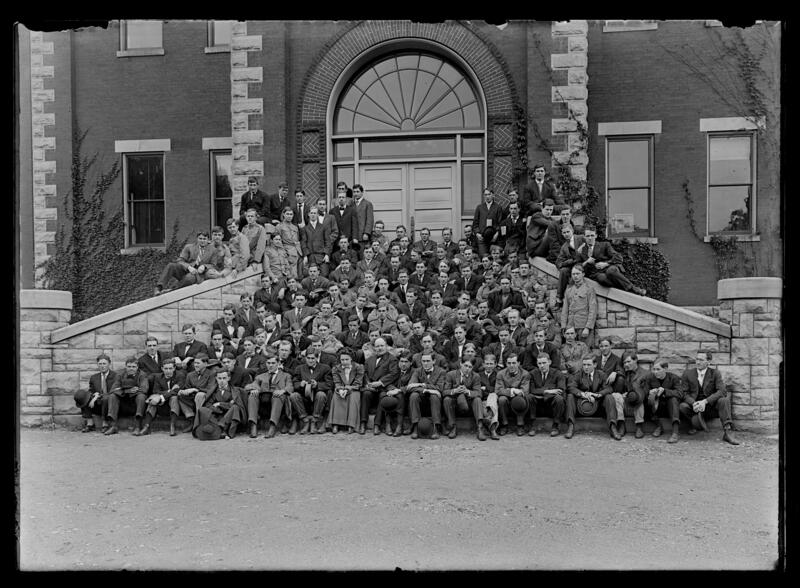 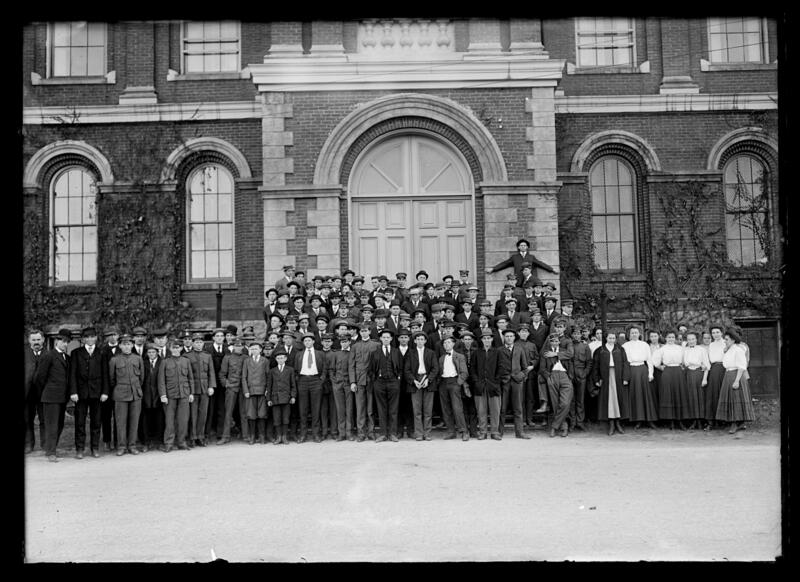 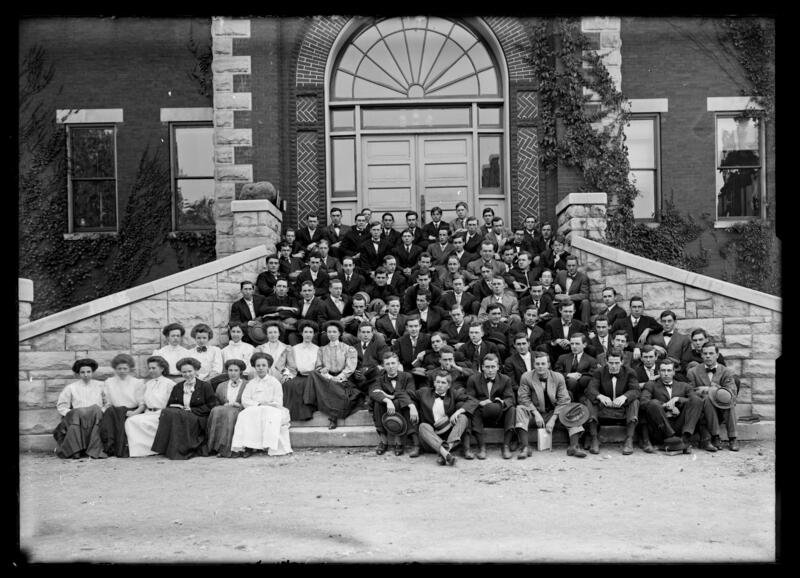 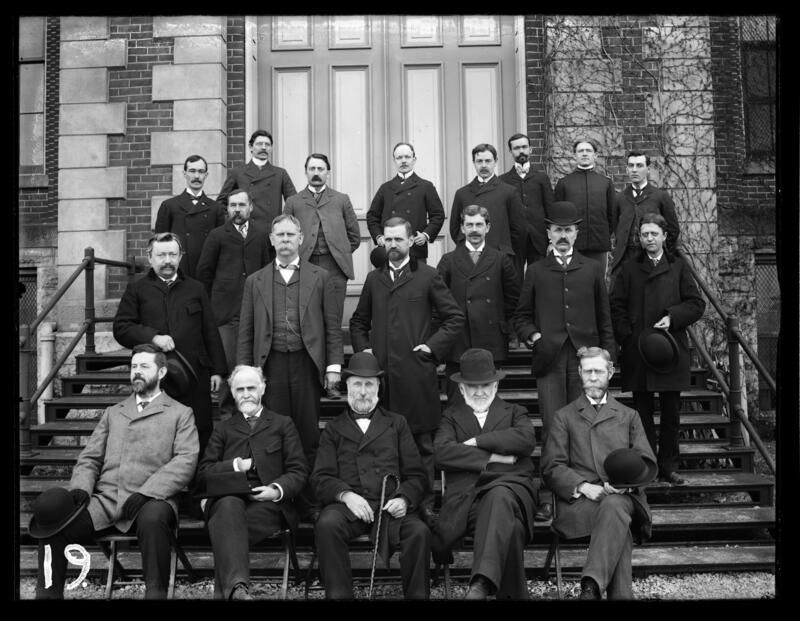 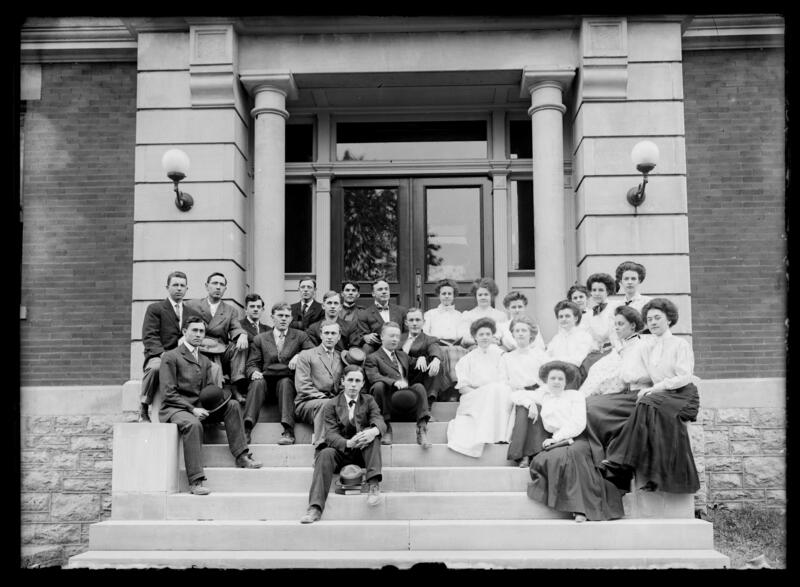 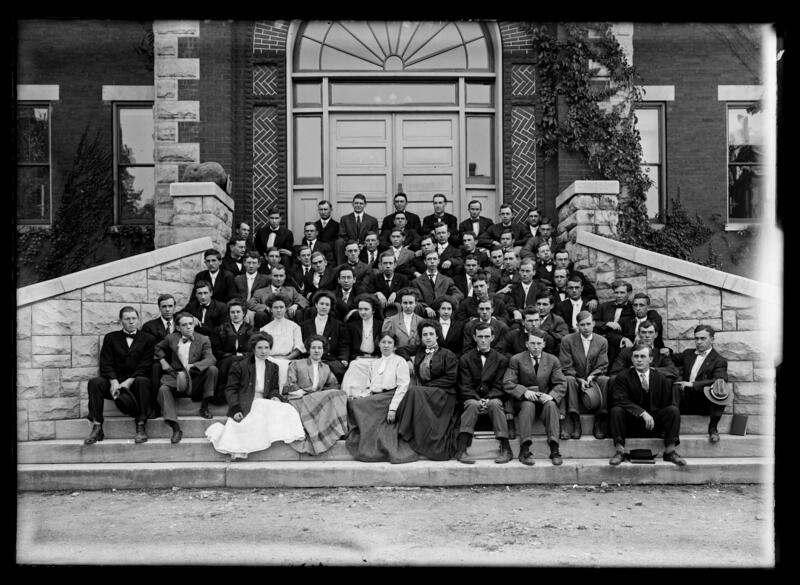 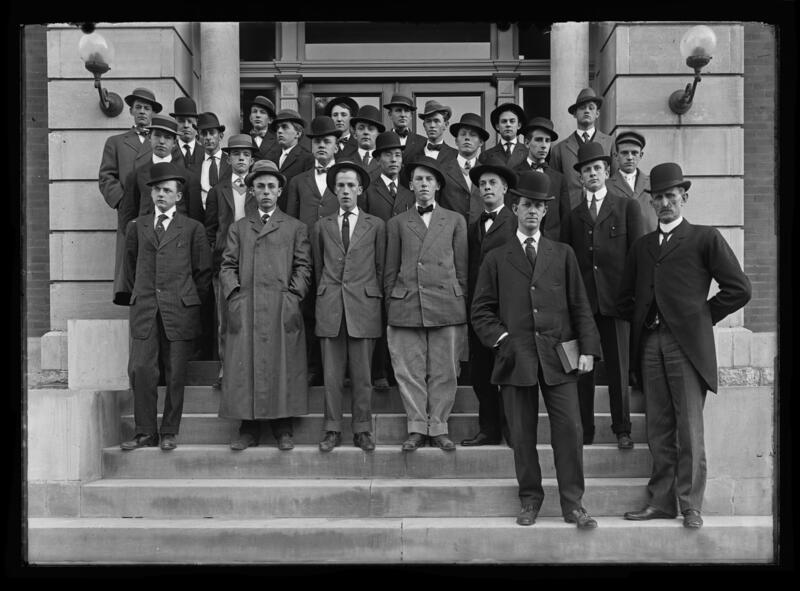 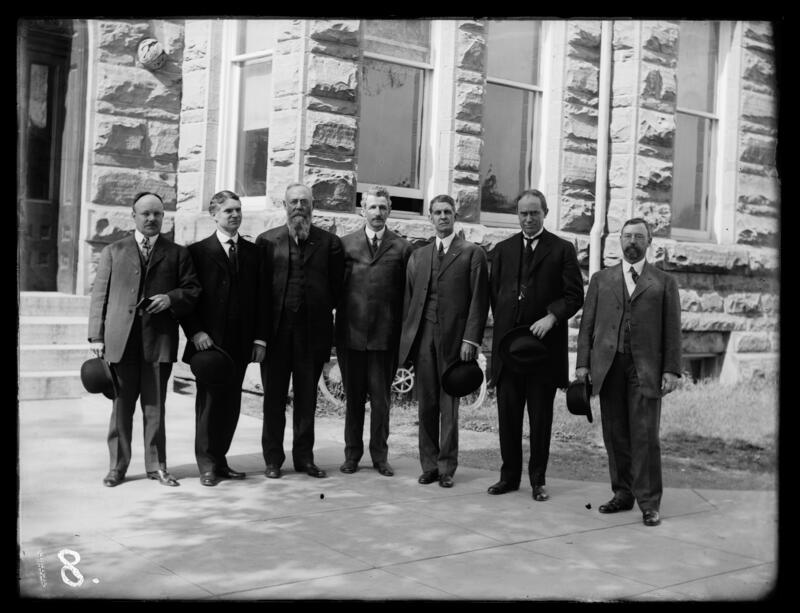 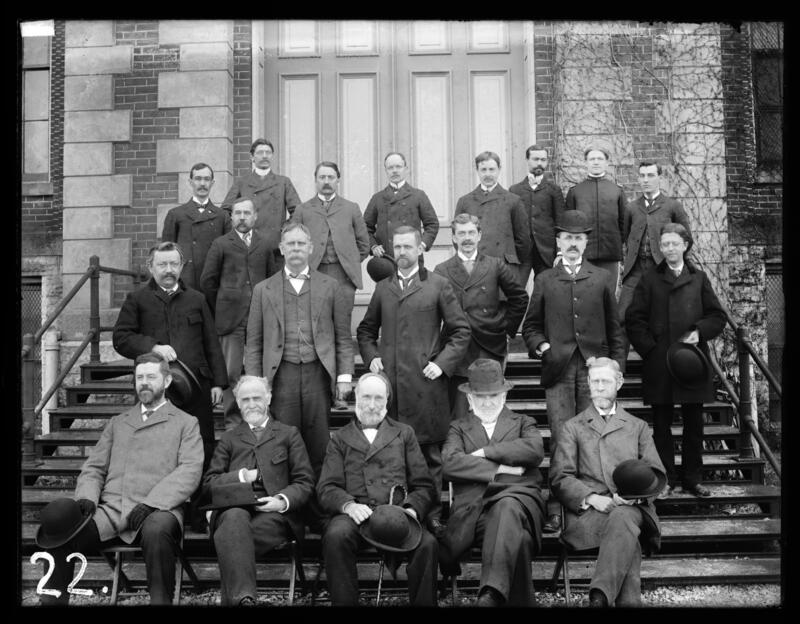 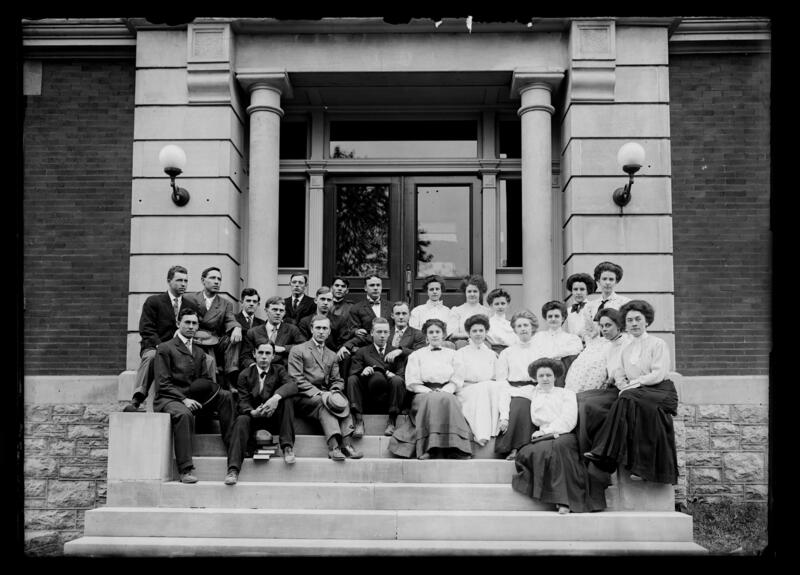 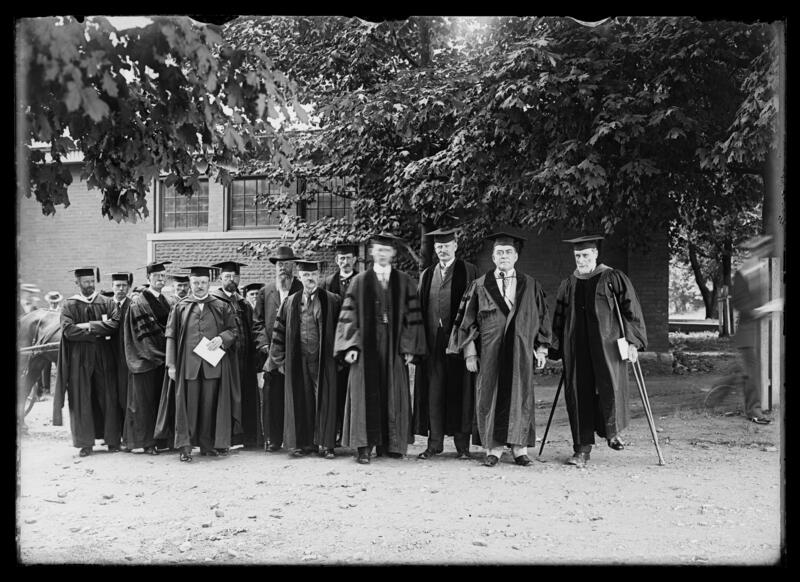 Faculty on steps of Administration Building (Main Building), five seated in front in chairs, President Patterson and Dr. Neville have on hats, Professor Pence also?, 1899?